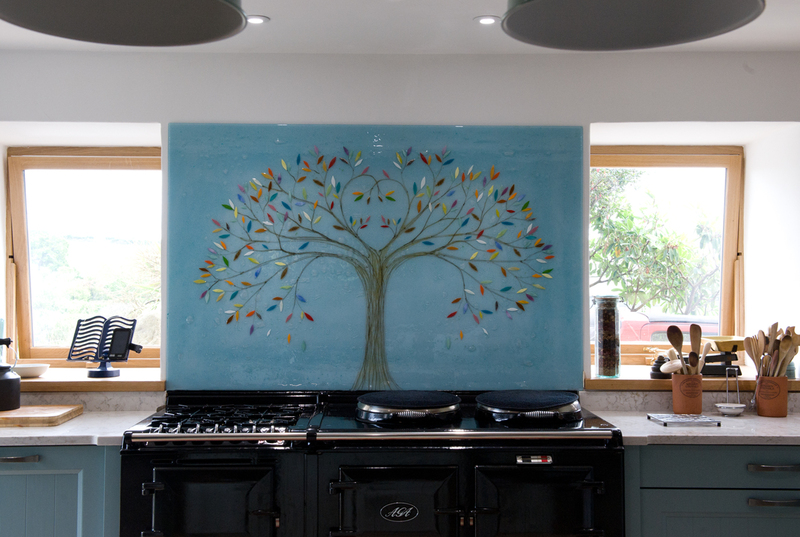 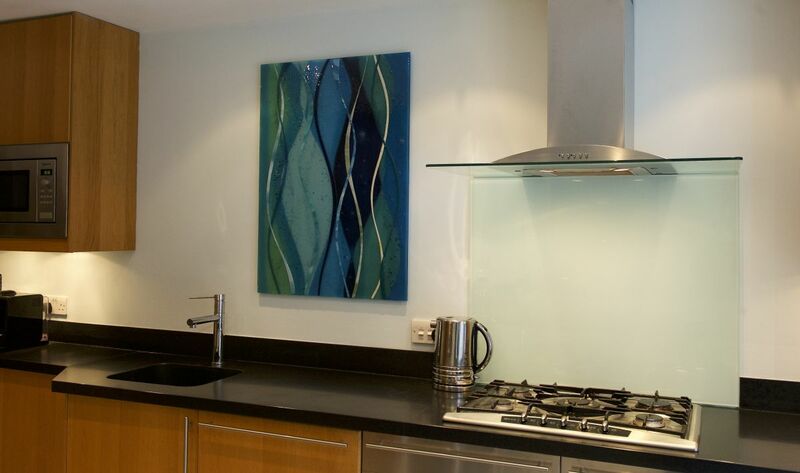 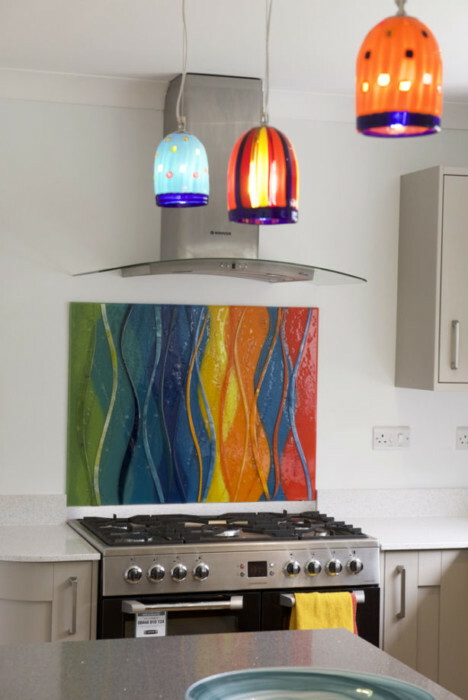 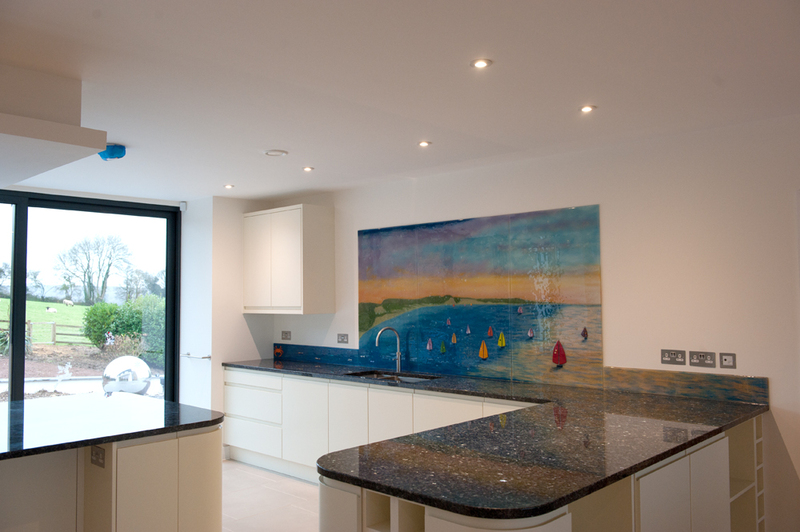 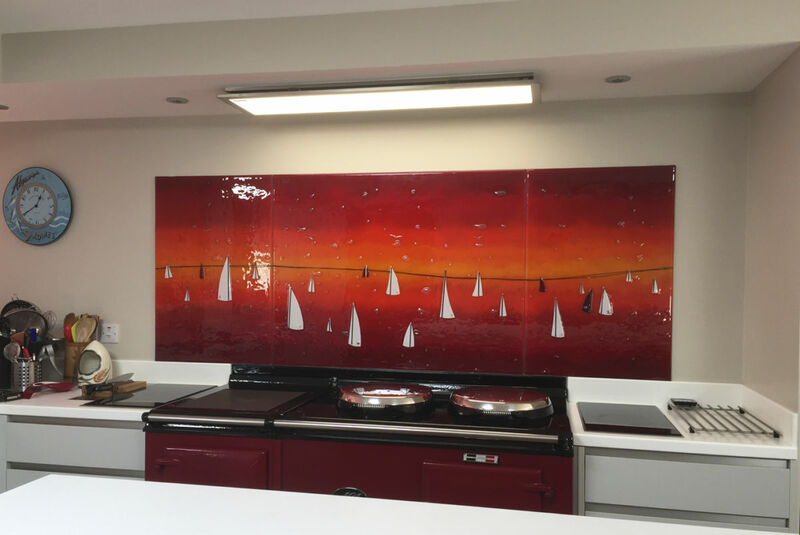 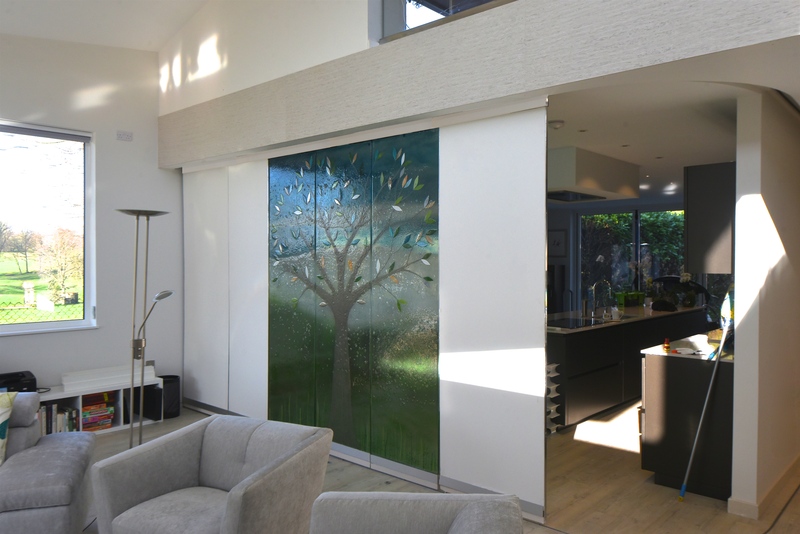 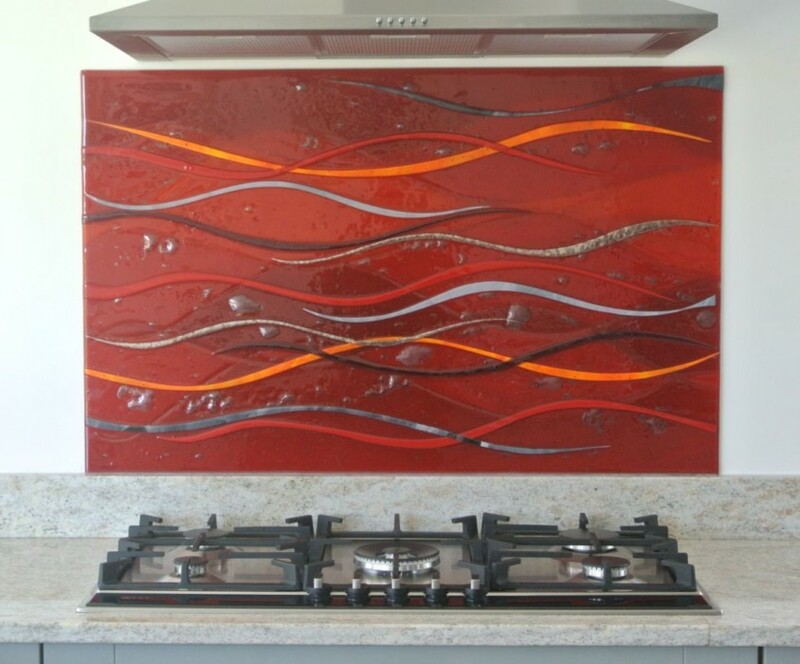 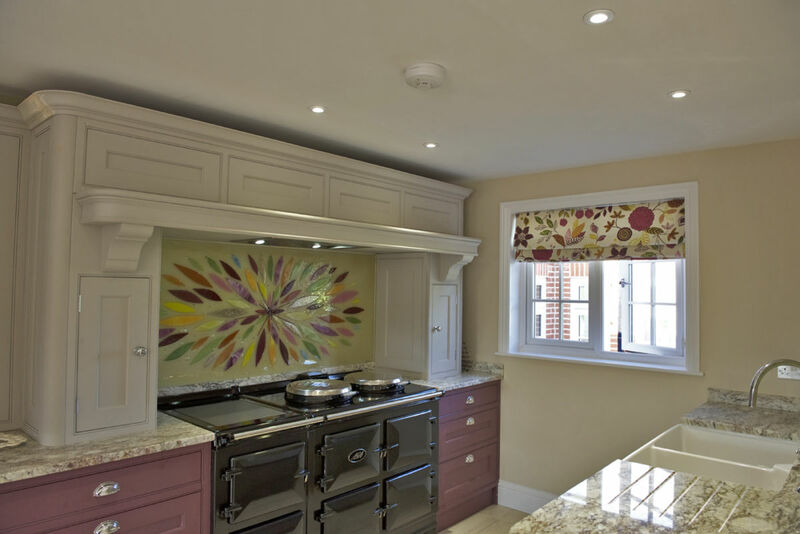 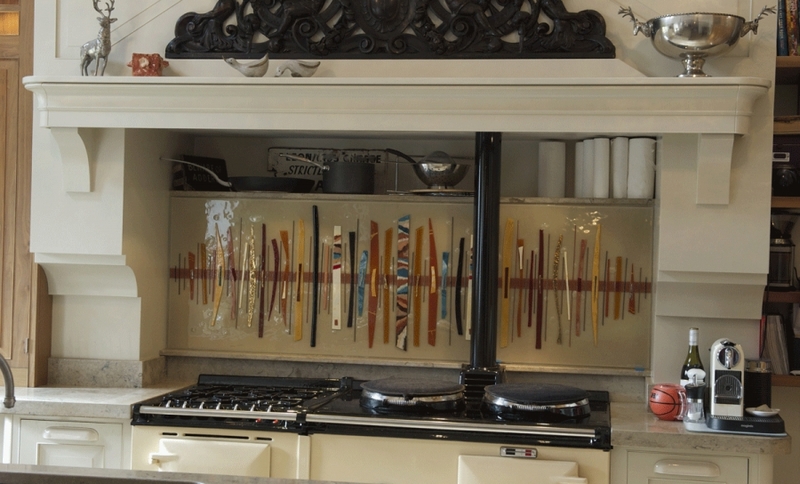 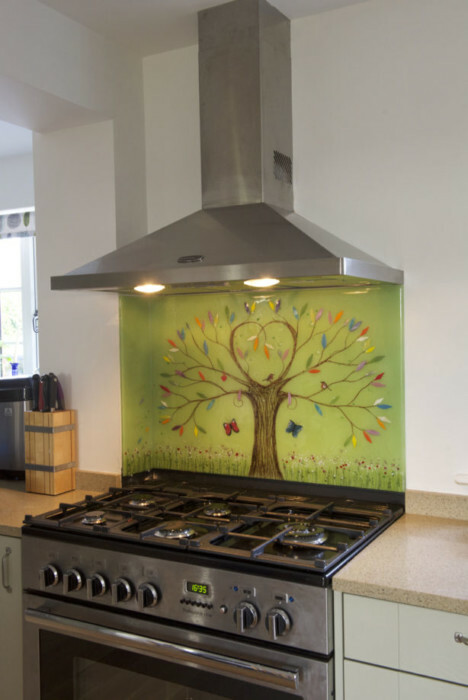 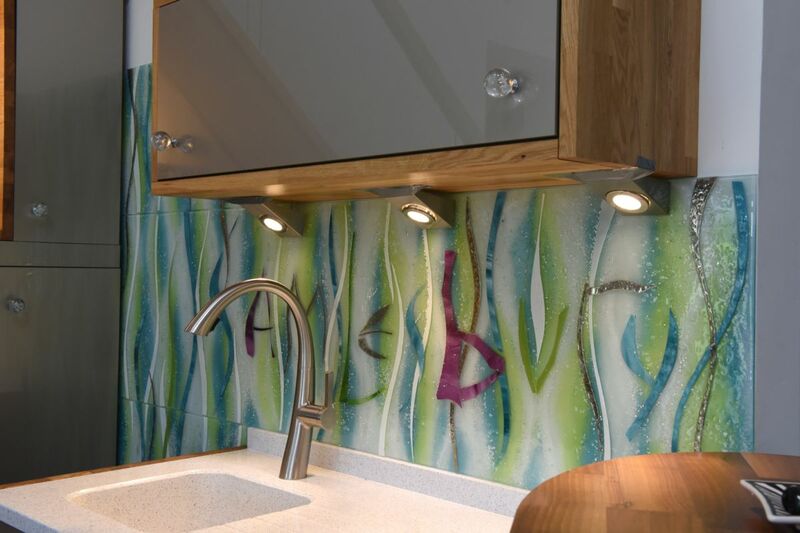 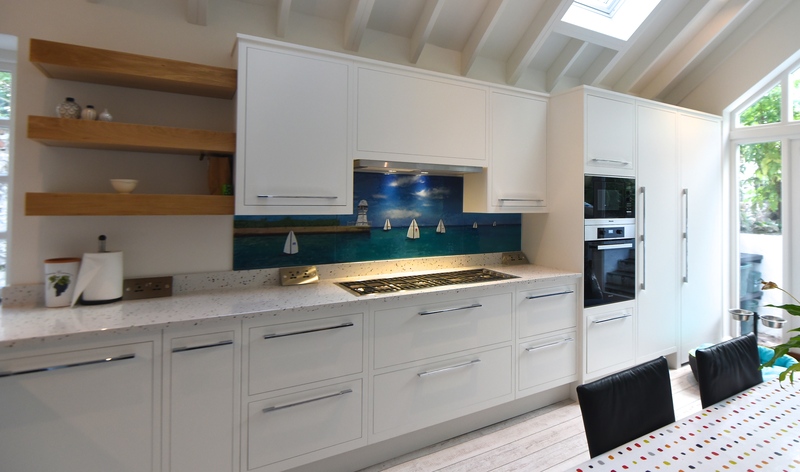 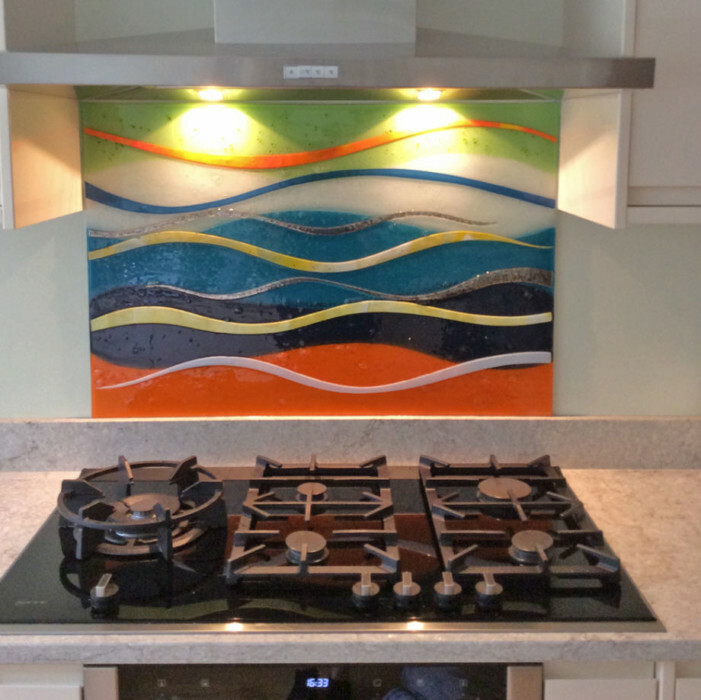 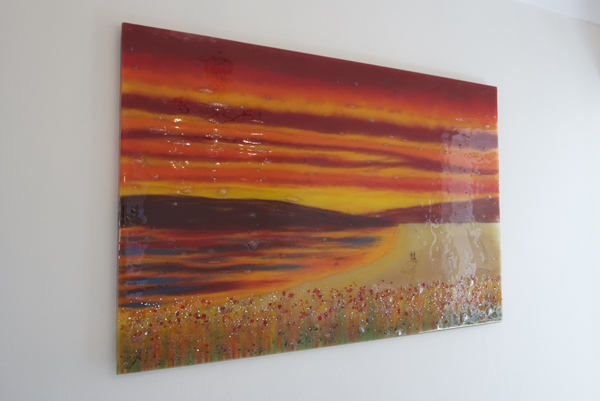 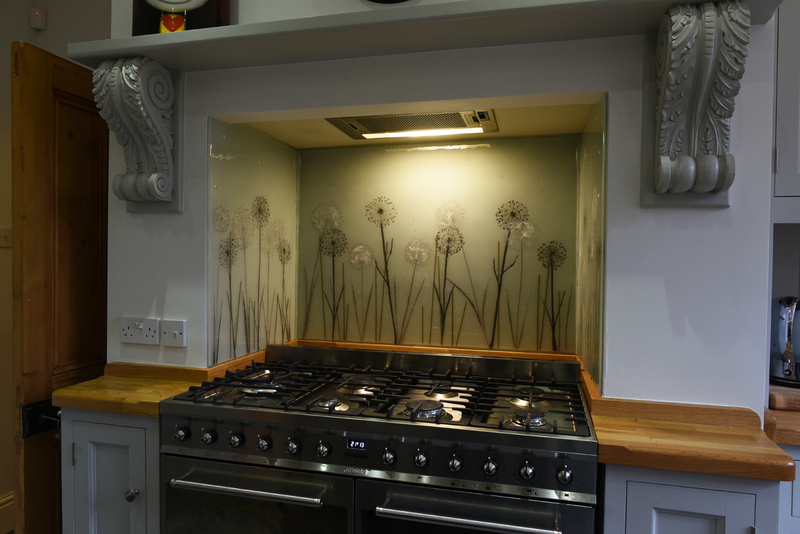 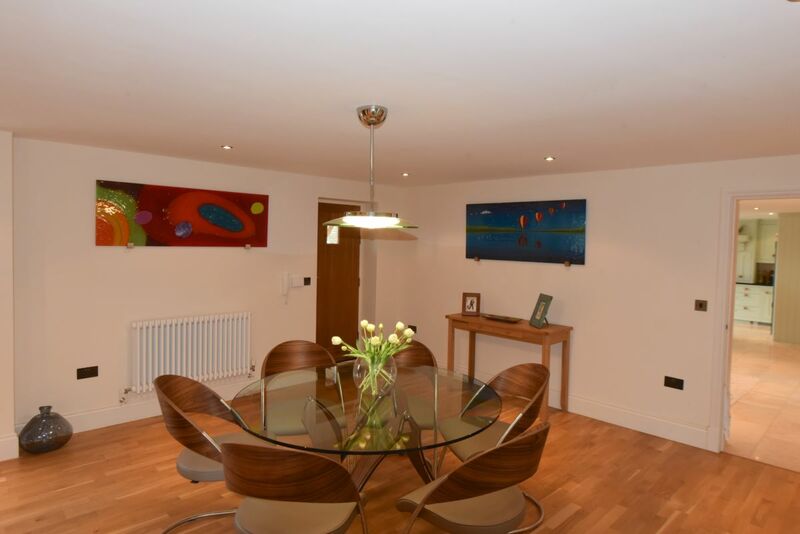 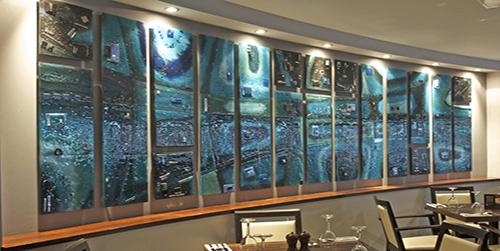 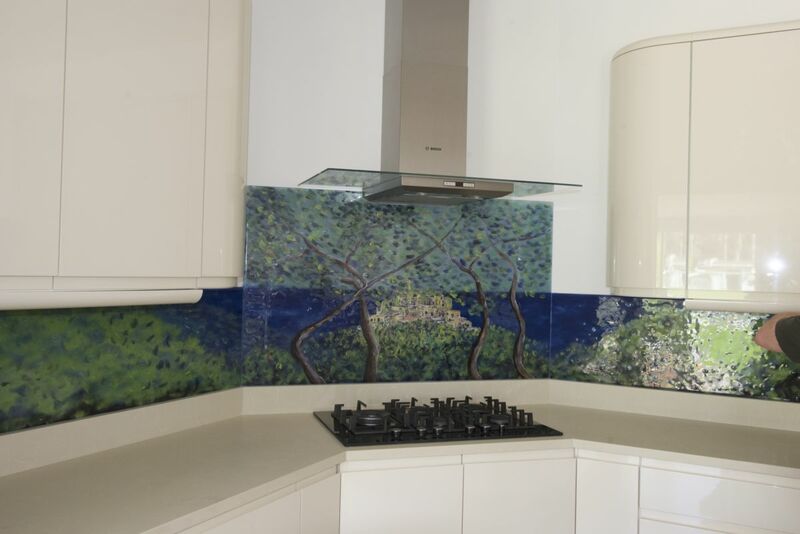 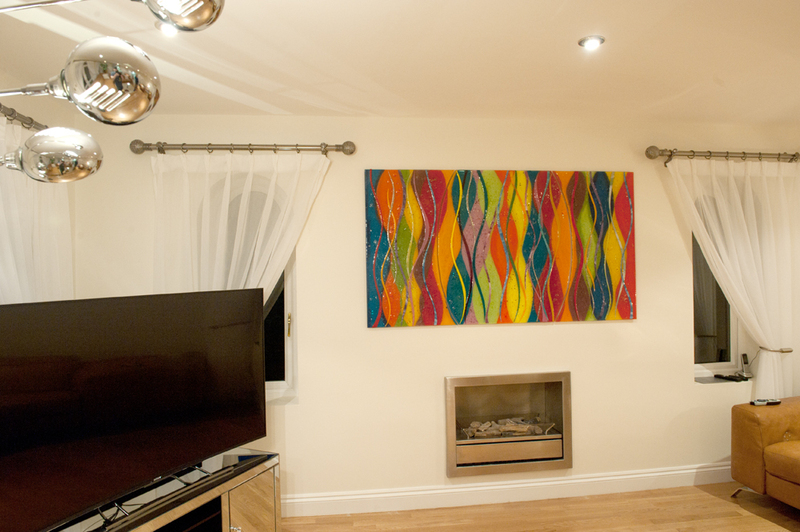 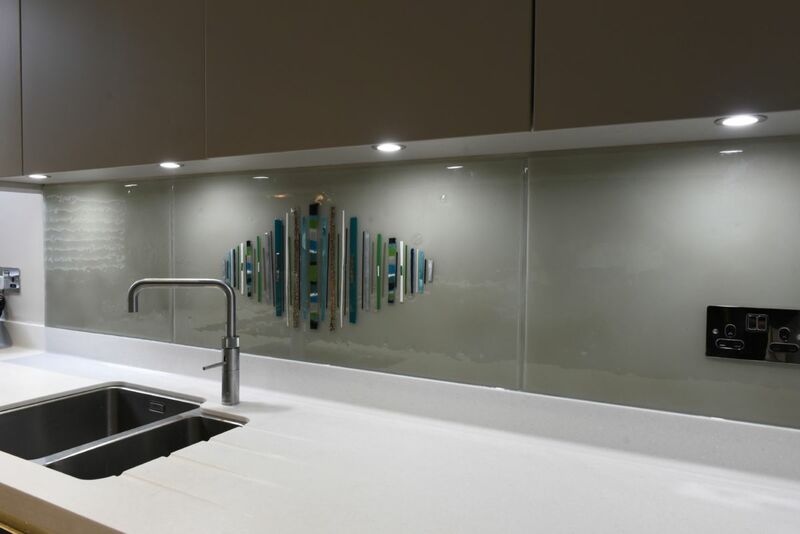 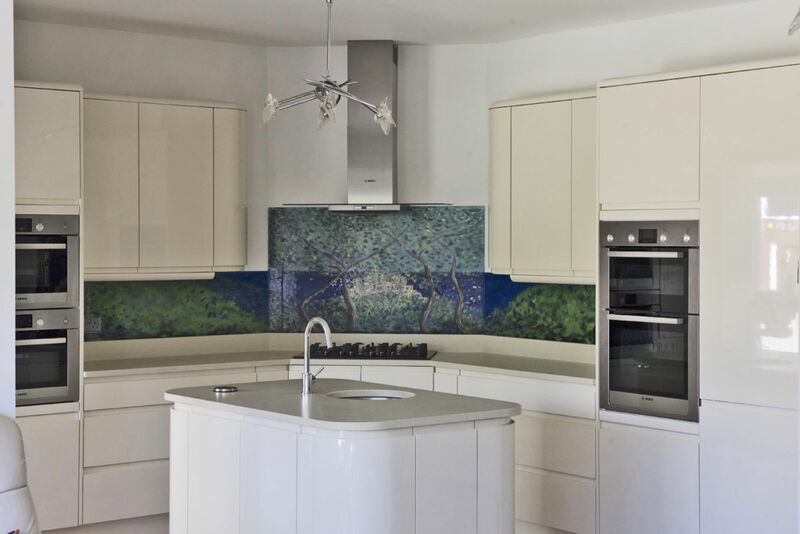 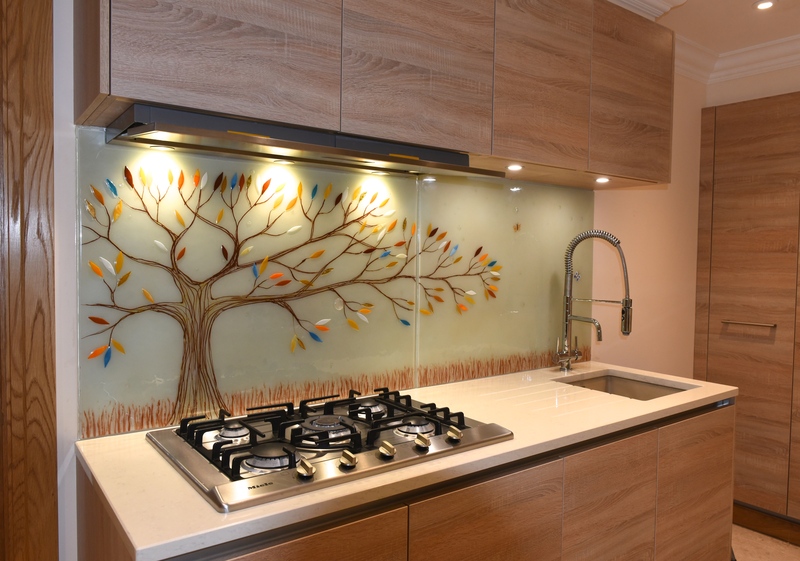 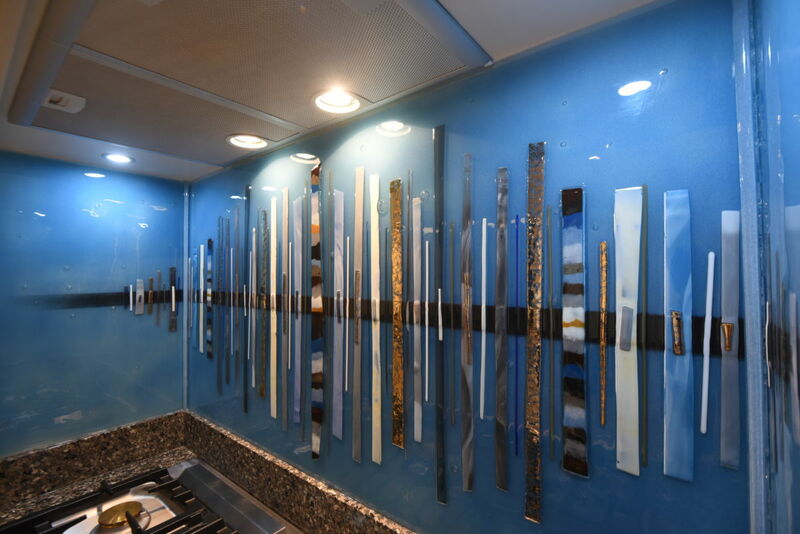 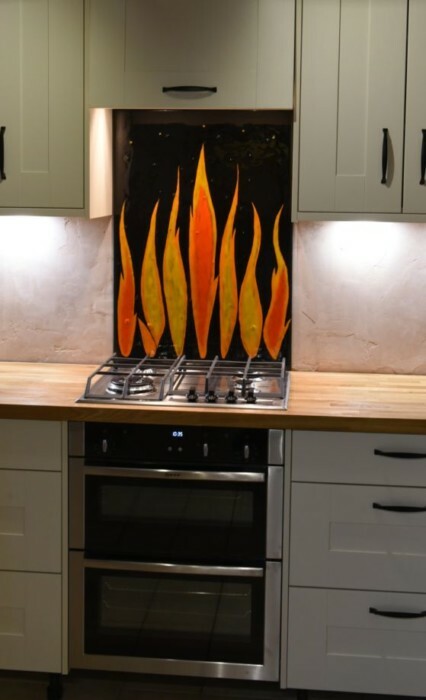 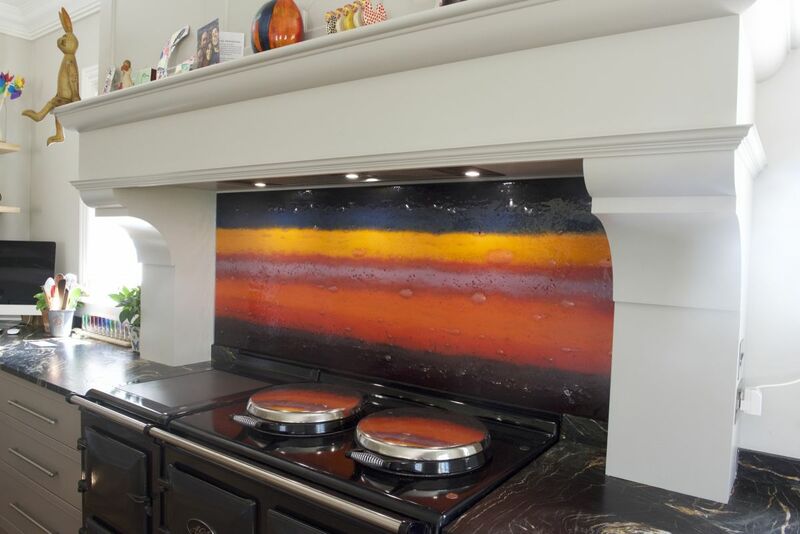 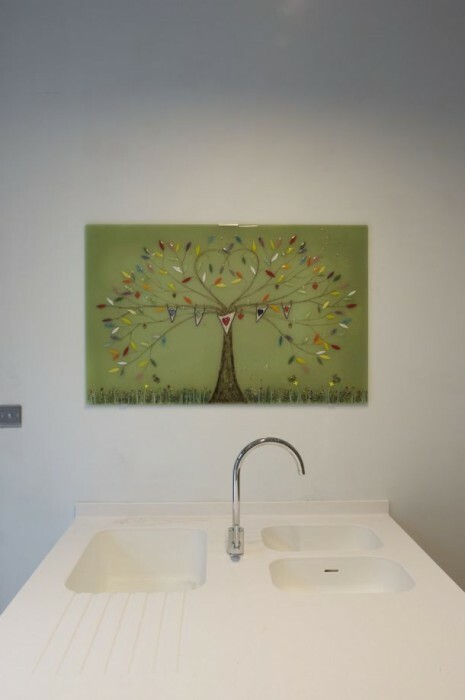 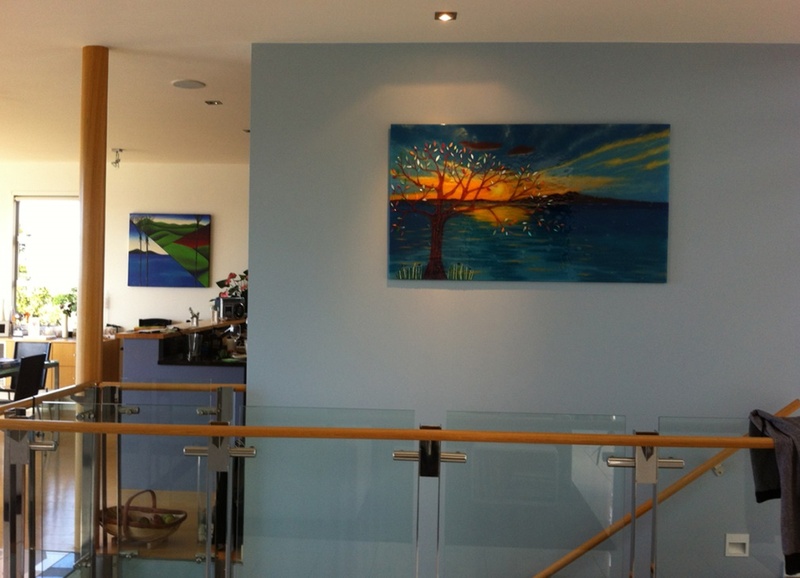 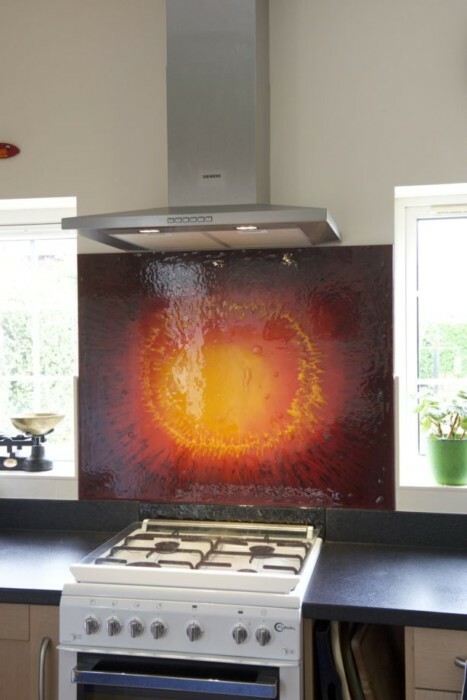 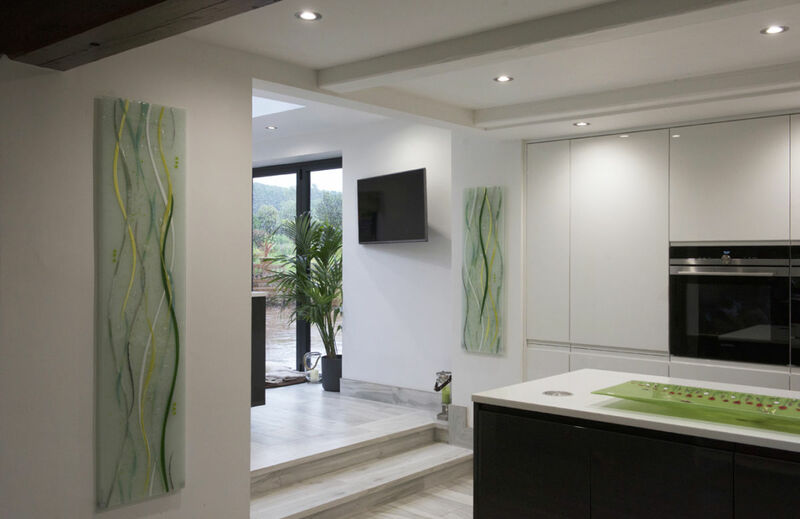 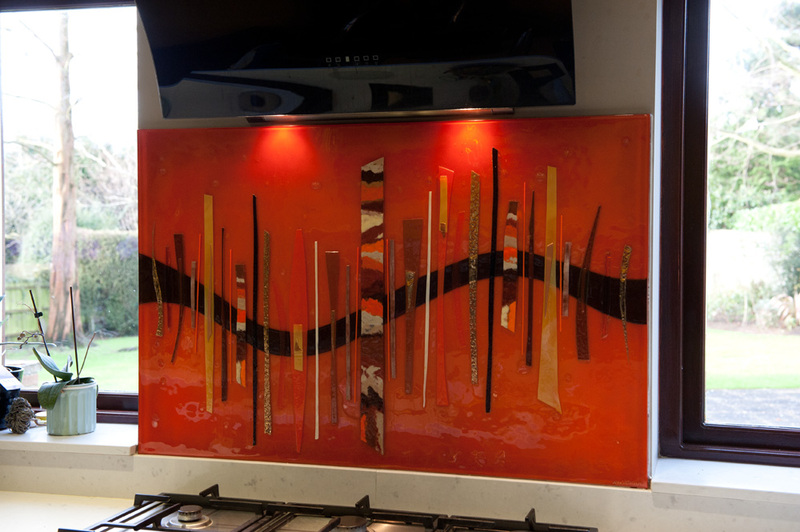 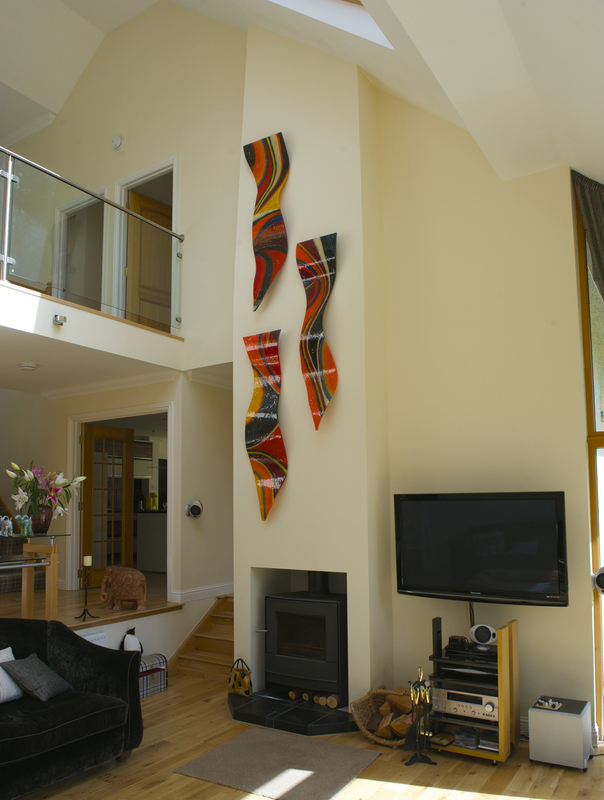 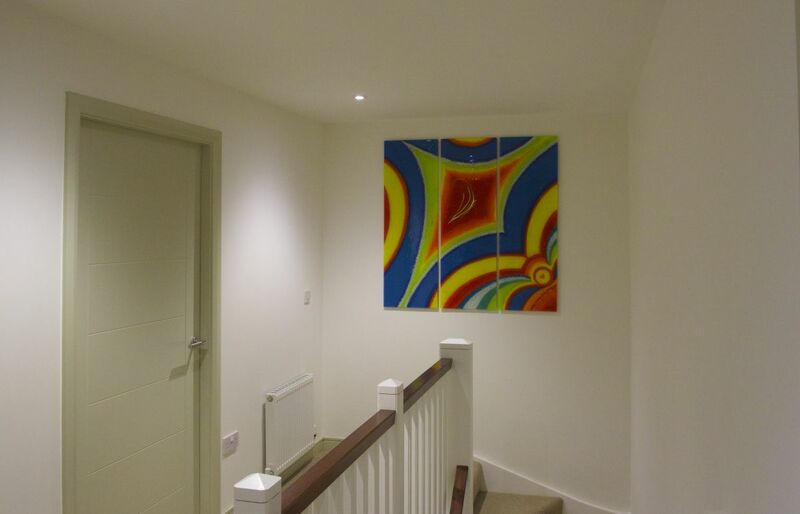 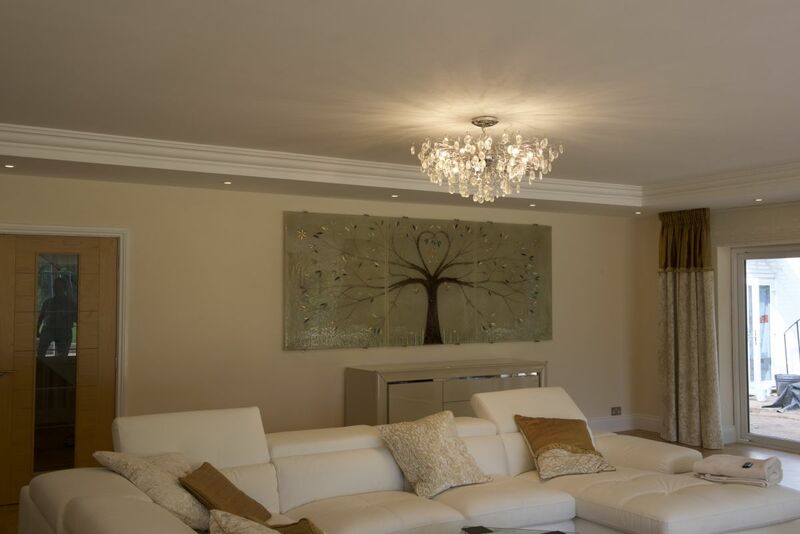 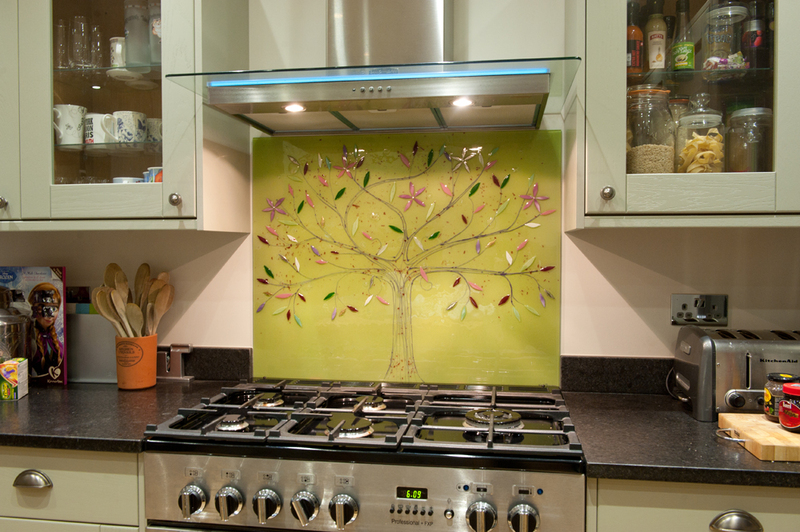 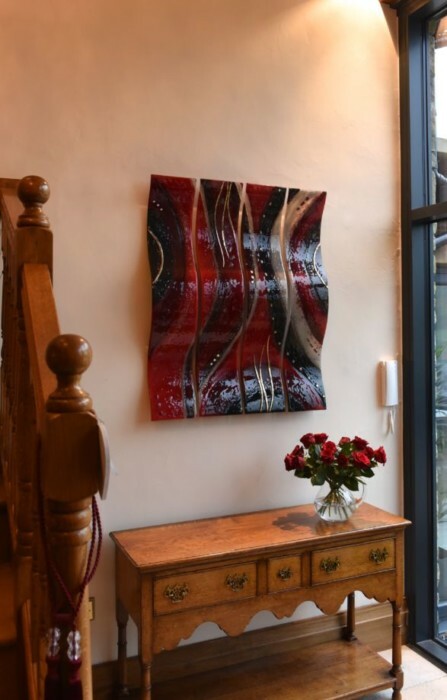 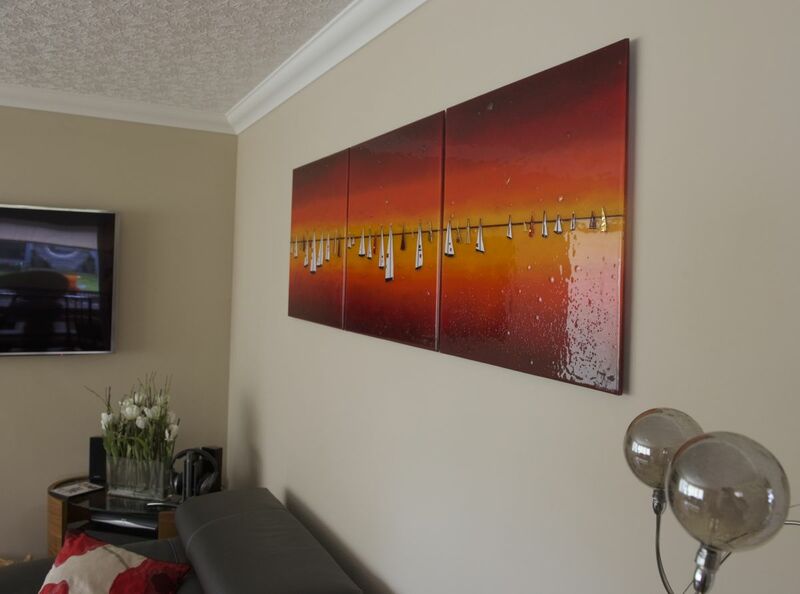 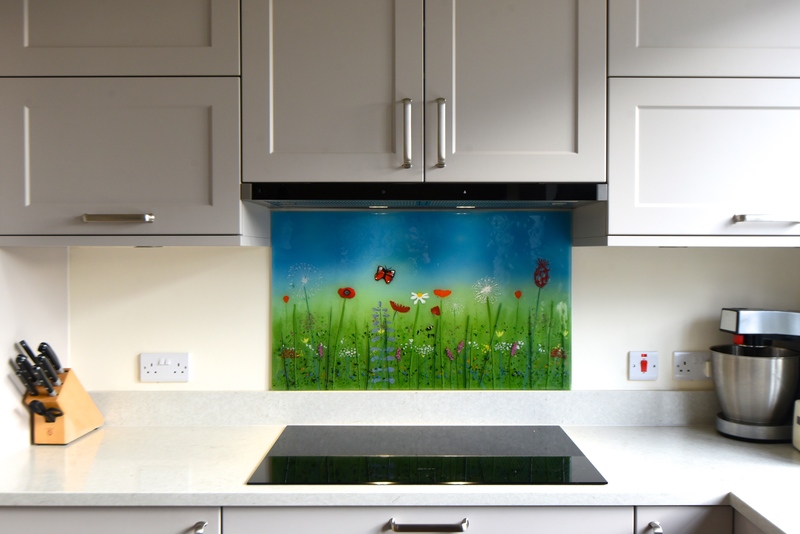 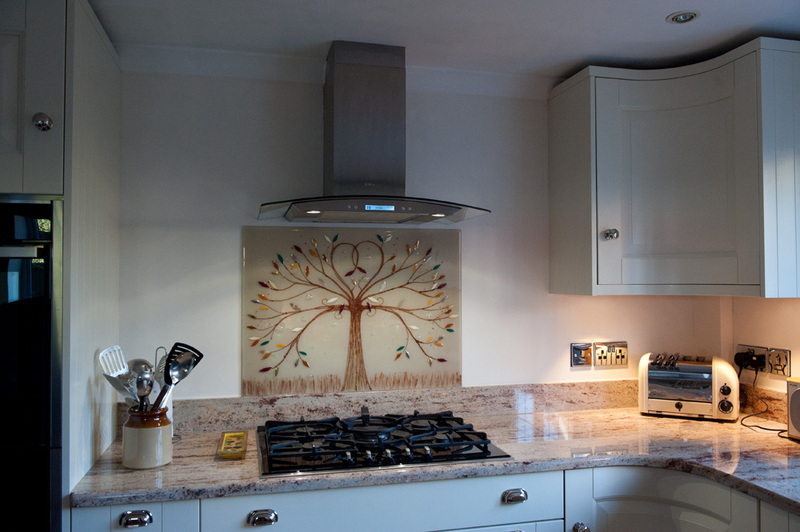 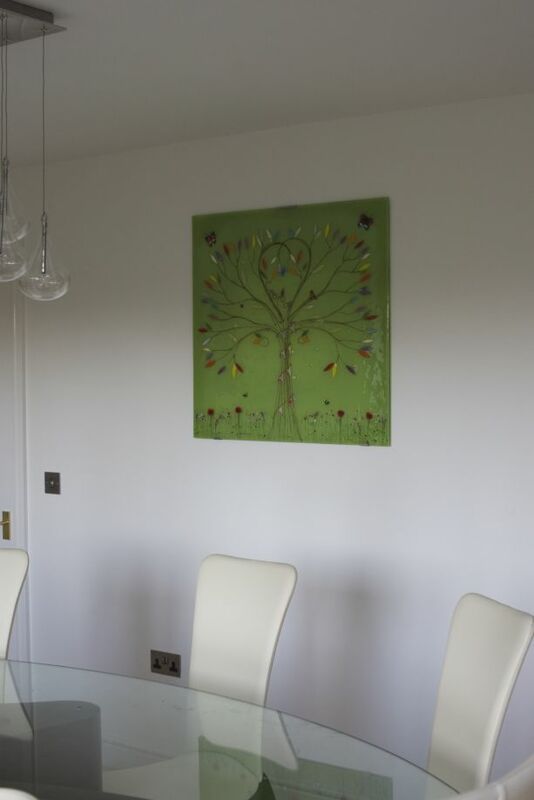 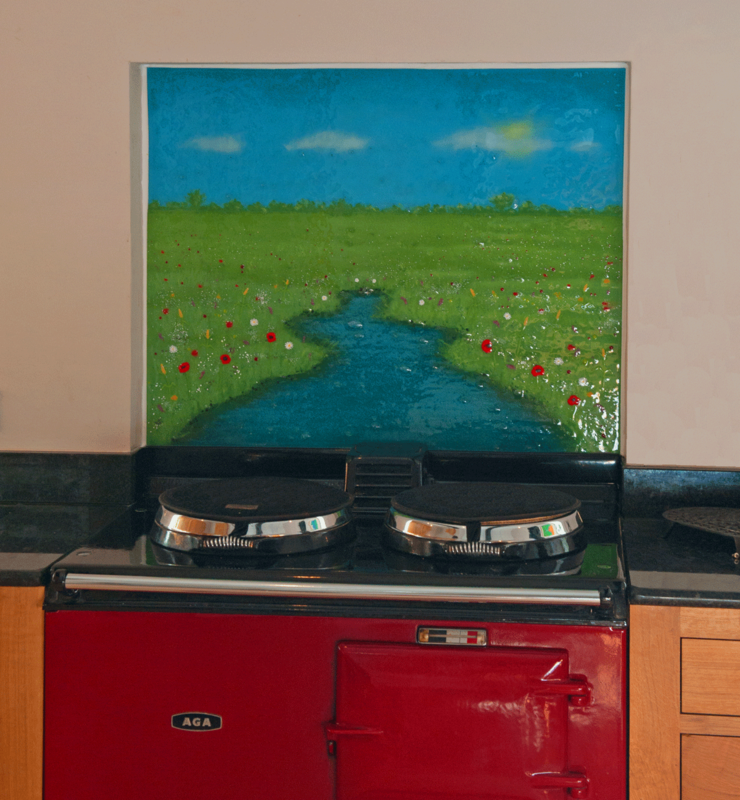 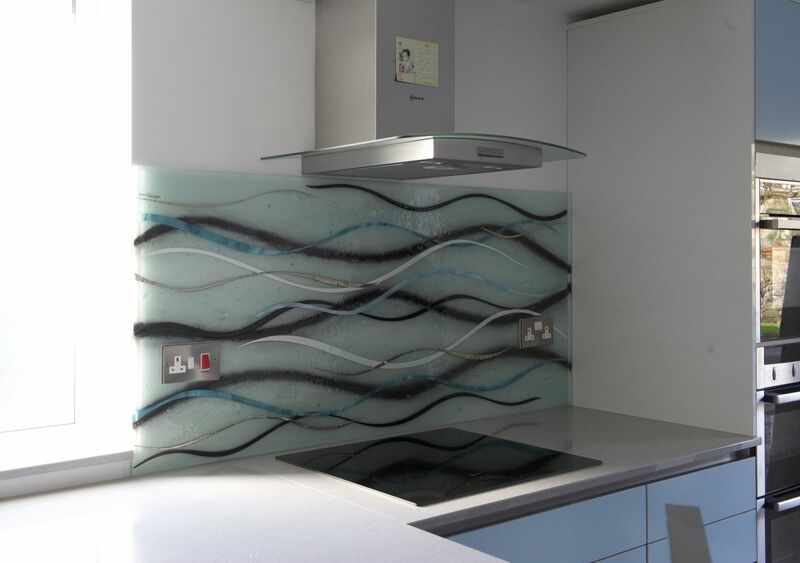 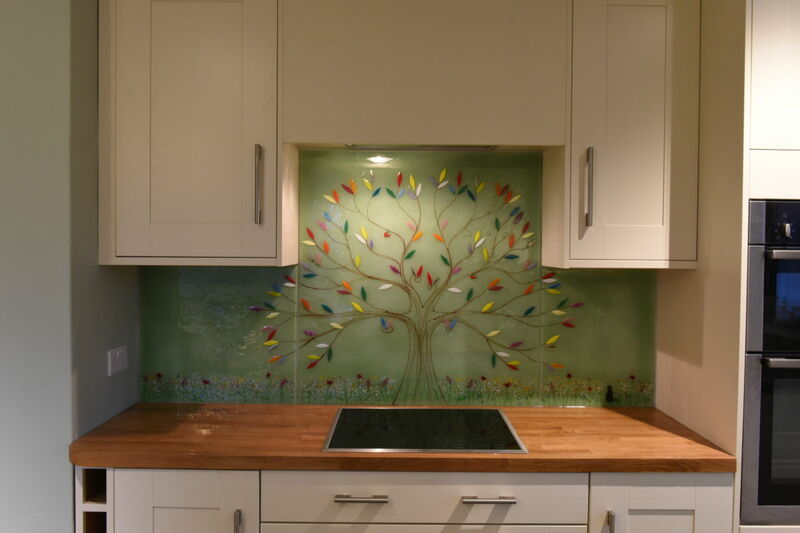 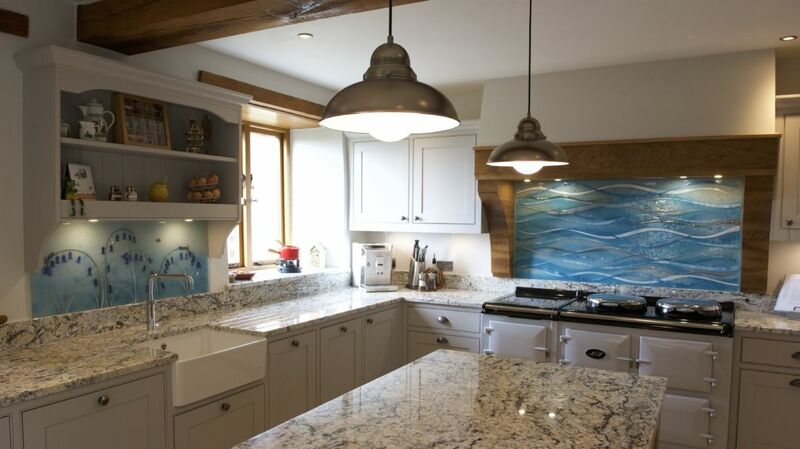 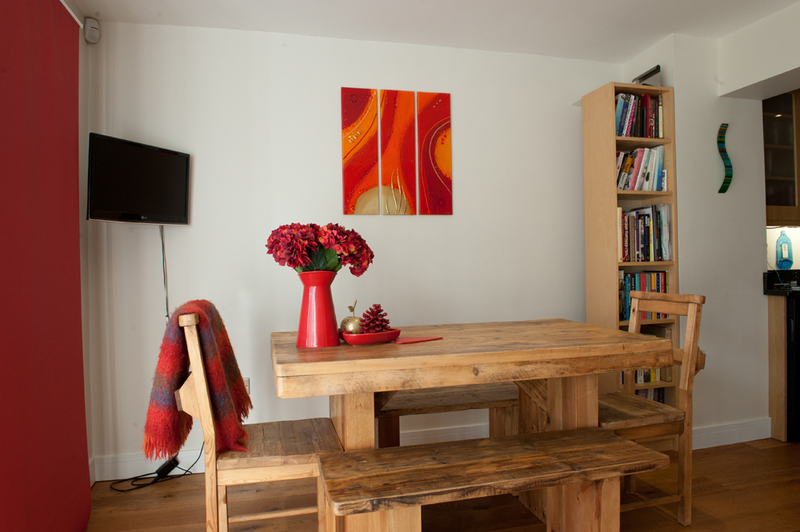 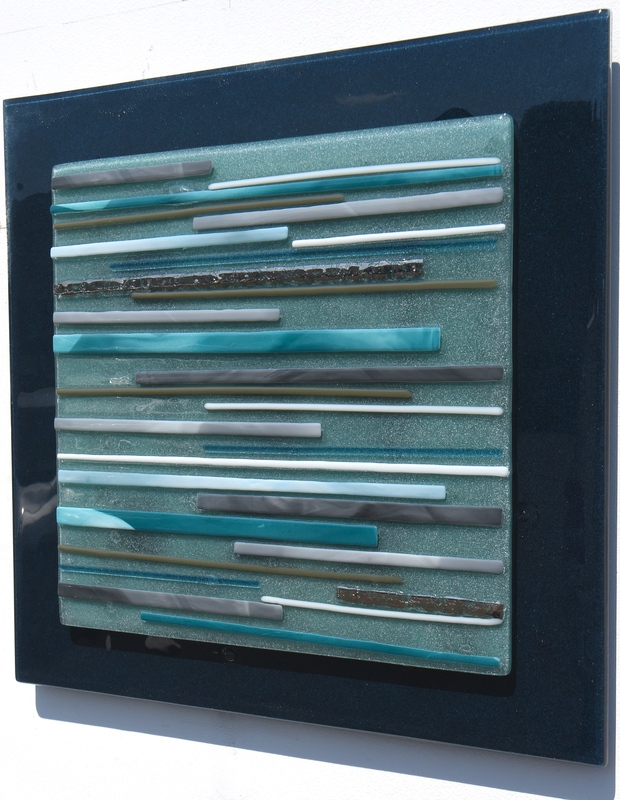 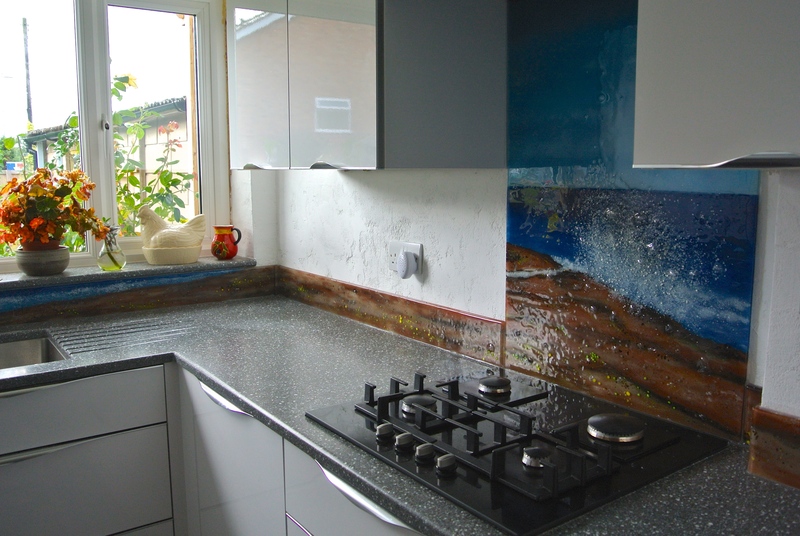 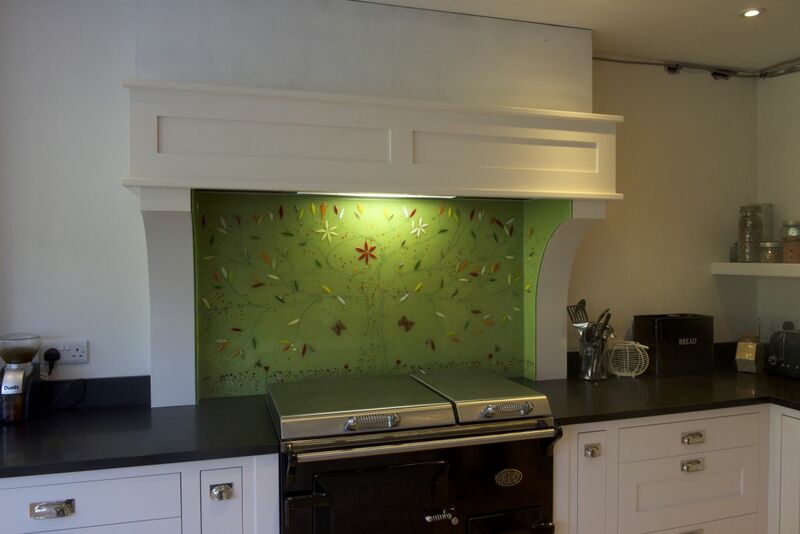 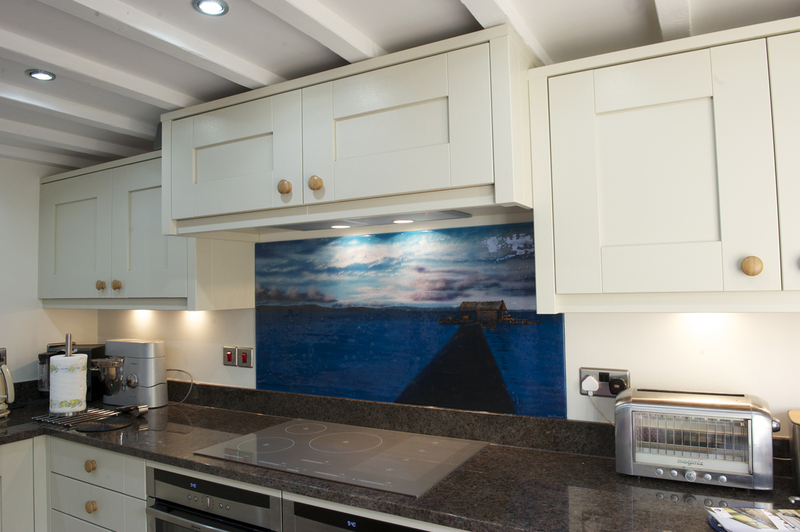 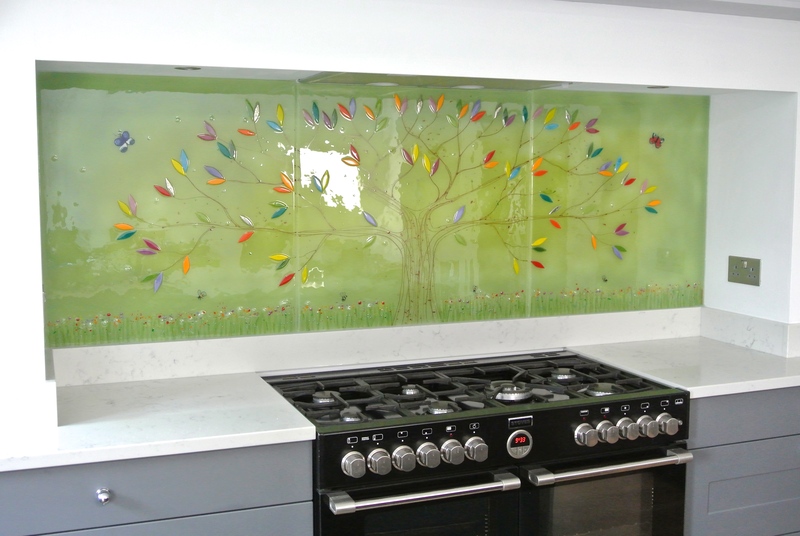 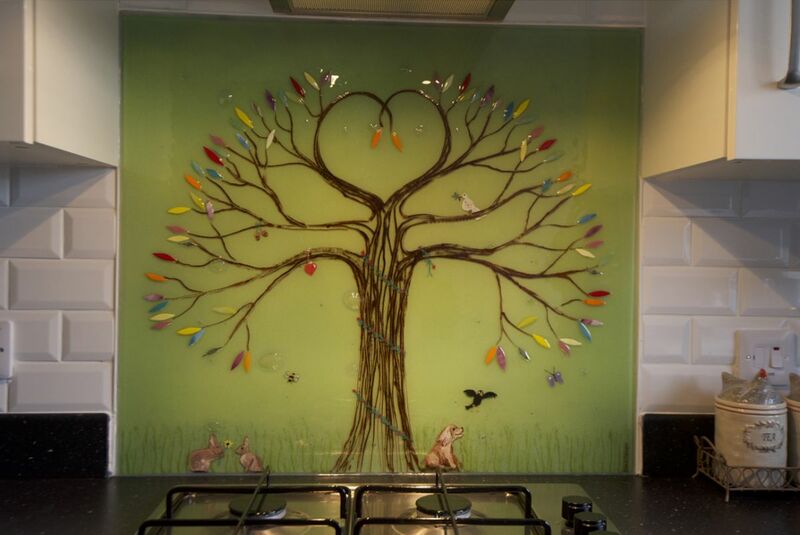 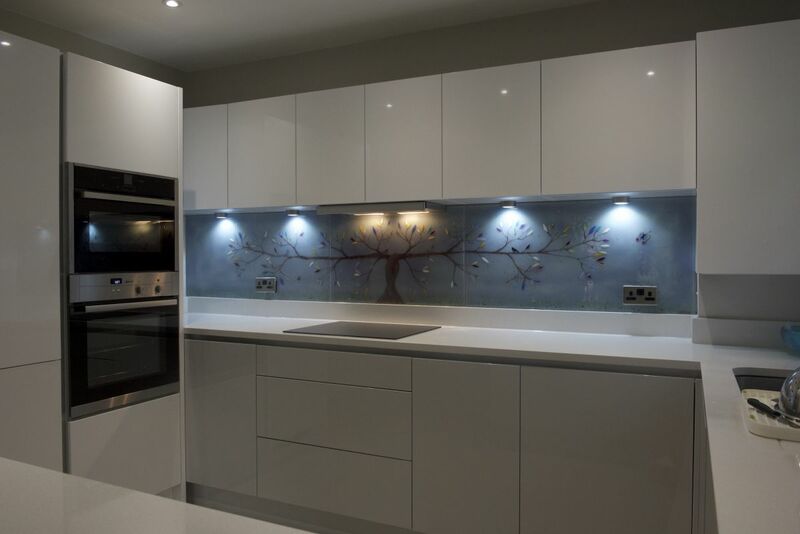 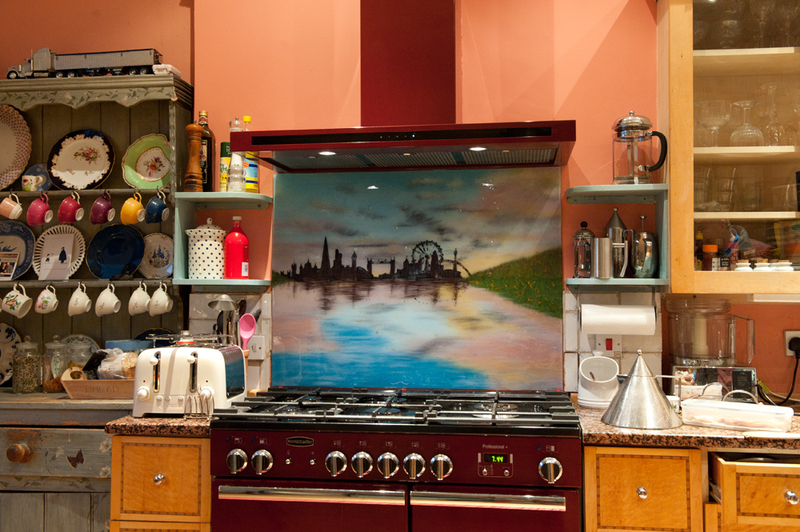 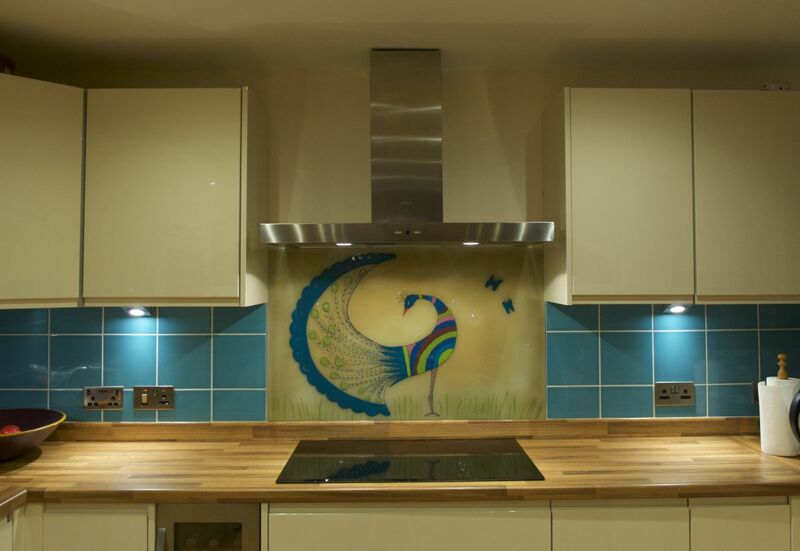 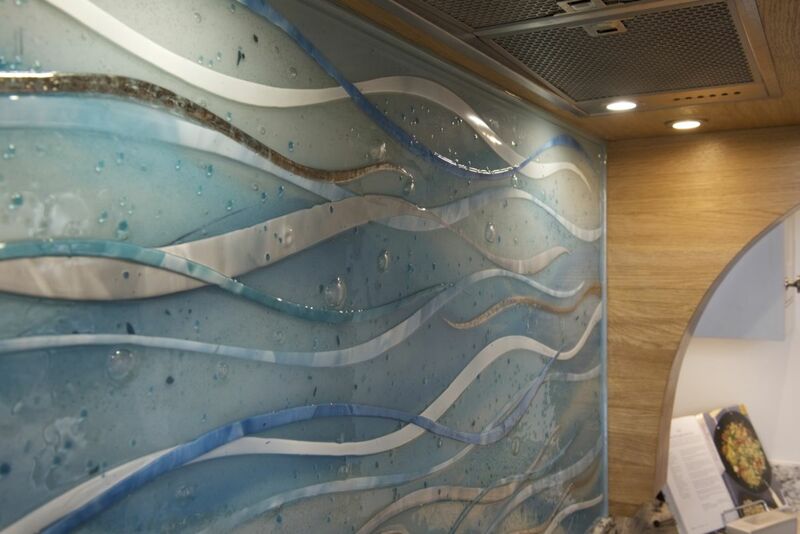 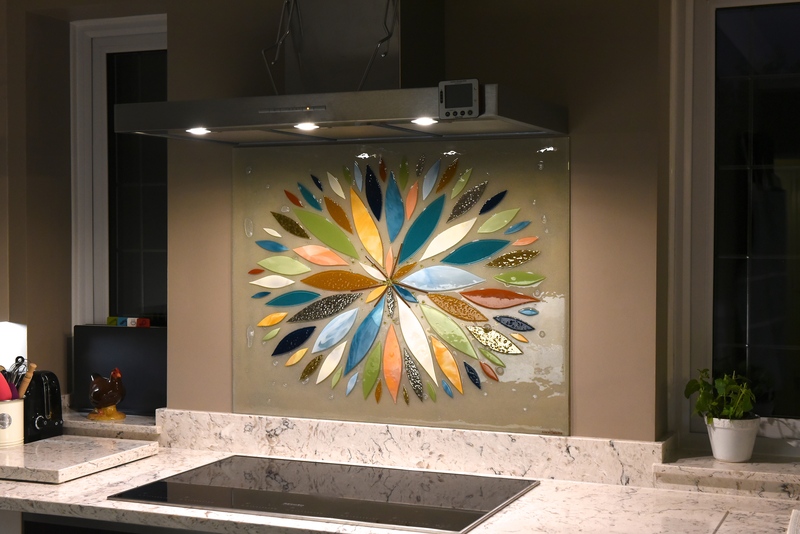 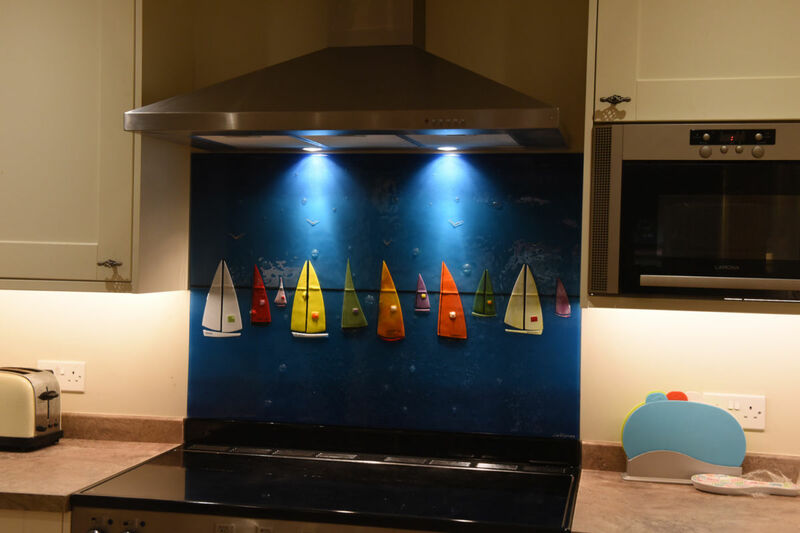 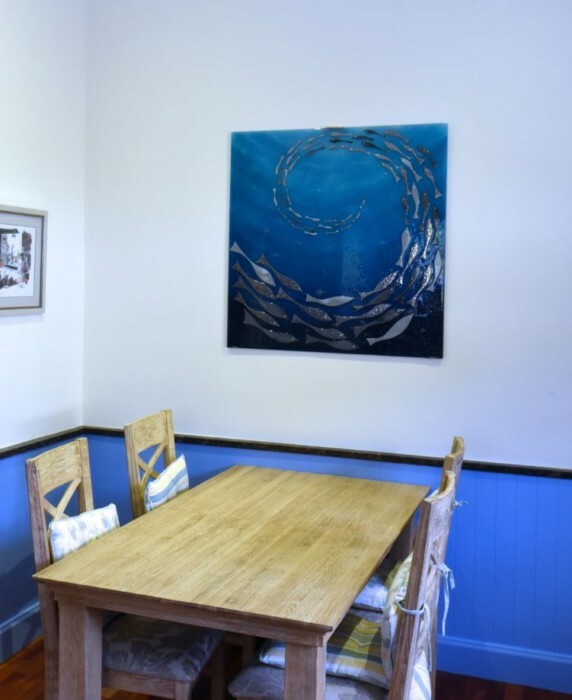 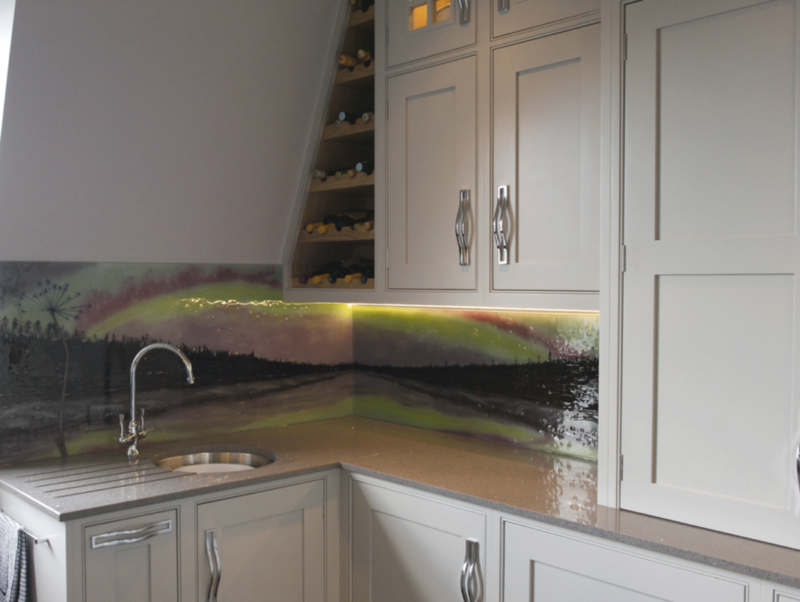 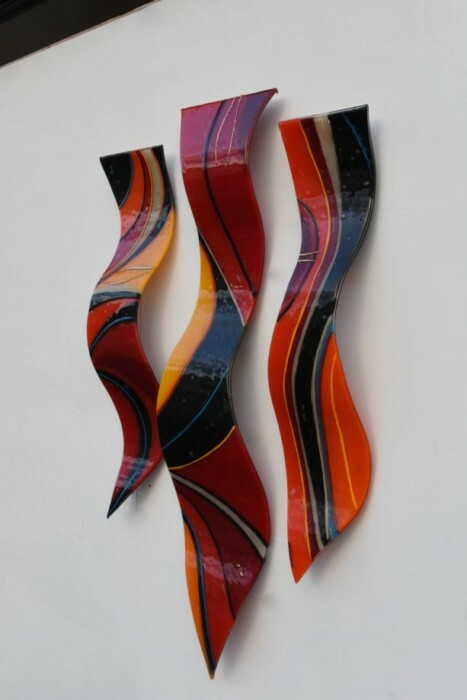 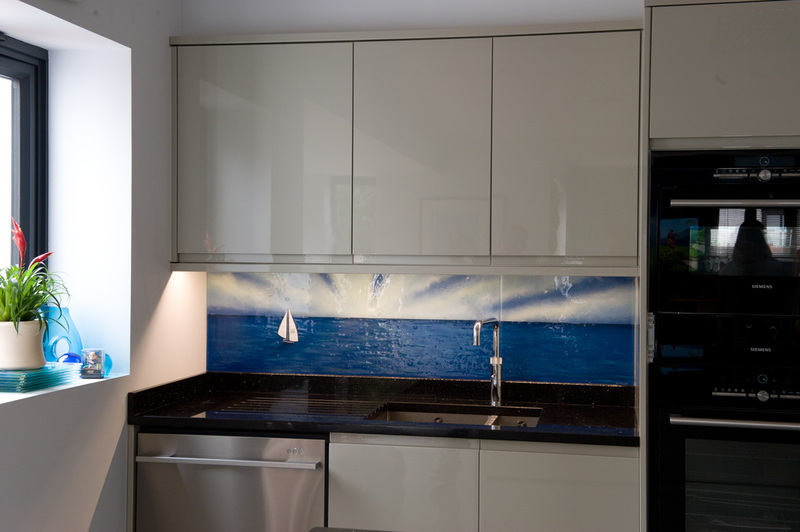 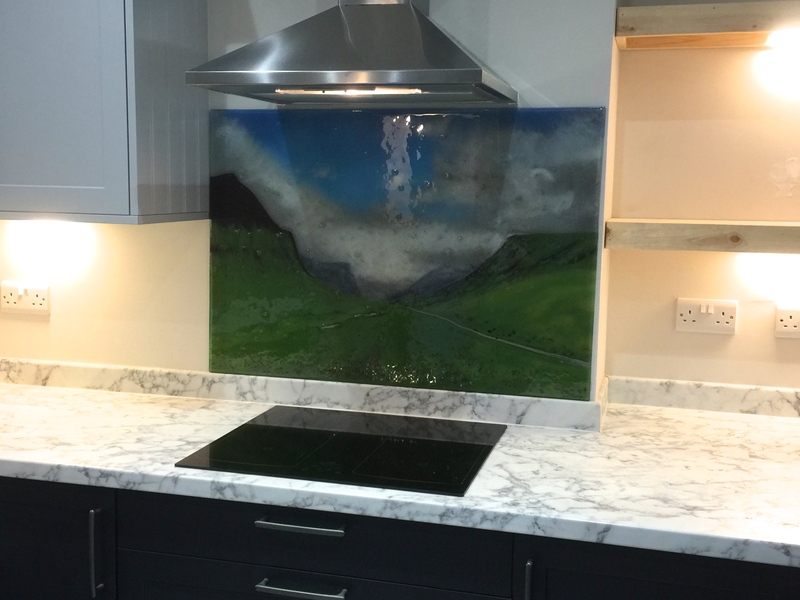 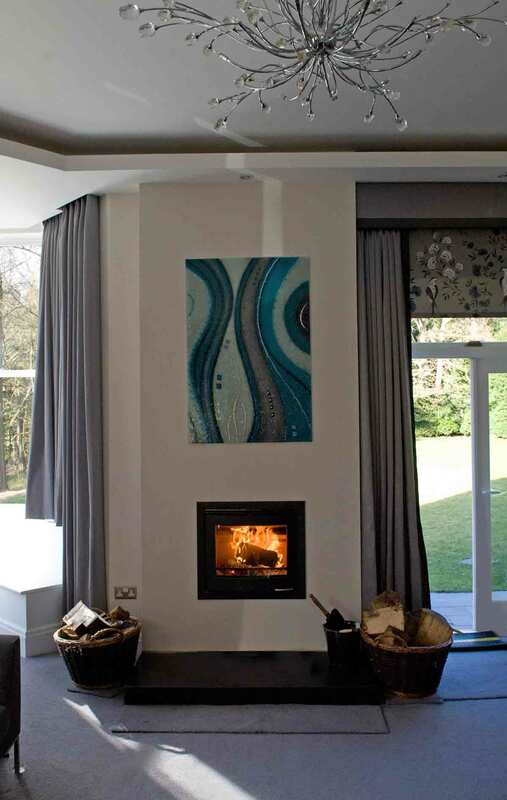 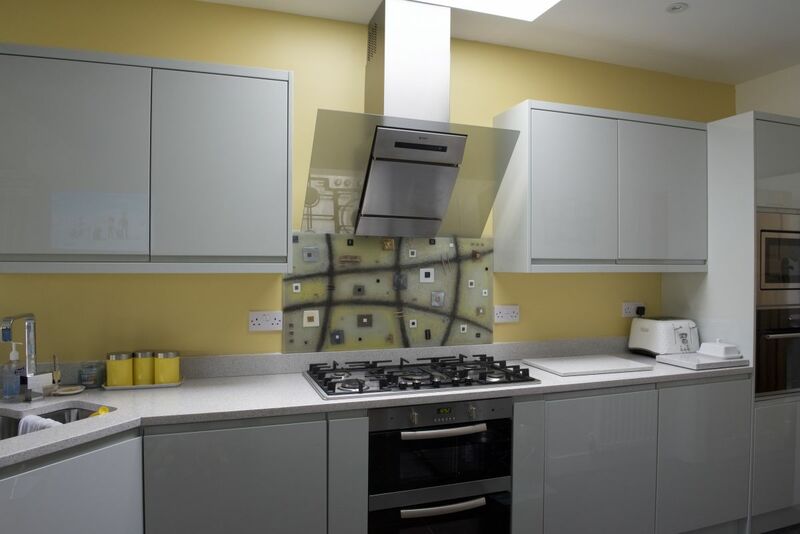 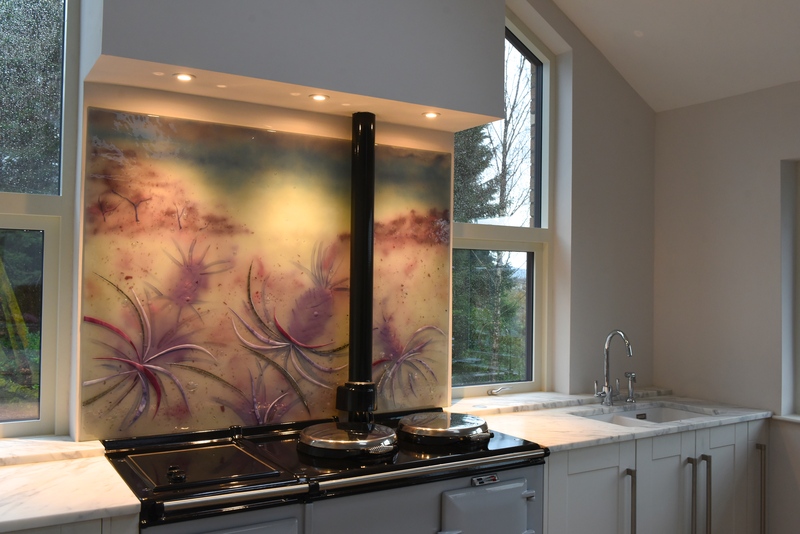 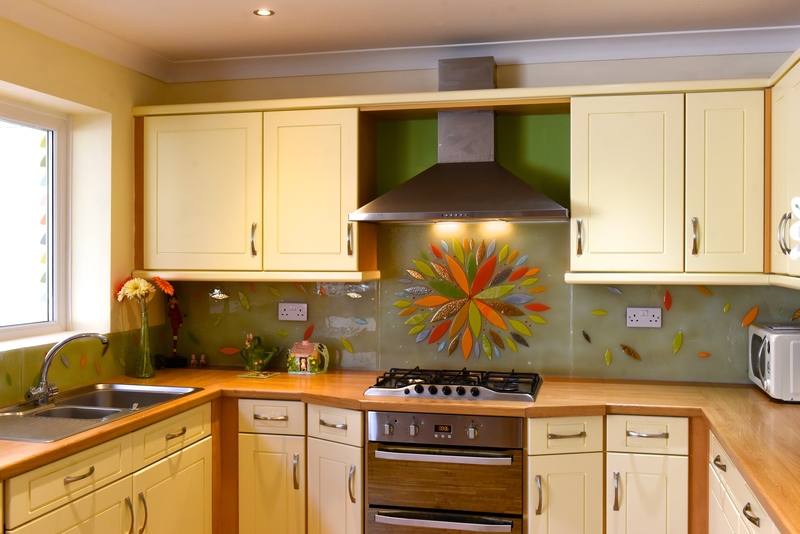 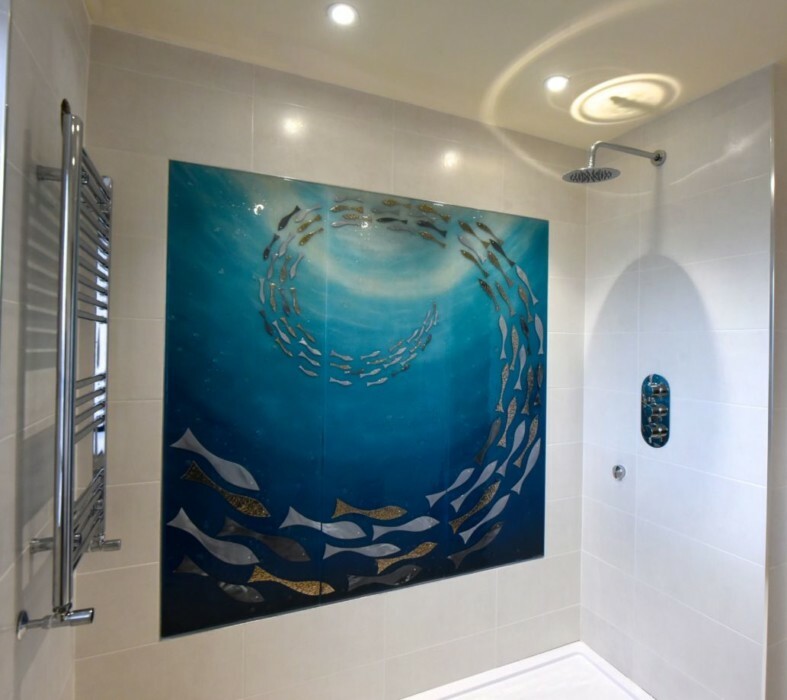 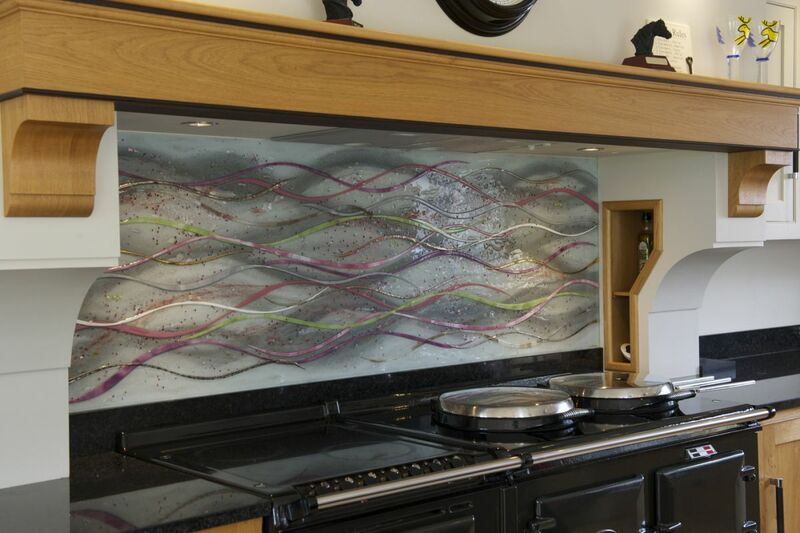 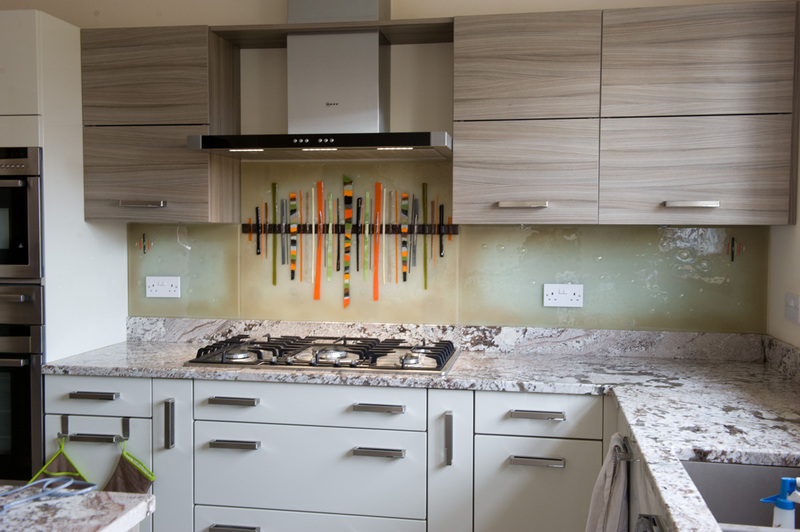 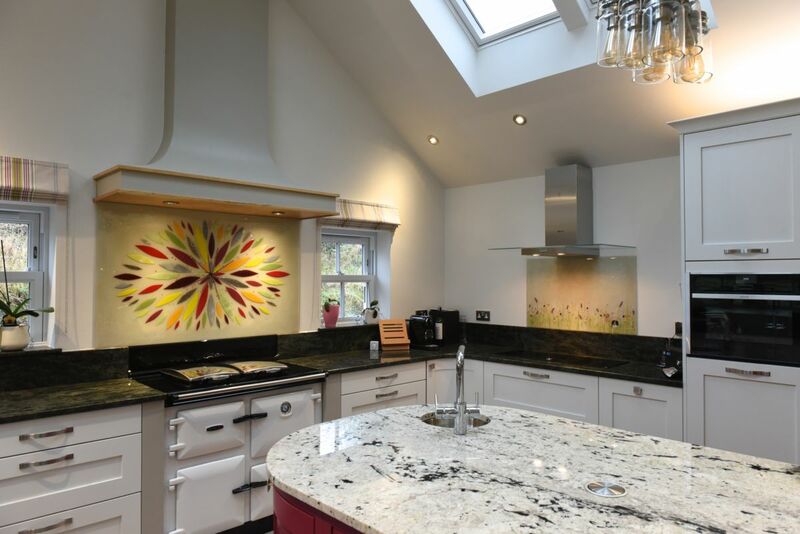 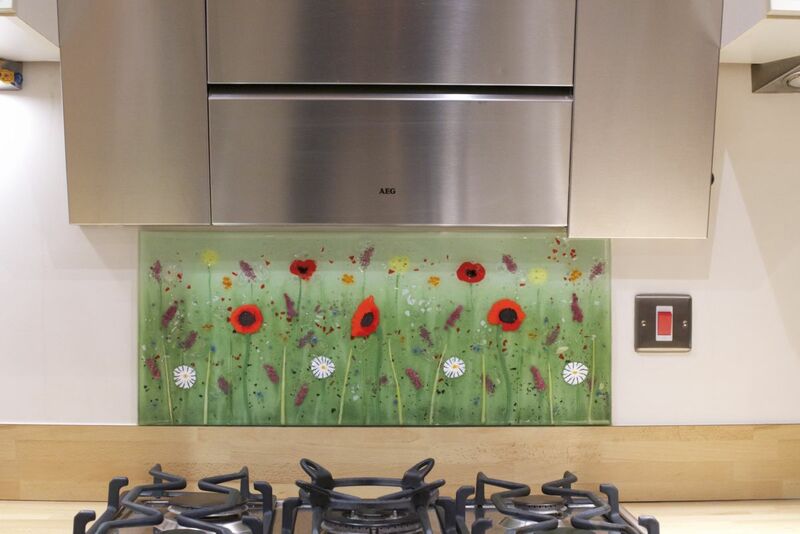 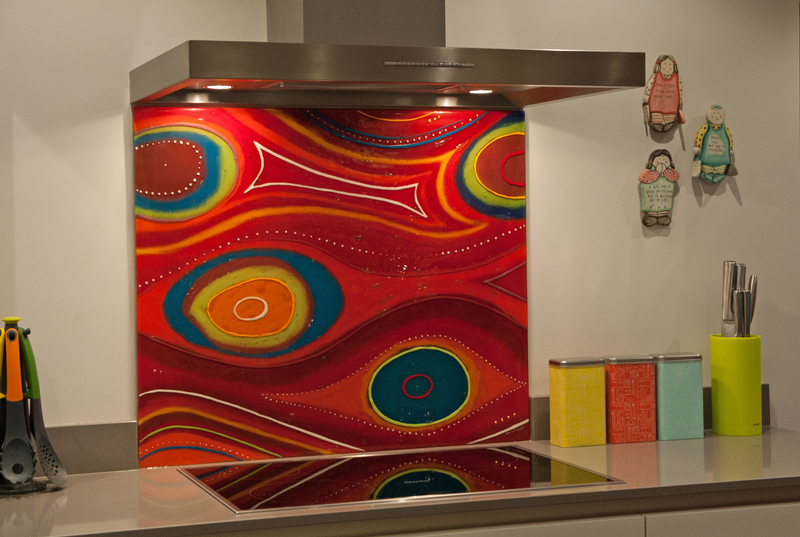 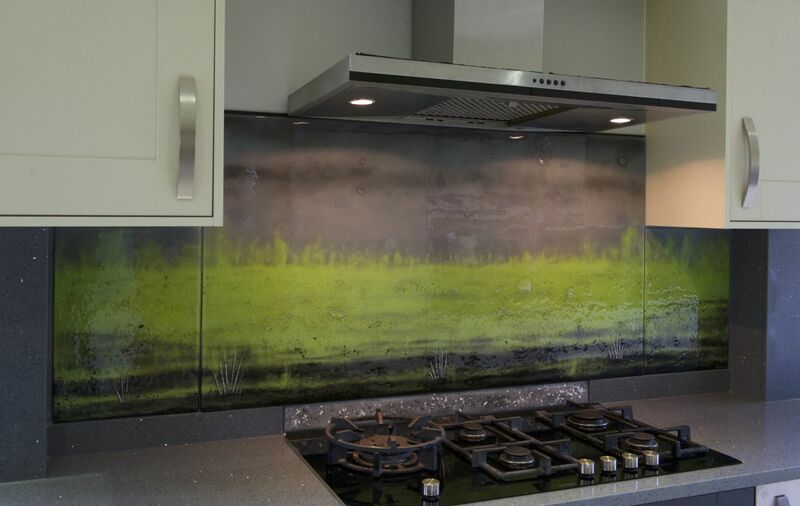 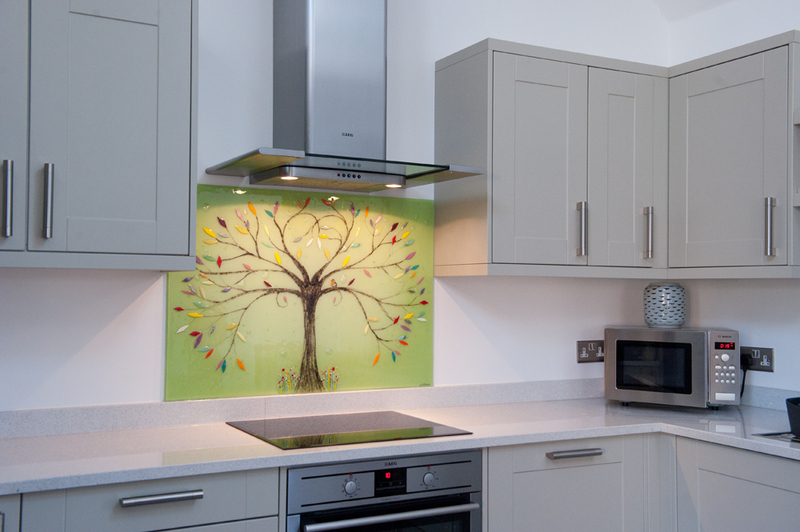 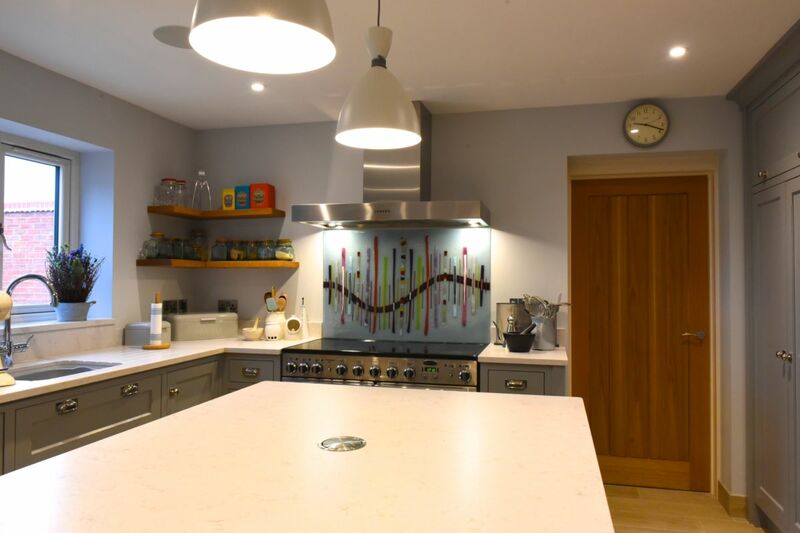 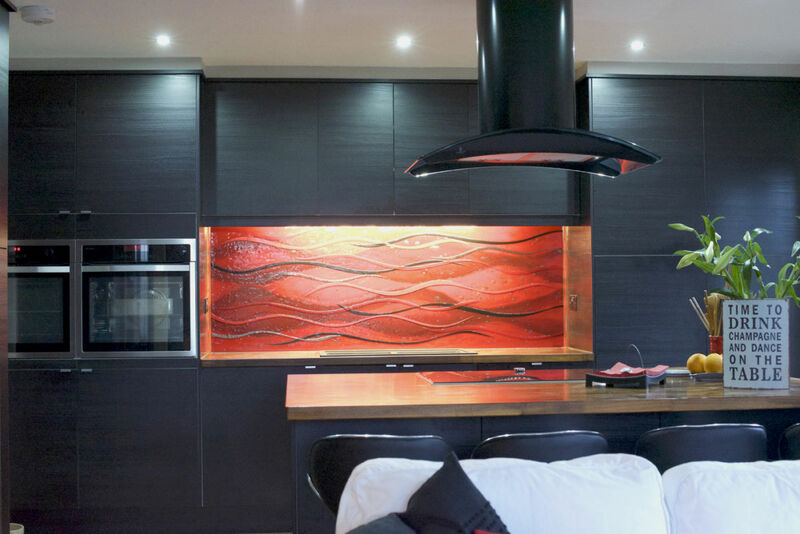 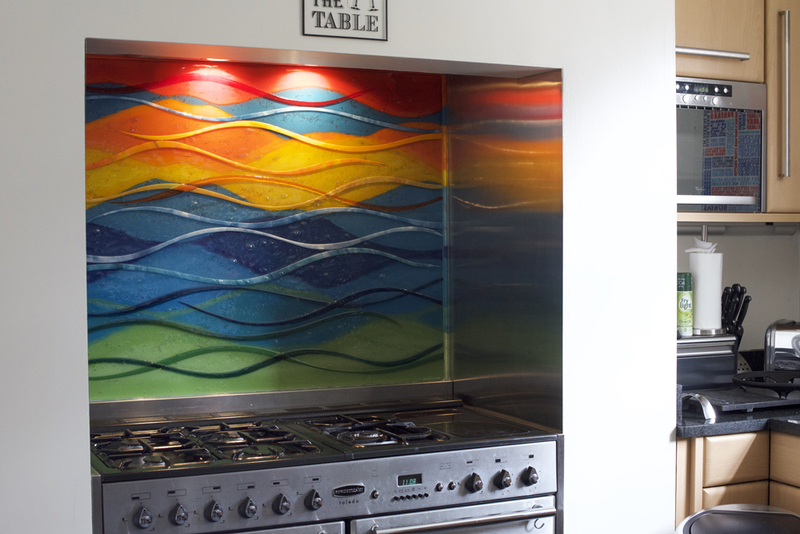 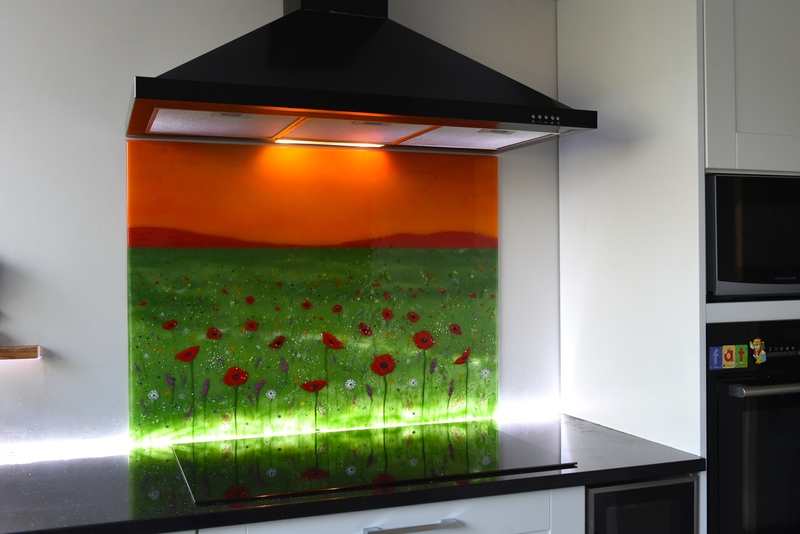 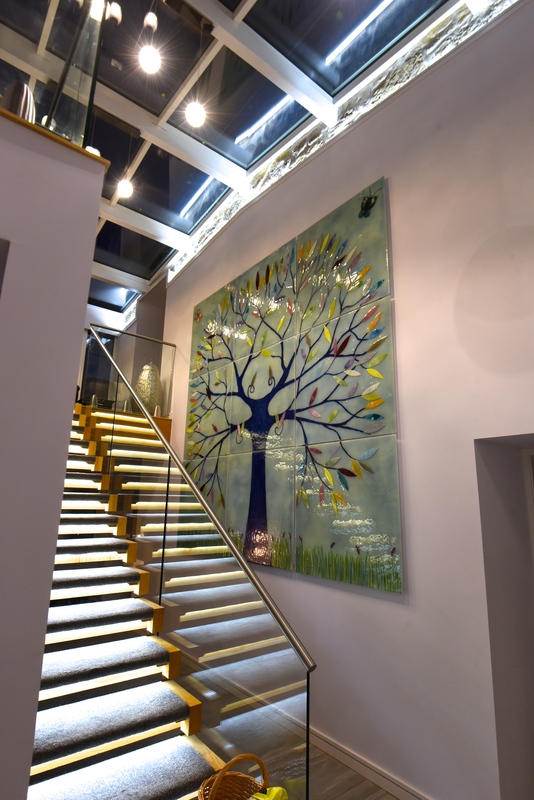 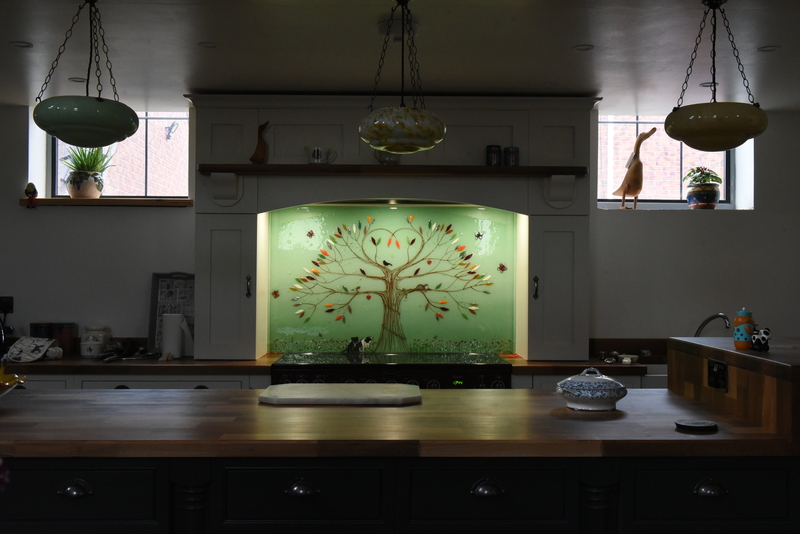 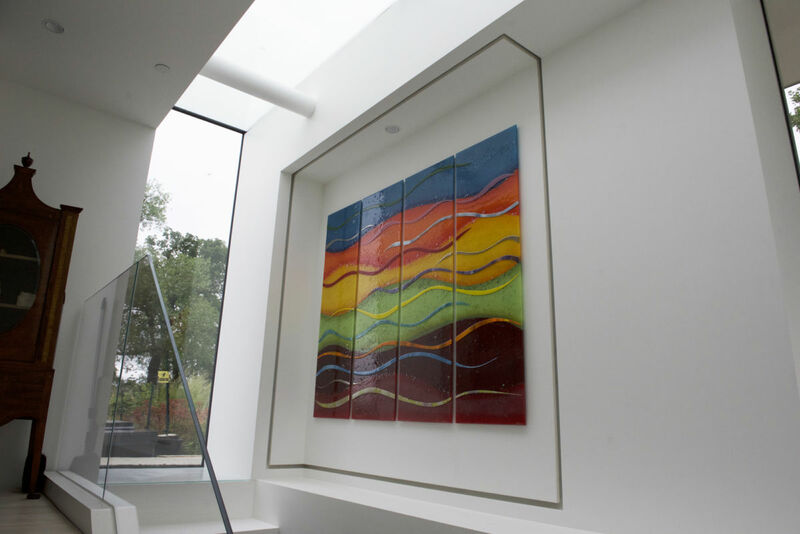 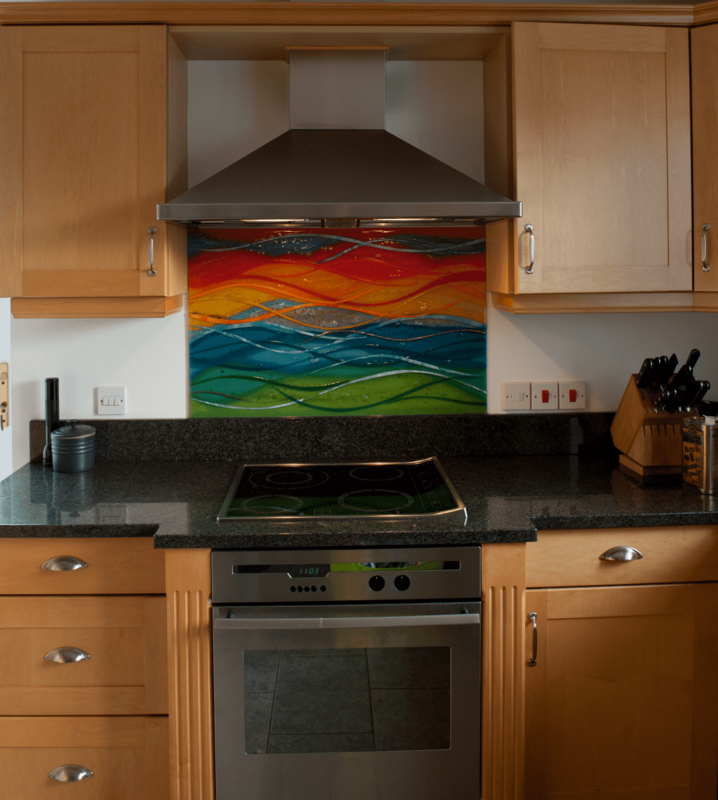 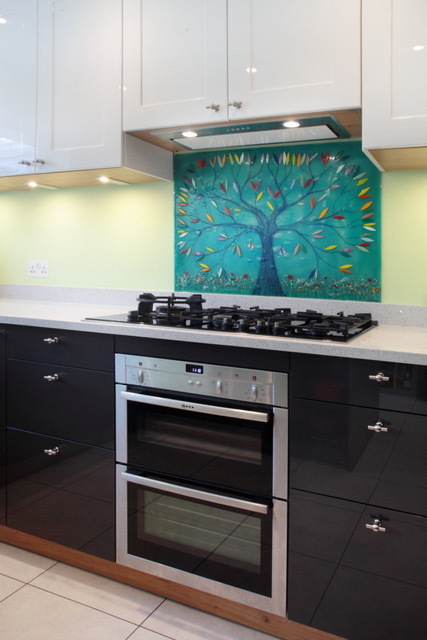 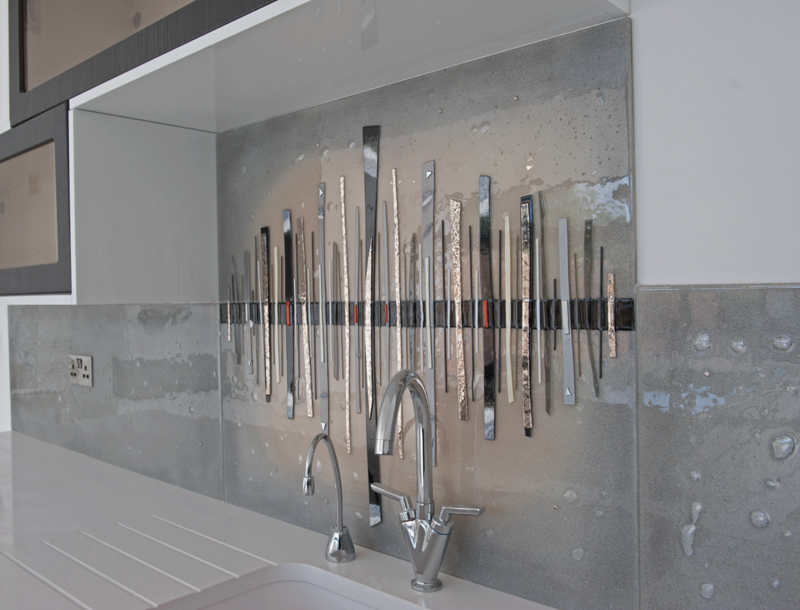 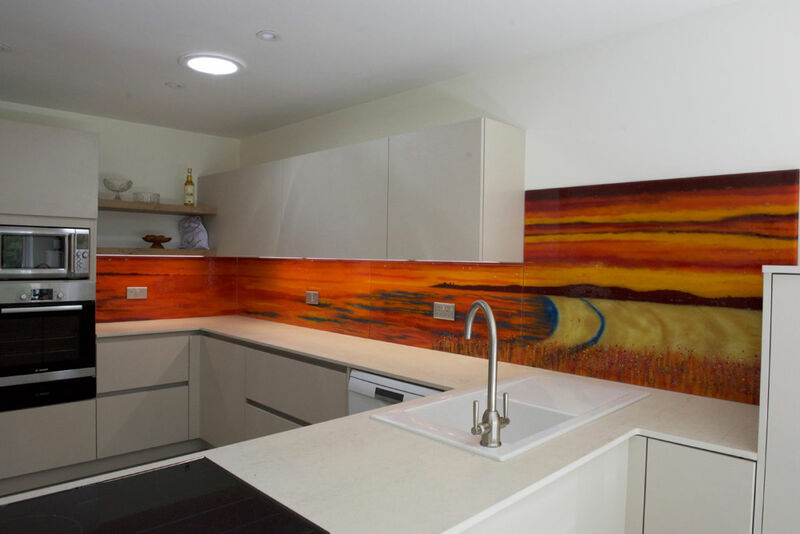 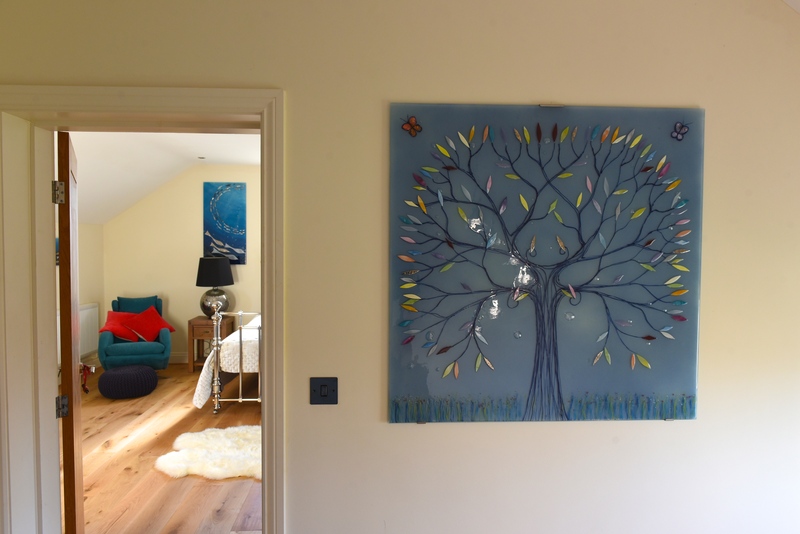 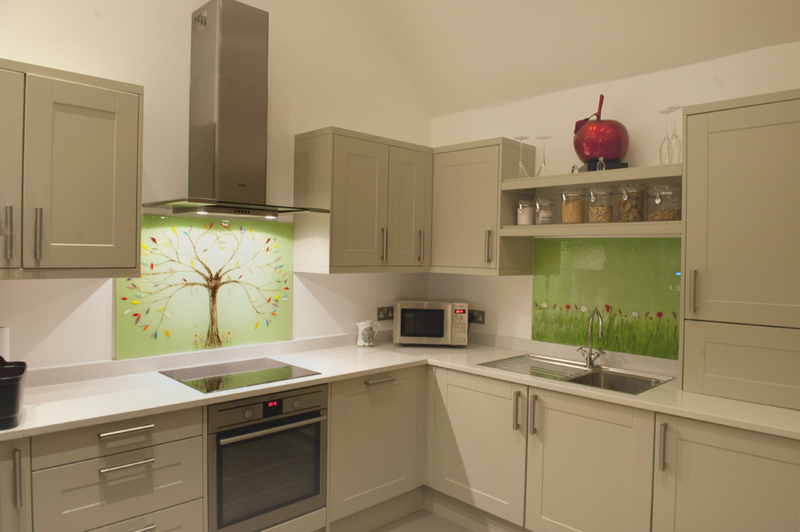 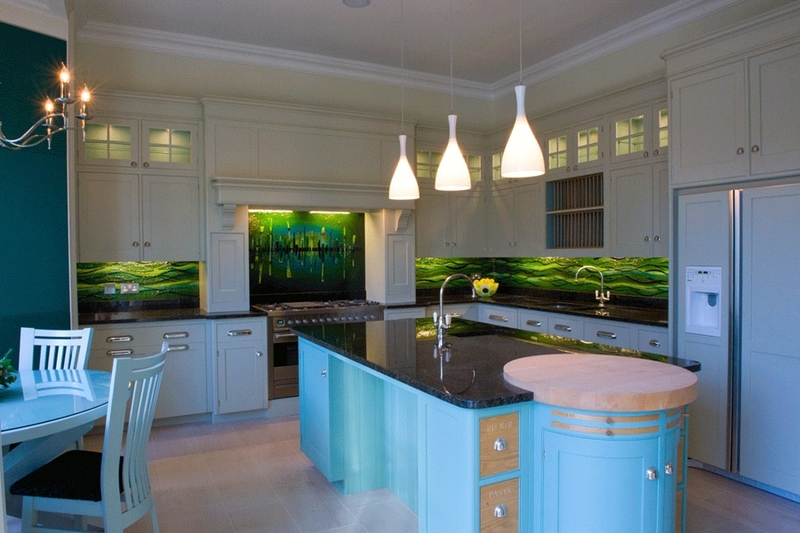 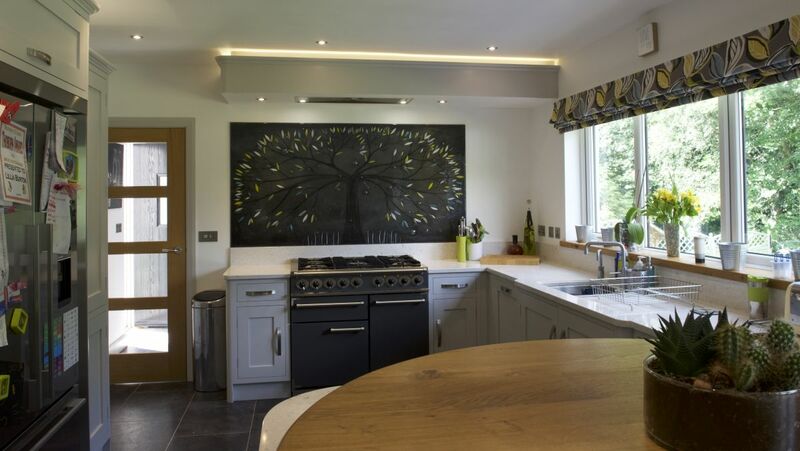 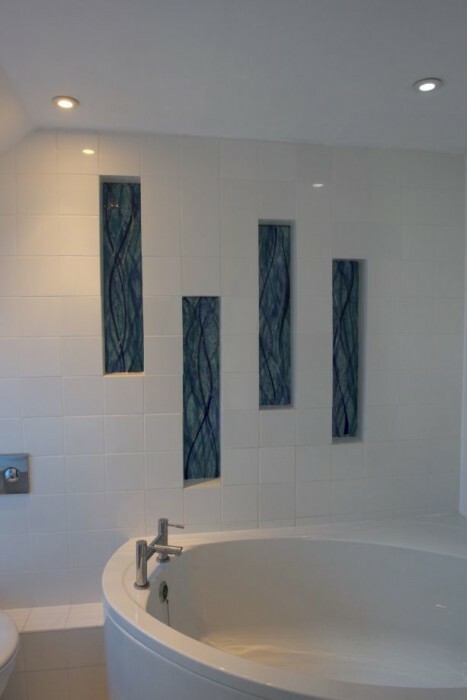 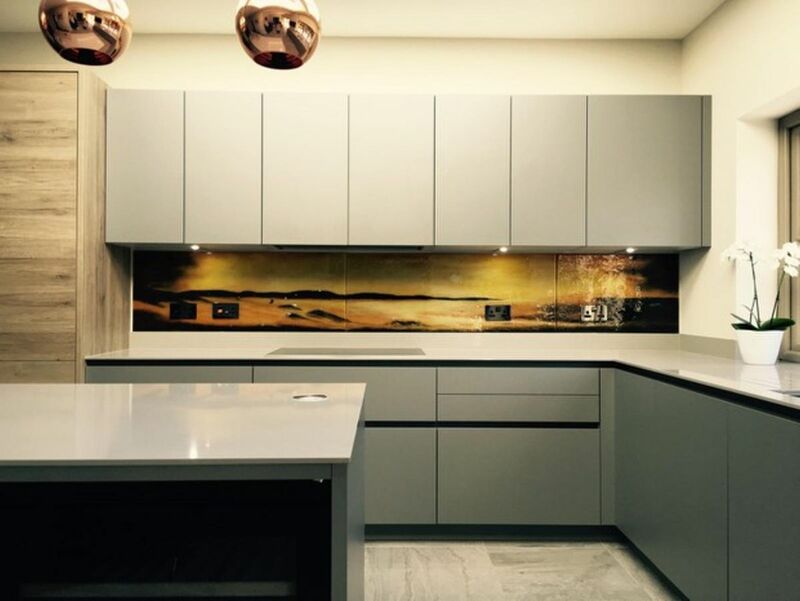 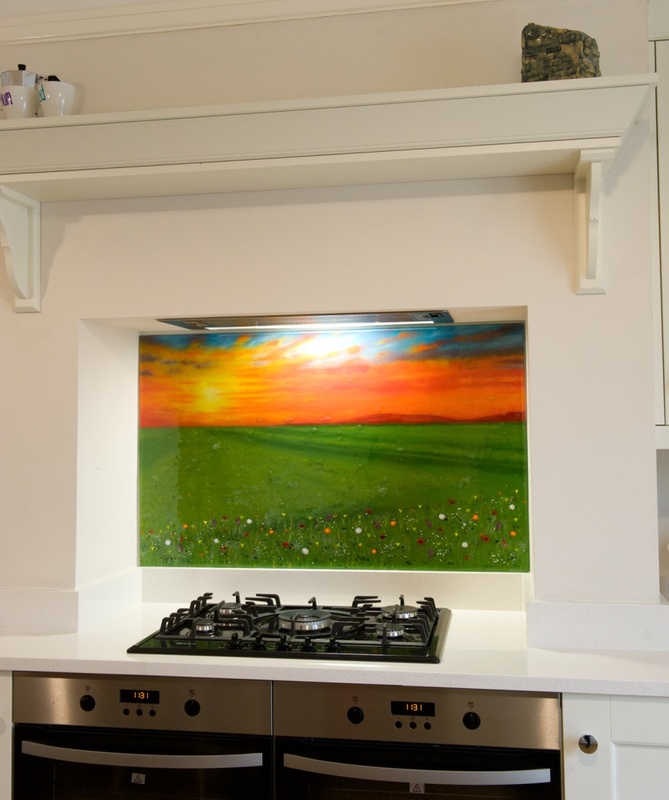 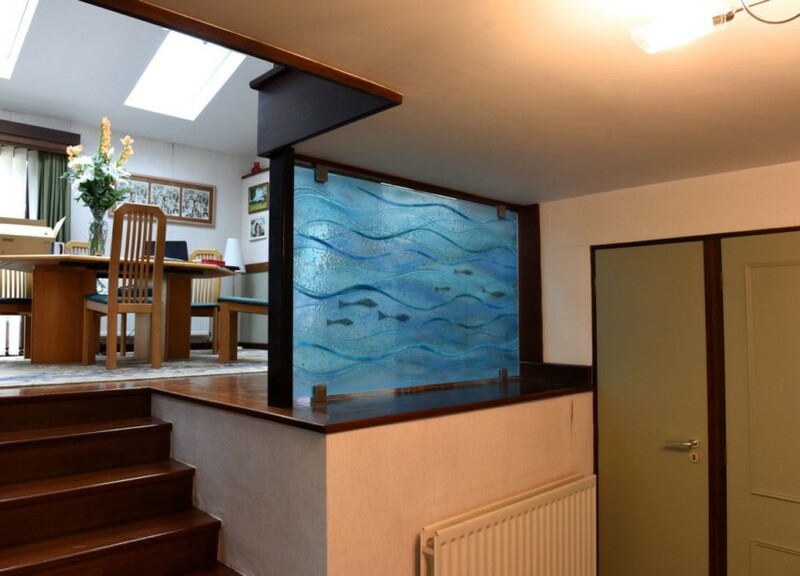 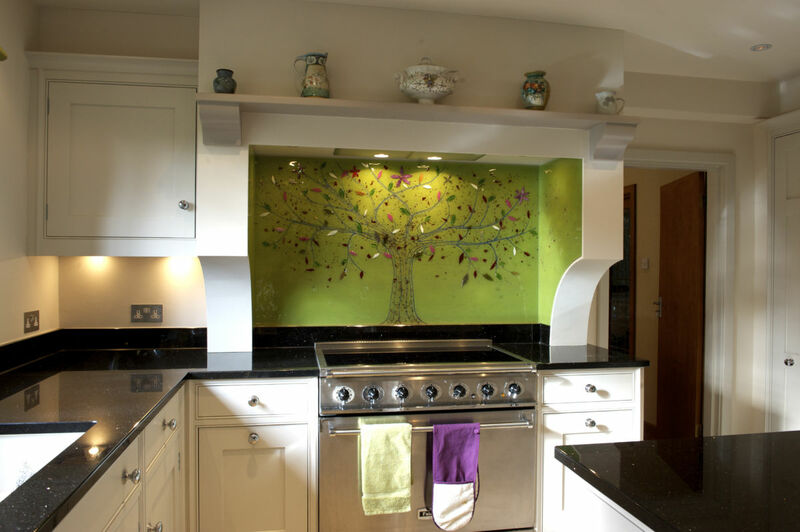 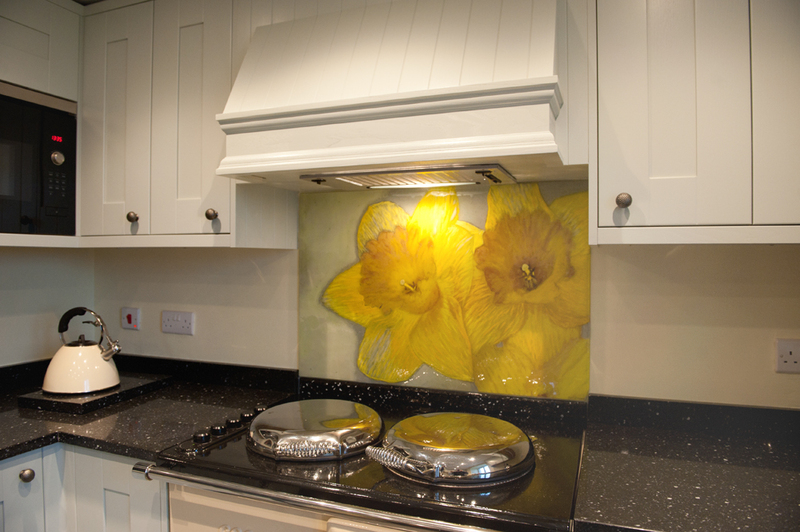 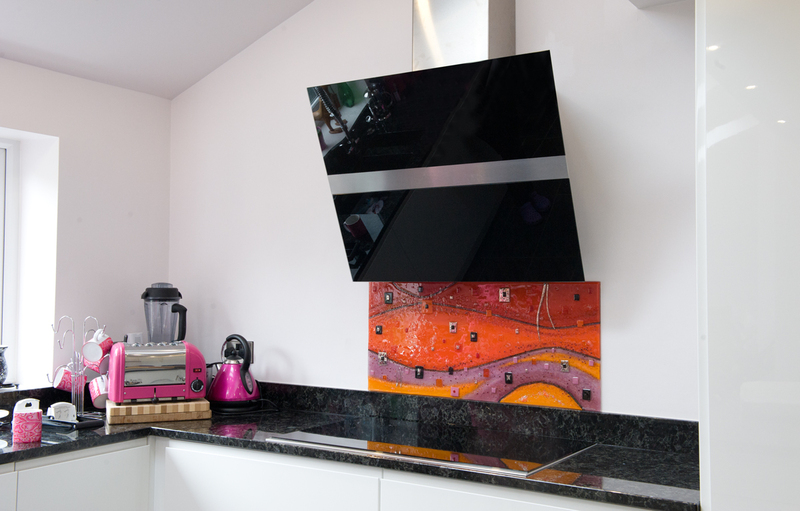 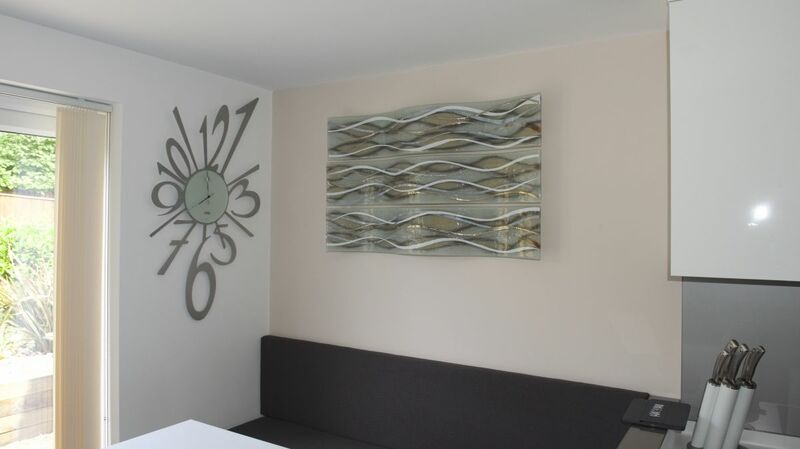 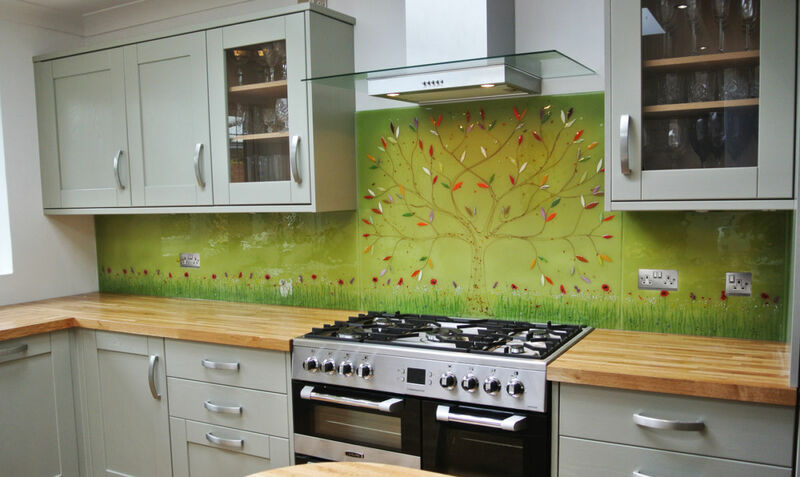 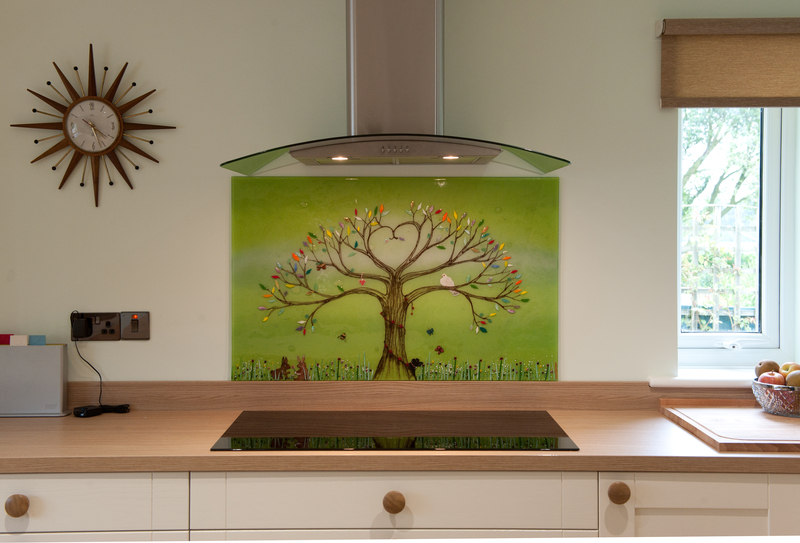 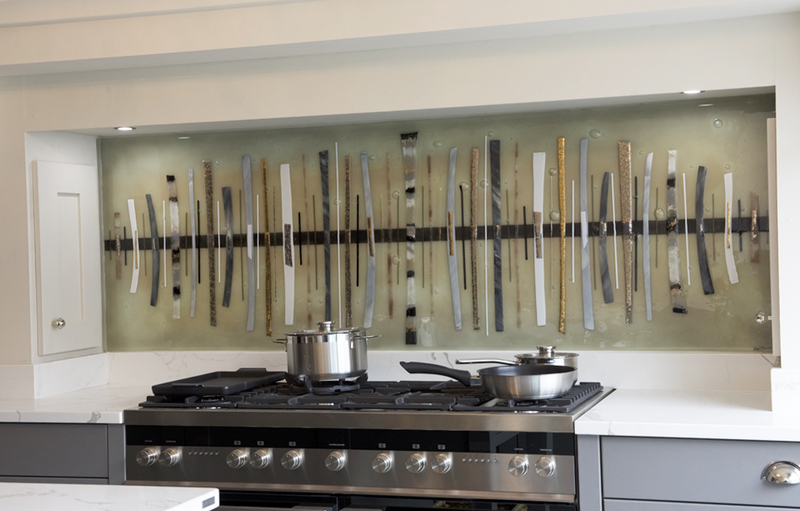 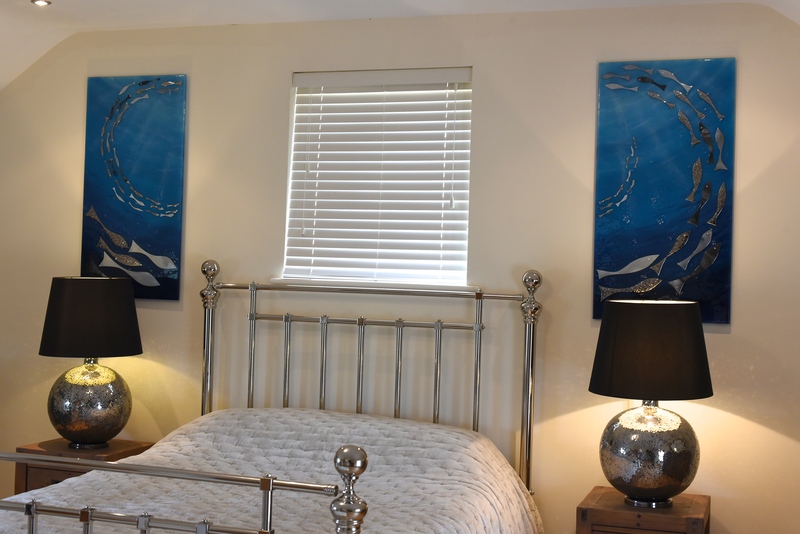 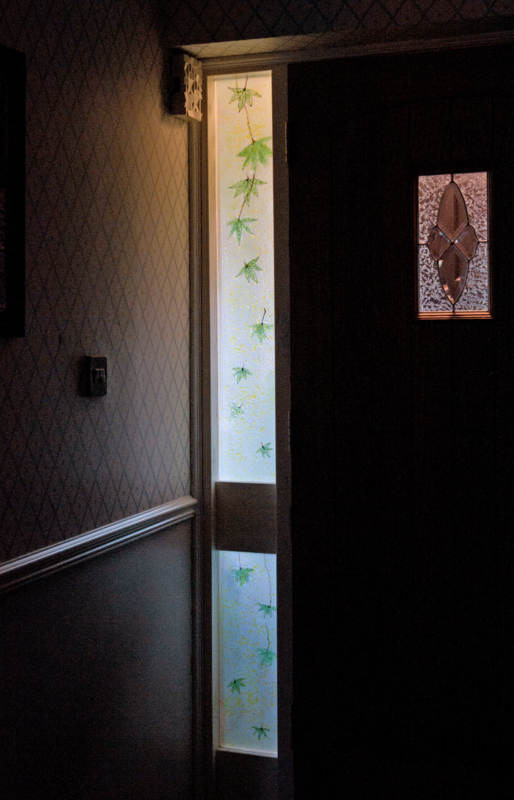 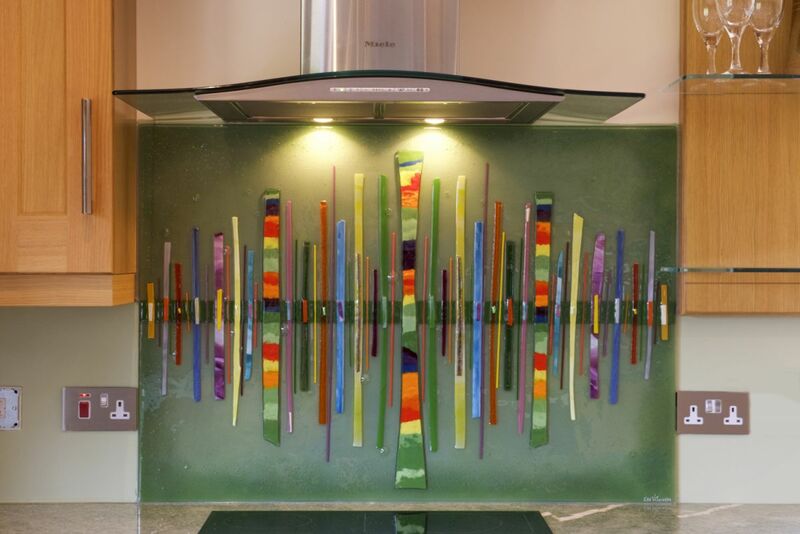 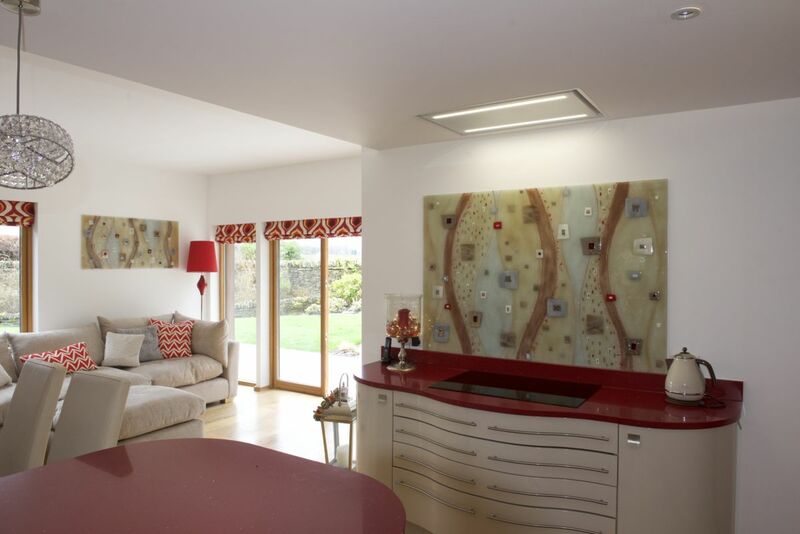 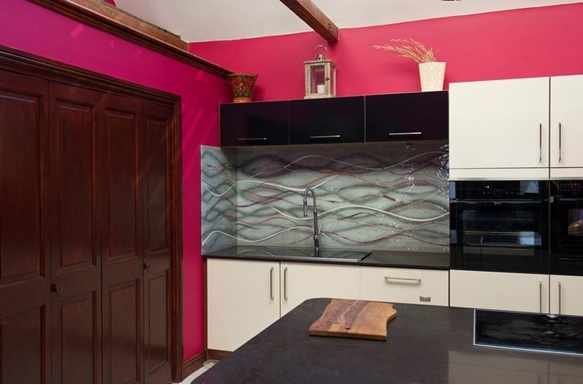 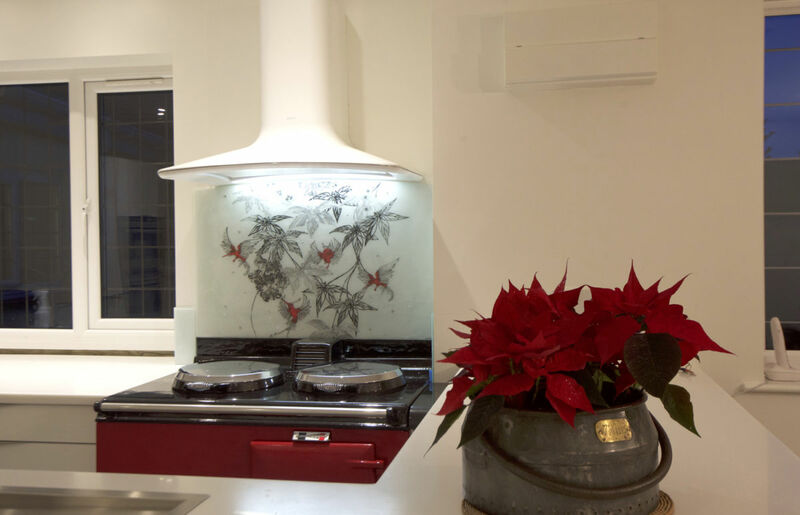 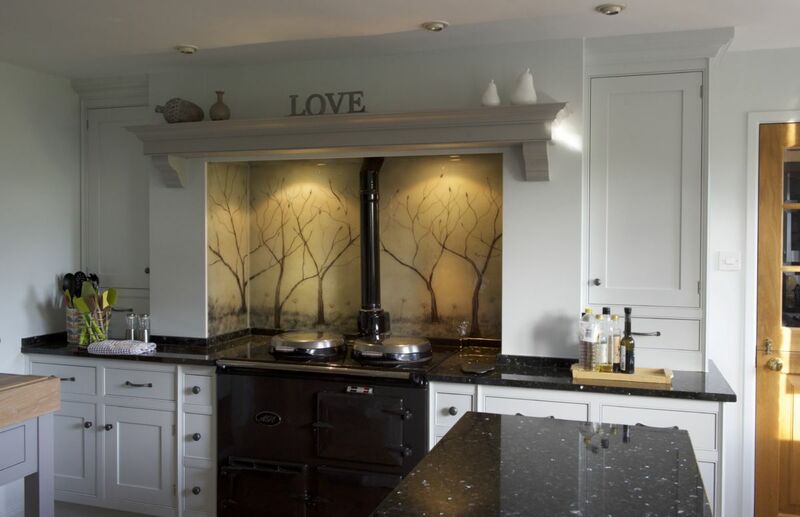 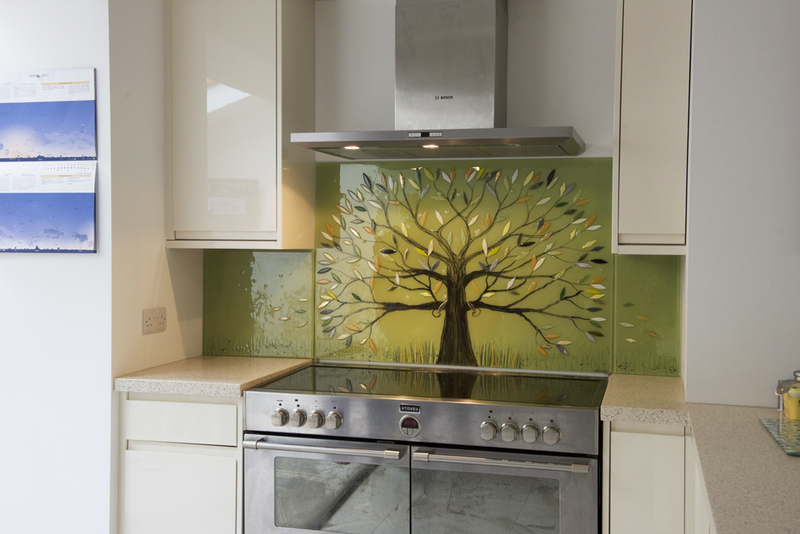 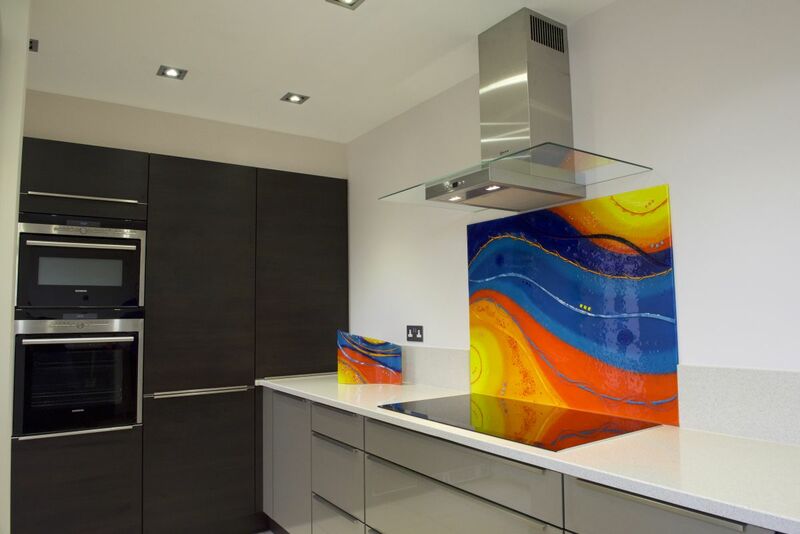 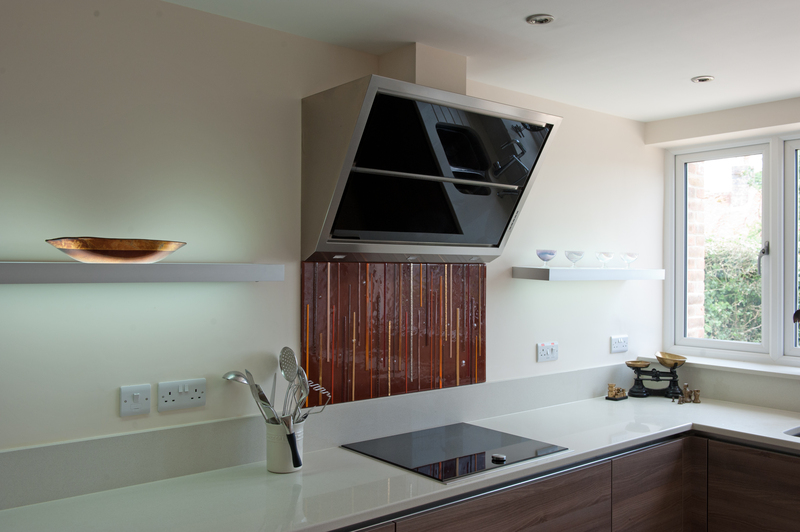 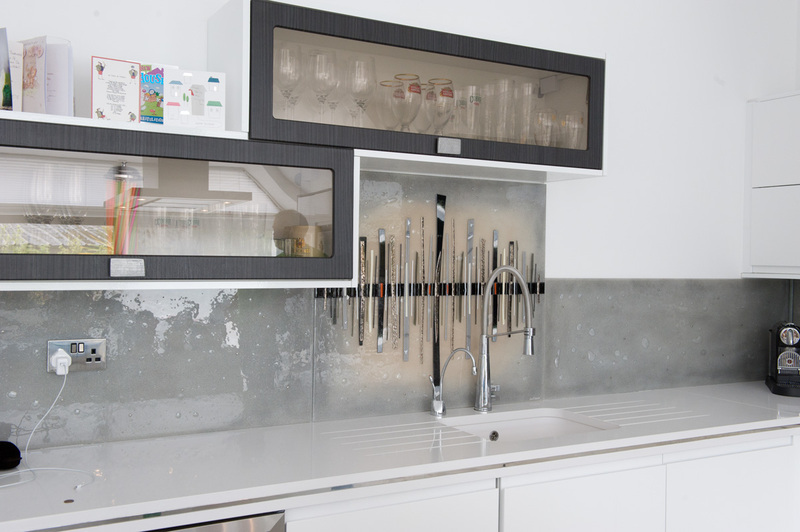 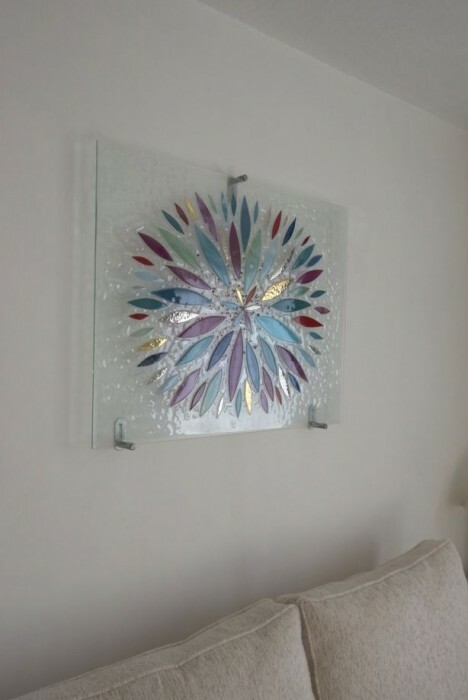 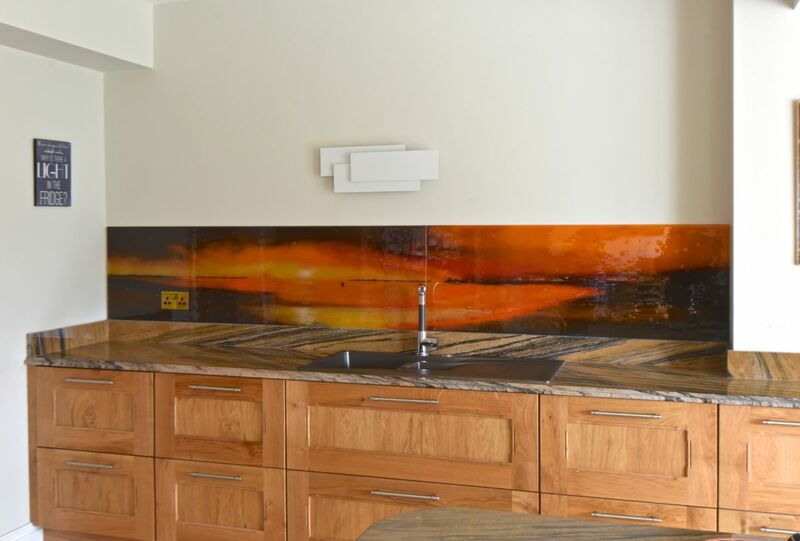 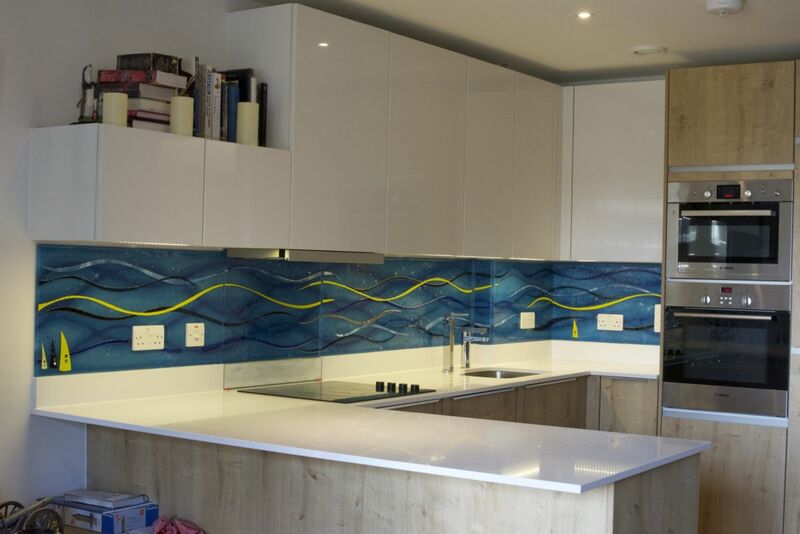 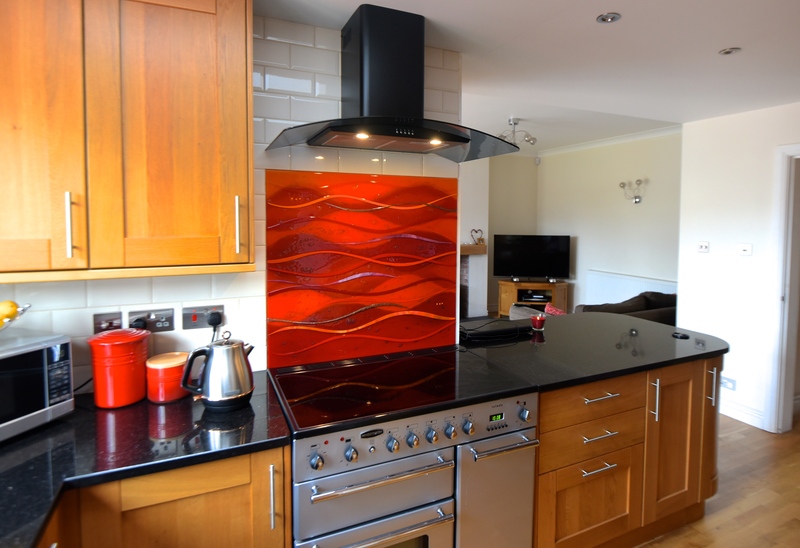 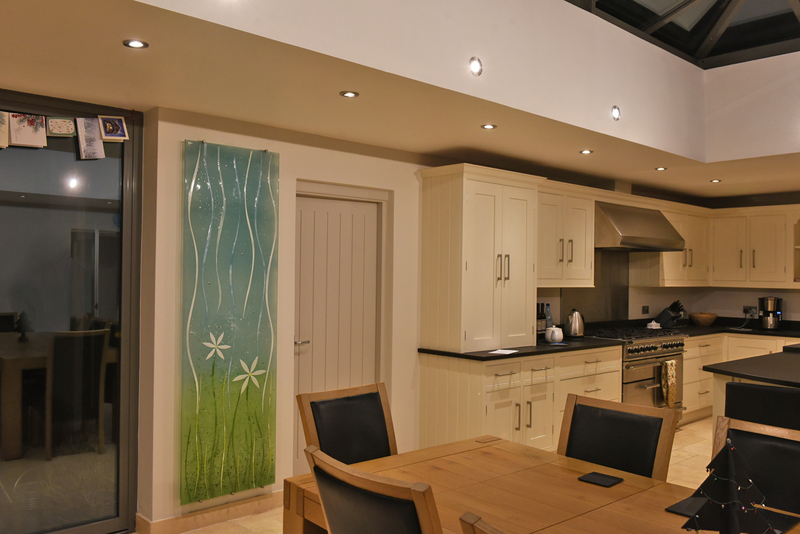 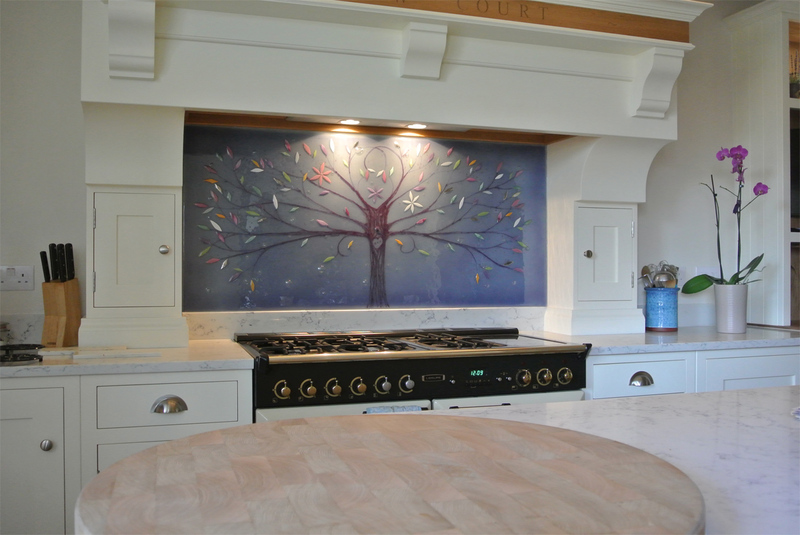 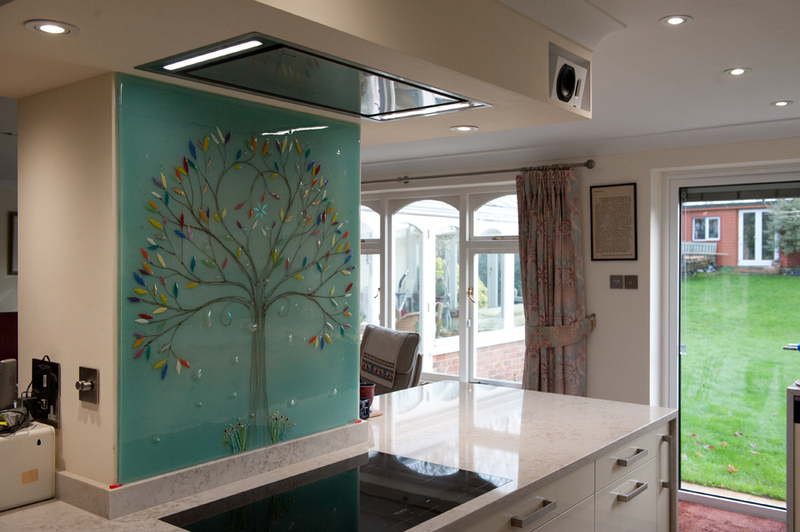 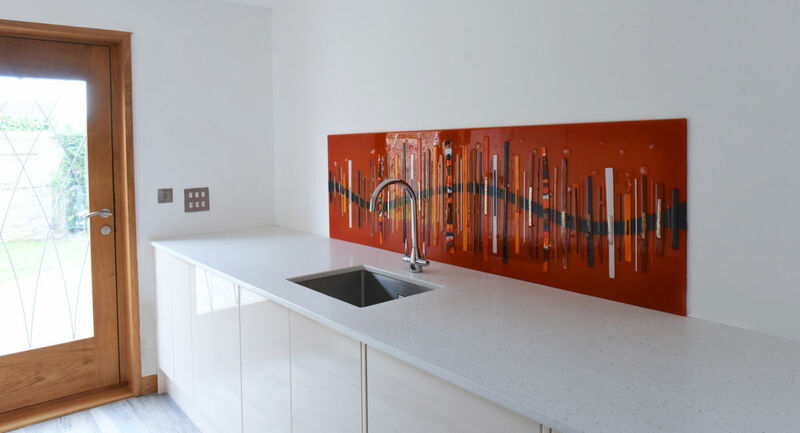 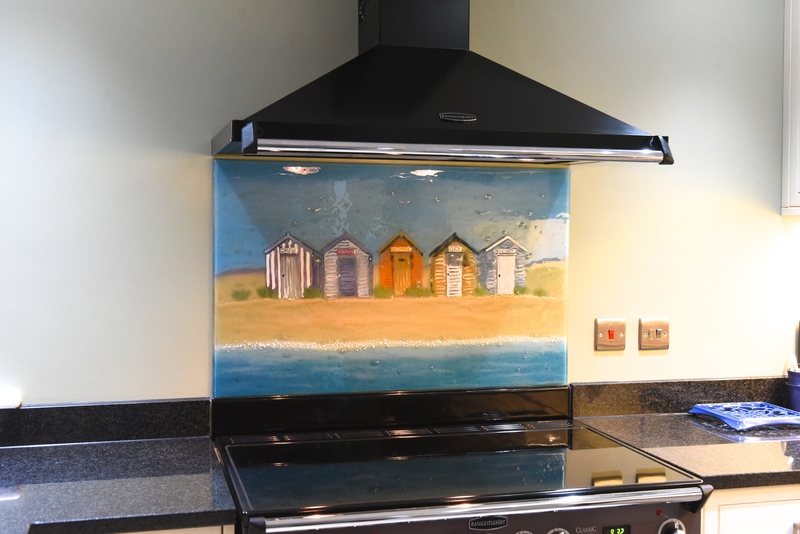 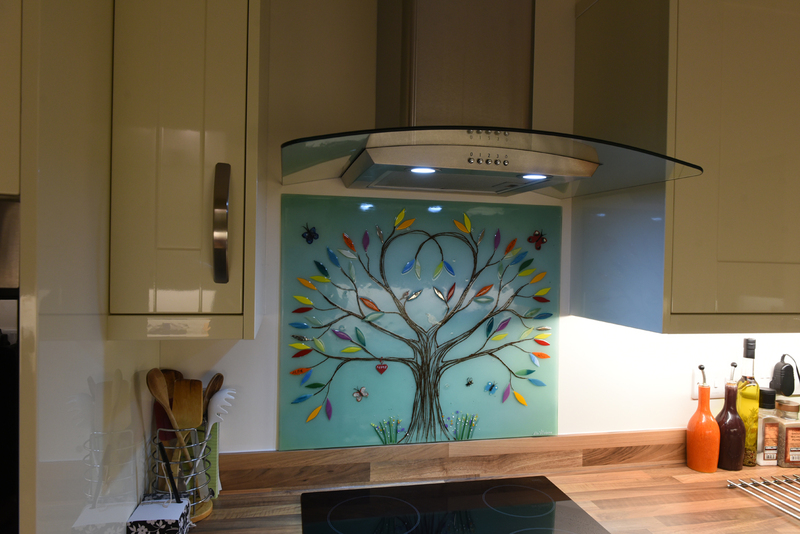 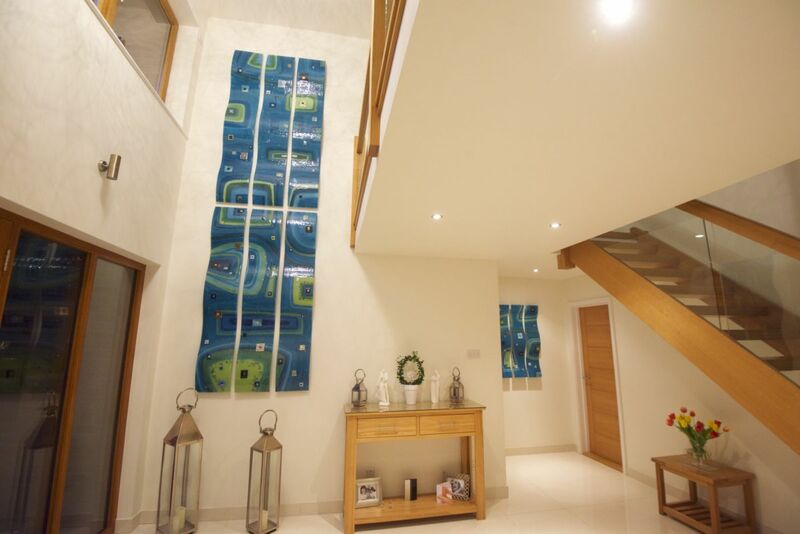 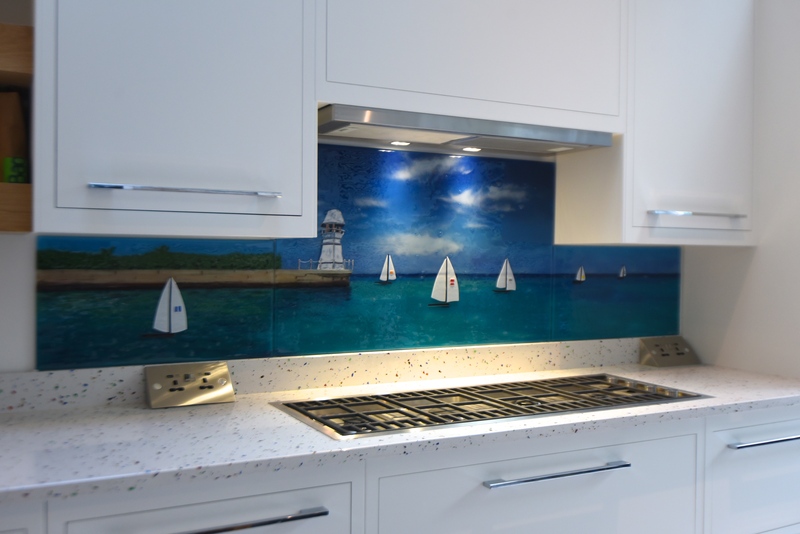 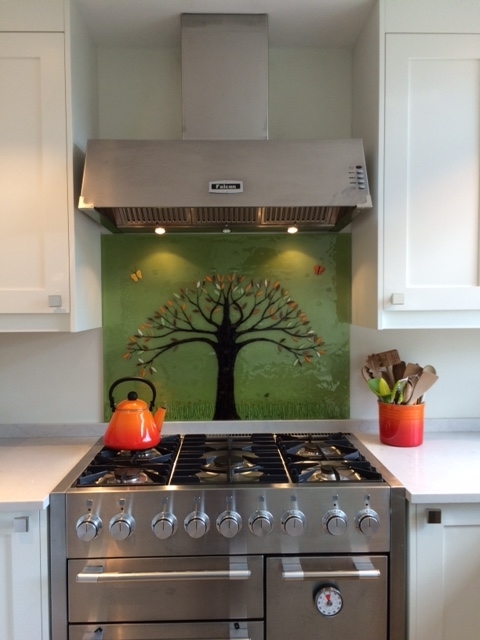 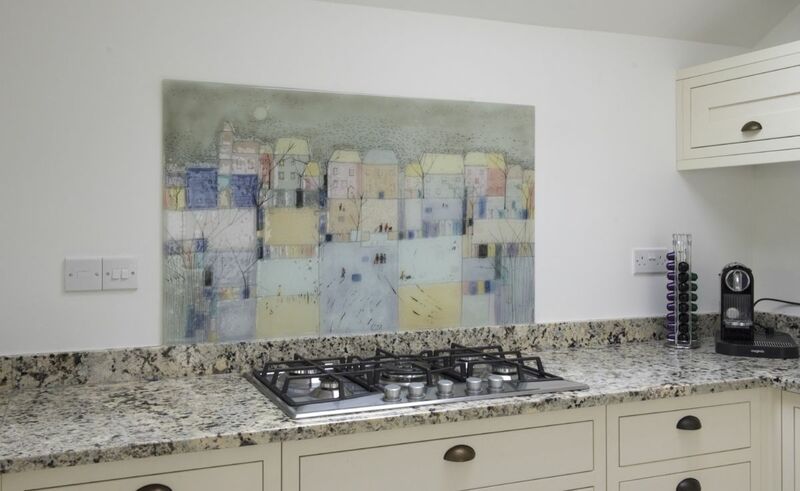 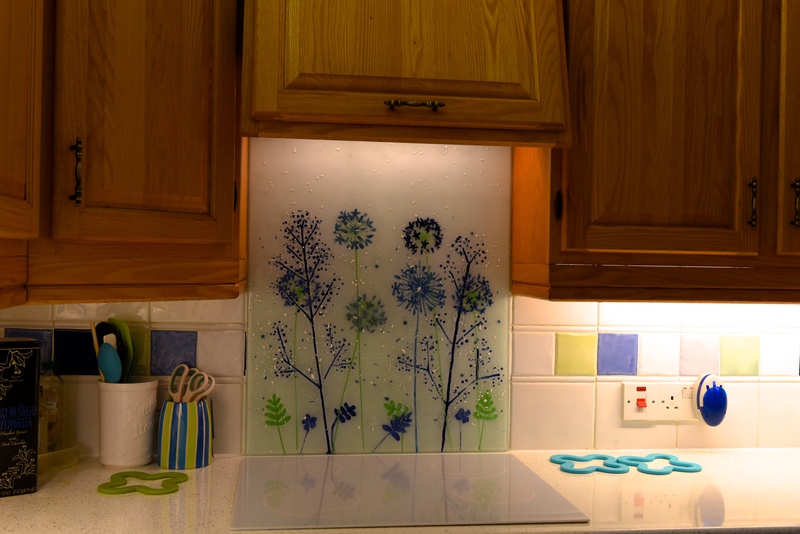 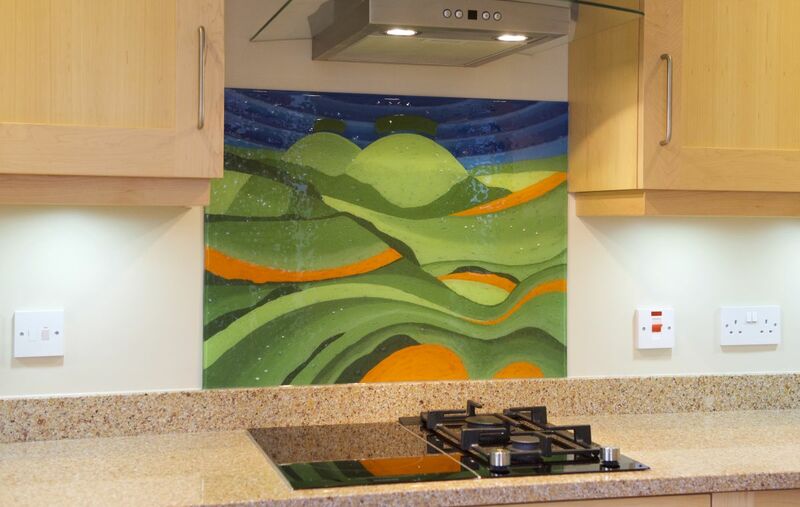 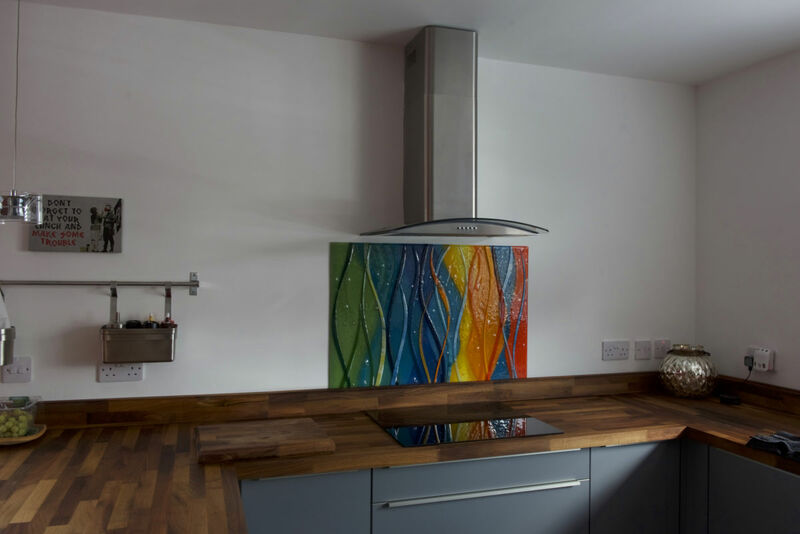 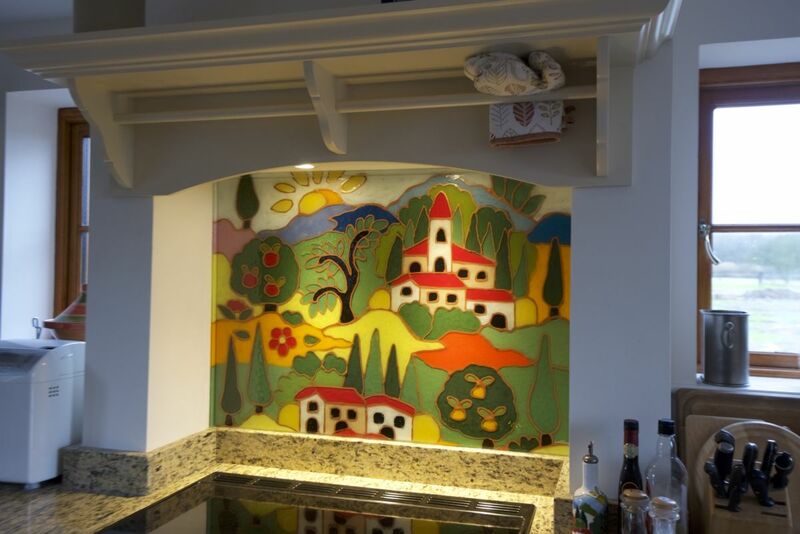 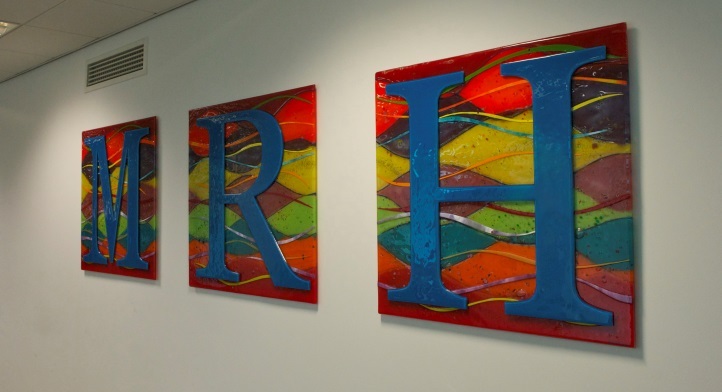 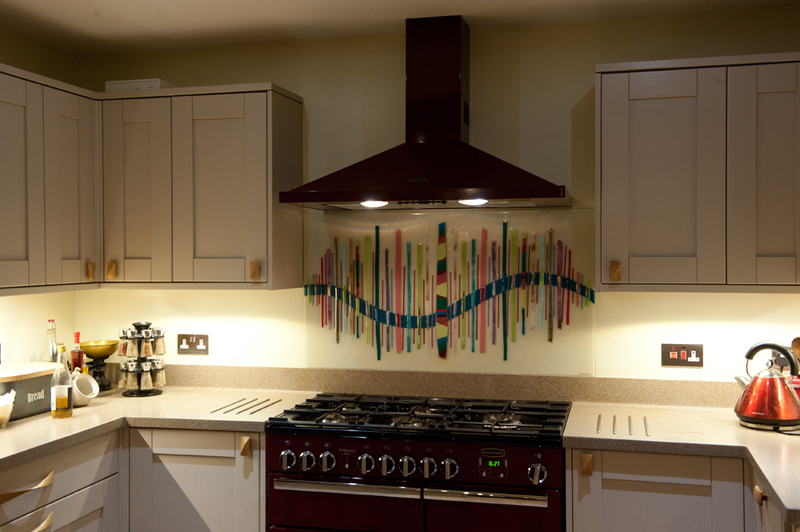 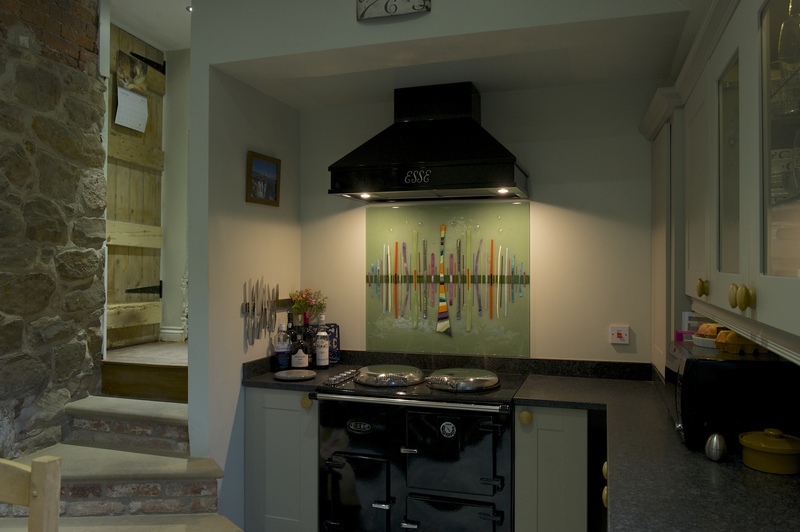 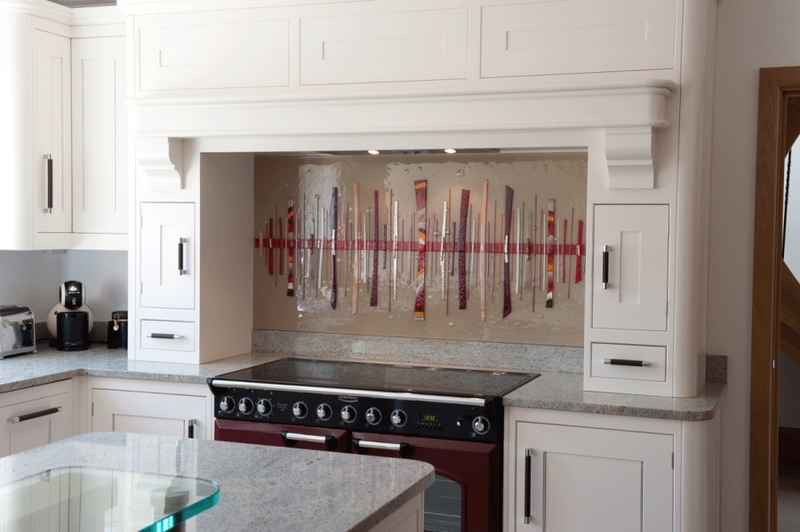 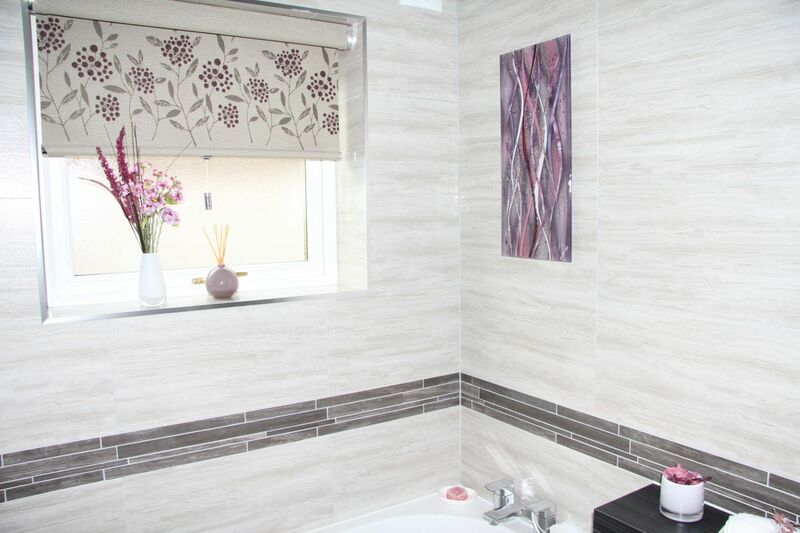 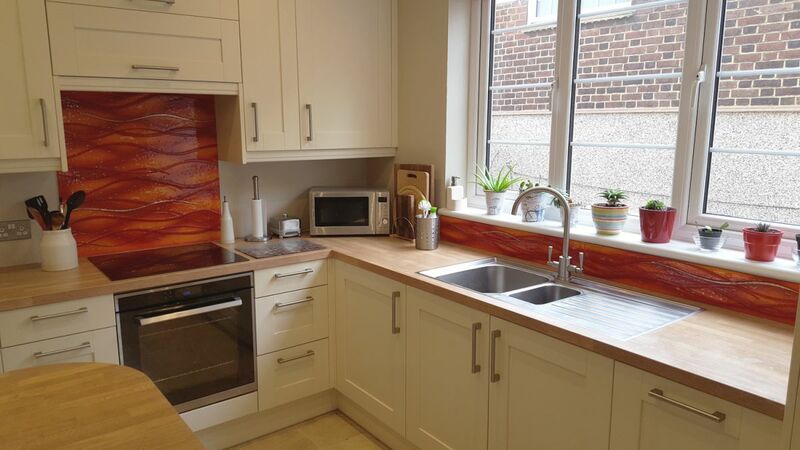 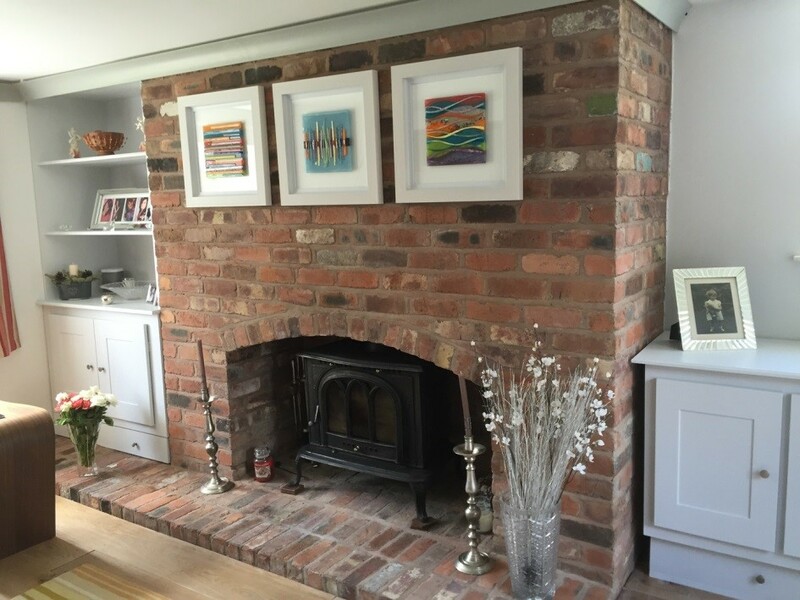 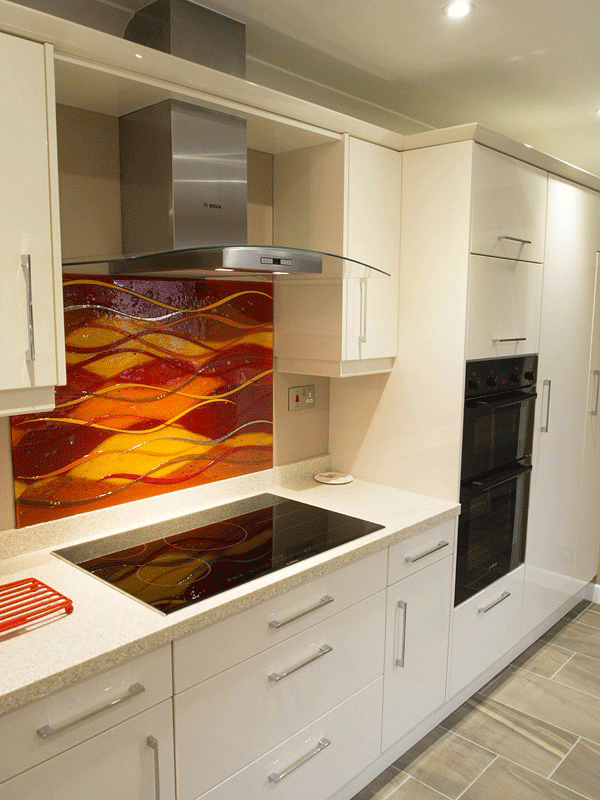 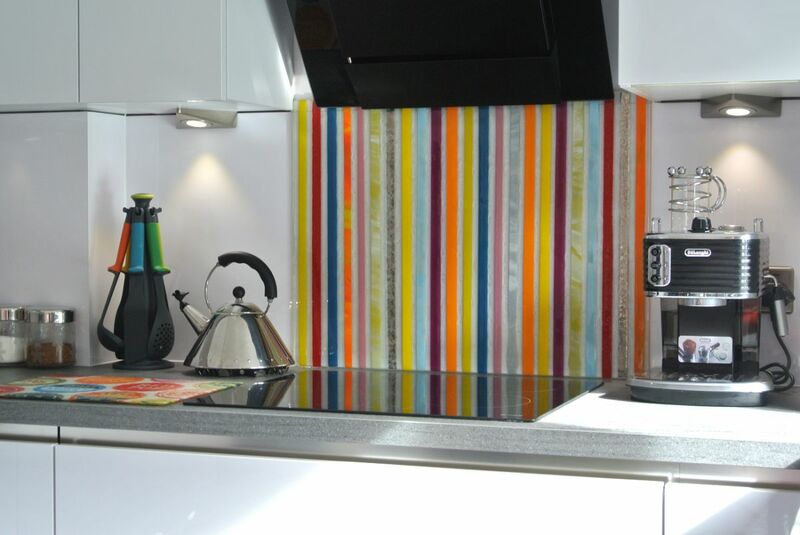 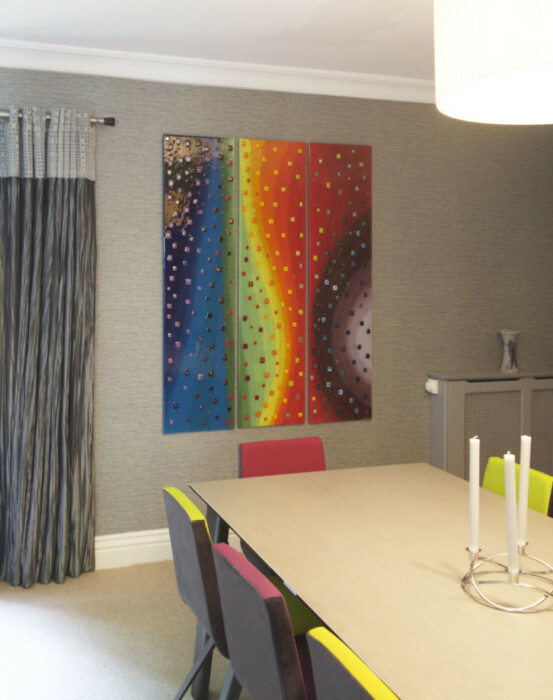 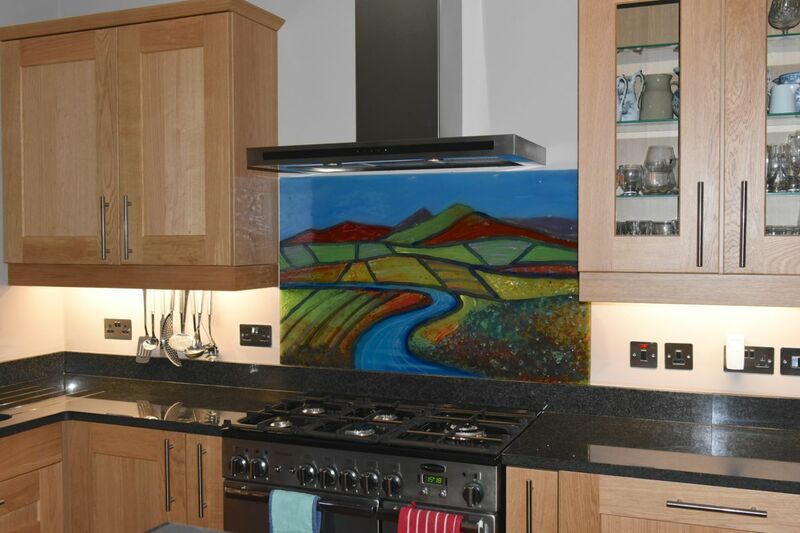 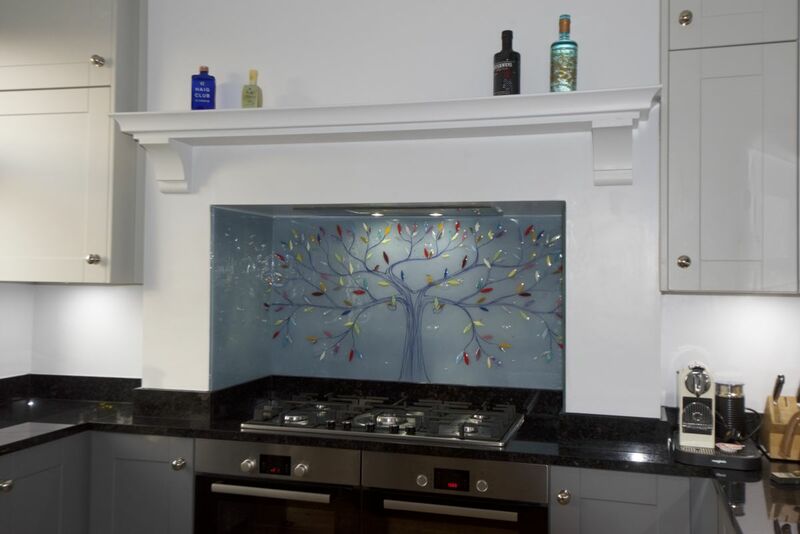 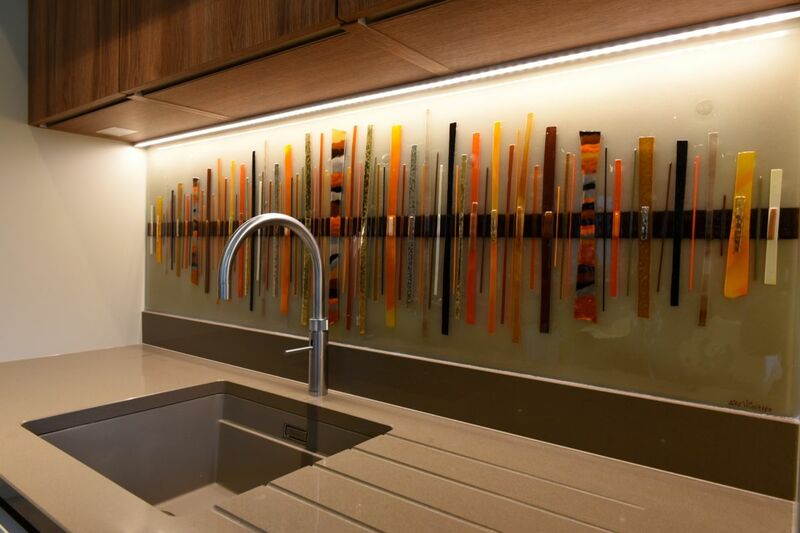 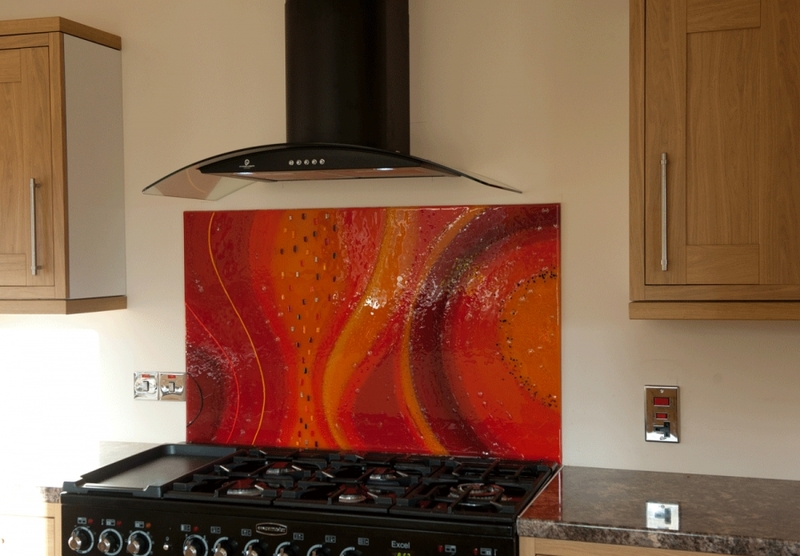 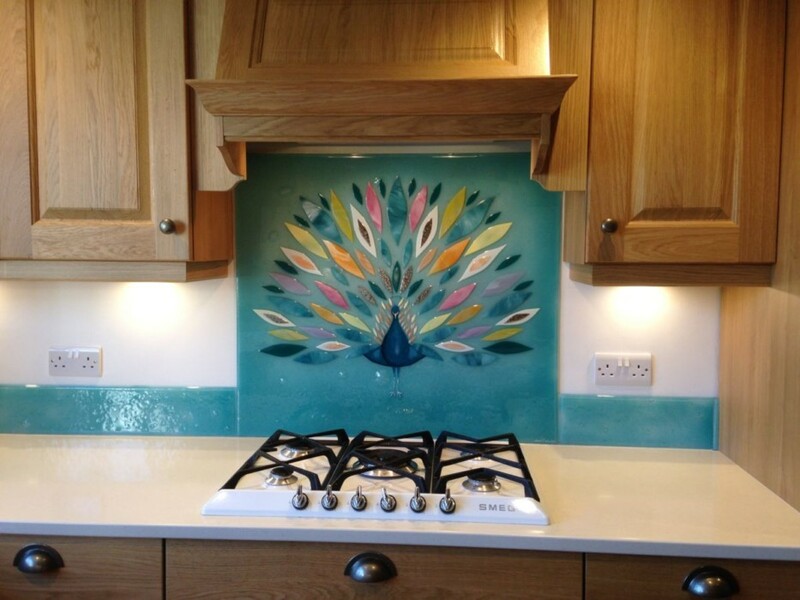 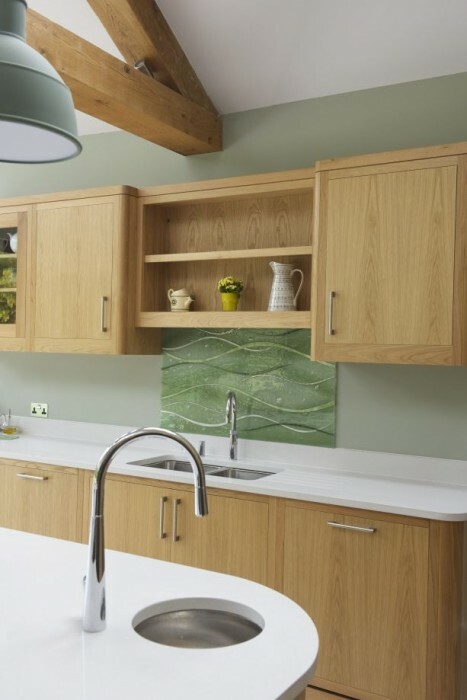 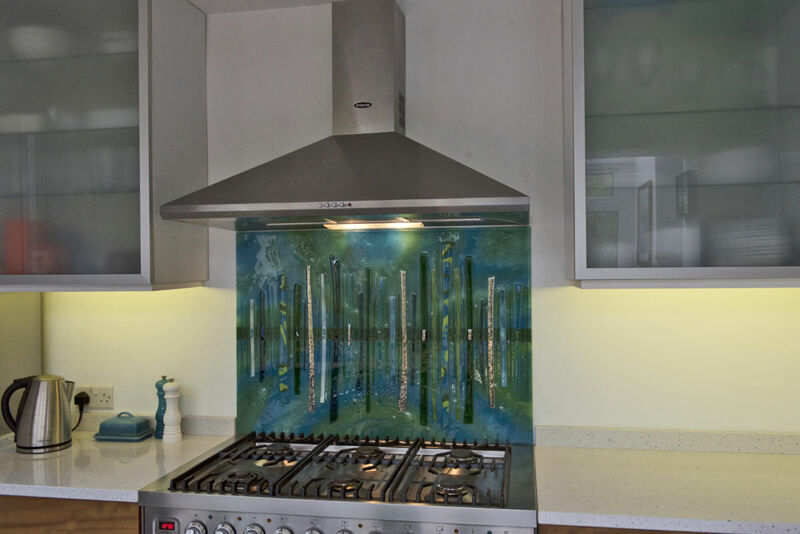 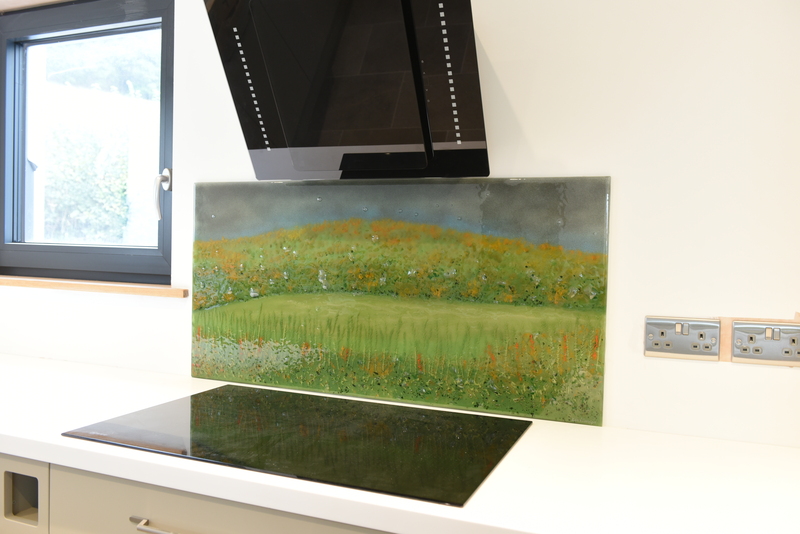 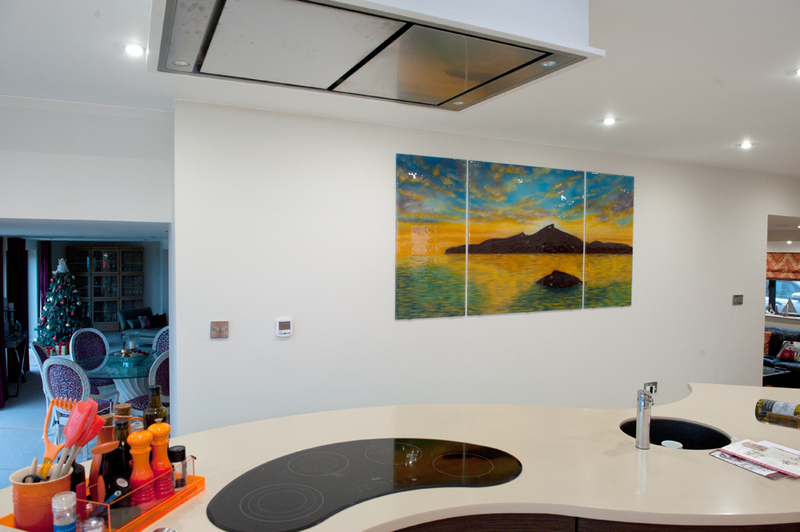 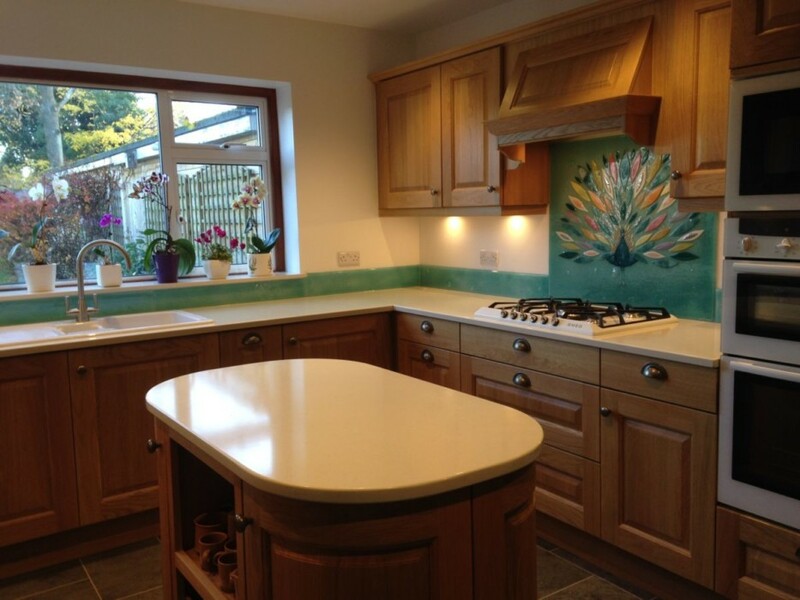 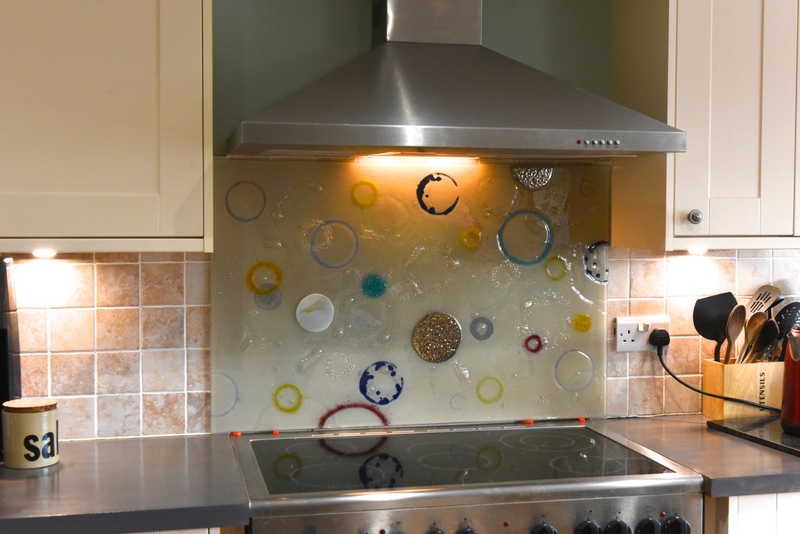 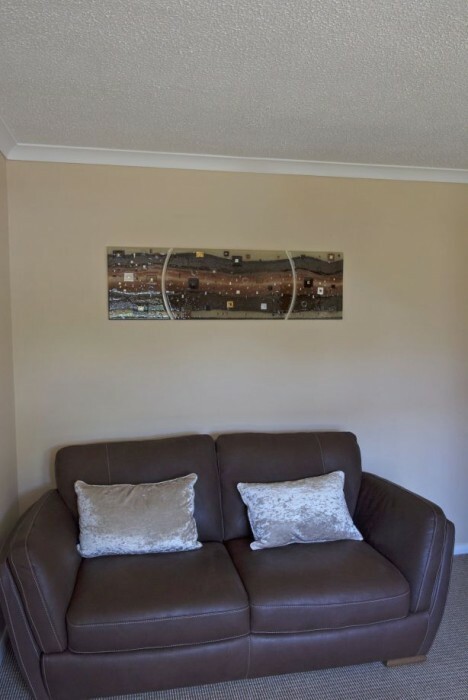 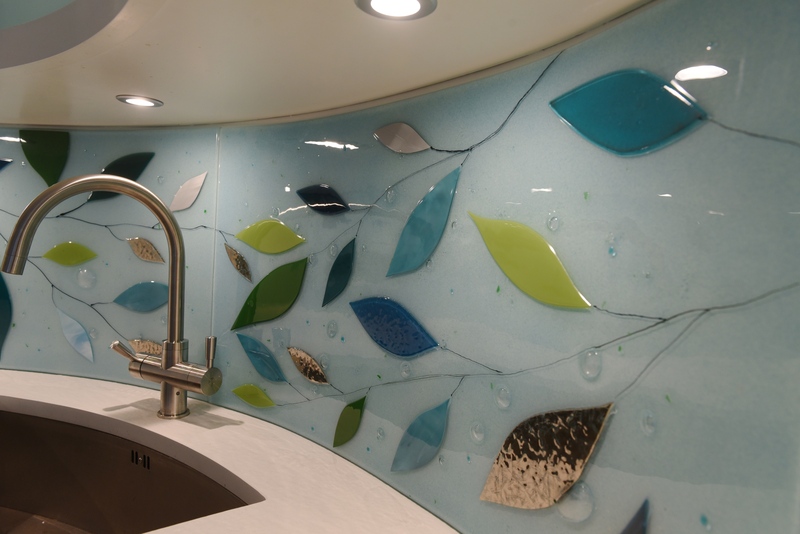 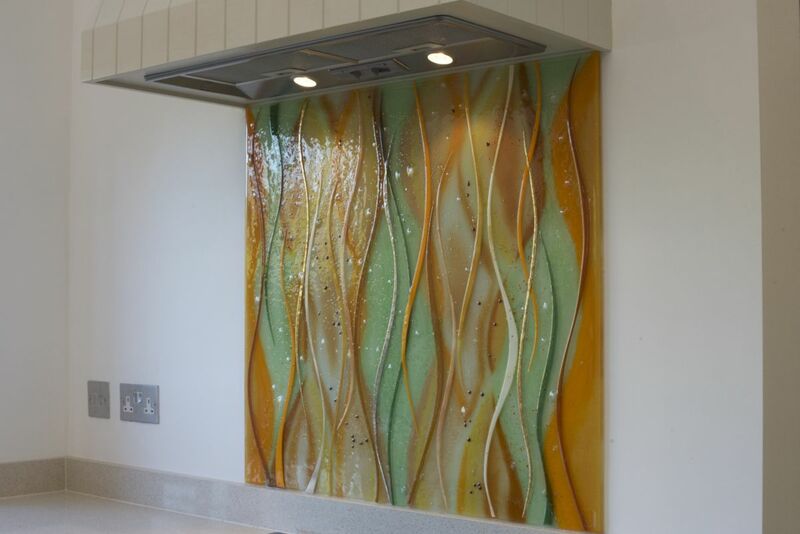 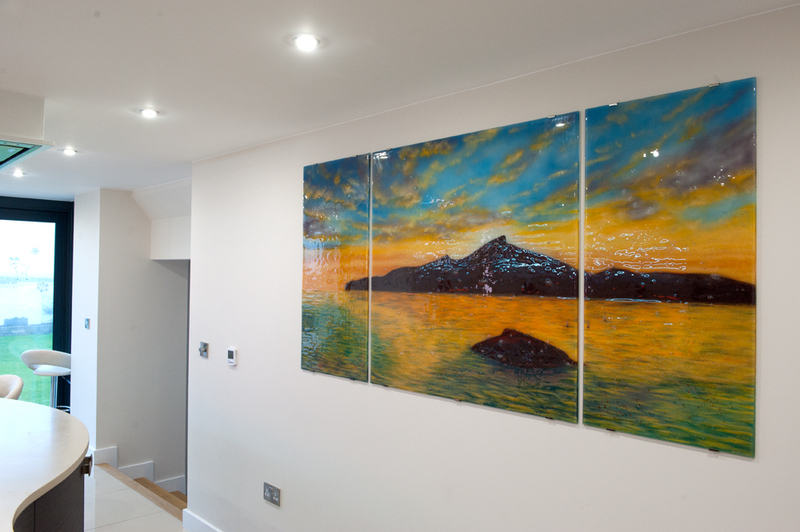 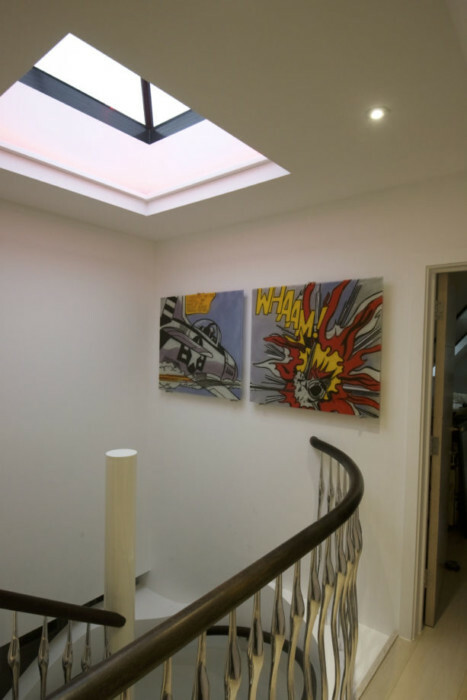 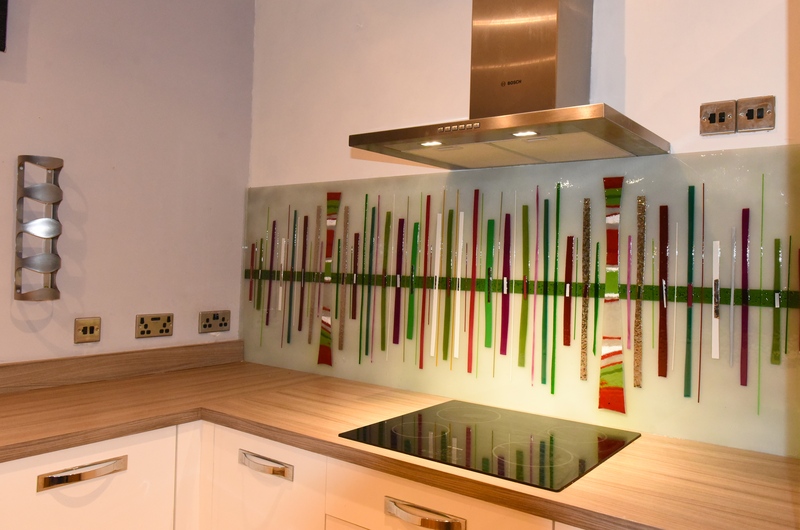 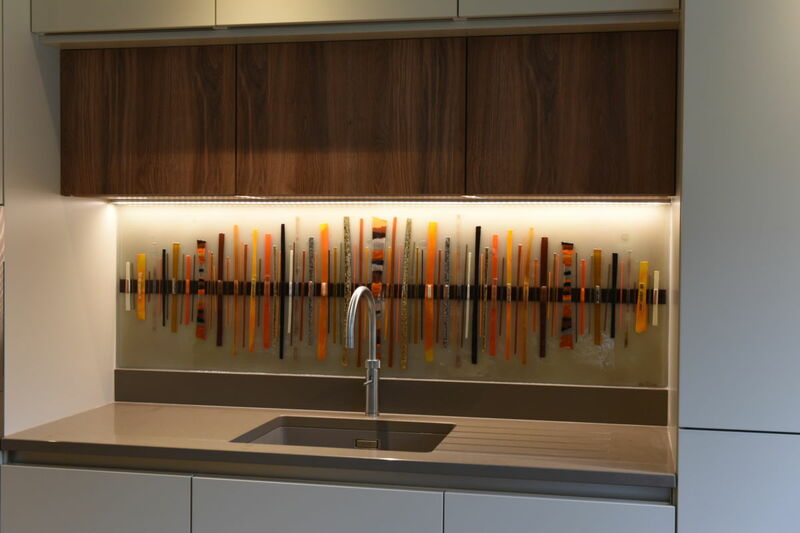 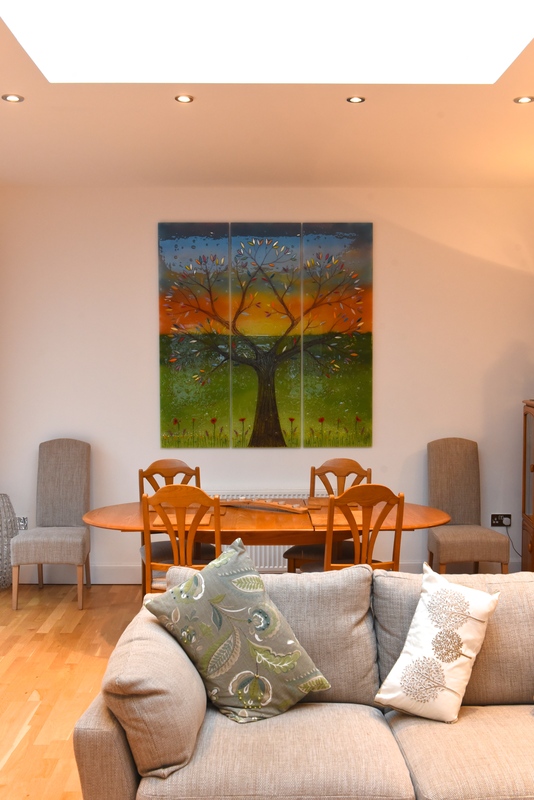 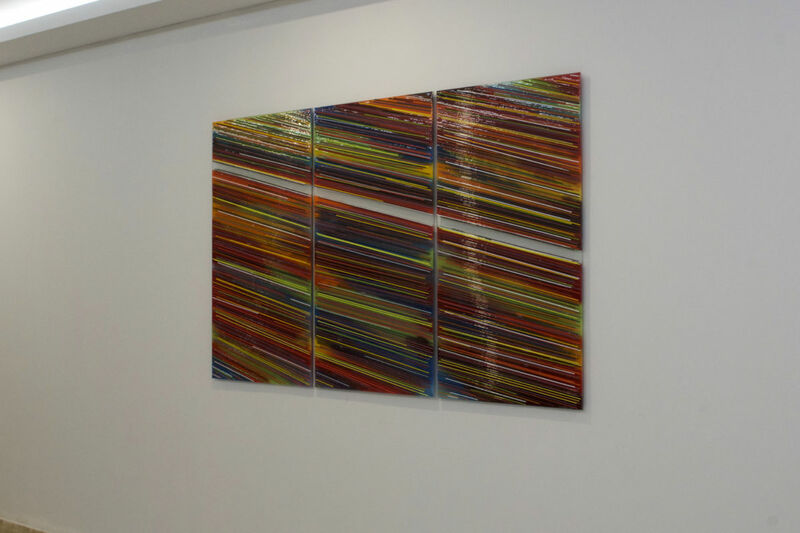 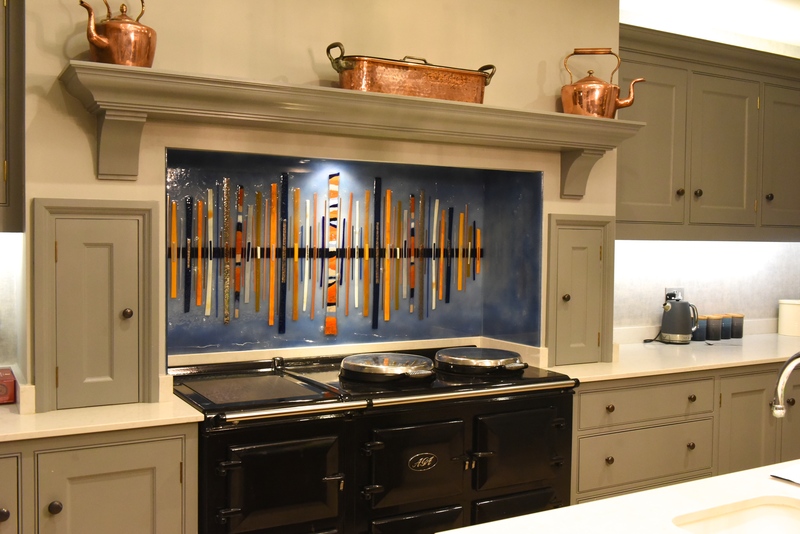 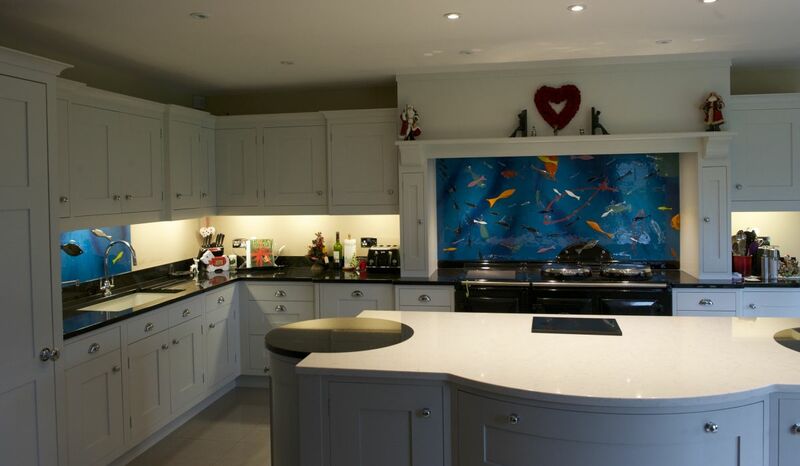 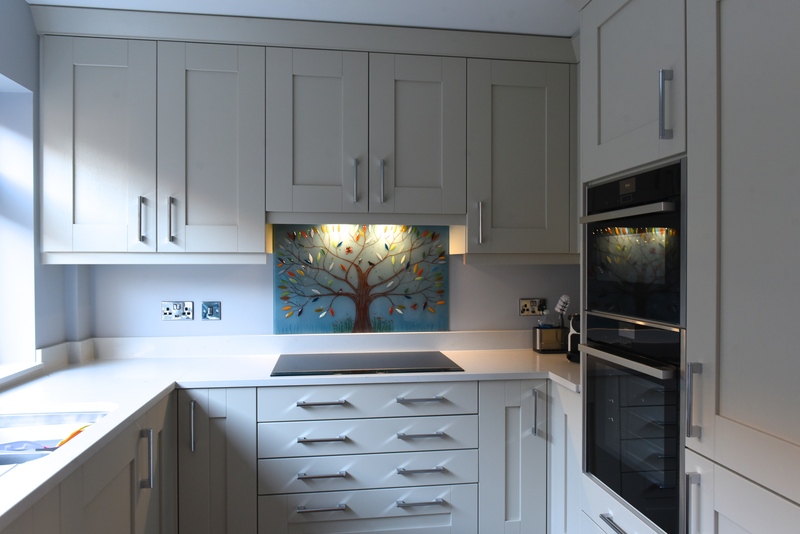 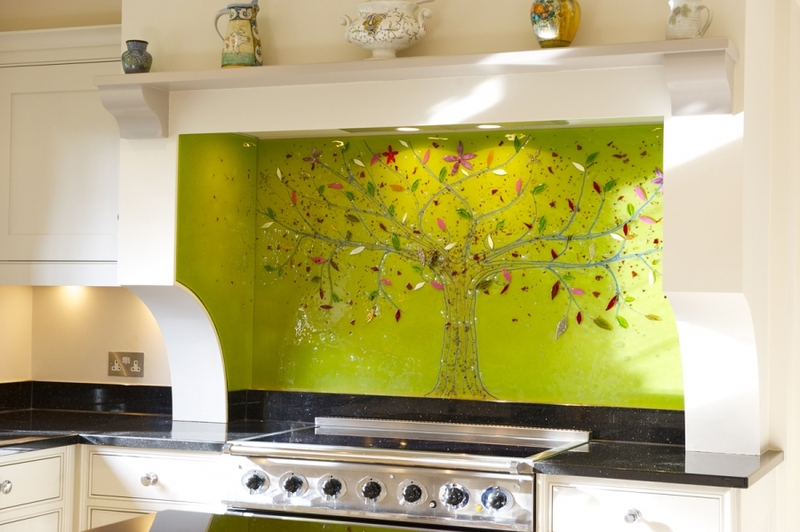 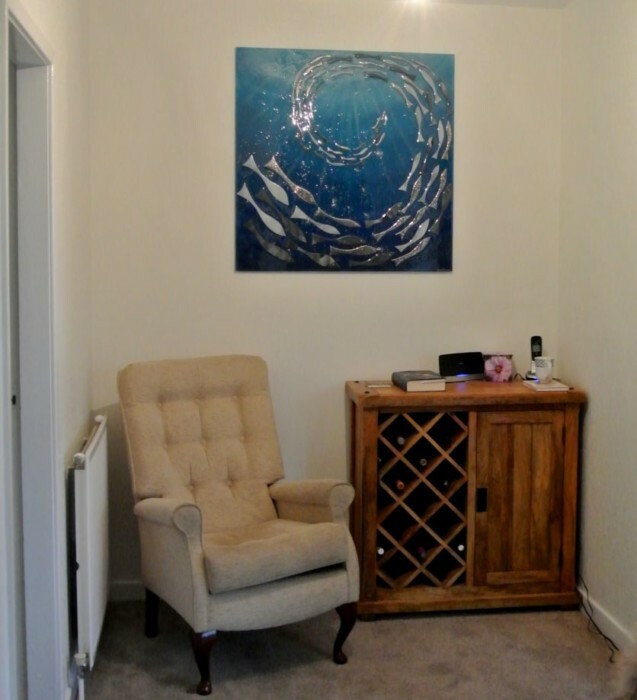 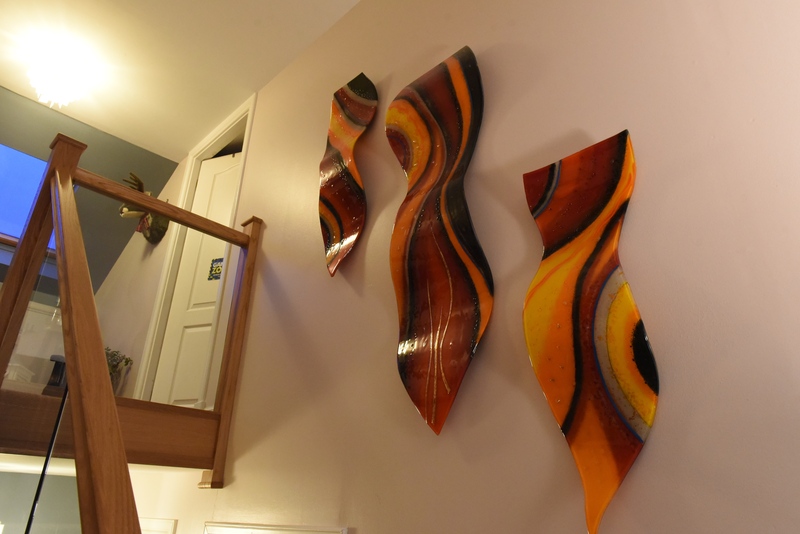 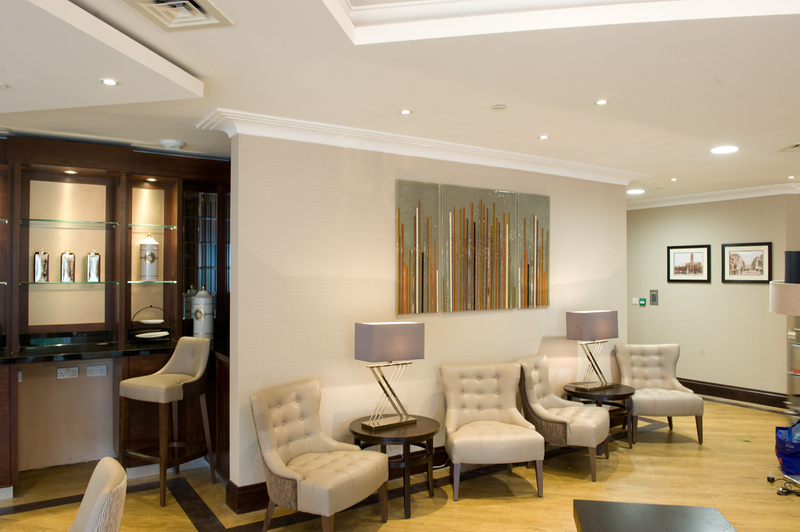 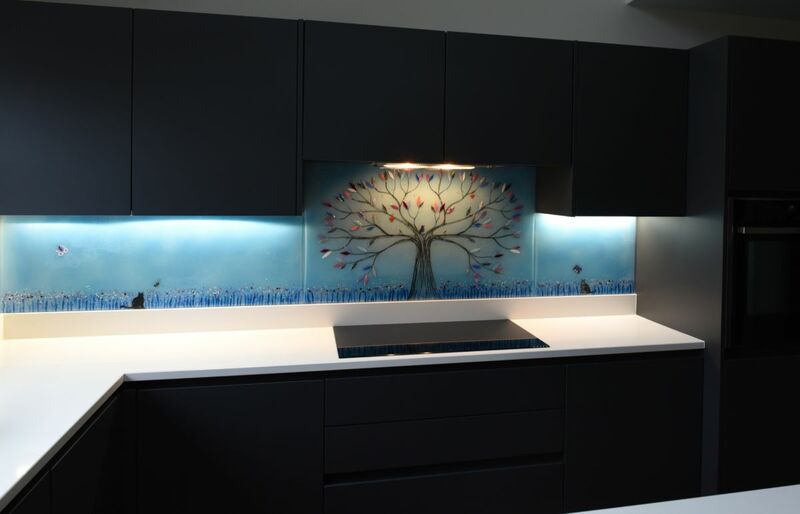 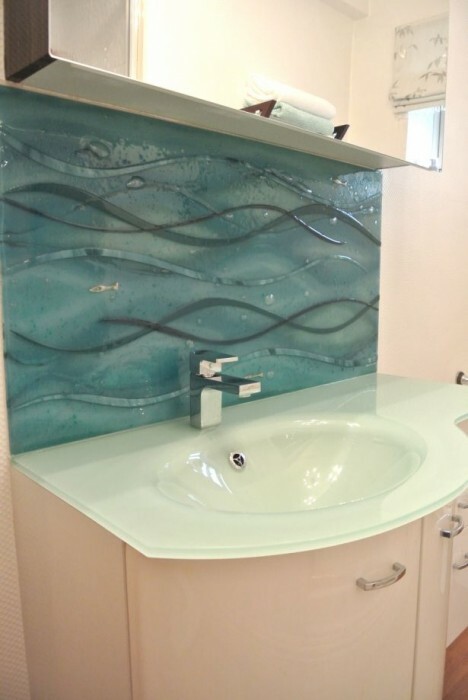 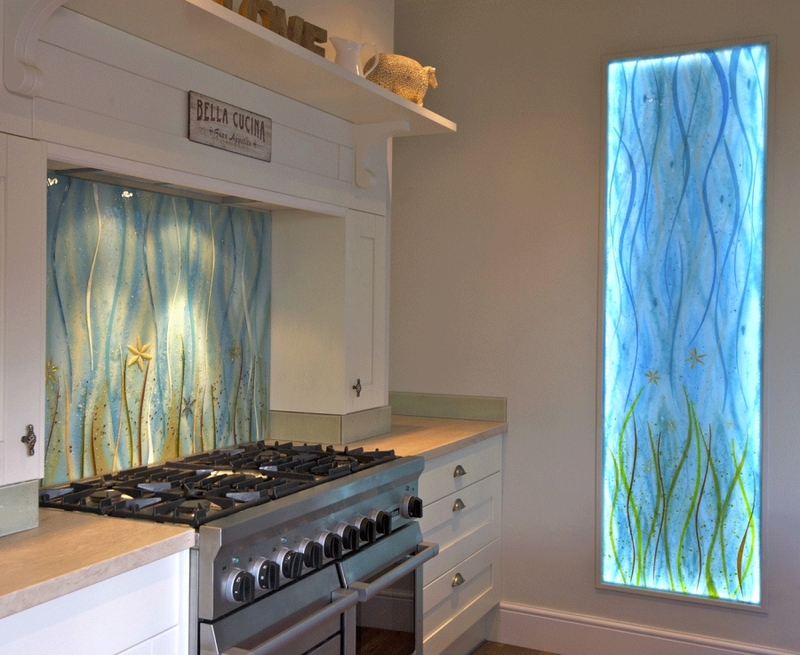 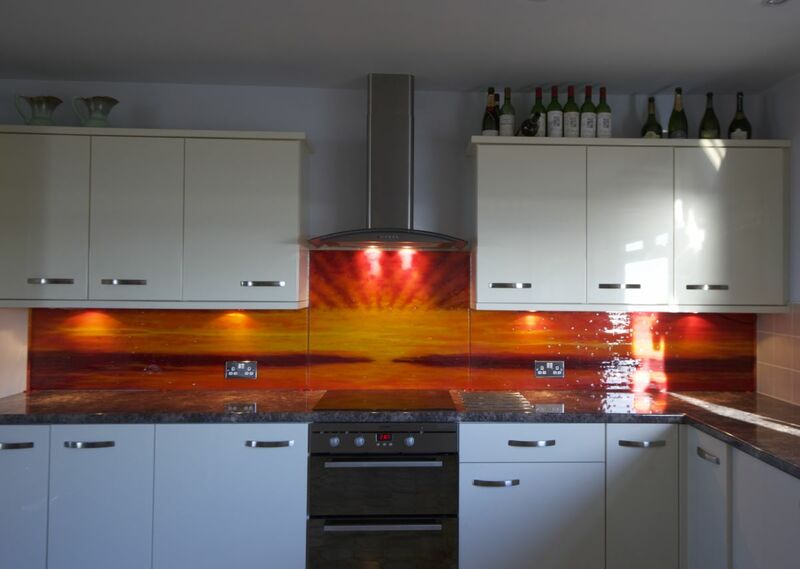 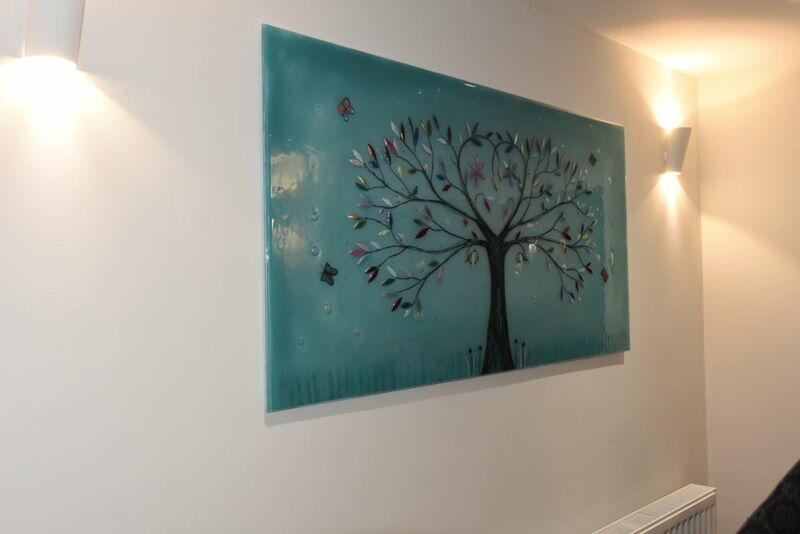 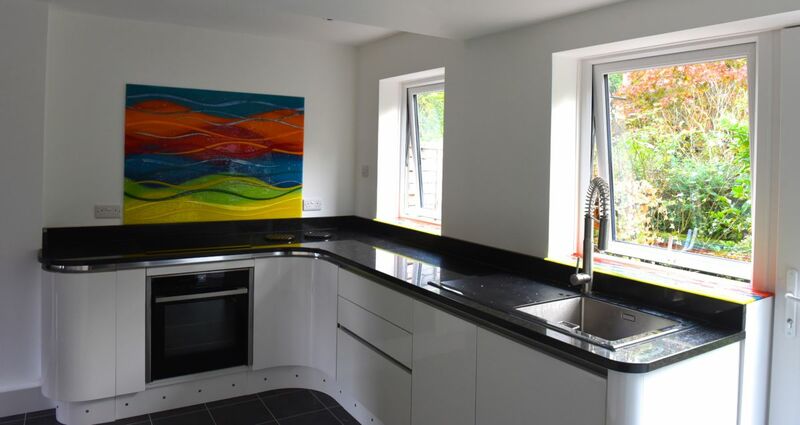 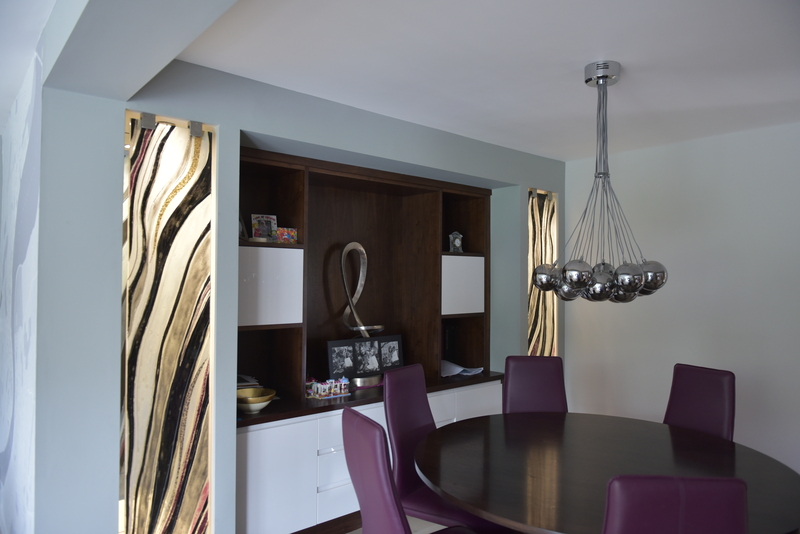 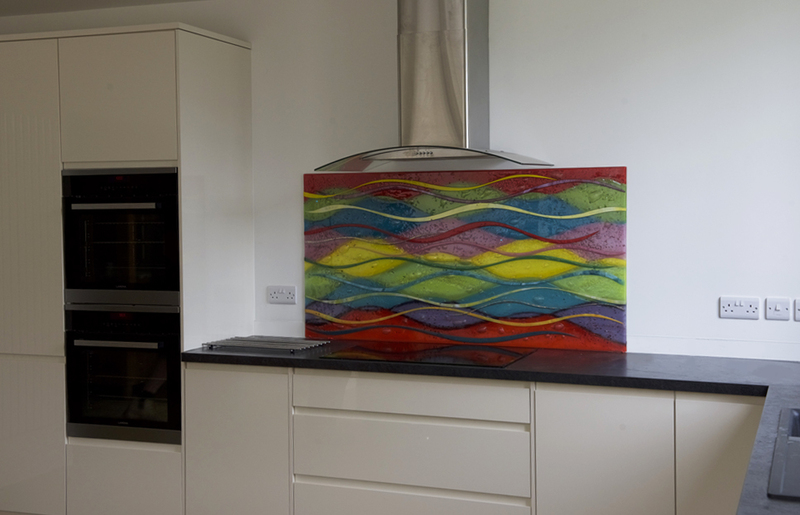 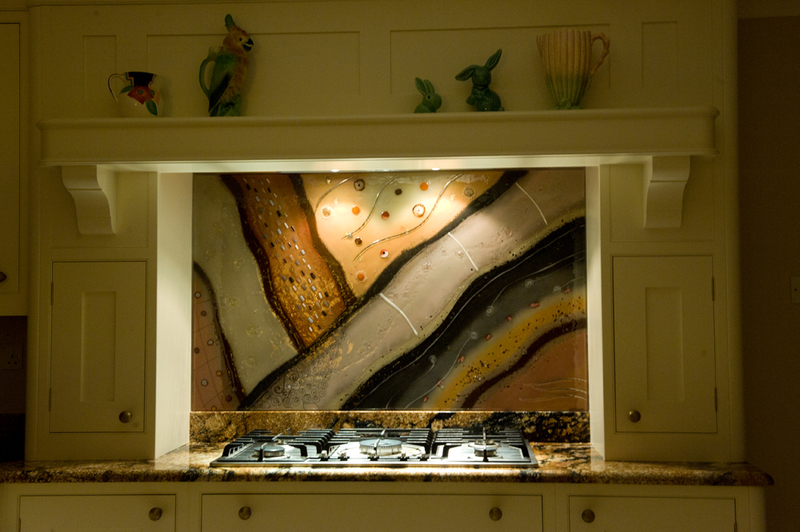 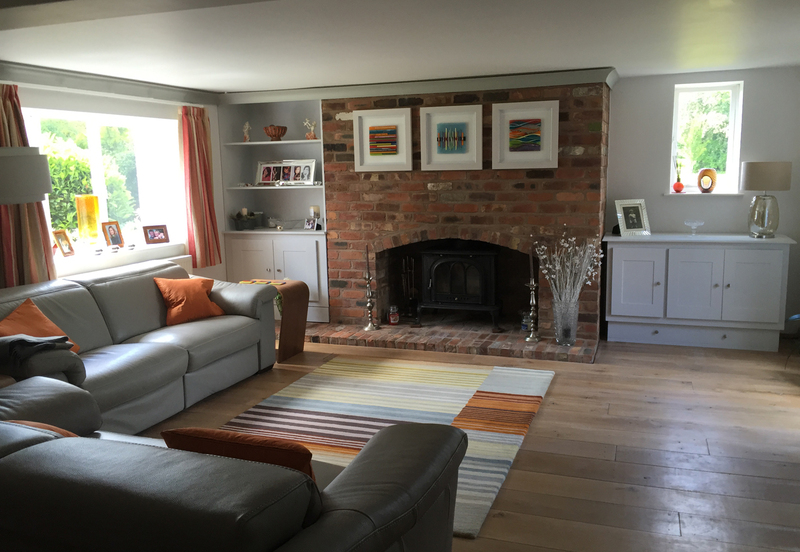 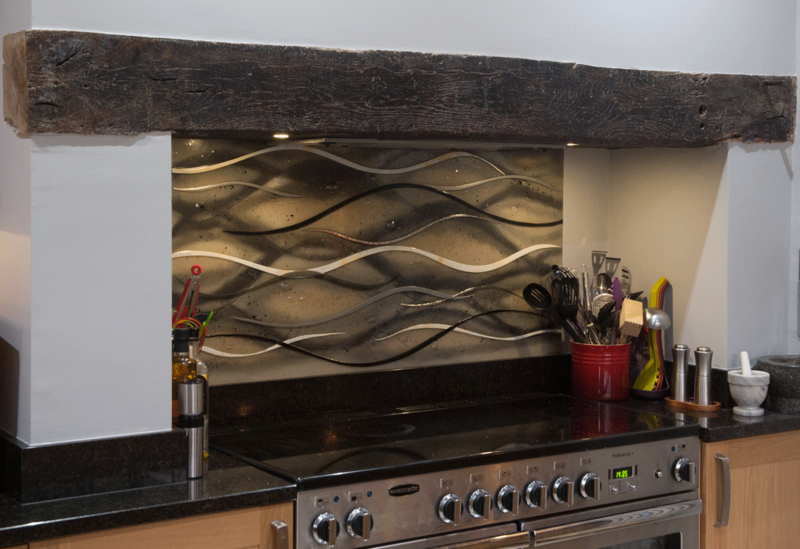 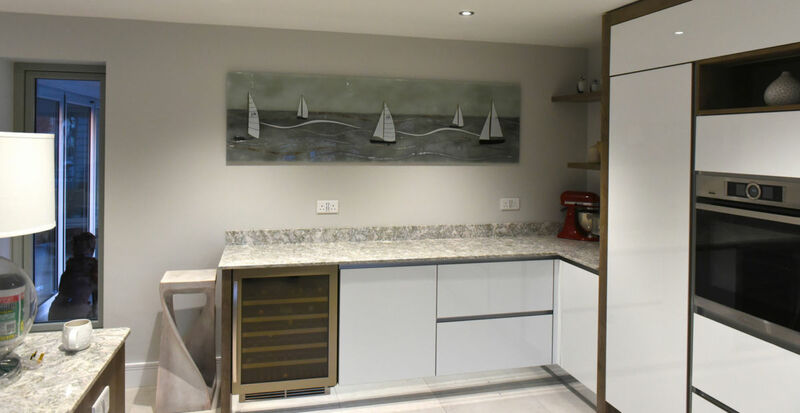 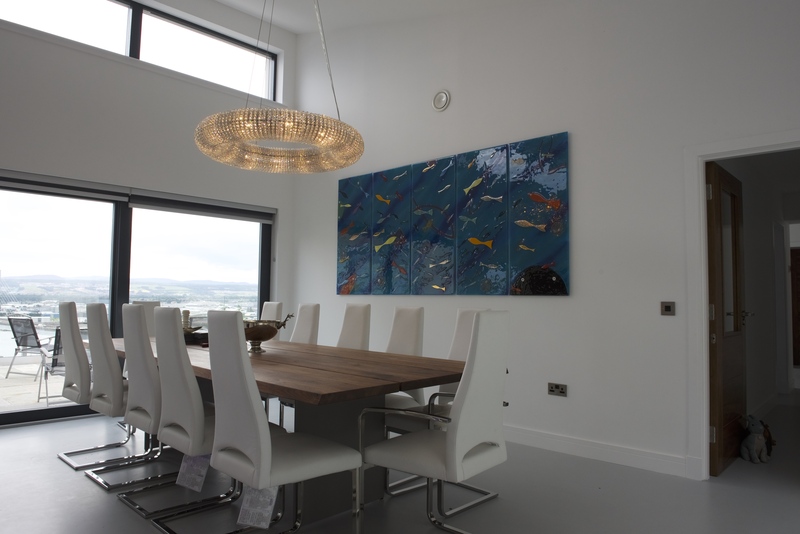 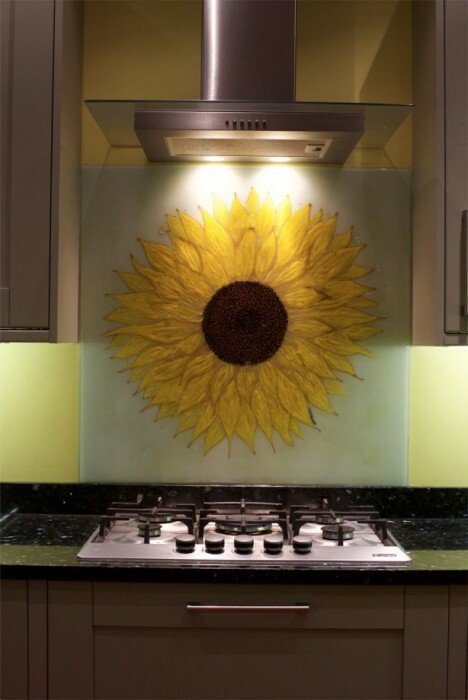 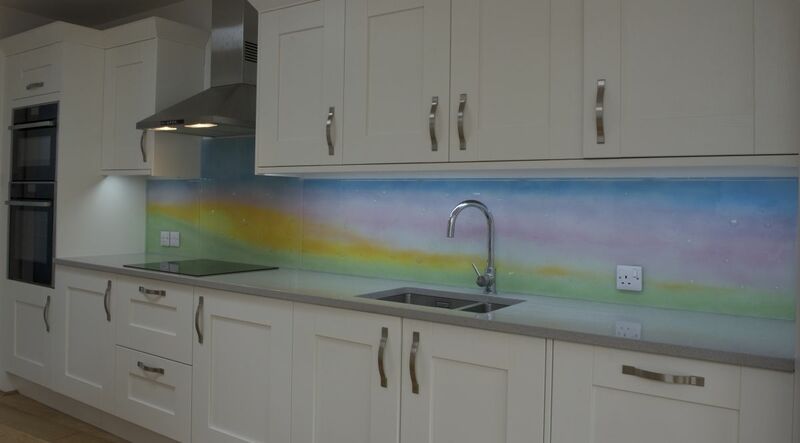 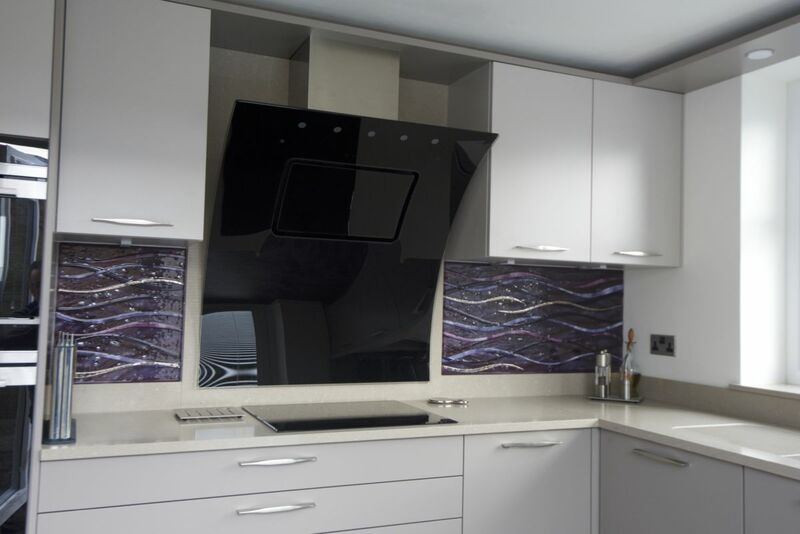 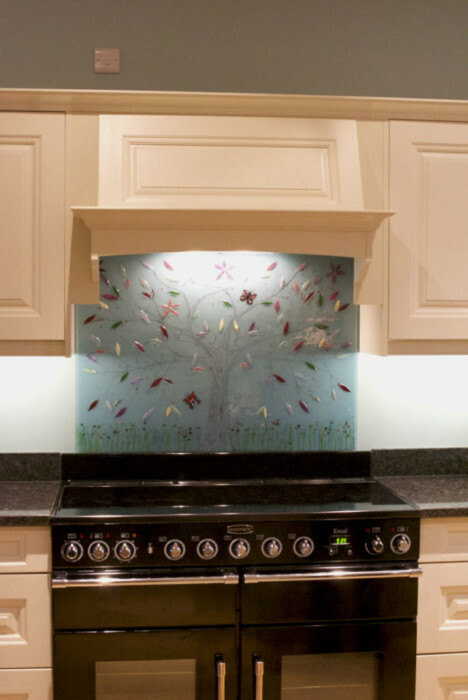 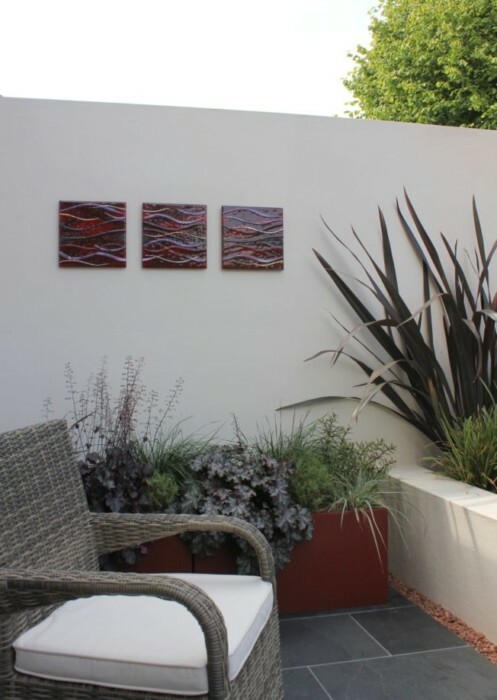 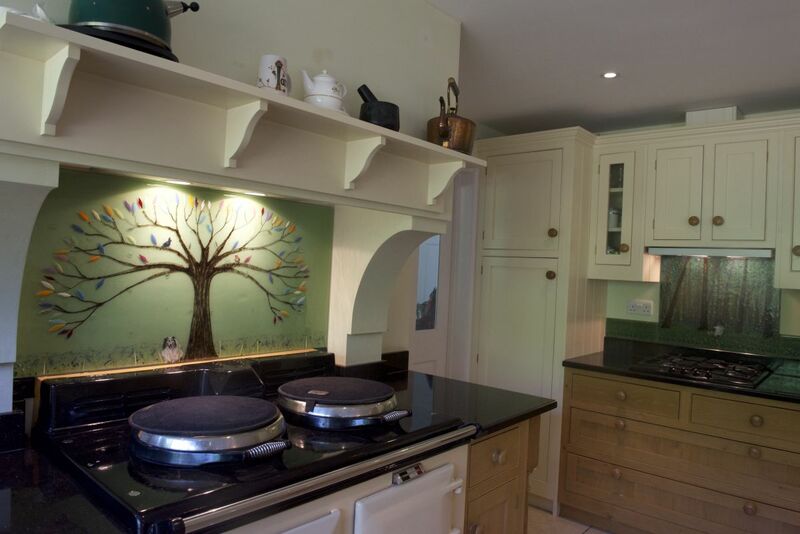 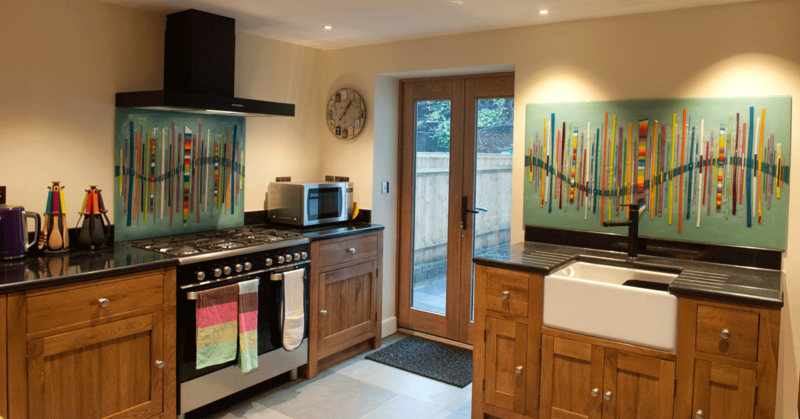 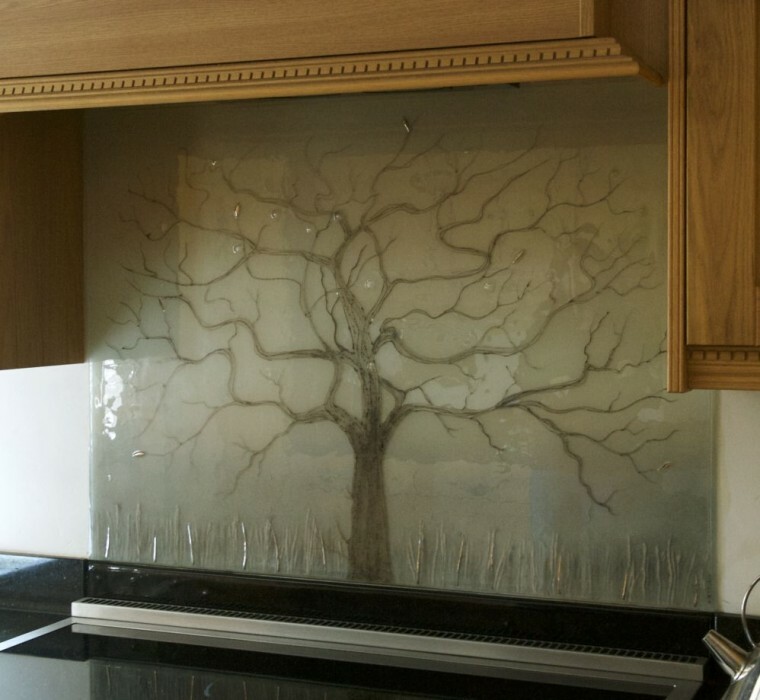 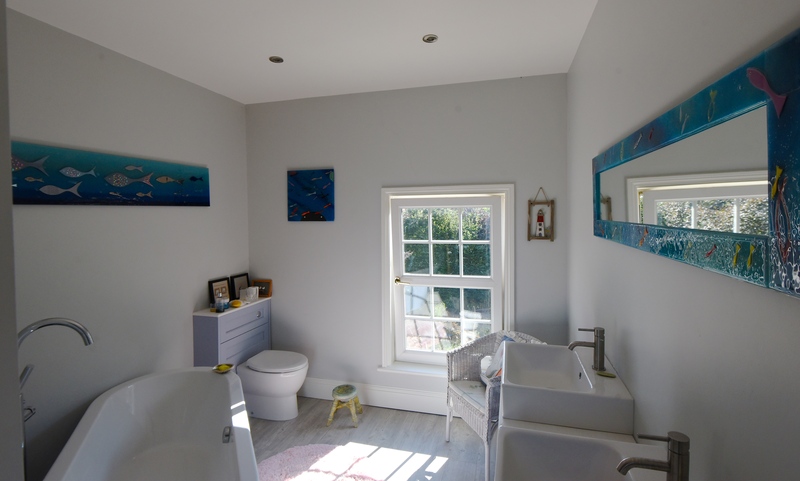 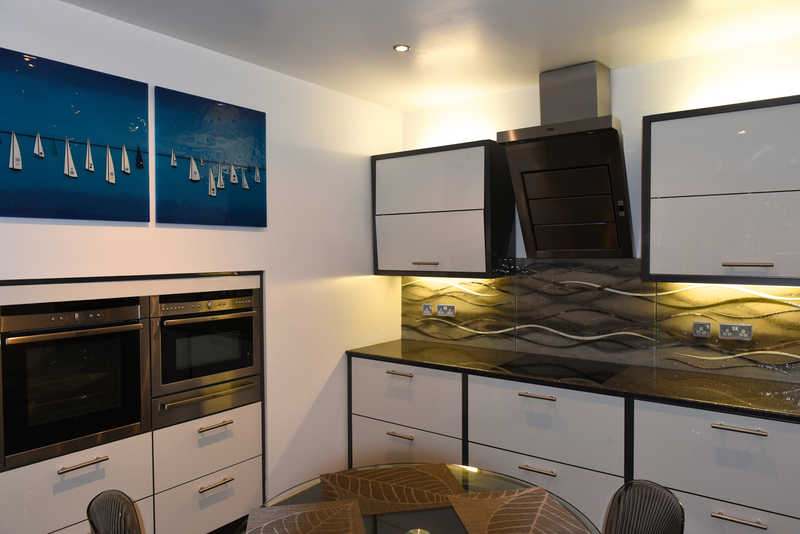 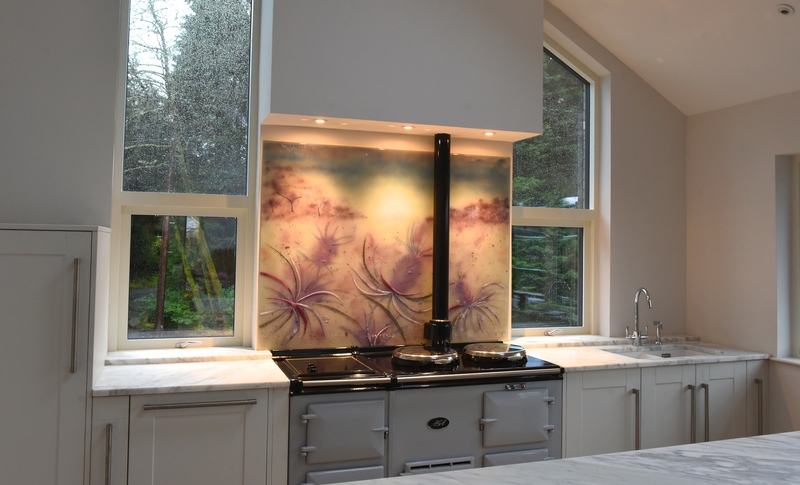 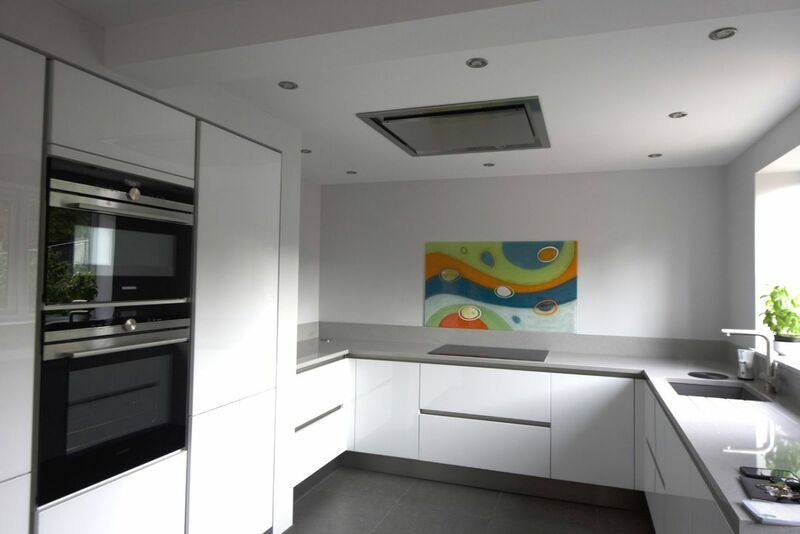 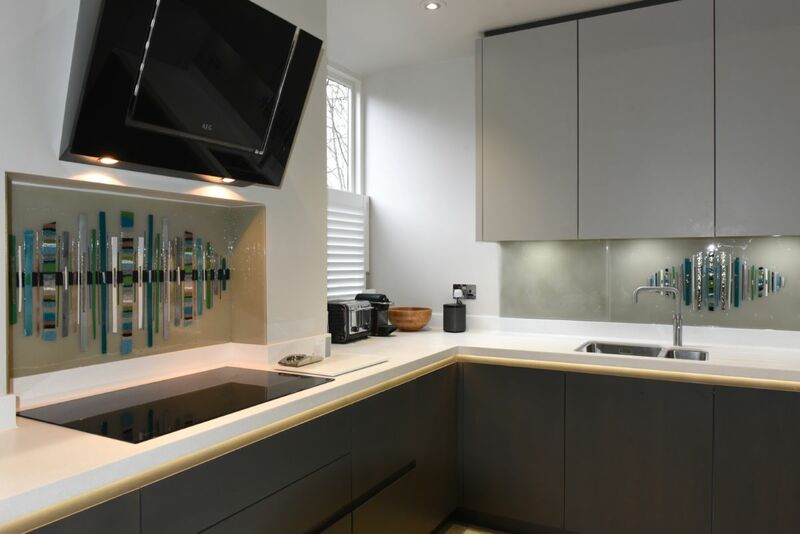 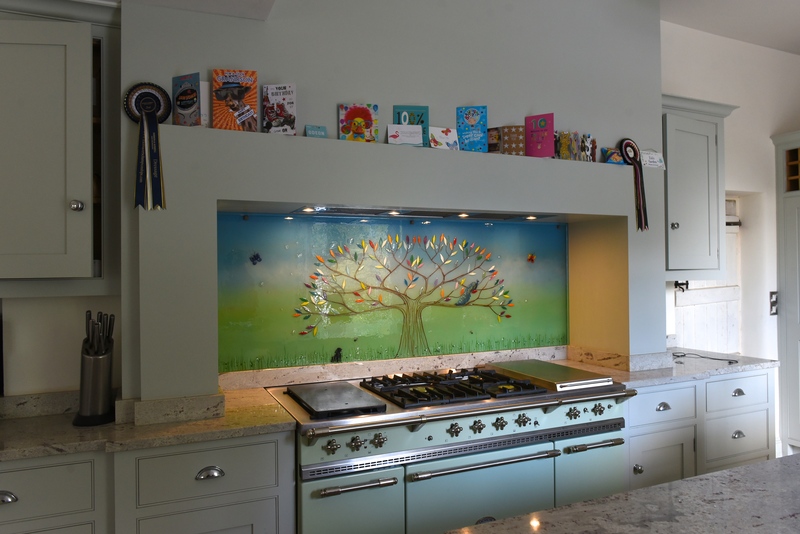 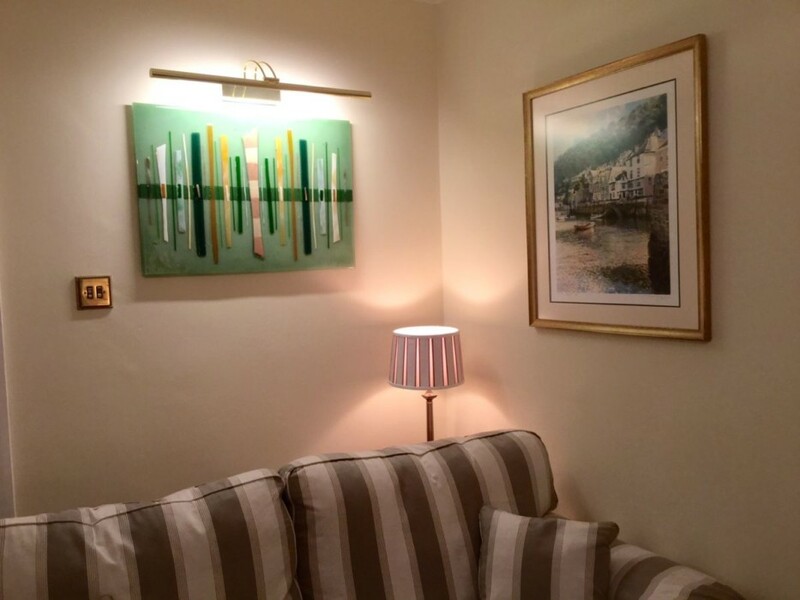 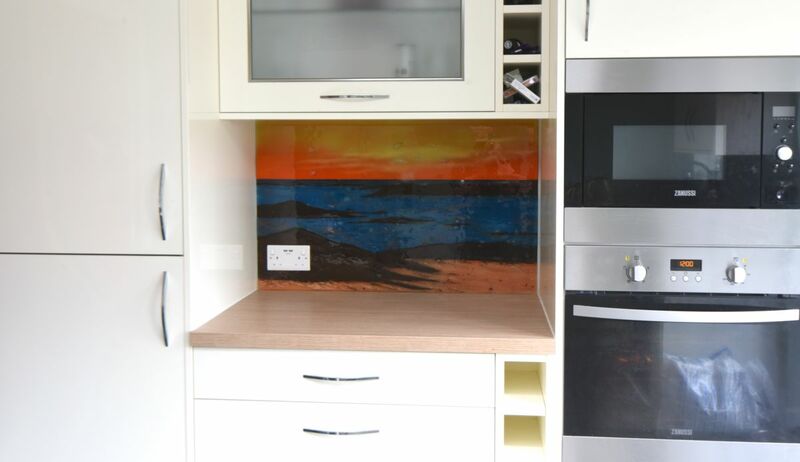 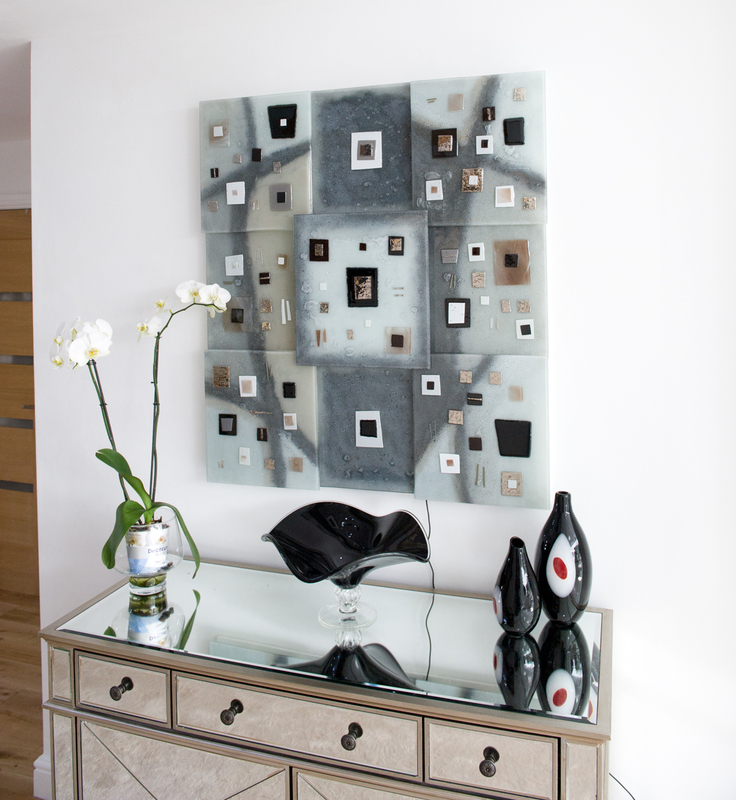 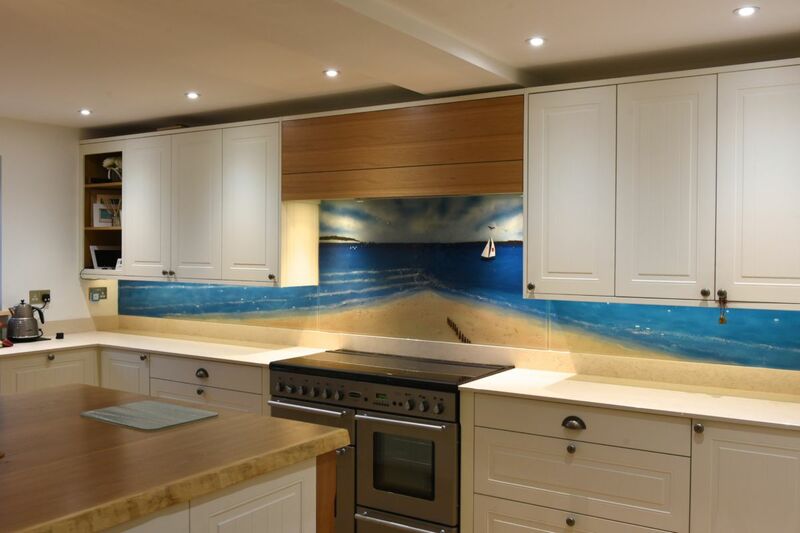 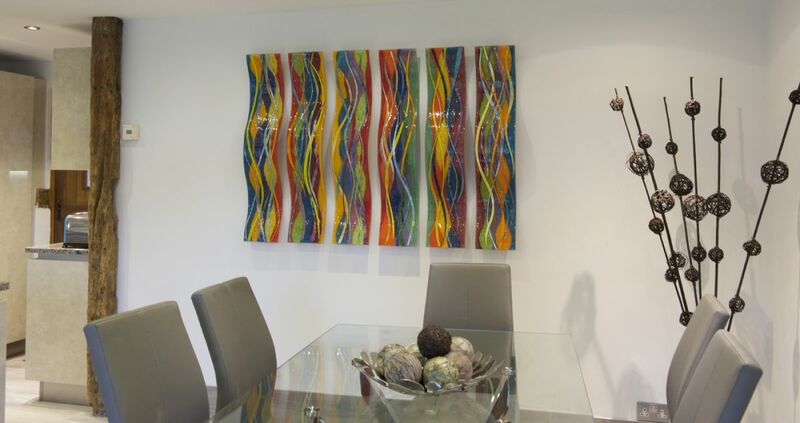 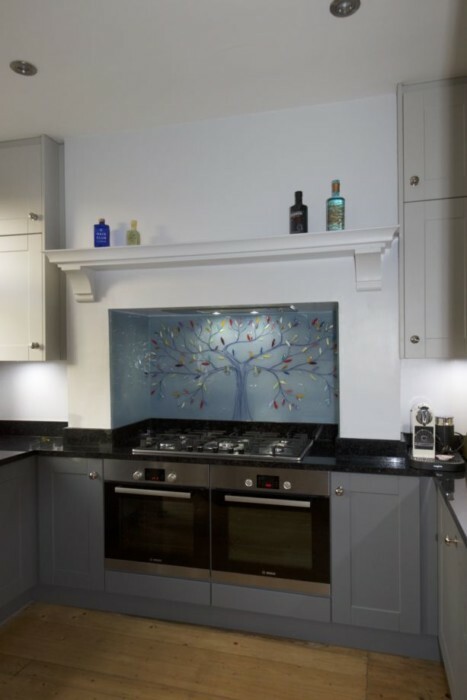 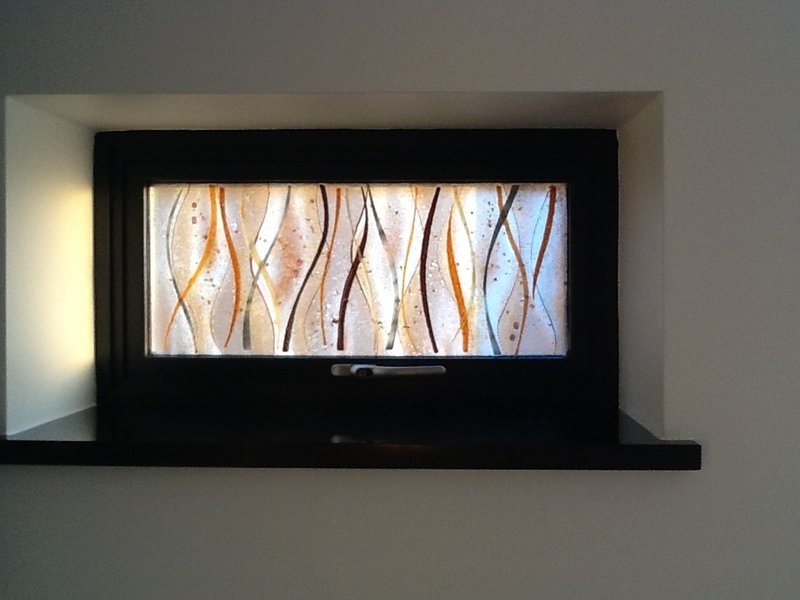 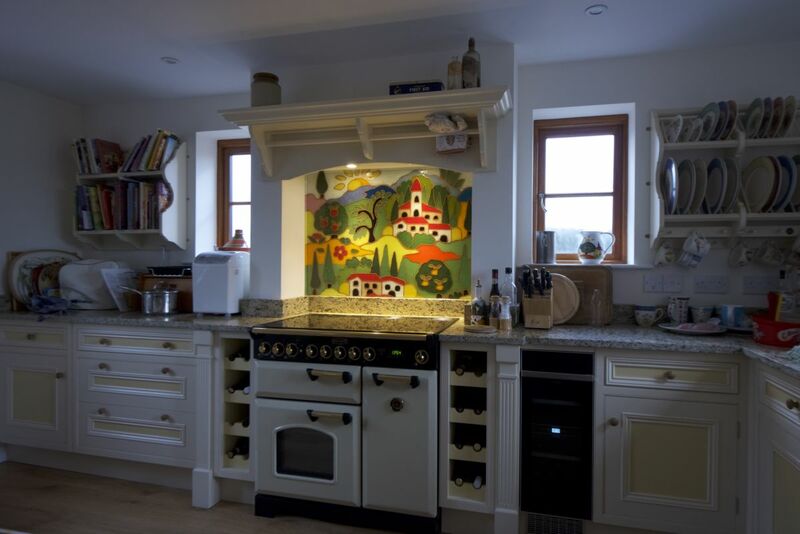 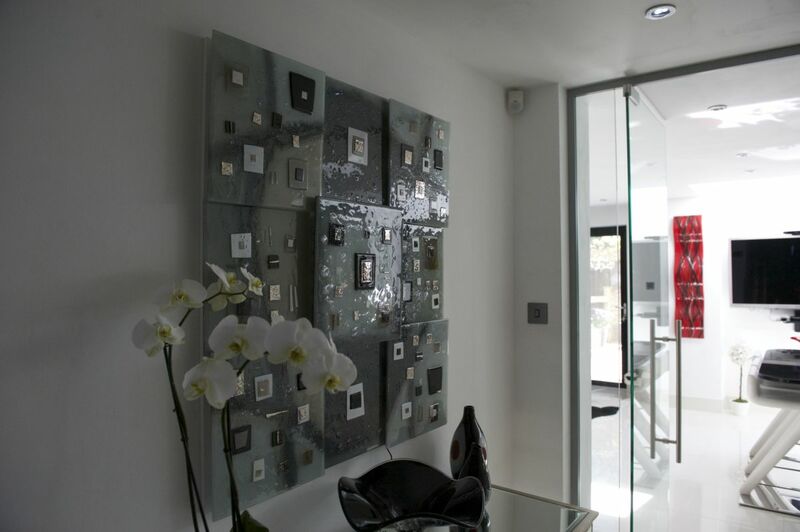 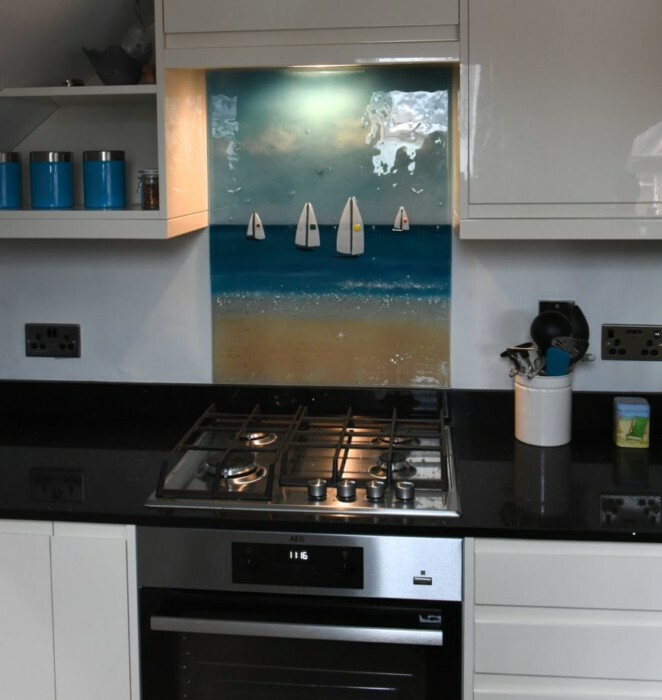 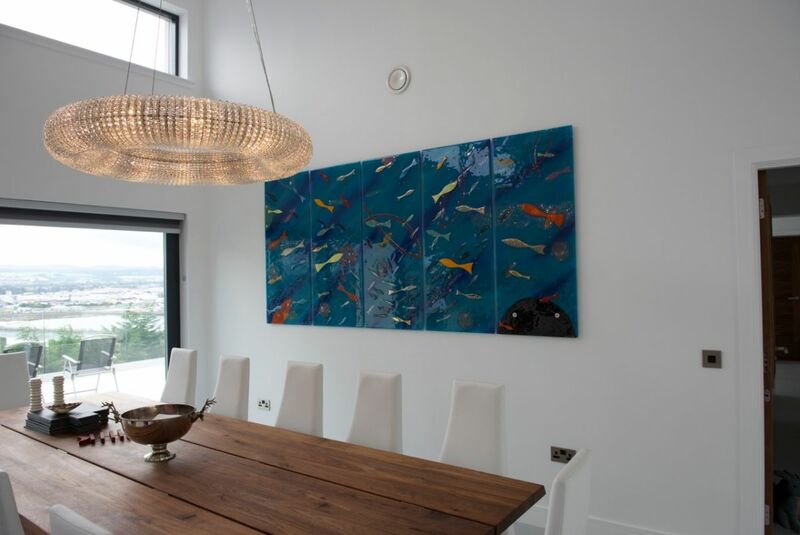 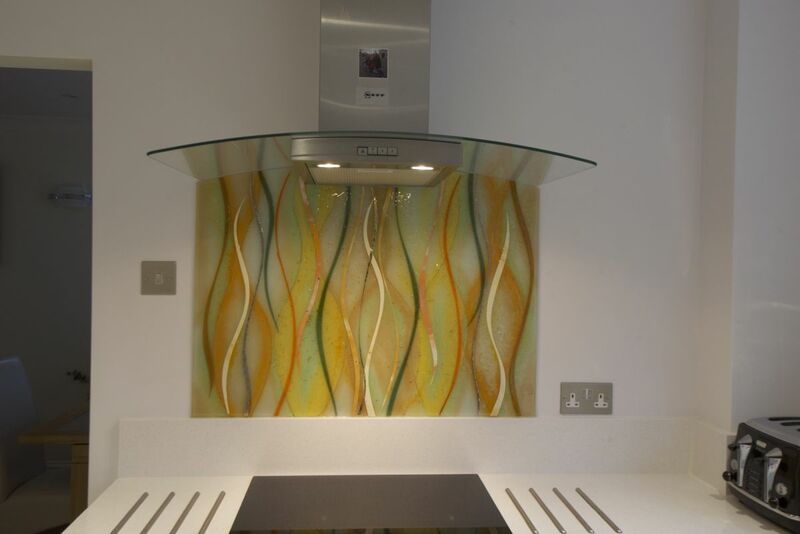 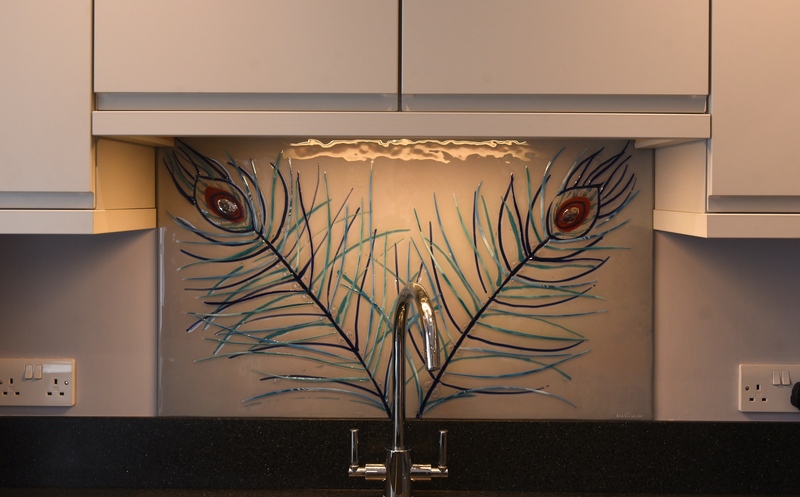 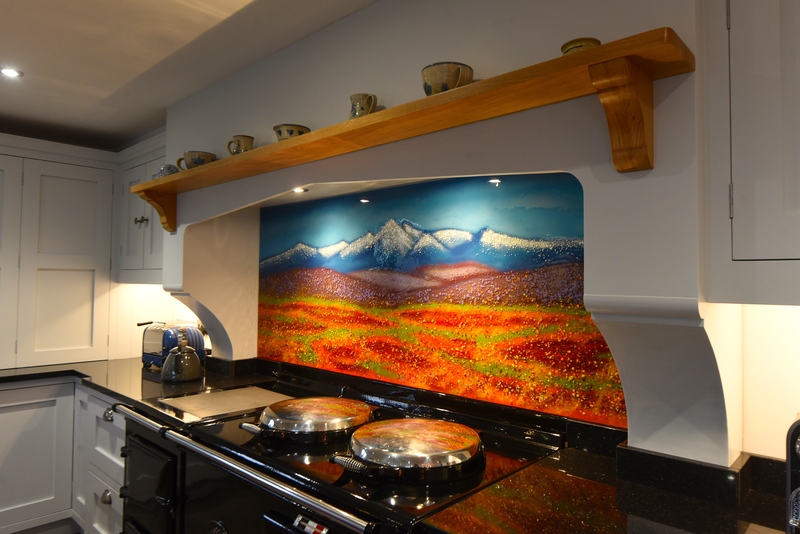 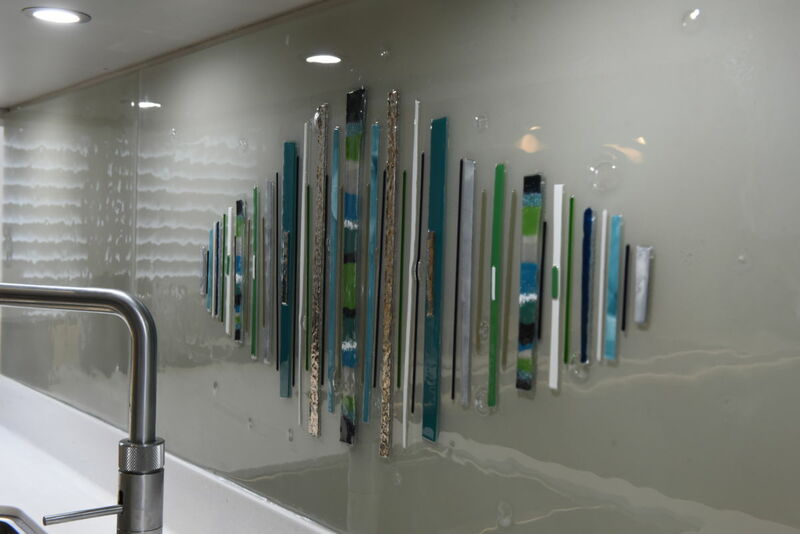 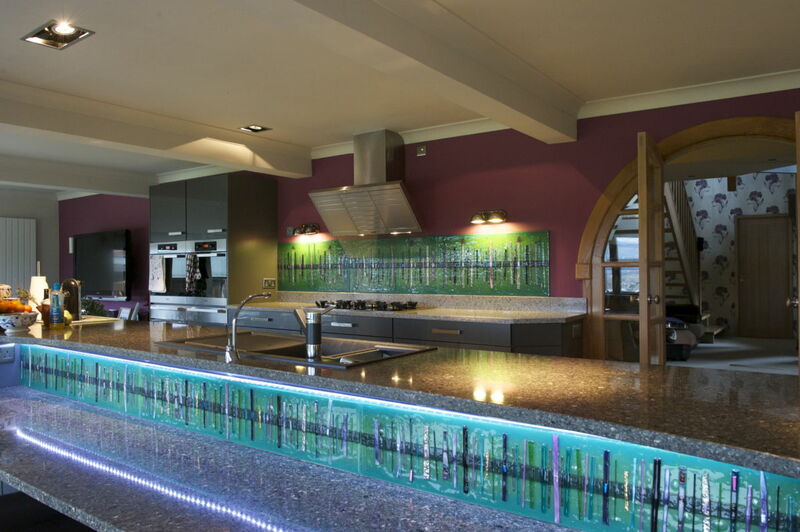 The beautiful fused glass art splashback and accompanying piece pictured above found a home in Isleworth, London. 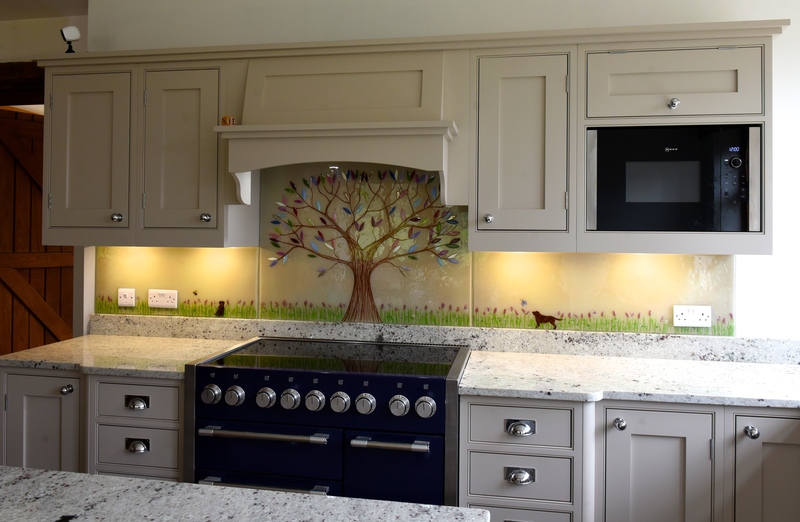 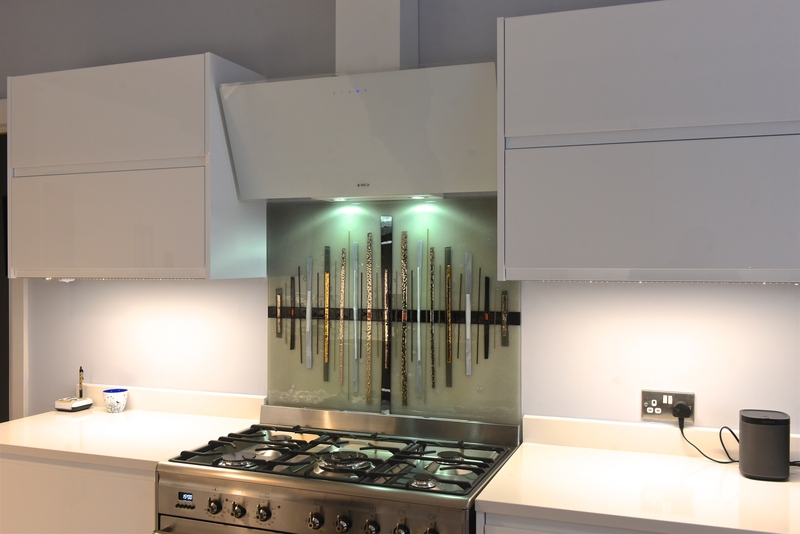 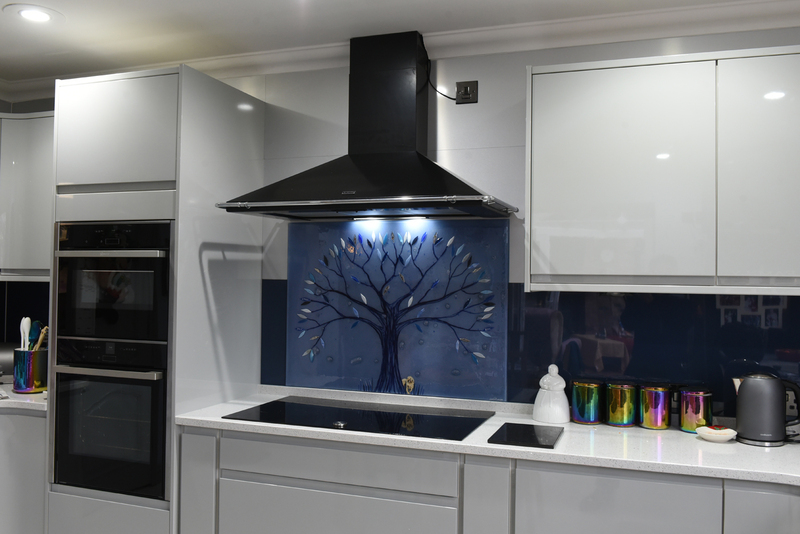 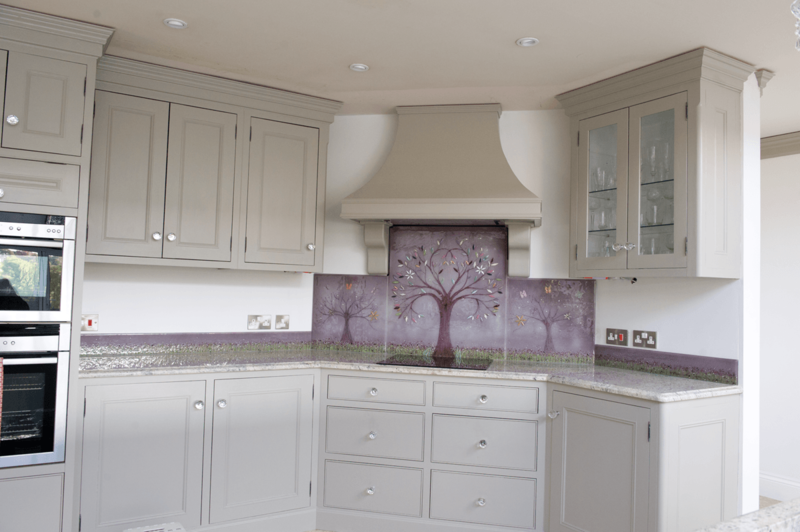 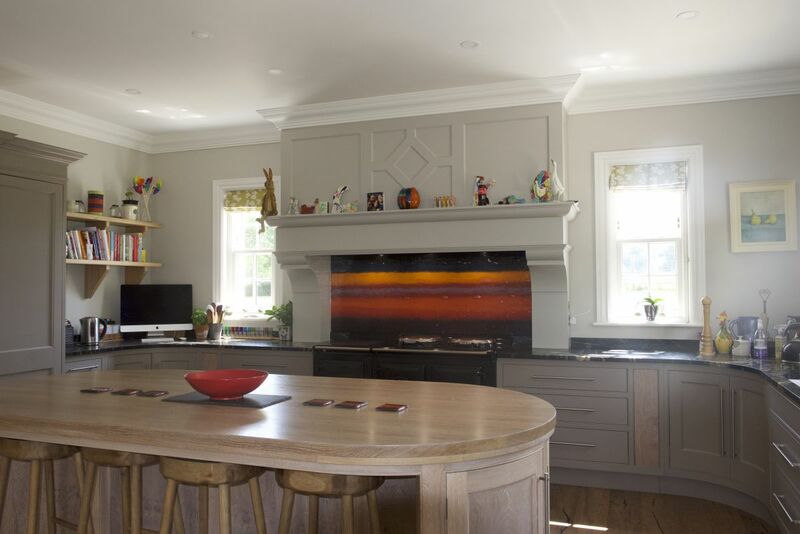 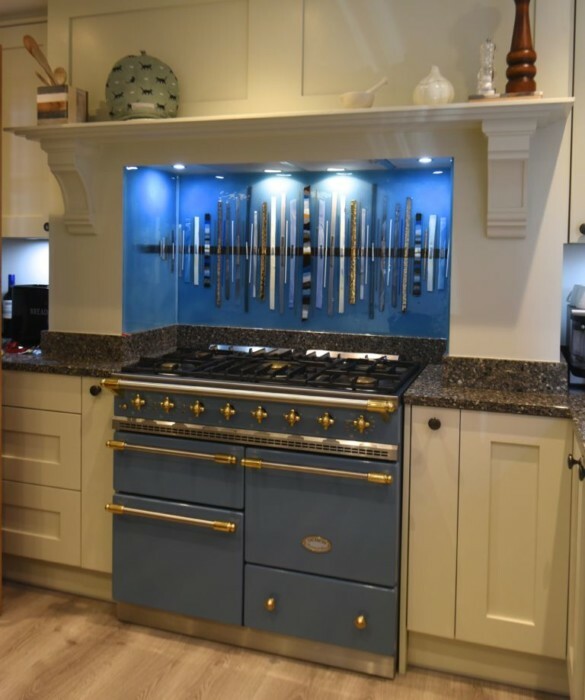 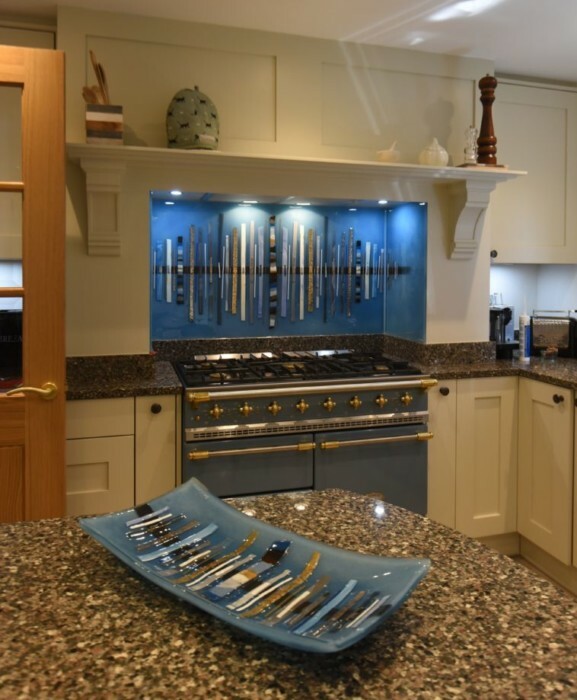 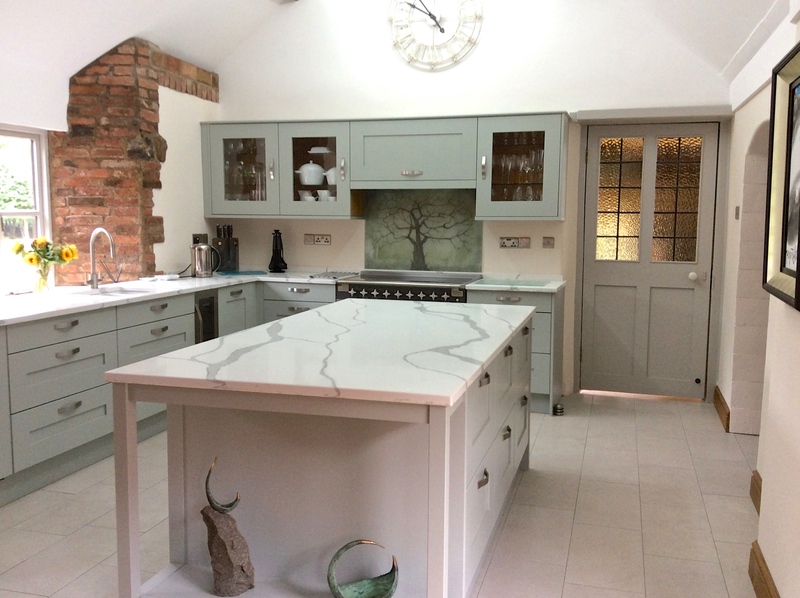 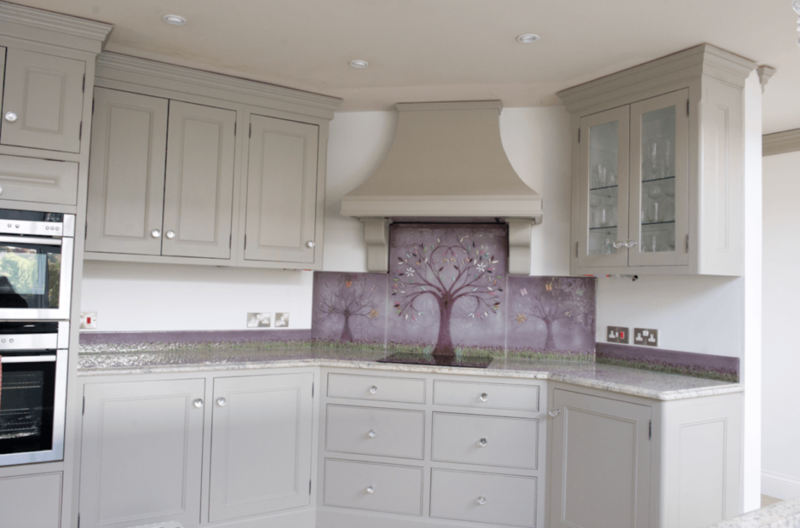 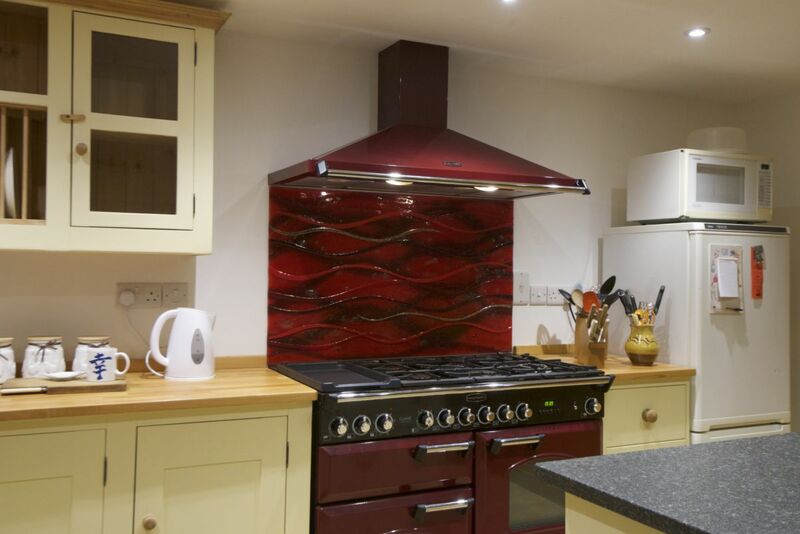 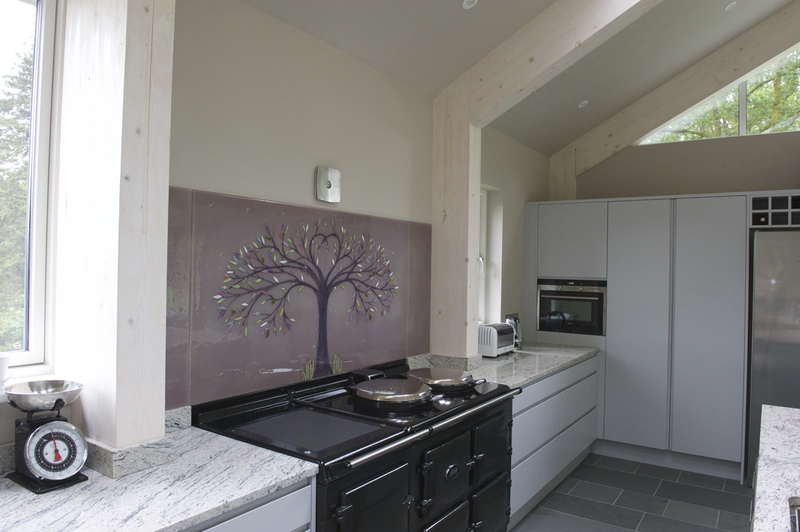 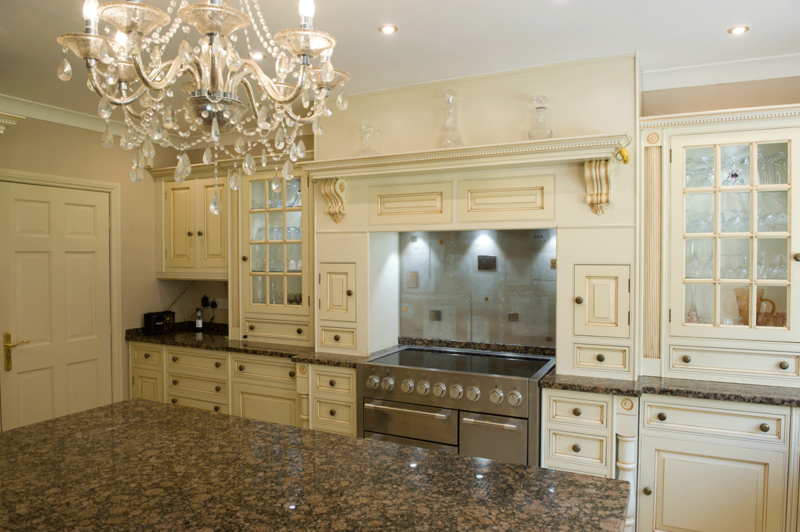 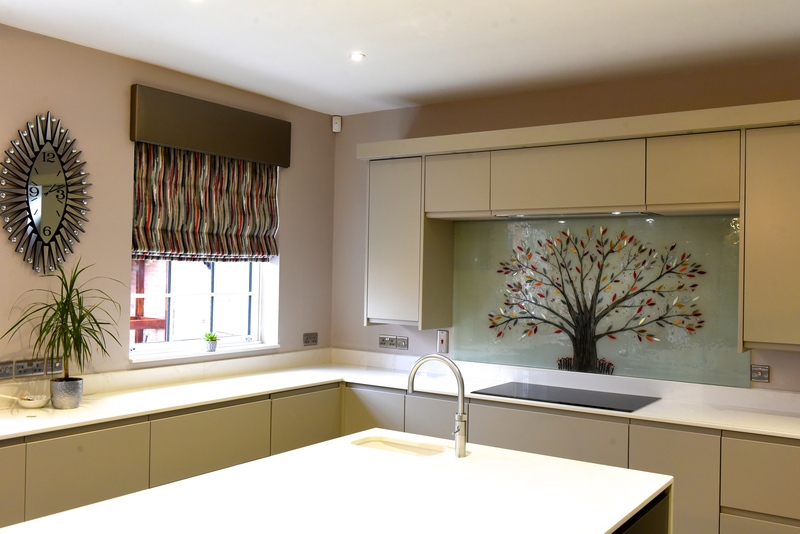 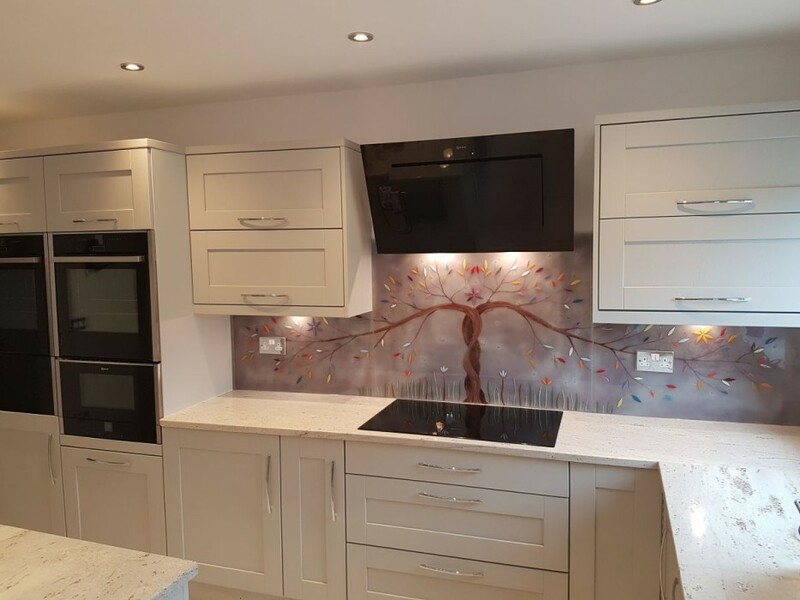 In this case, the customer had spotted a piece in our available stock section that she really loved the look of, and decided that it’d be the perfect fit for her kitchen. 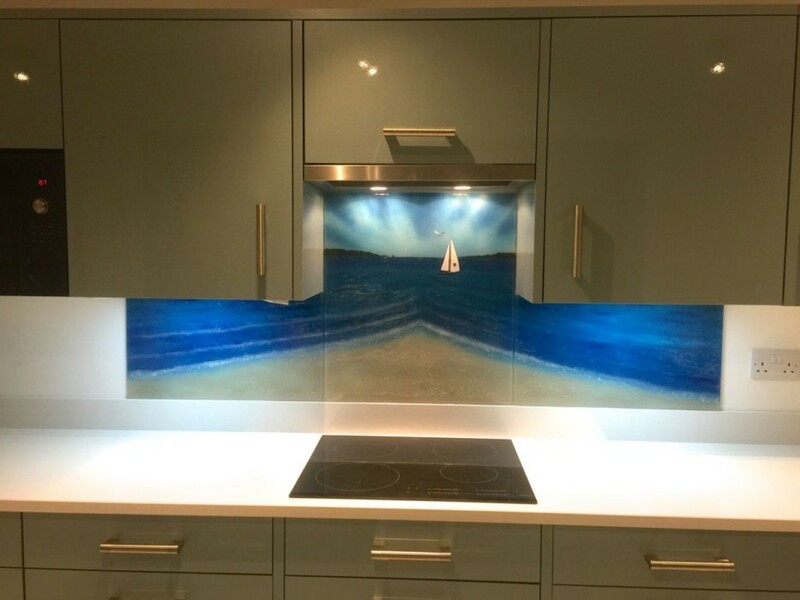 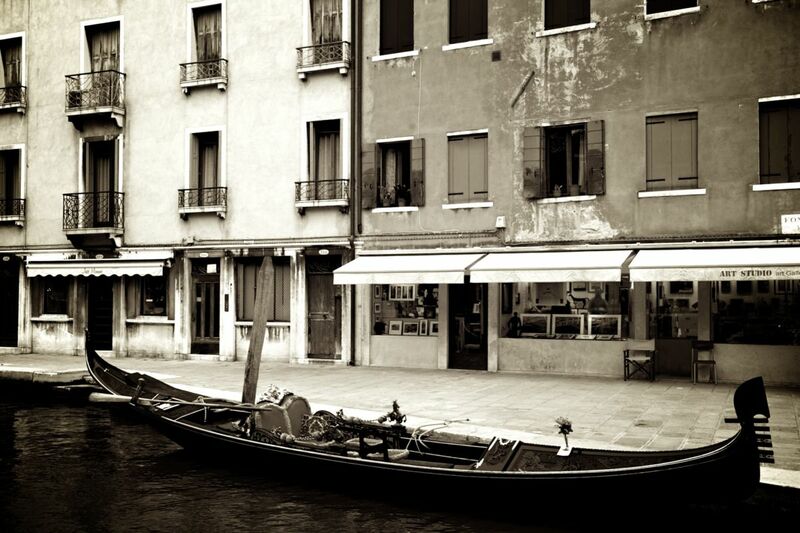 Unfortunately, it wasn’t quite the right size for the space she had in mind, but that proved to be no obstacle. 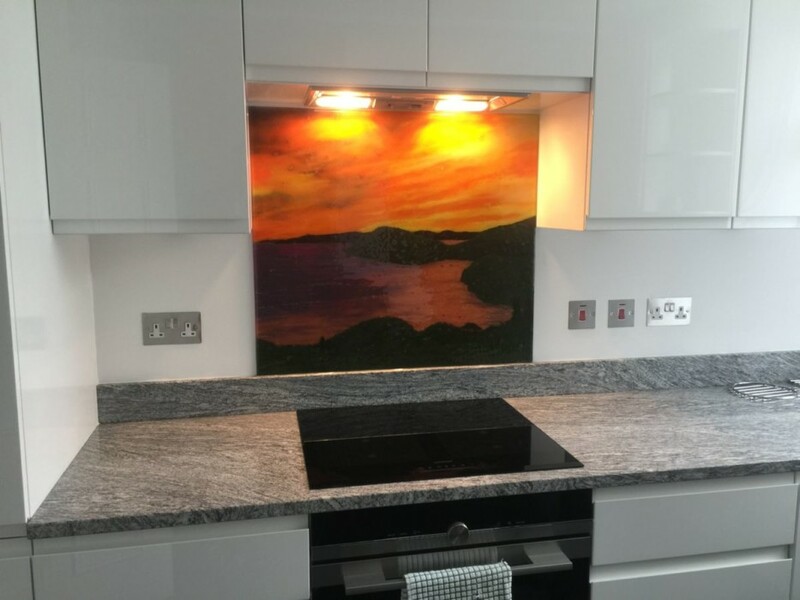 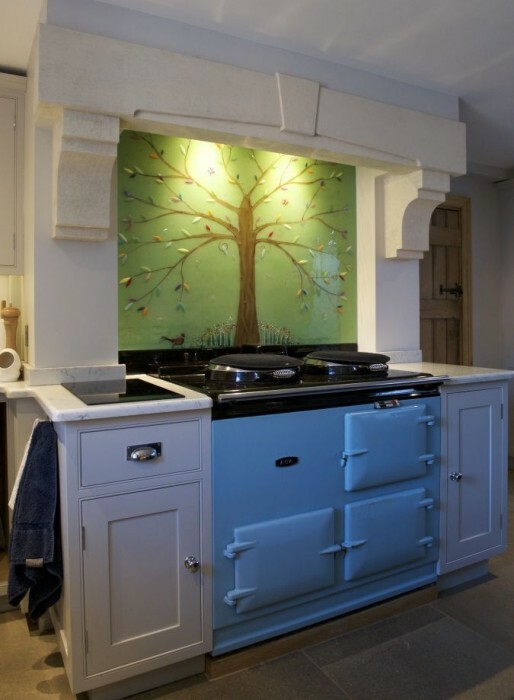 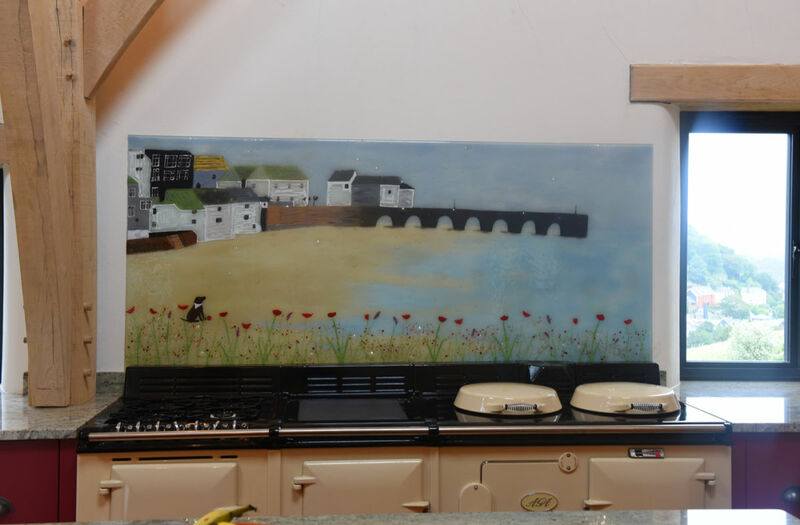 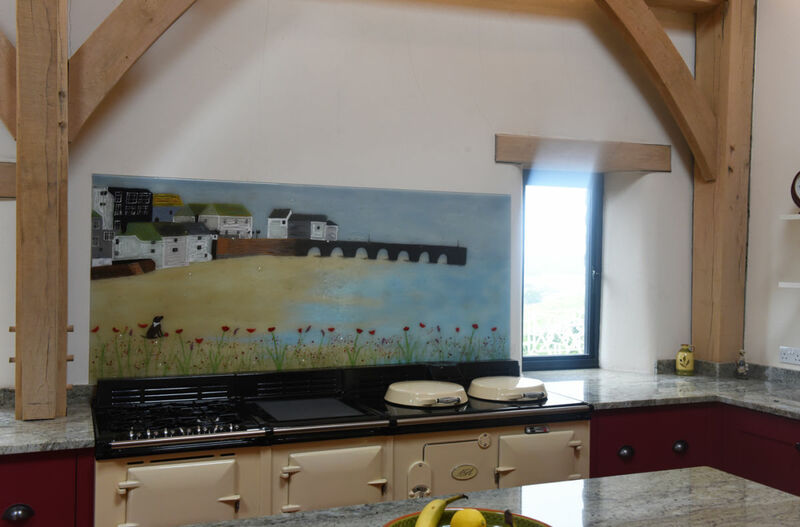 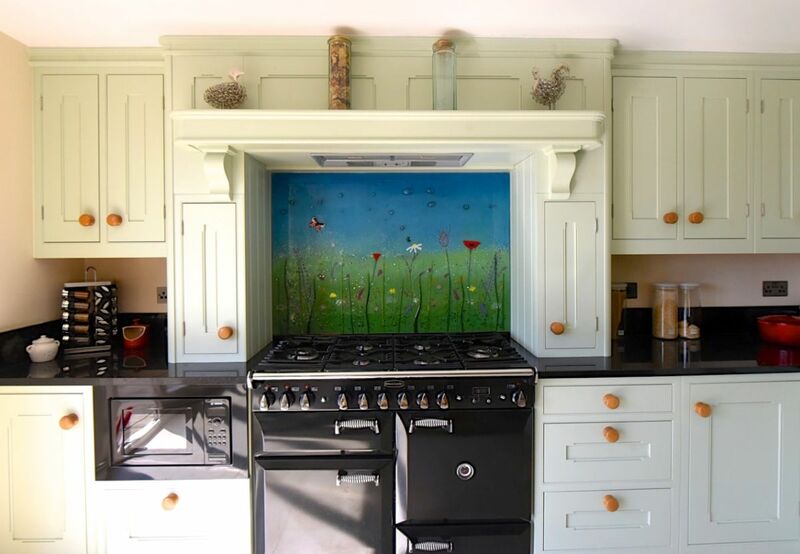 Lisa remade the piece in exactly the same style, creating a brand new splashback that was a perfect fit for the space behind the cooker. 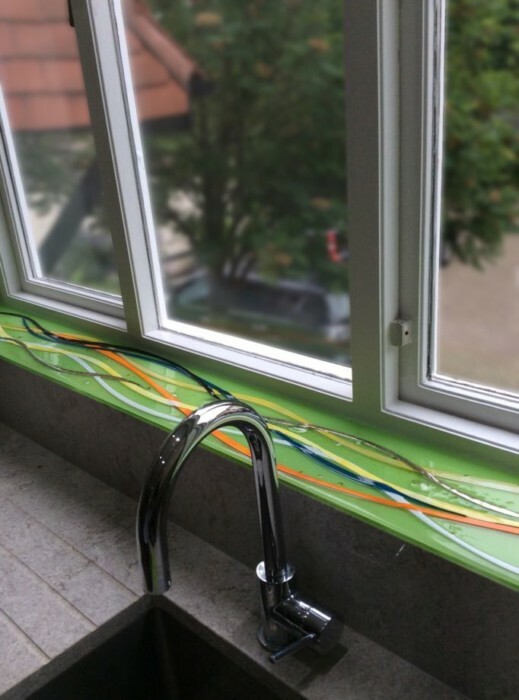 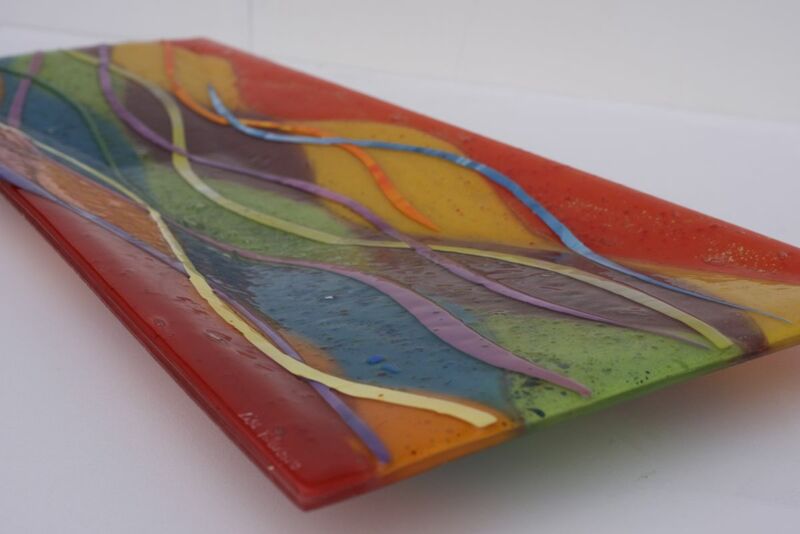 Along with it, she created a fantastic complementary piece for the windowsill using a lovely shade of lime green for the background, a colourful assortment of shades and some expertly placed silver highlights. 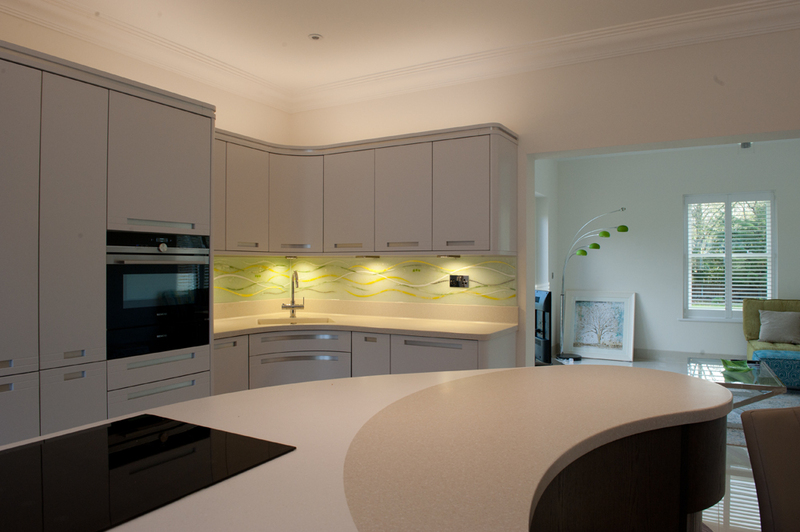 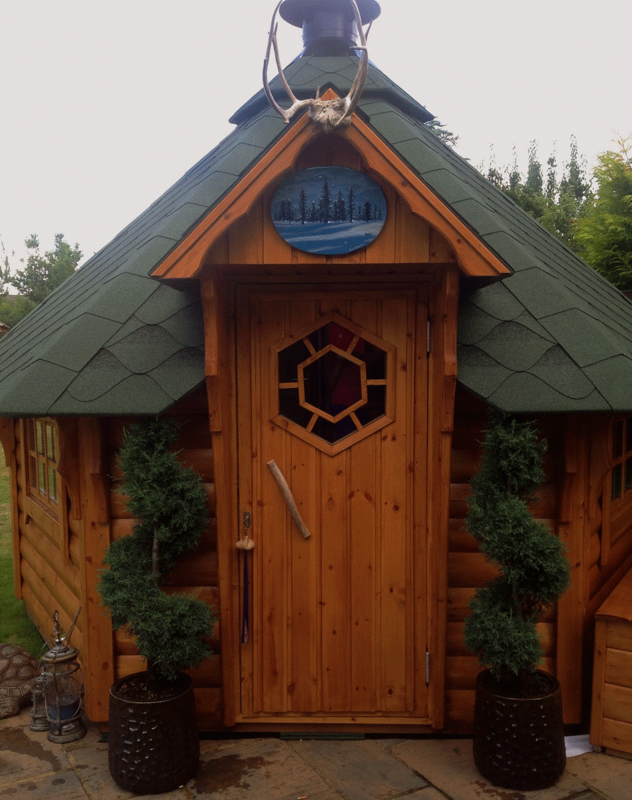 Lime green, of course, was the customer’s own favourite colour! 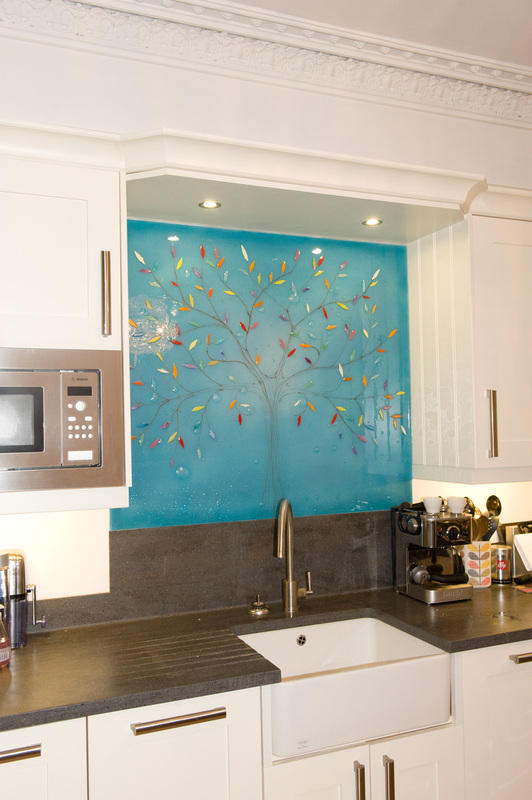 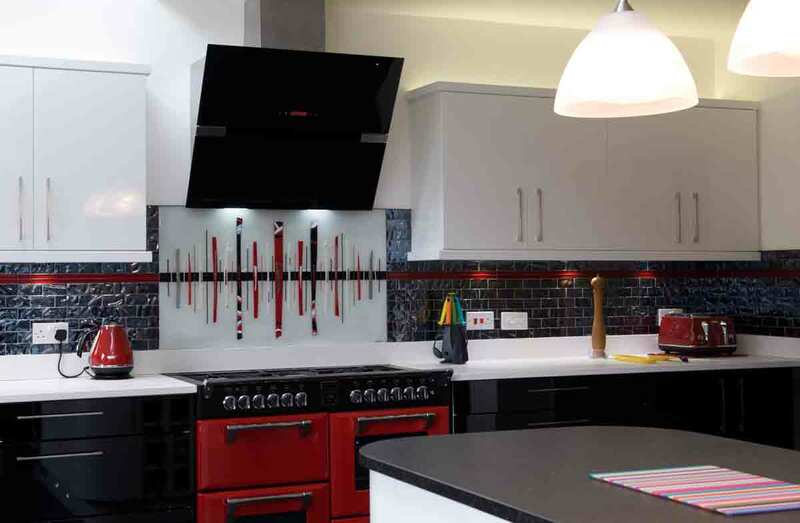 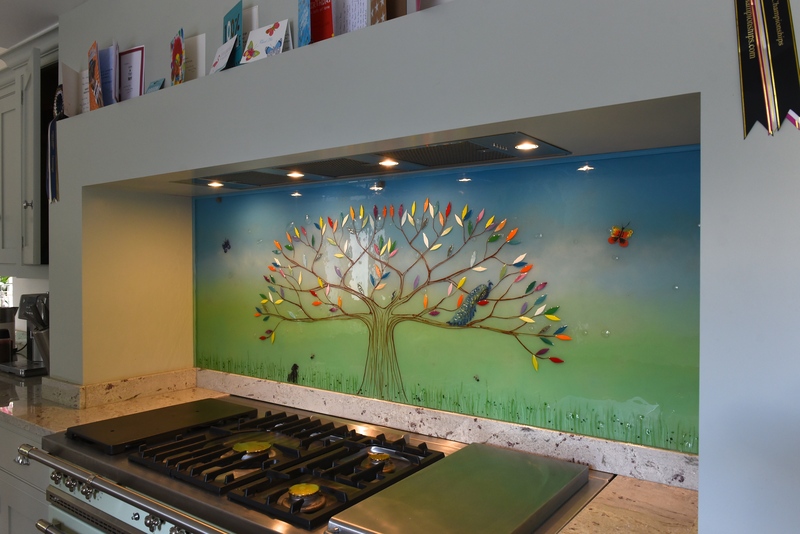 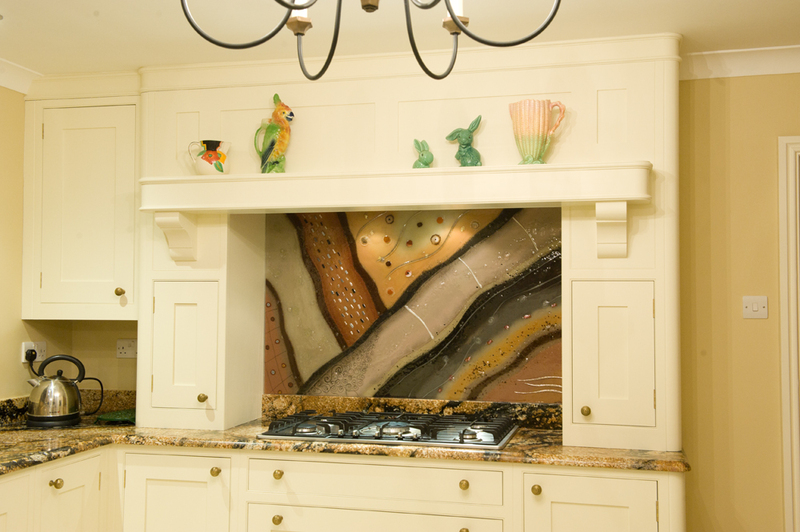 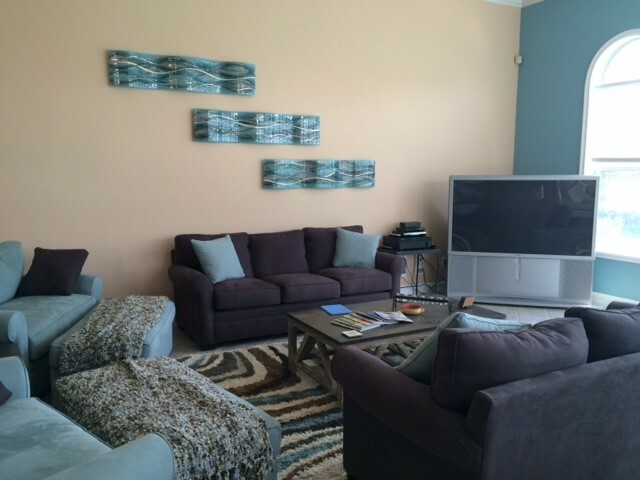 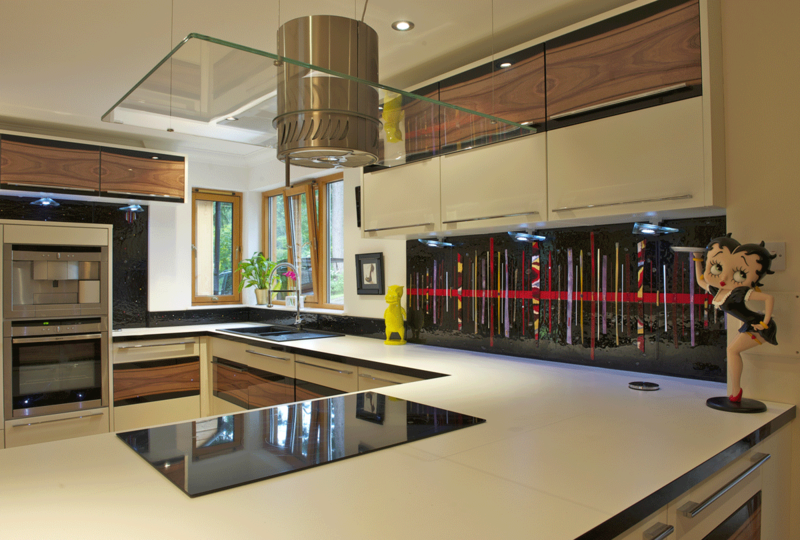 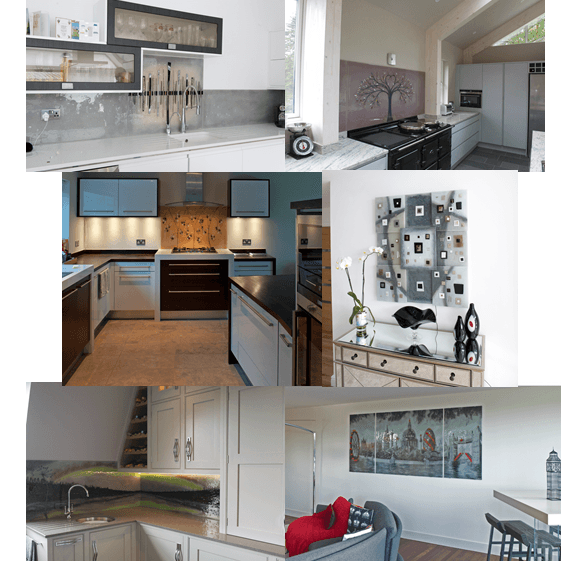 The end result is a stunning addition to the kitchen, creating a theme while complementing the existing décor to a tee. 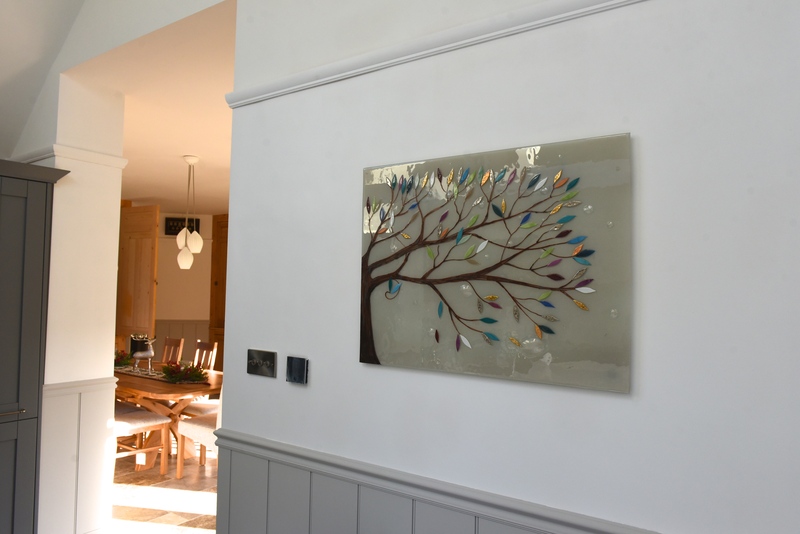 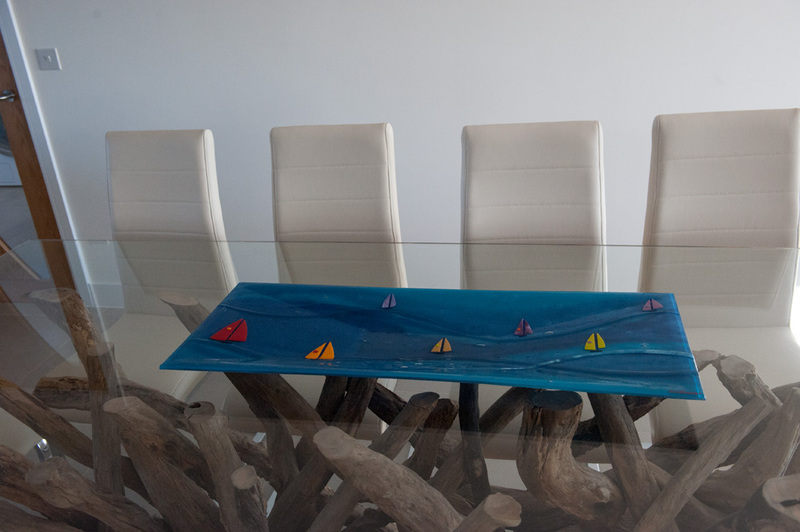 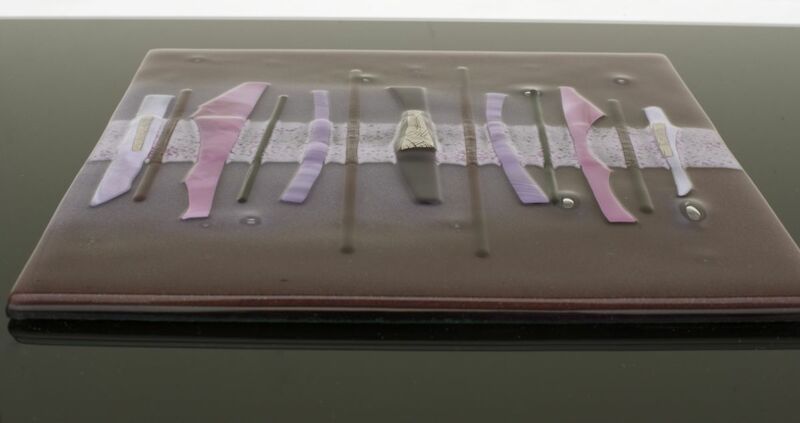 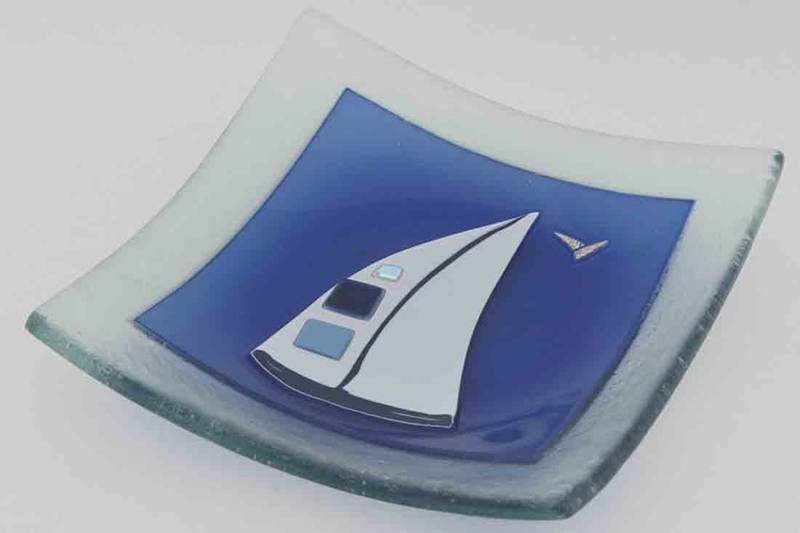 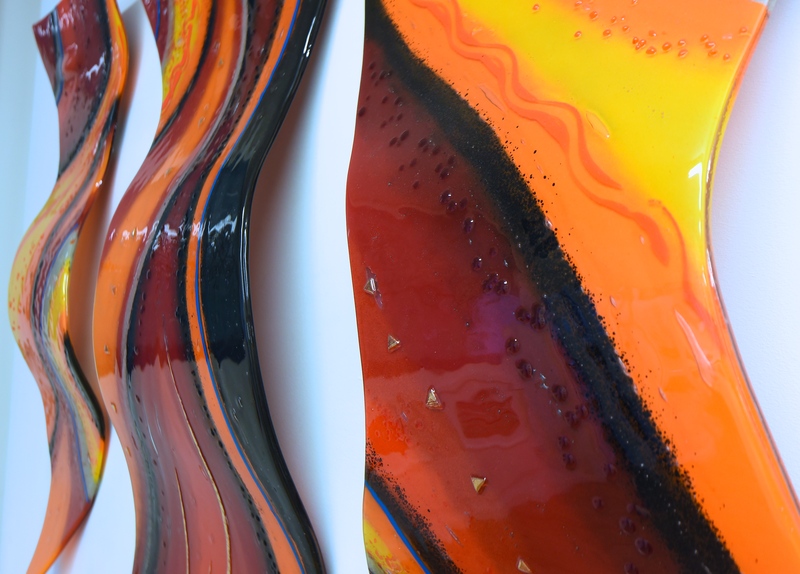 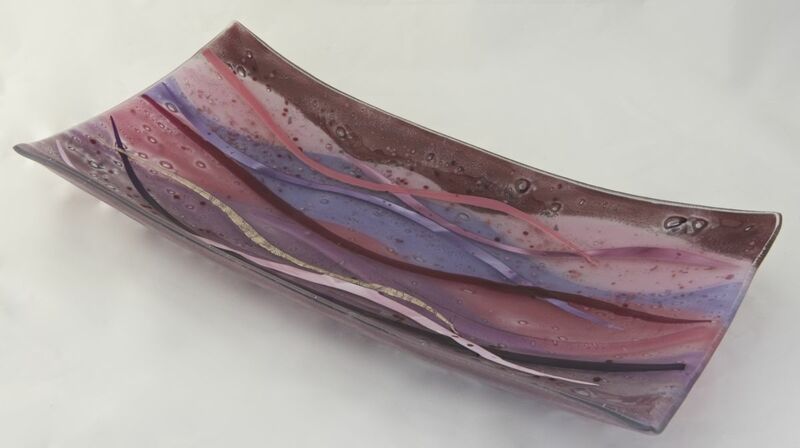 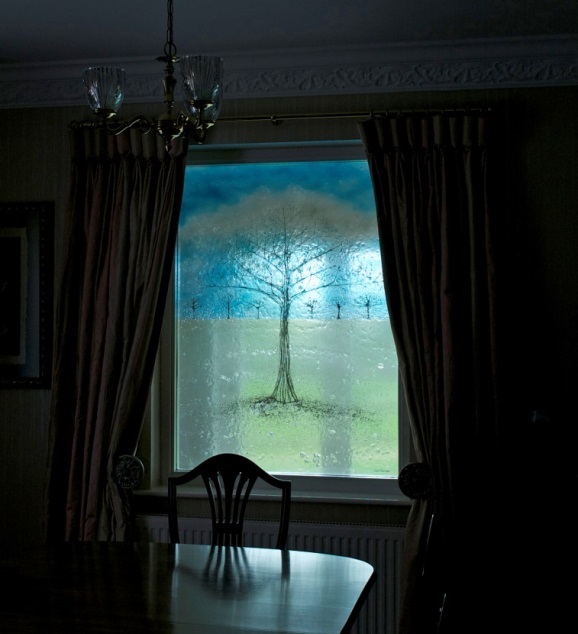 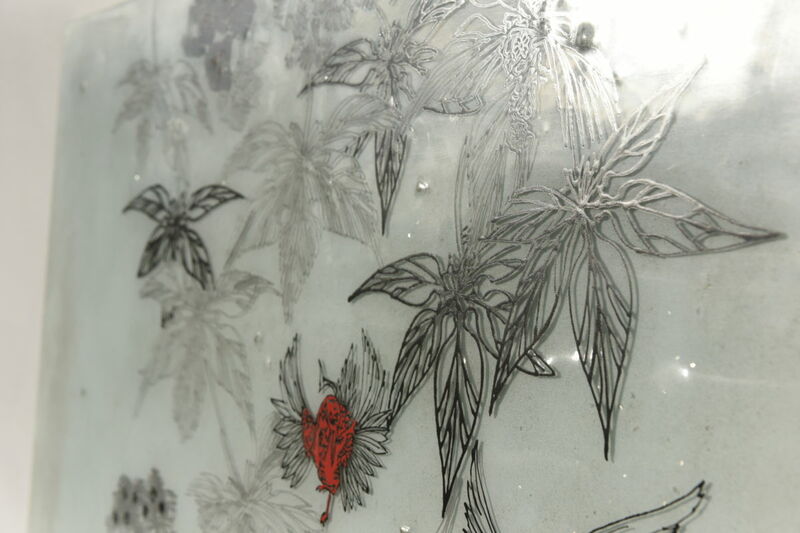 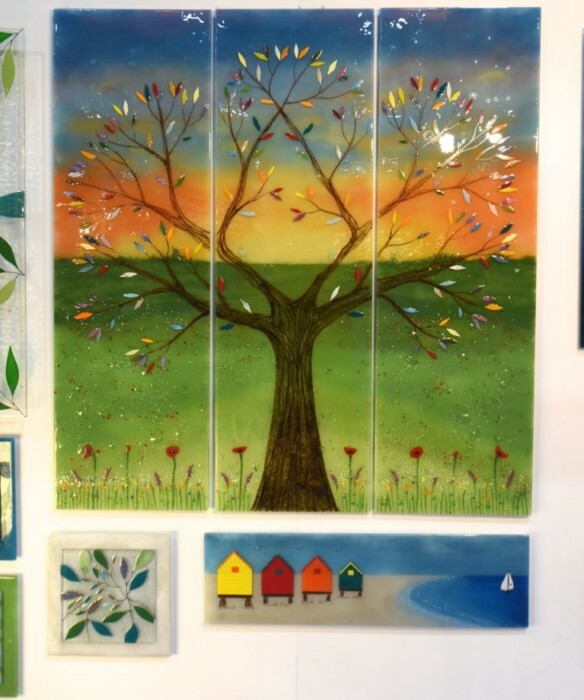 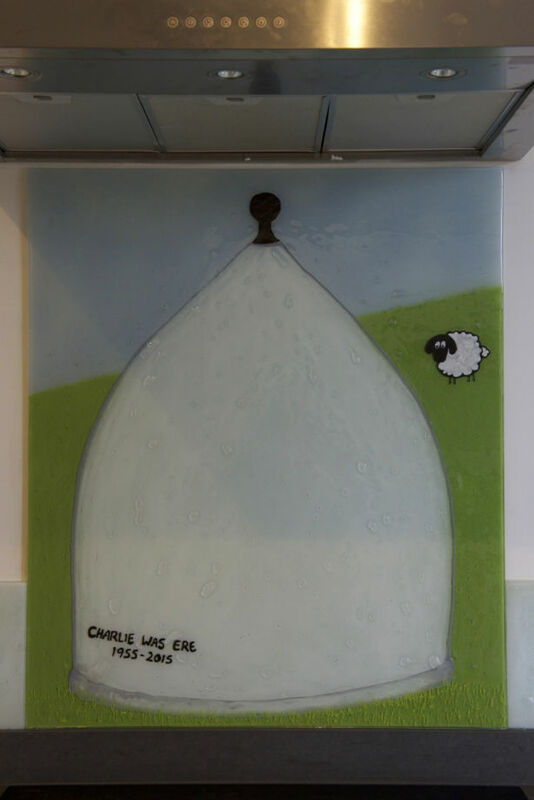 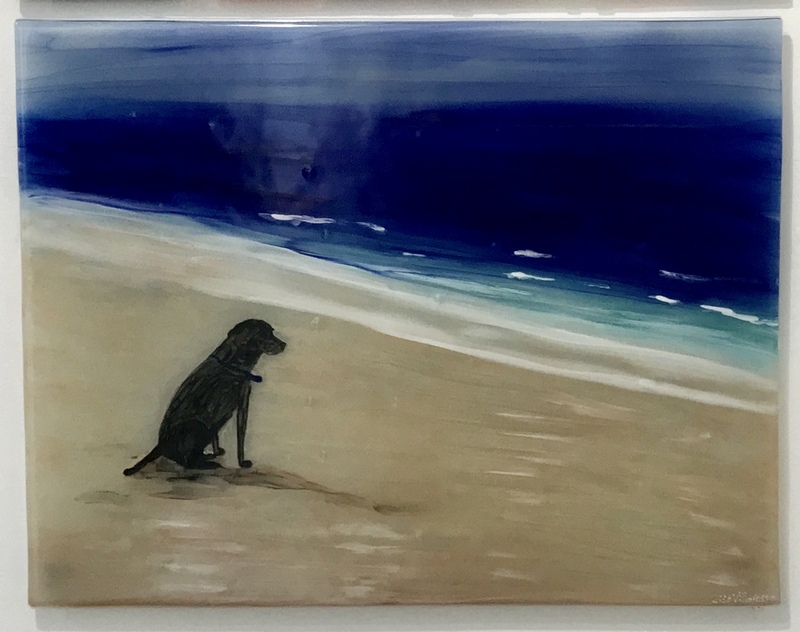 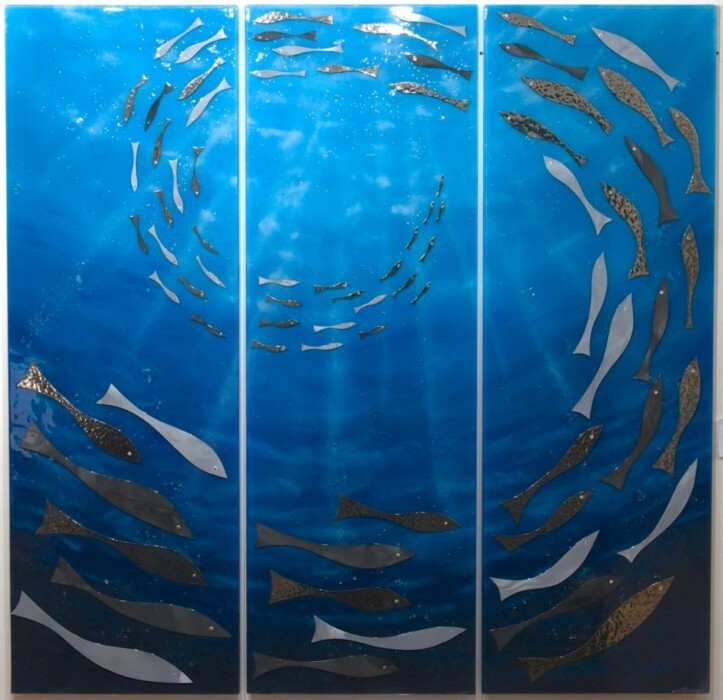 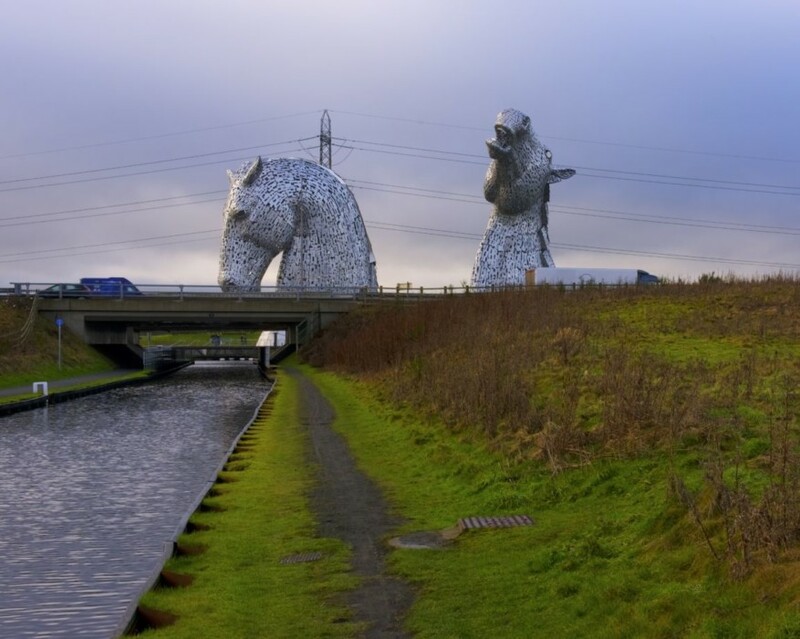 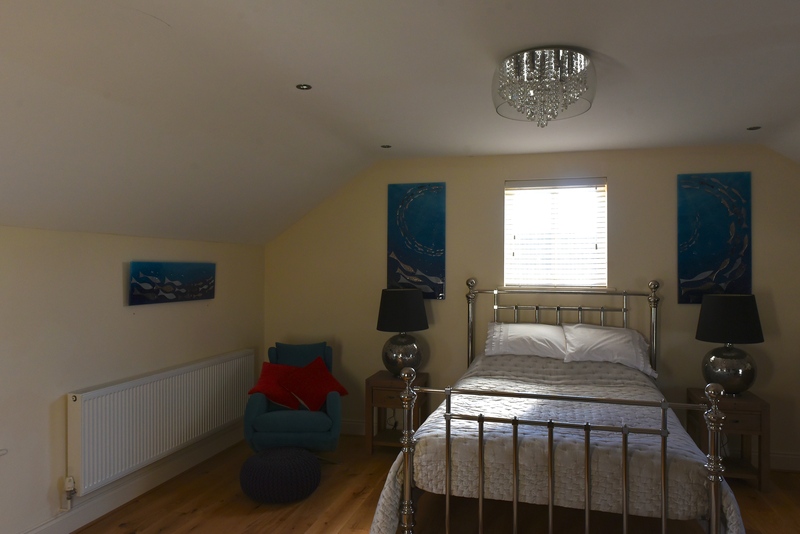 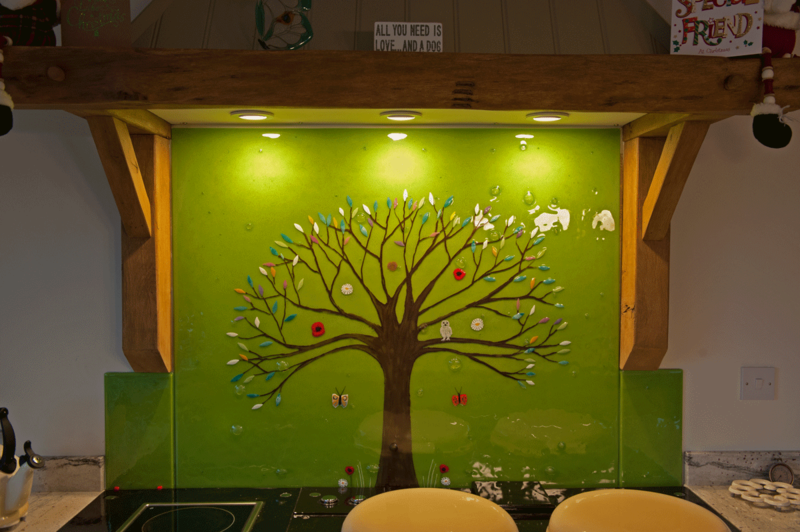 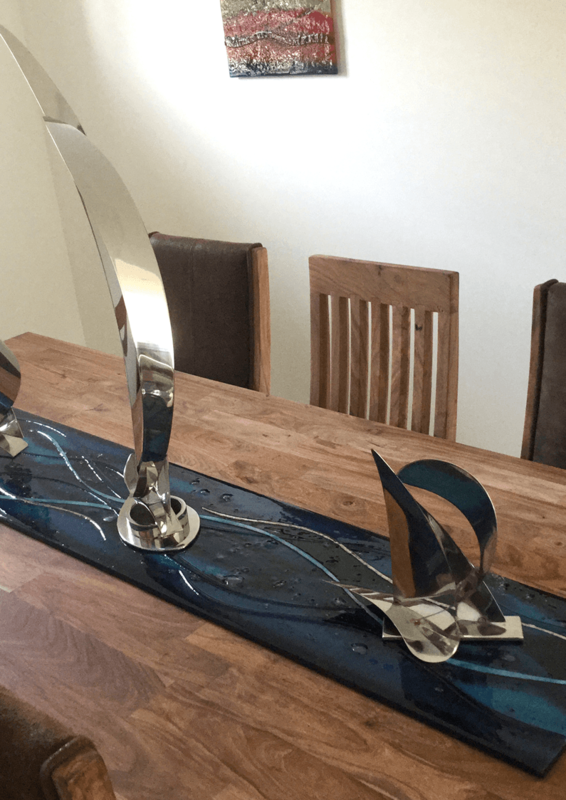 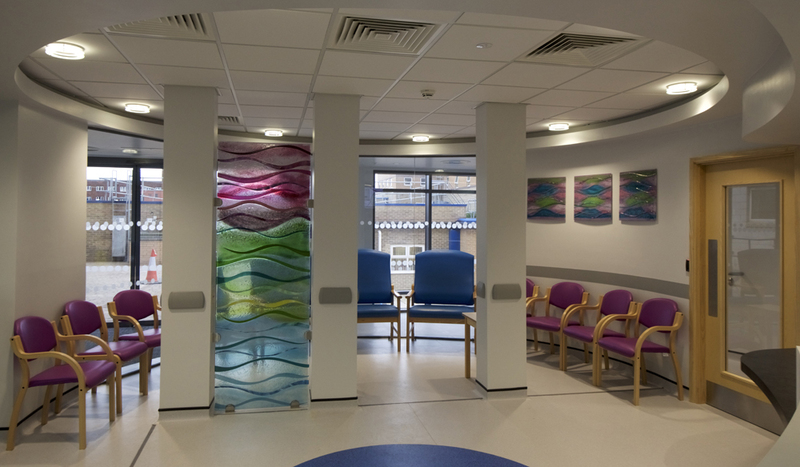 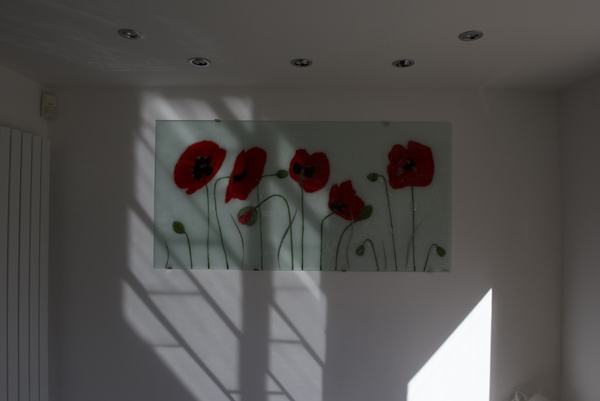 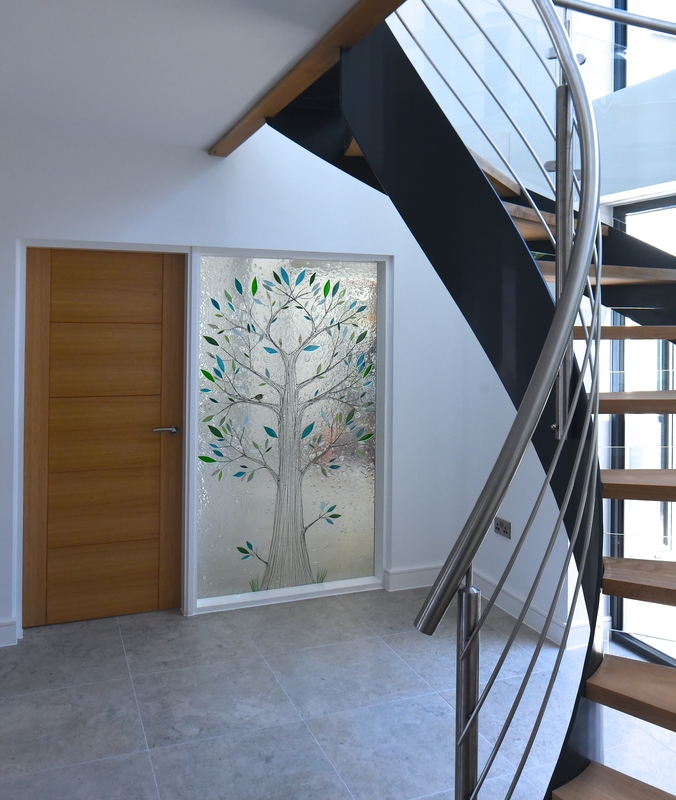 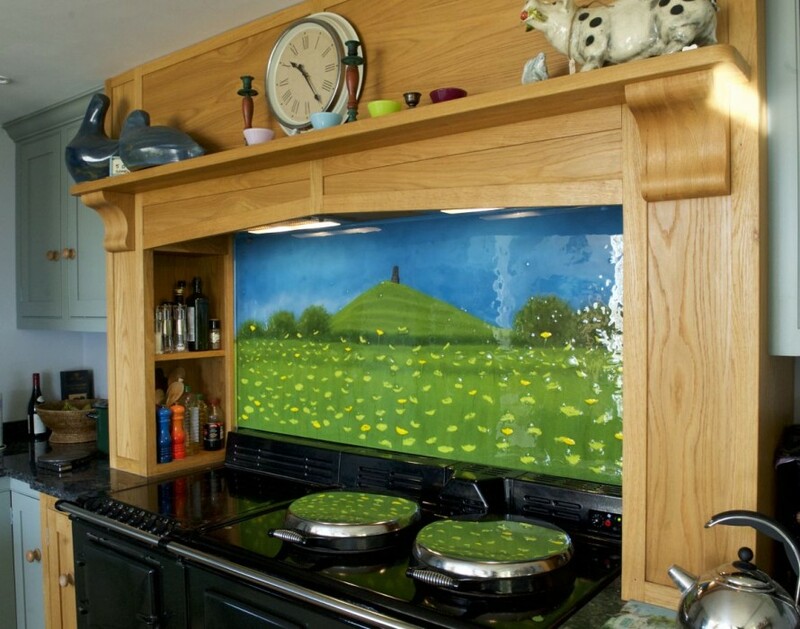 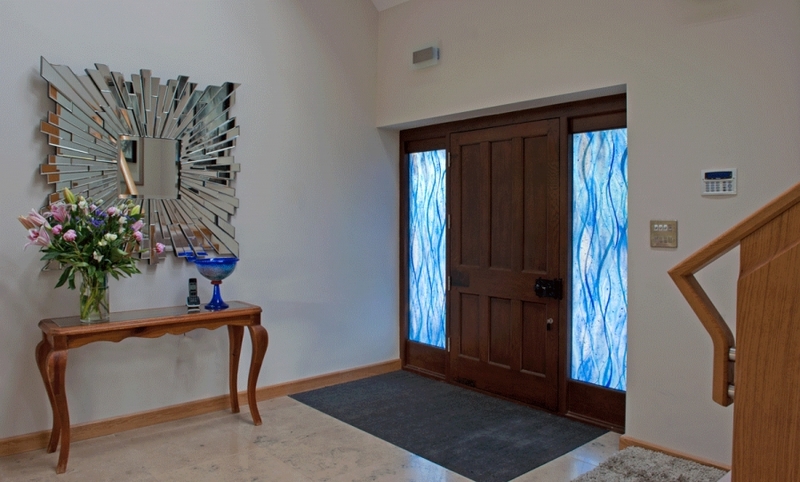 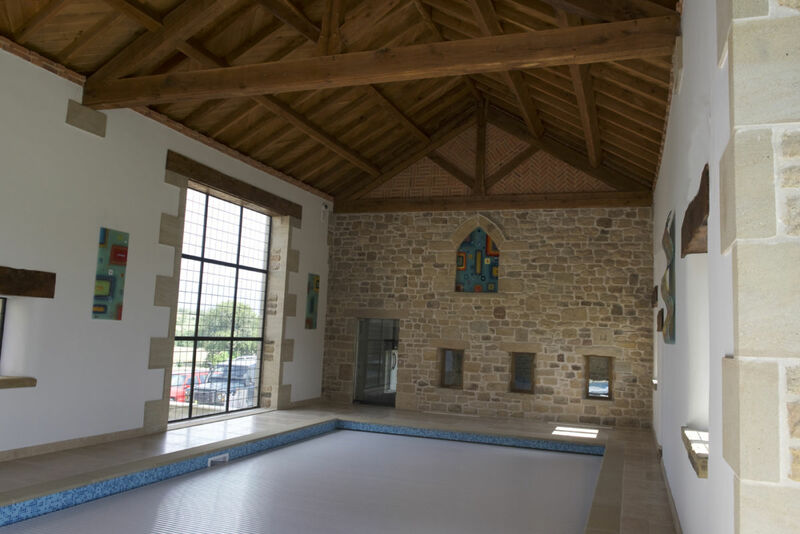 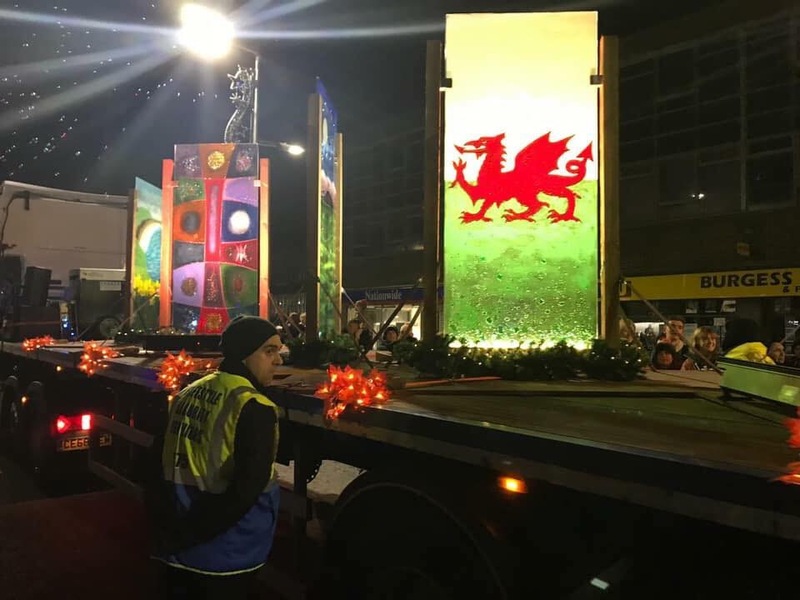 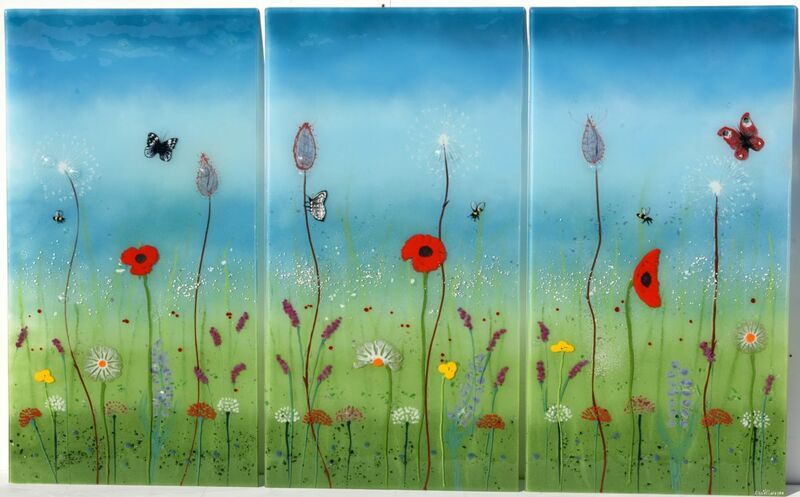 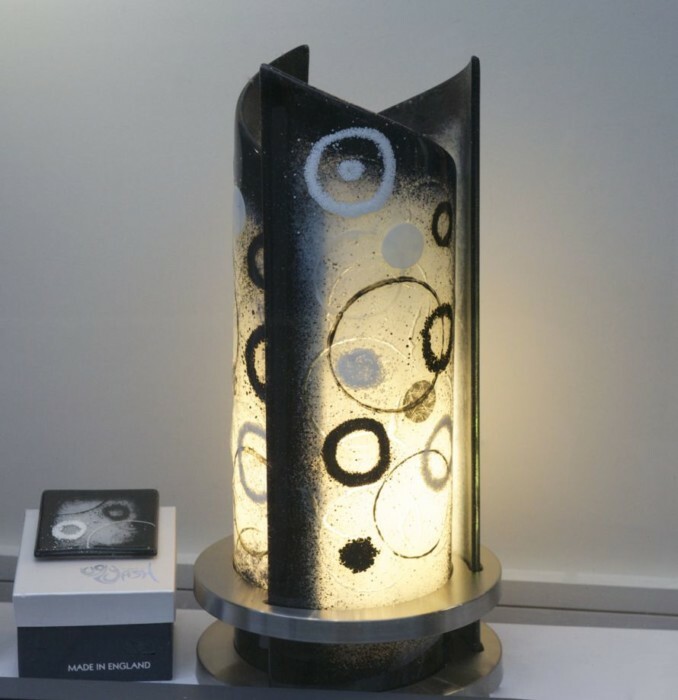 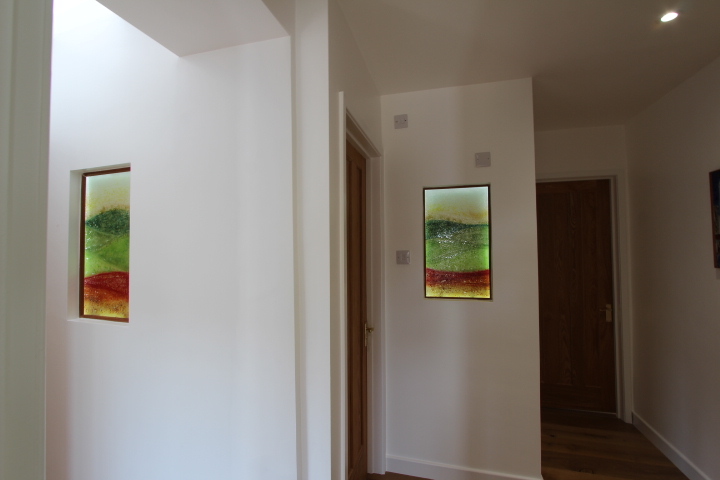 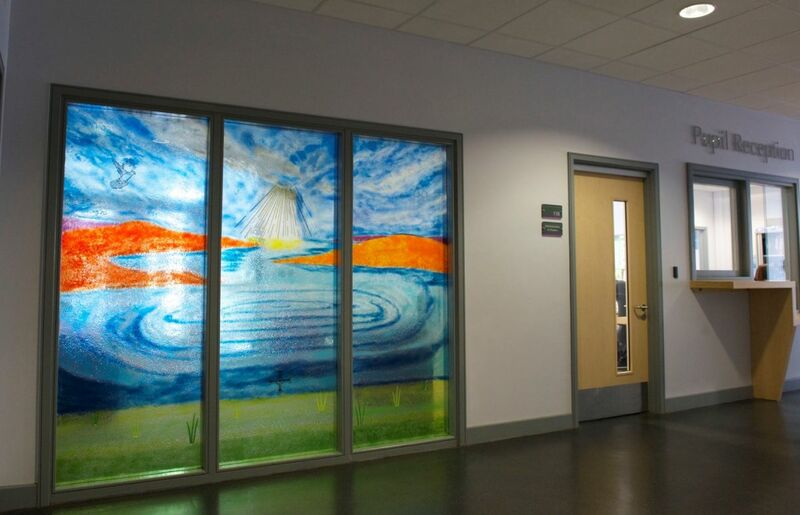 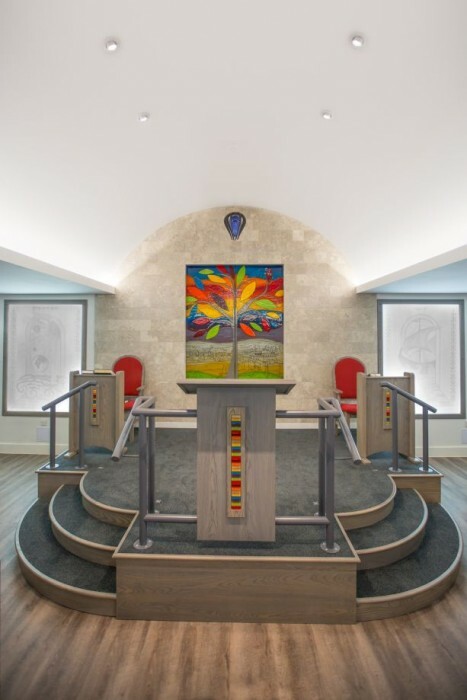 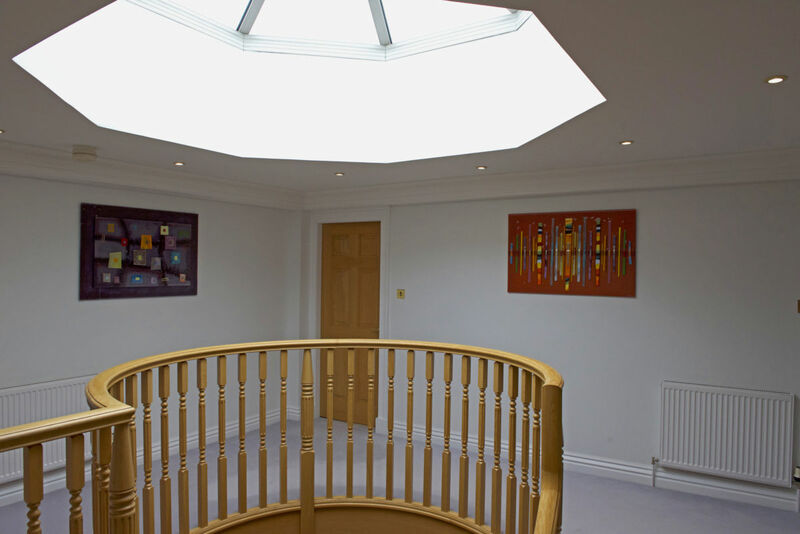 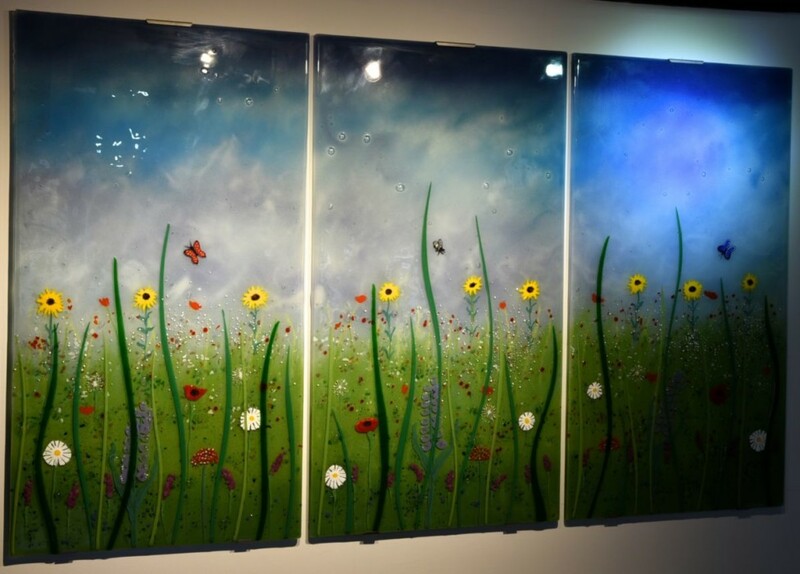 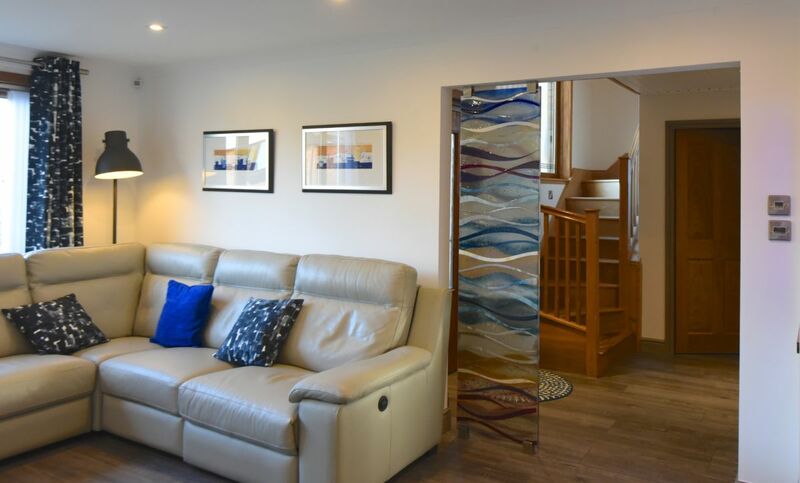 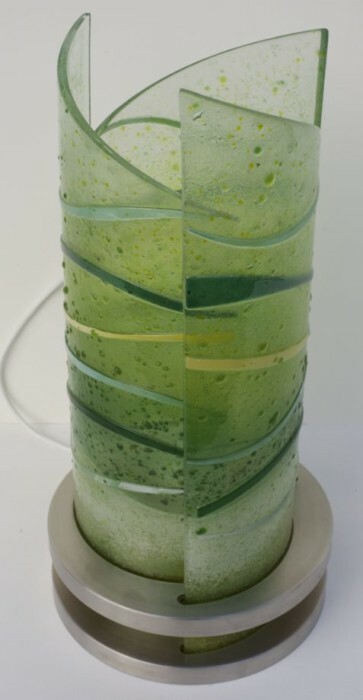 We think its a great example of how our fused glass art can be customised and made completely bespoke, from the size and shape of the piece all the way to the actual design of the glass. 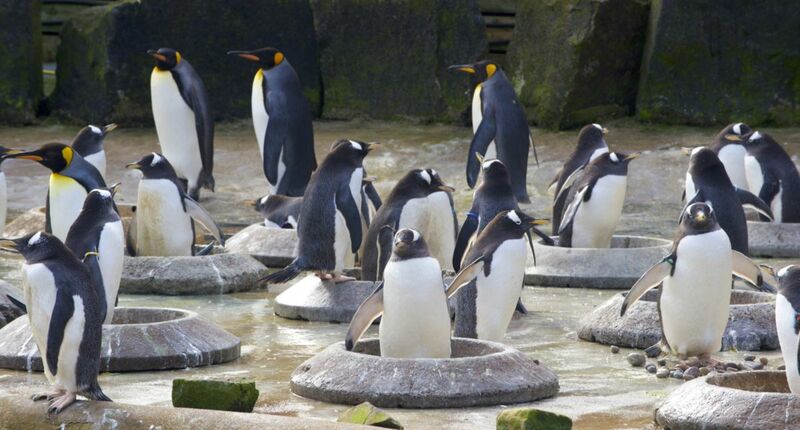 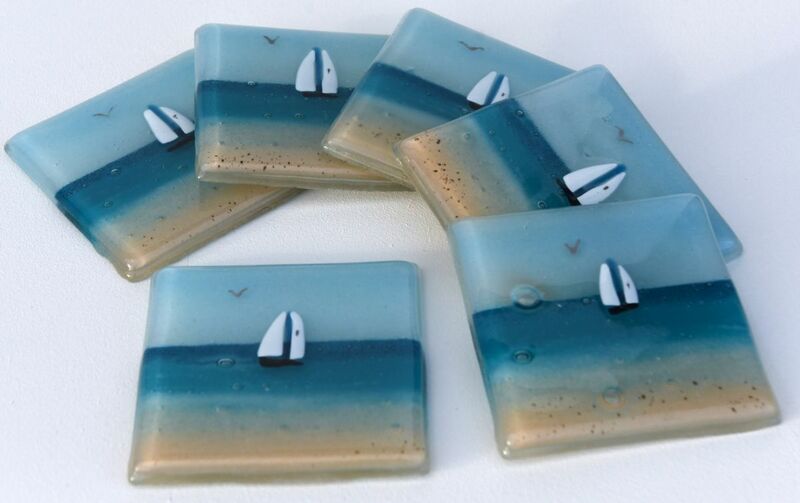 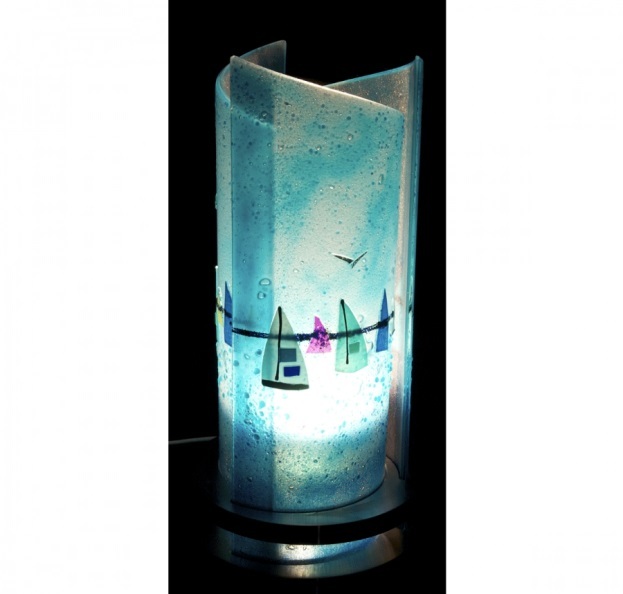 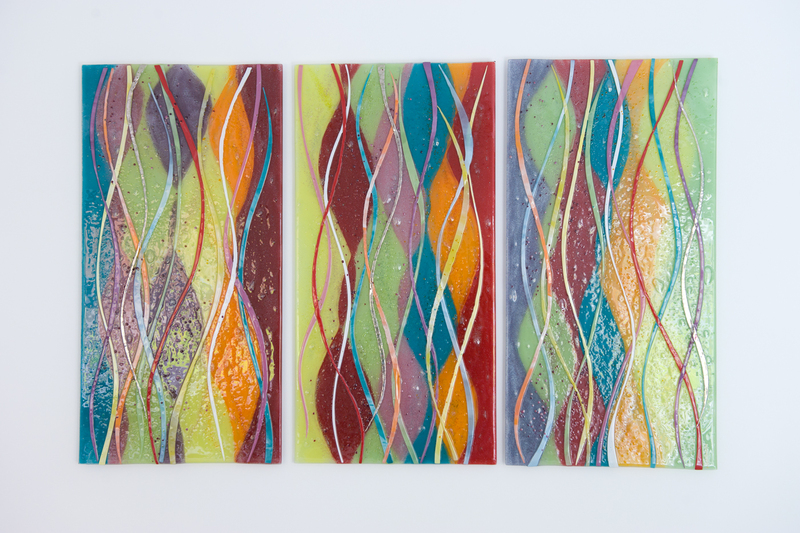 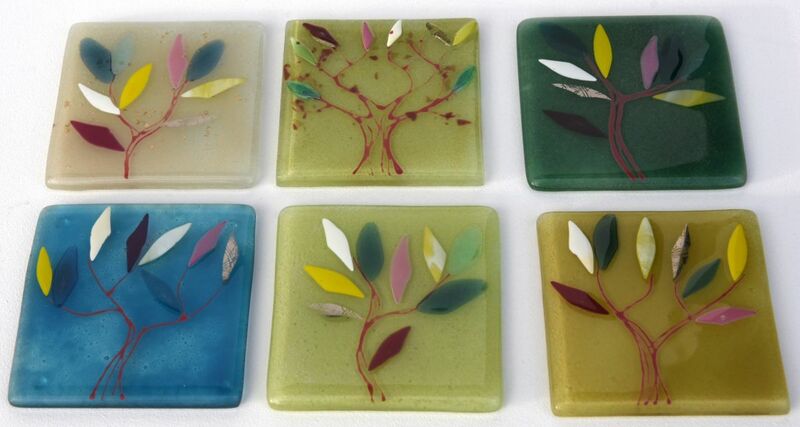 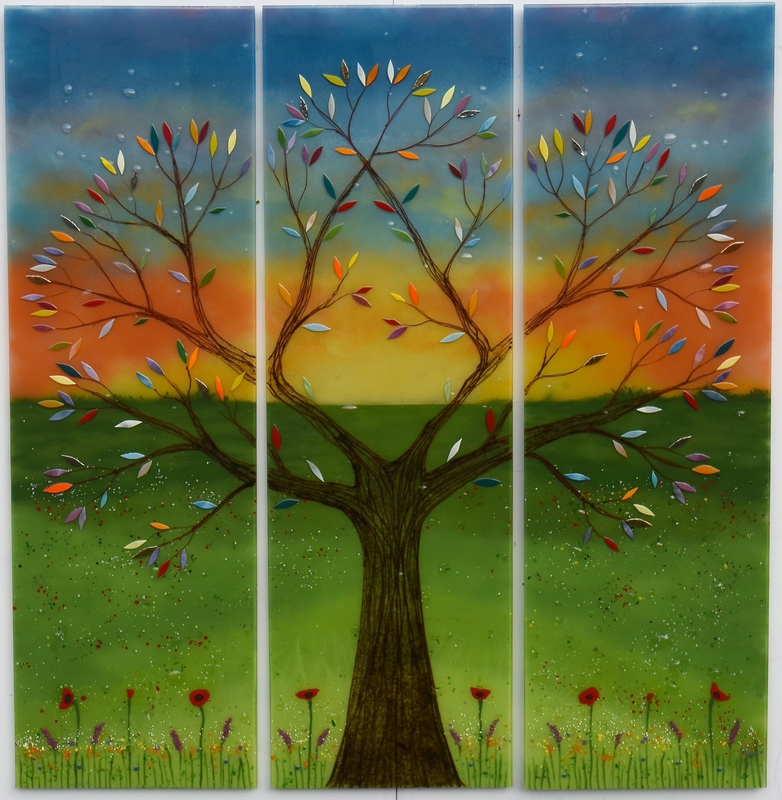 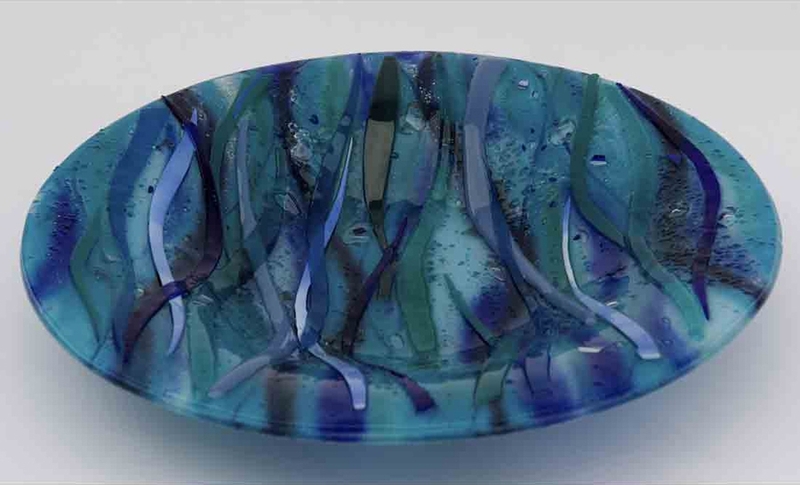 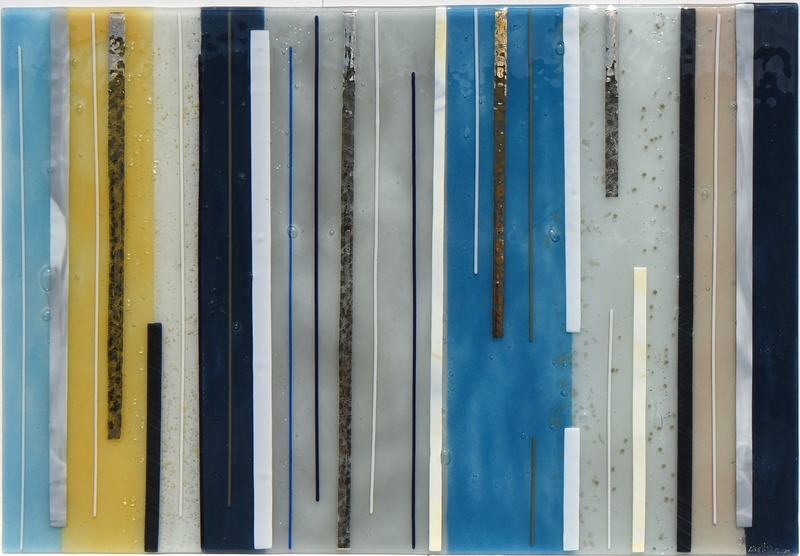 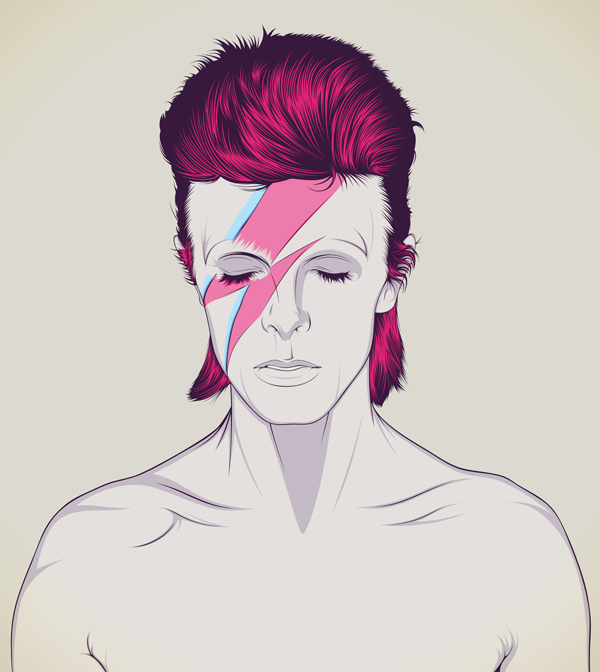 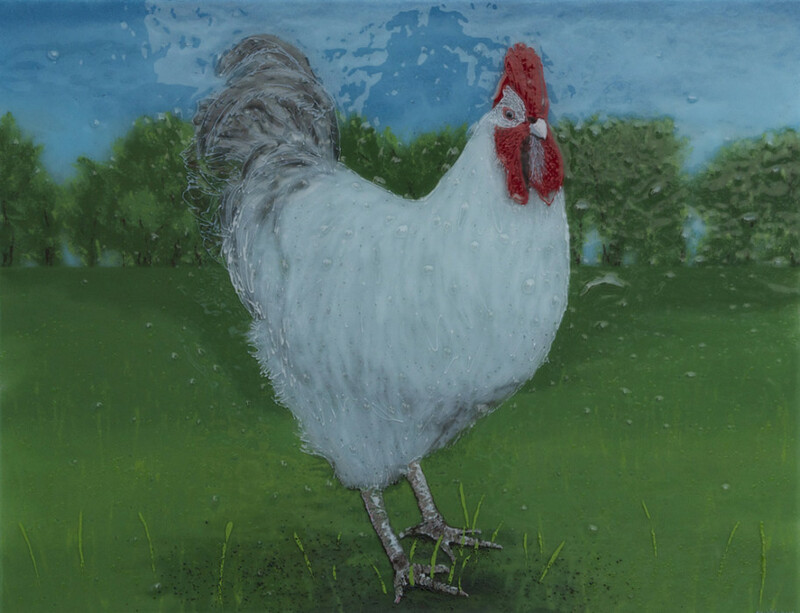 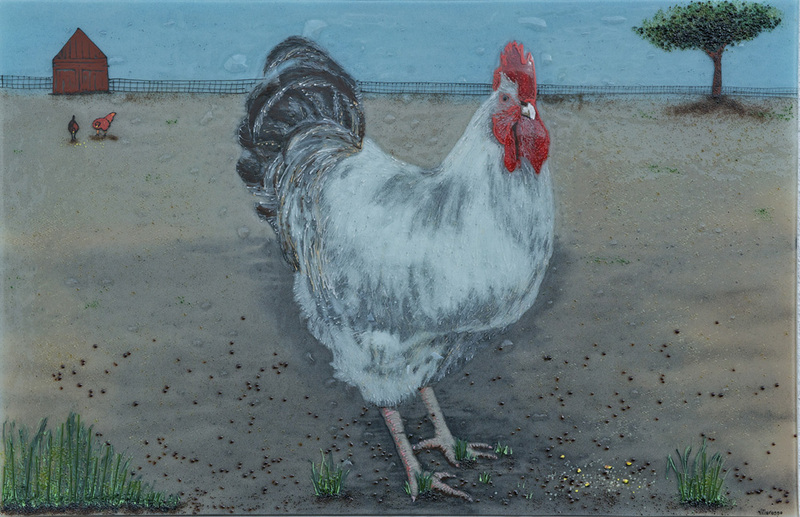 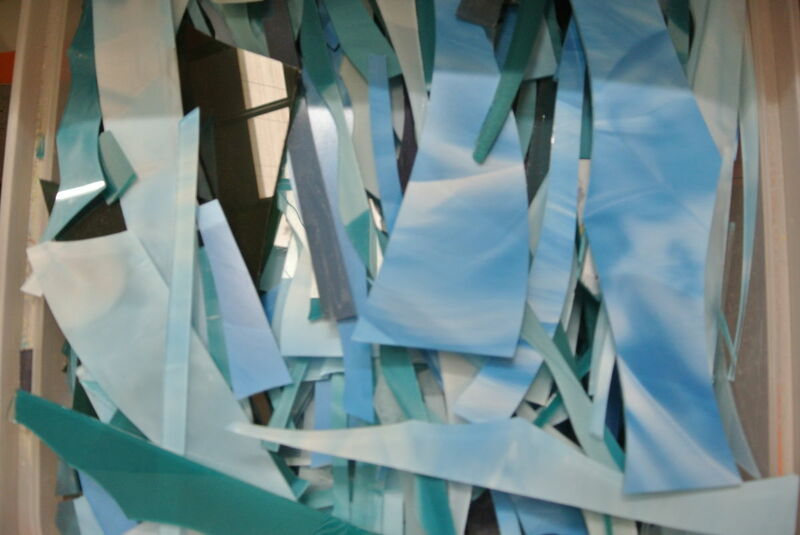 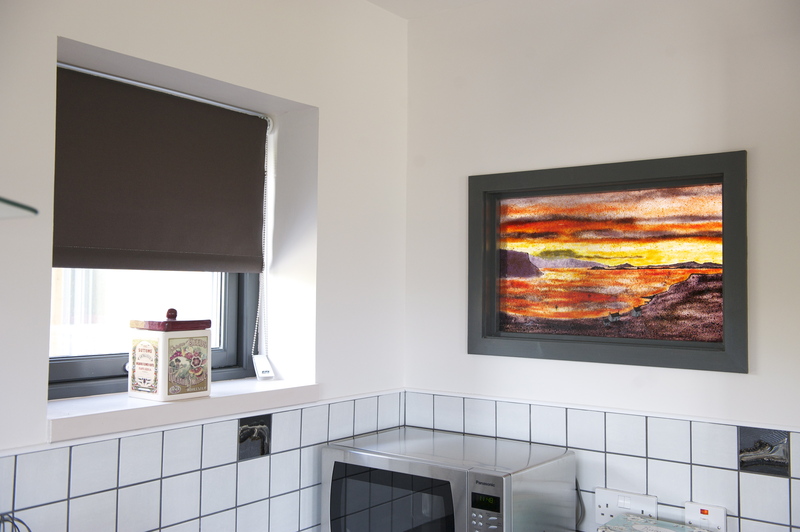 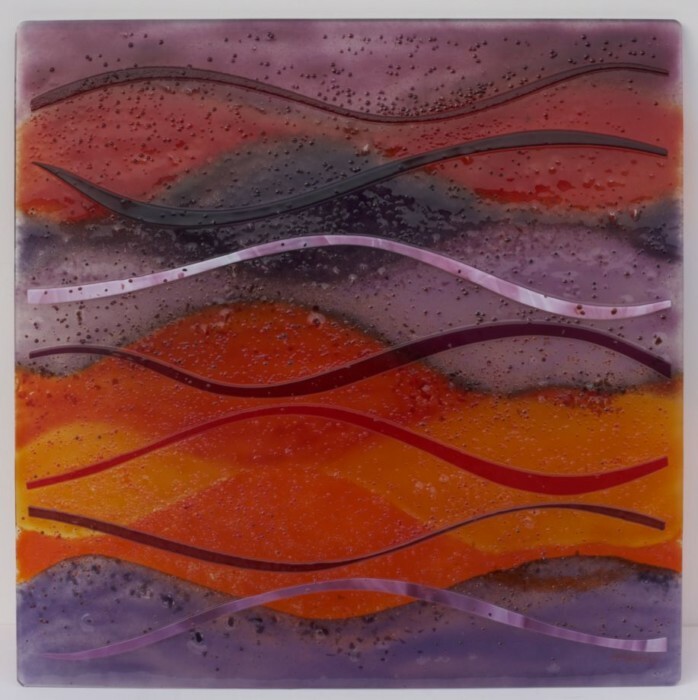 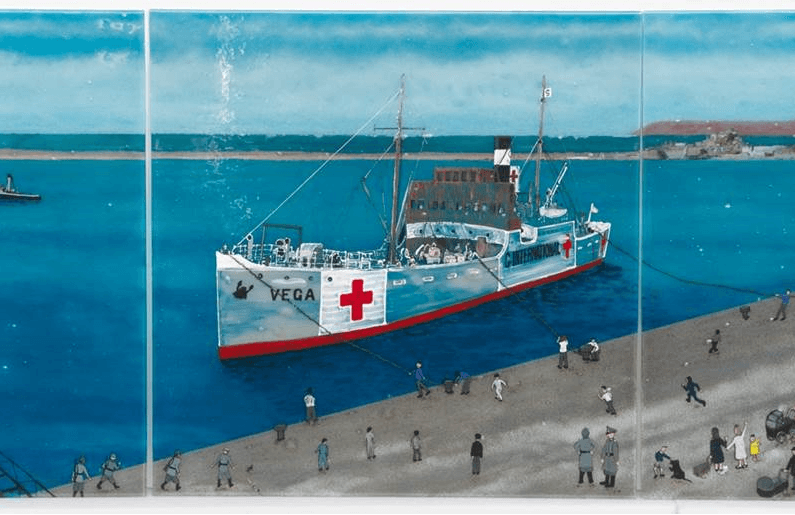 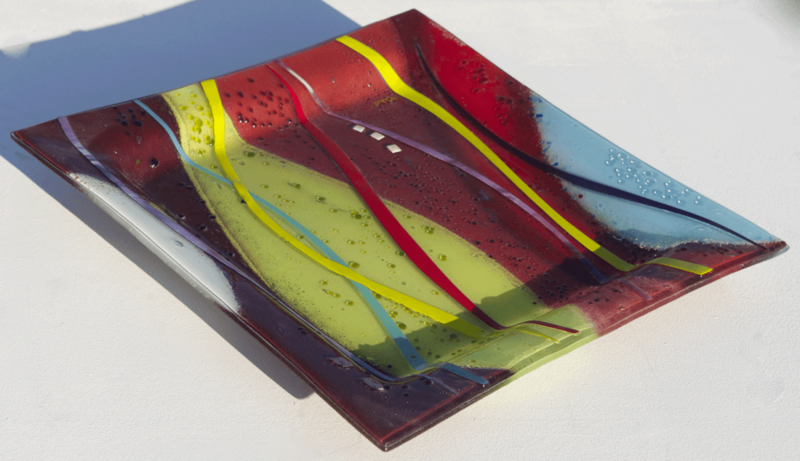 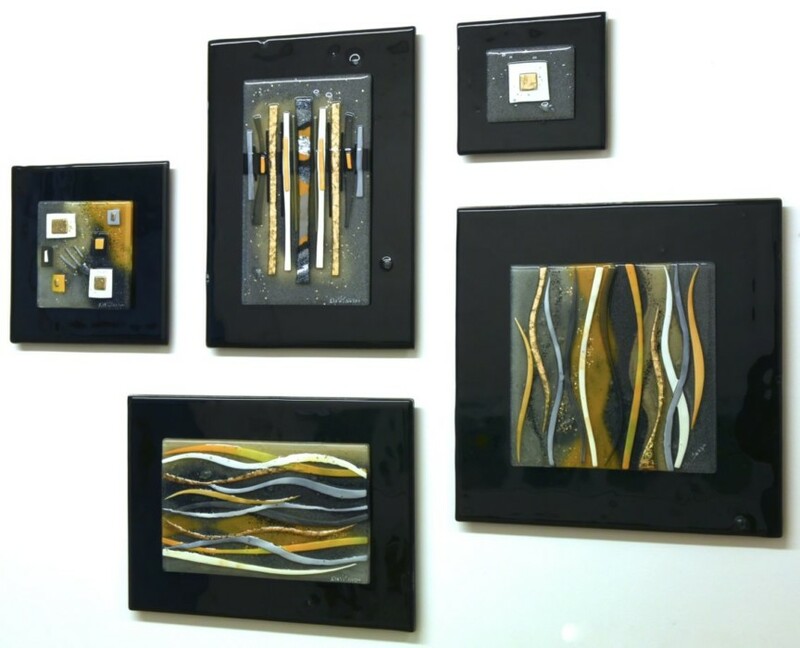 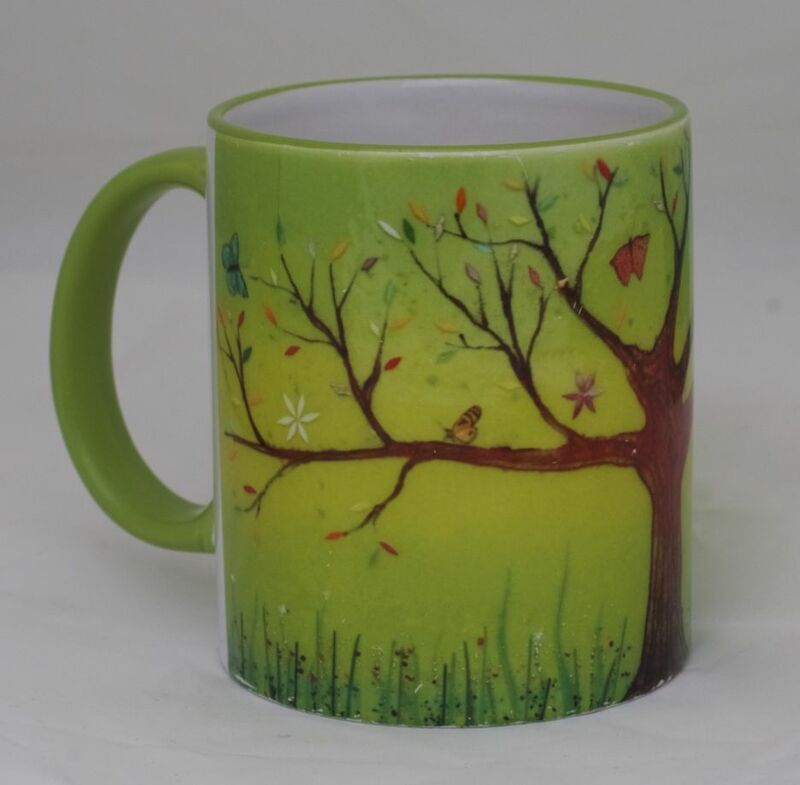 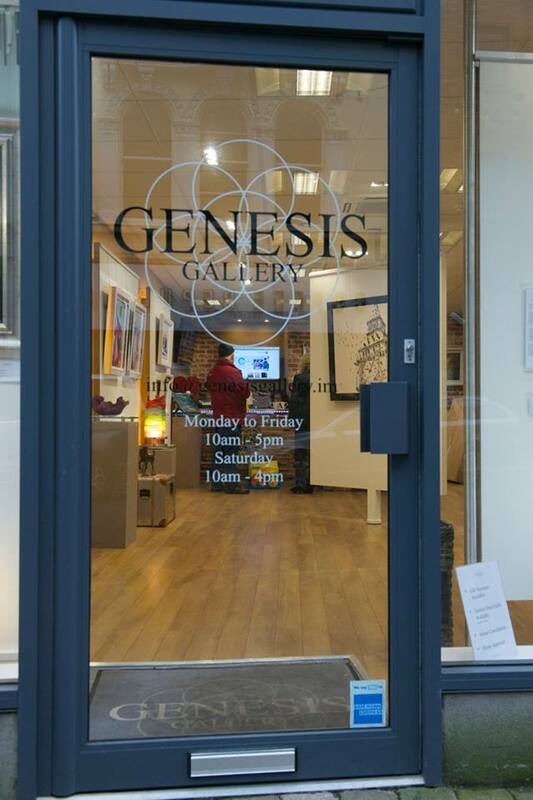 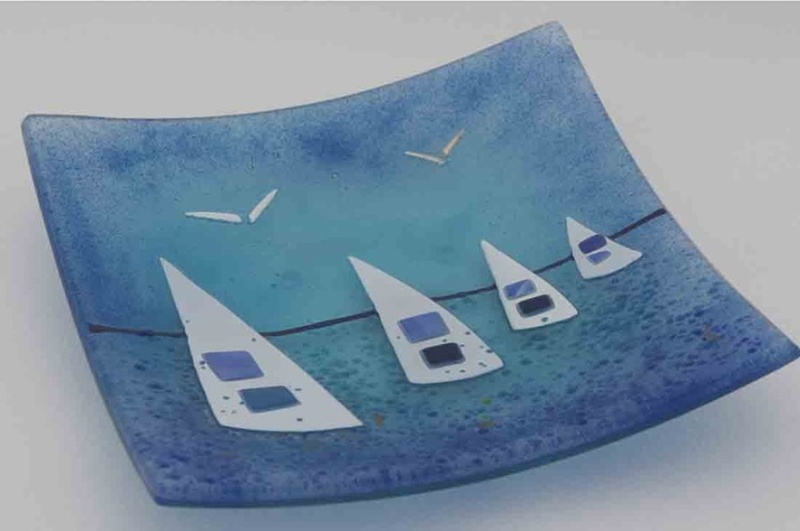 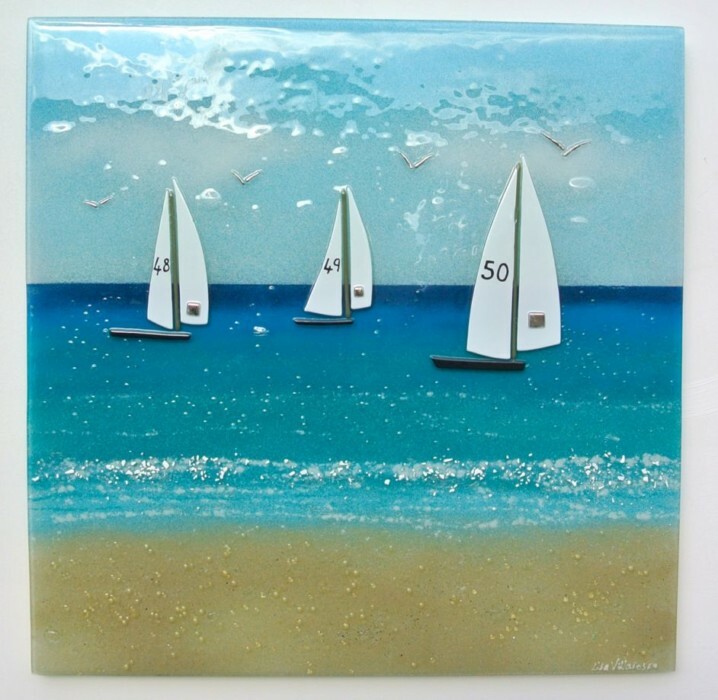 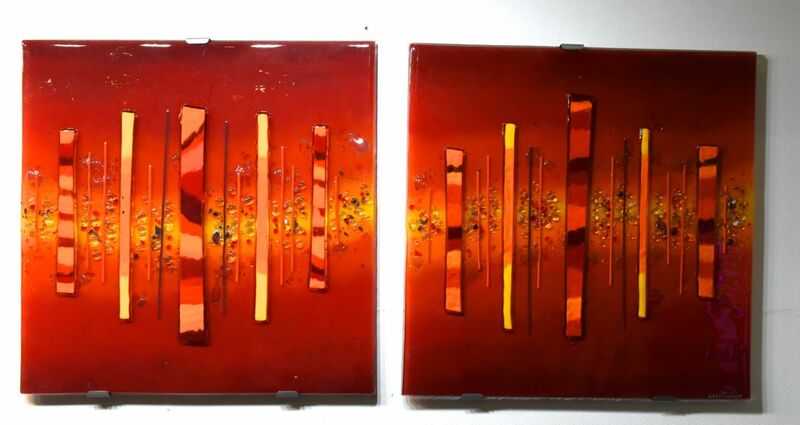 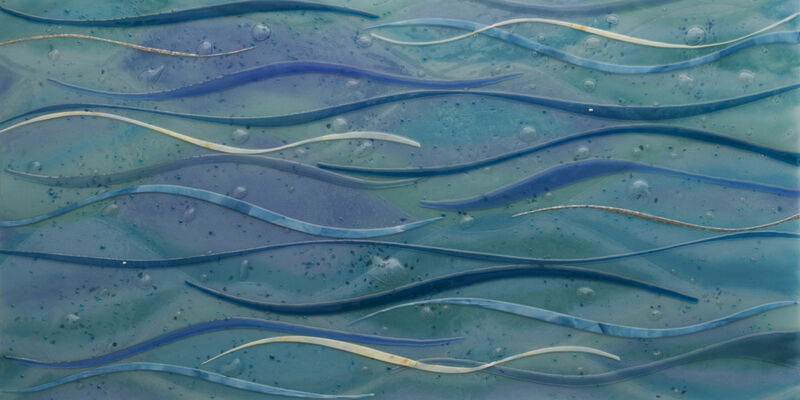 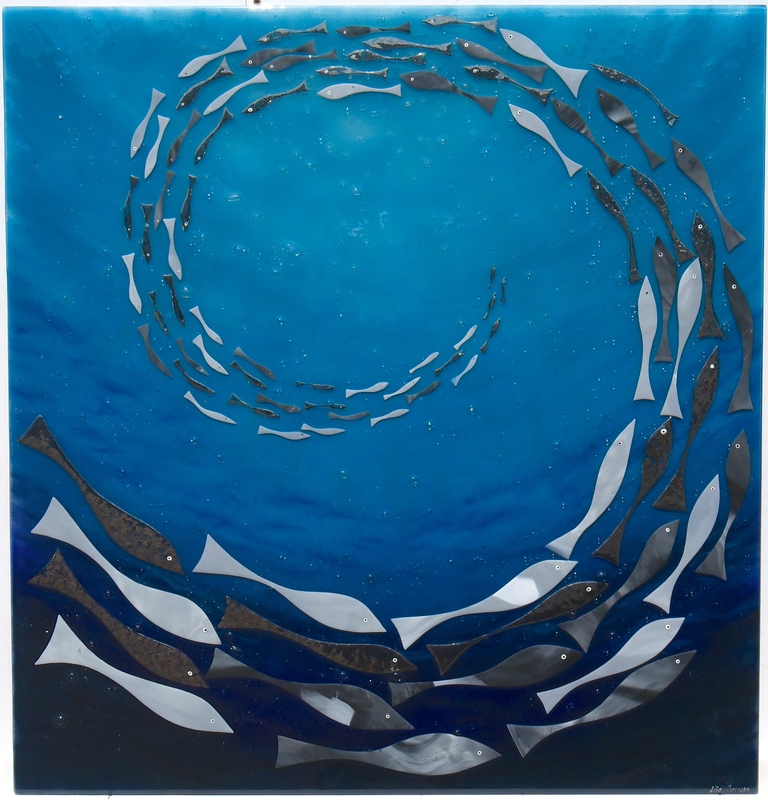 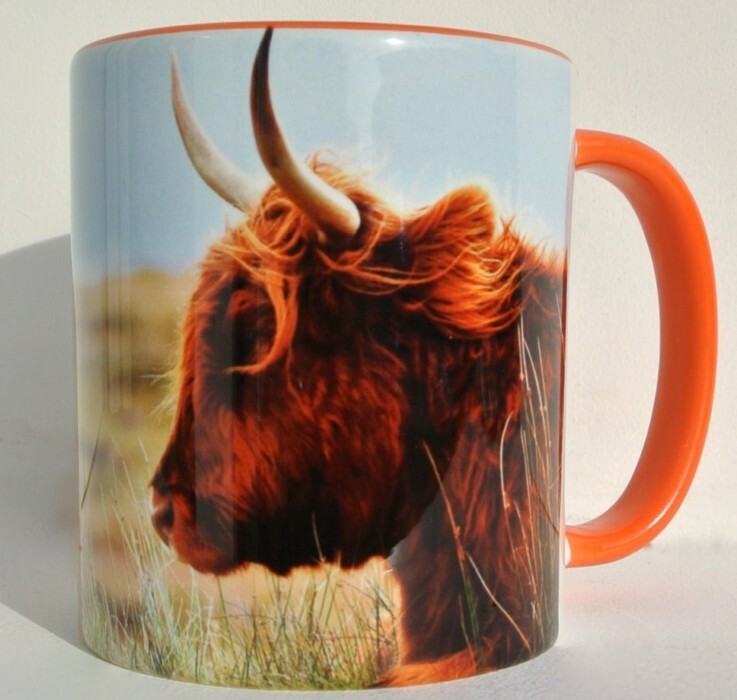 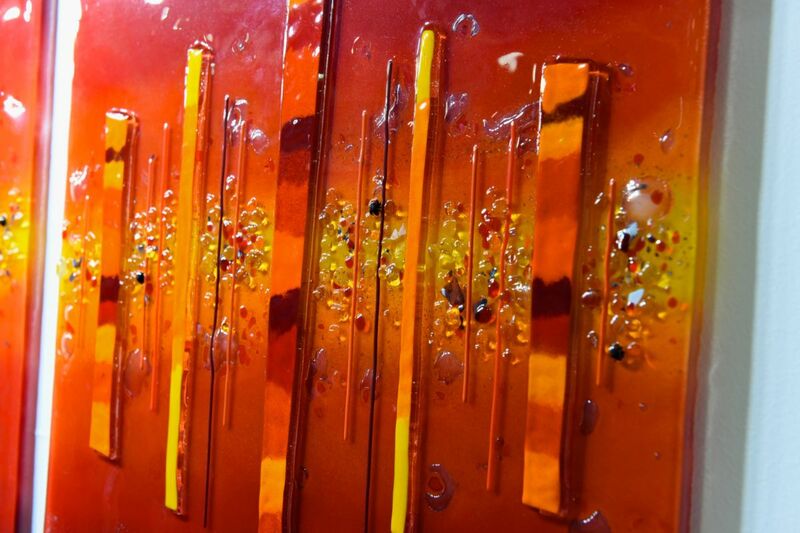 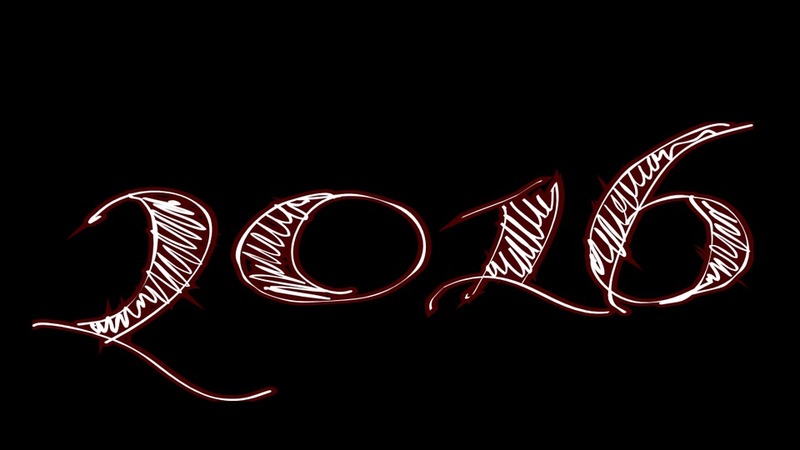 Hopefully, you feel inspired to get your hands on some fused glass art of your own. 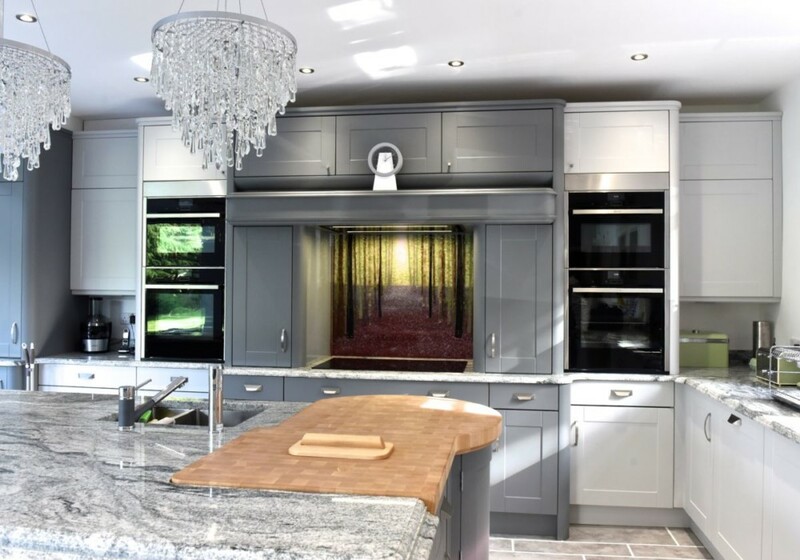 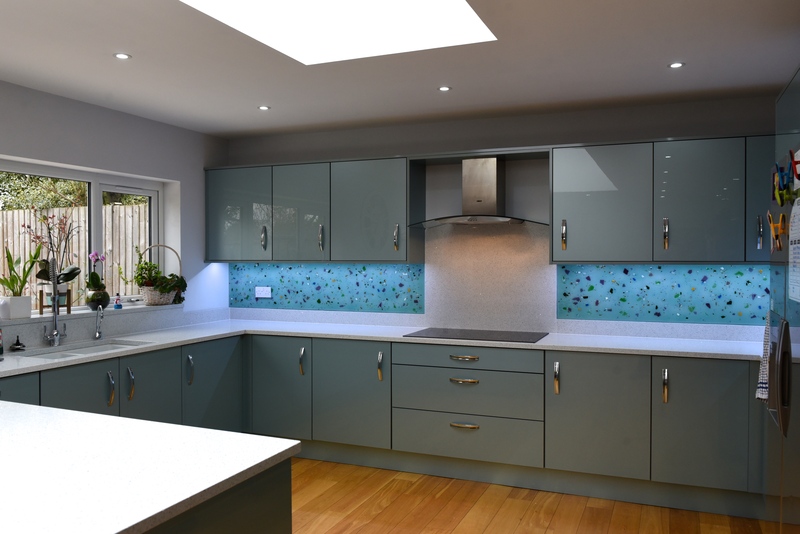 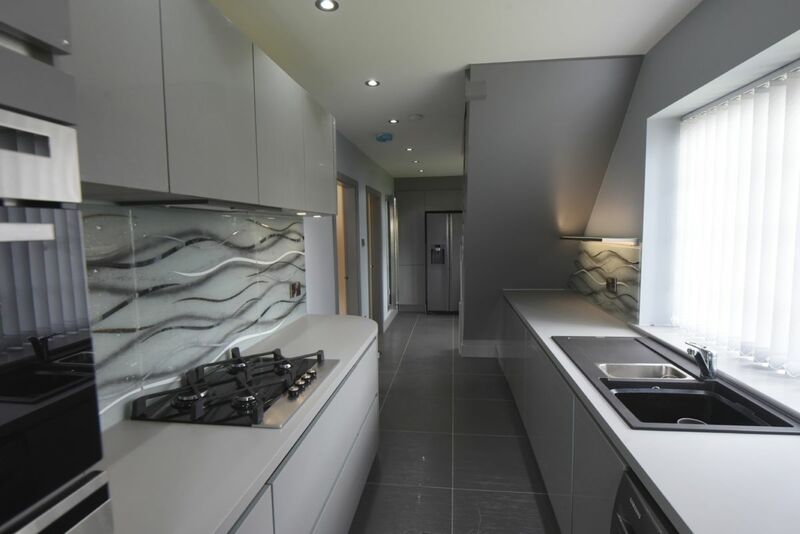 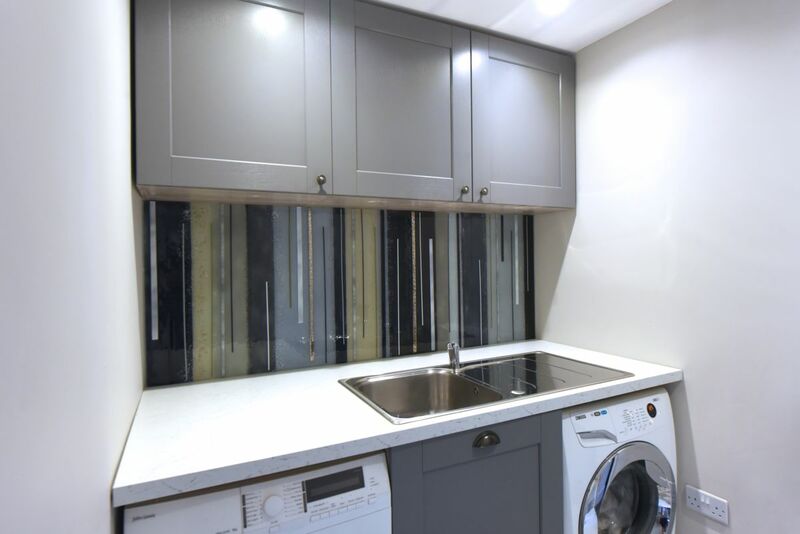 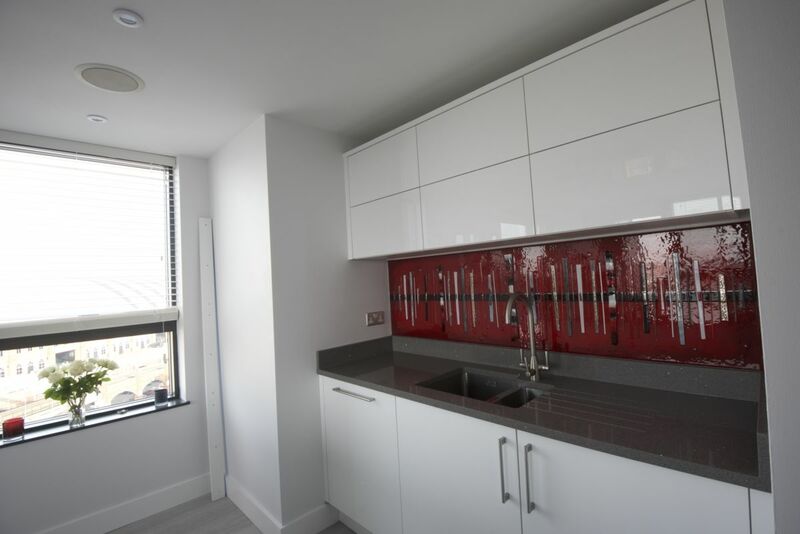 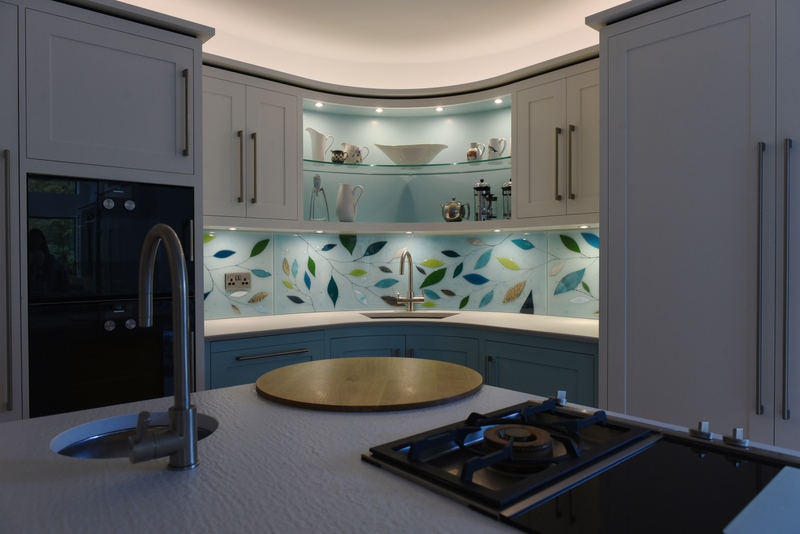 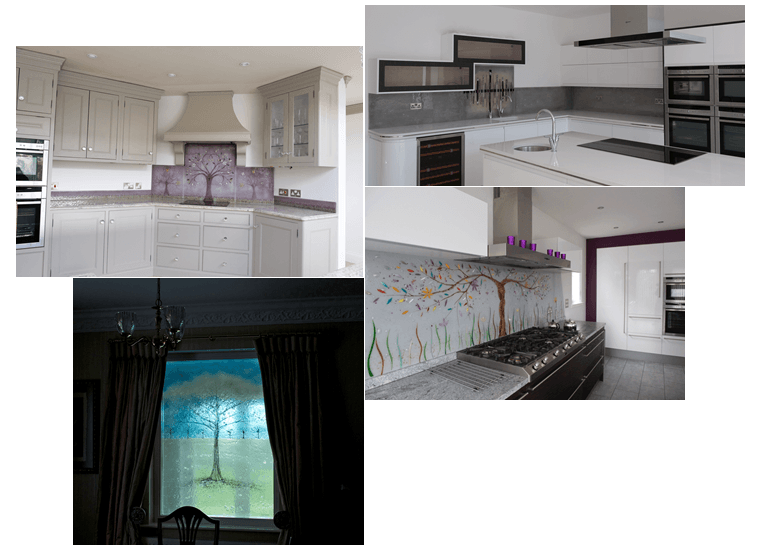 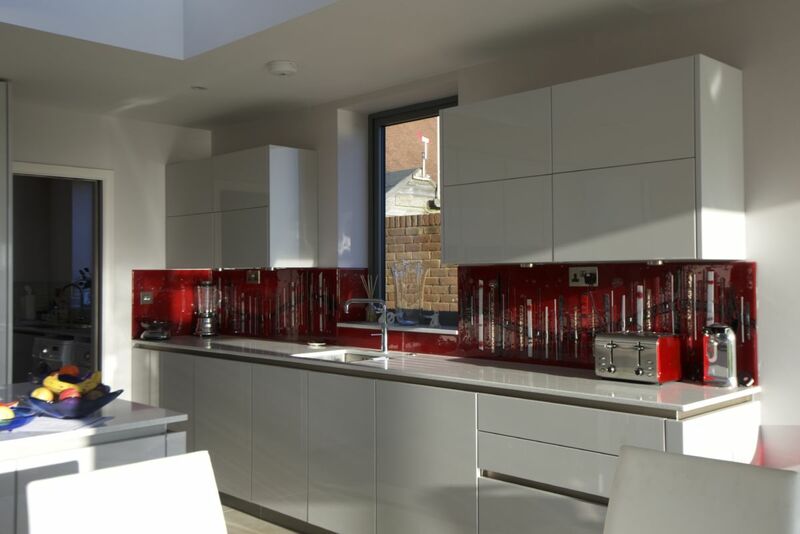 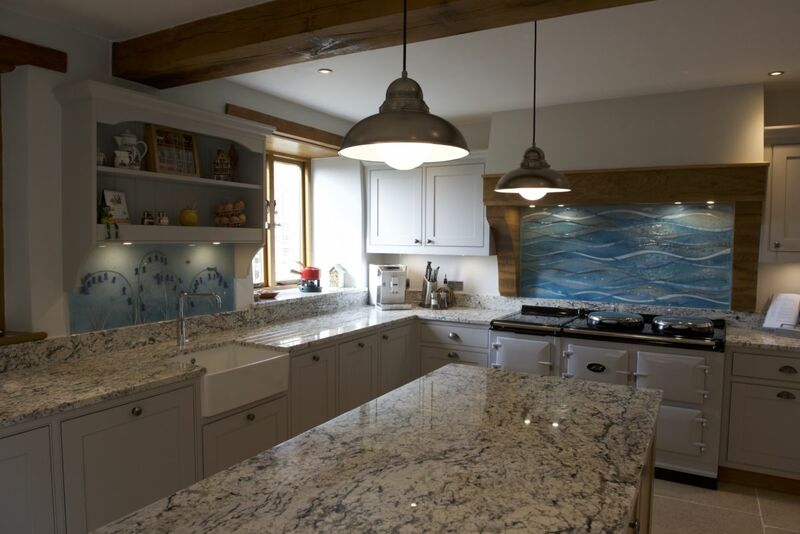 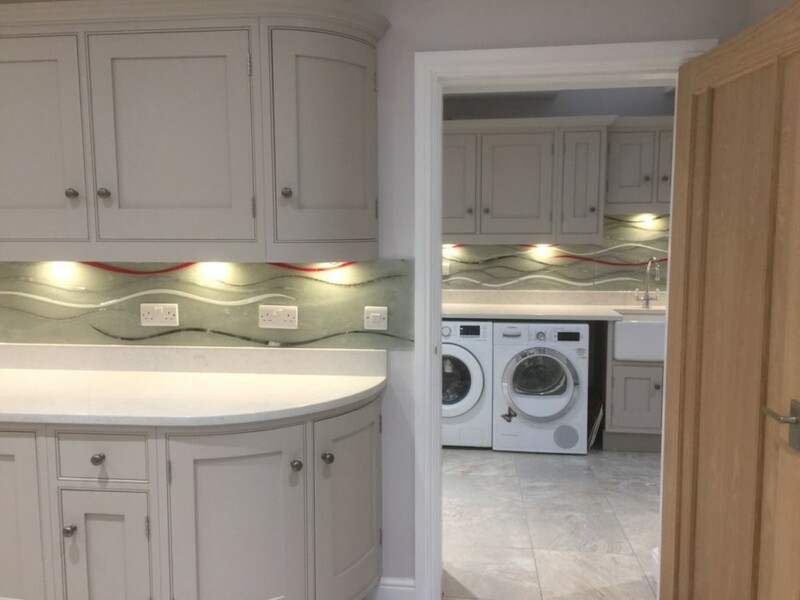 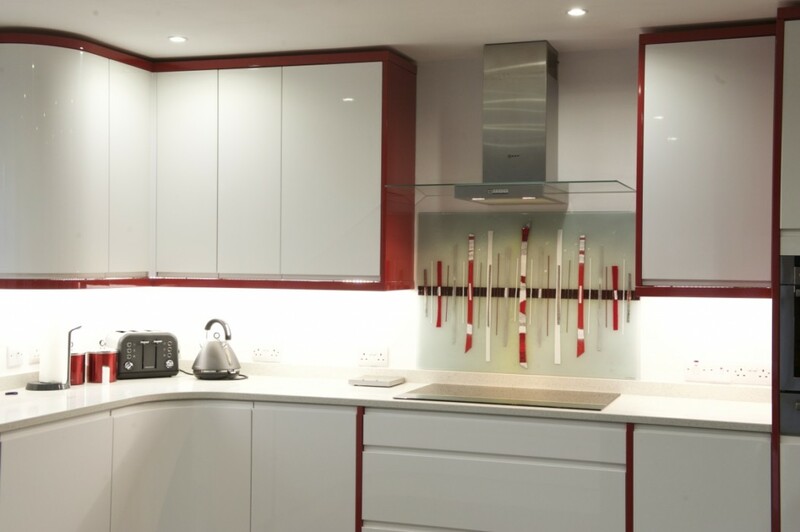 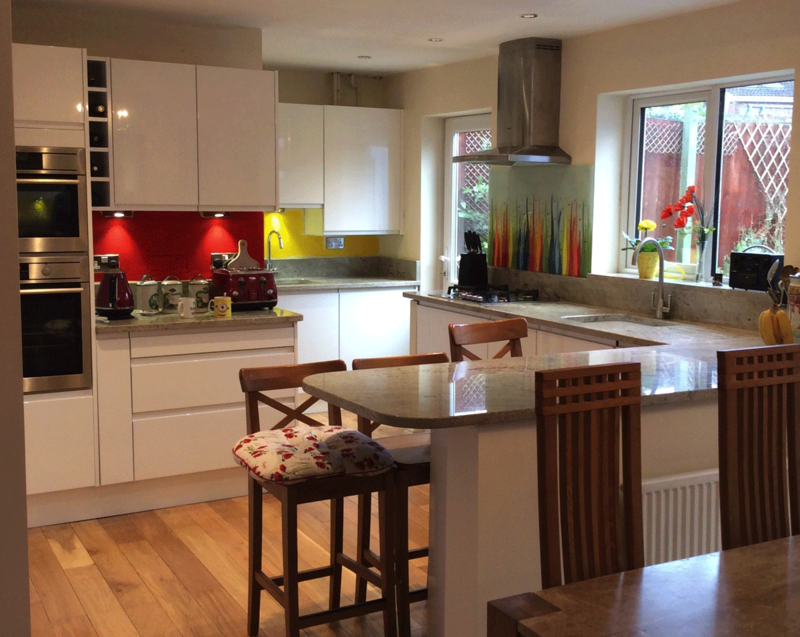 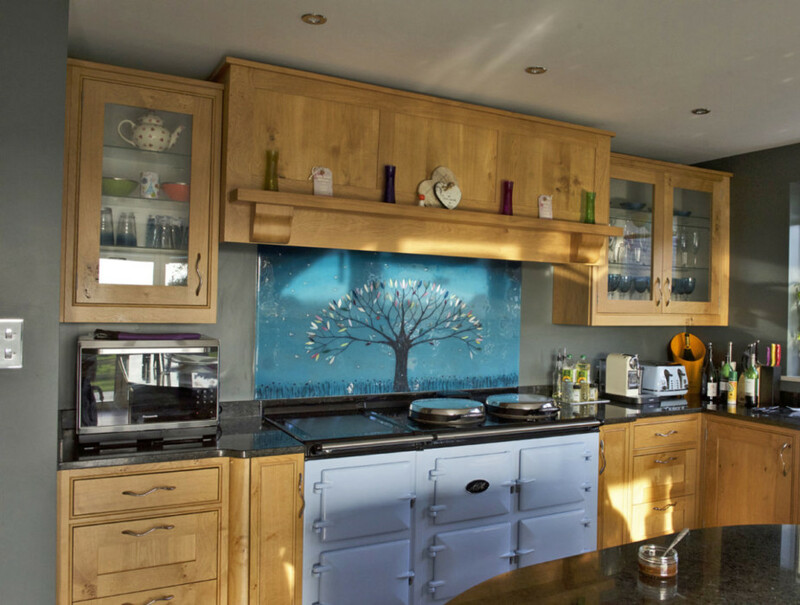 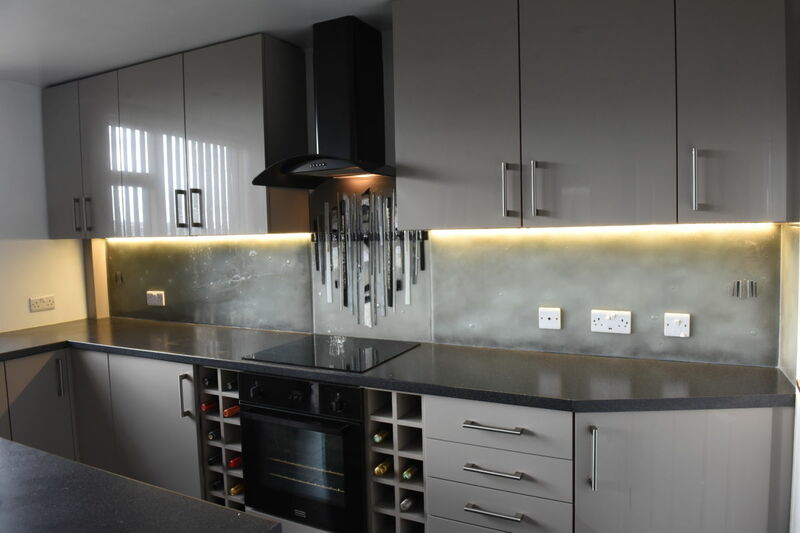 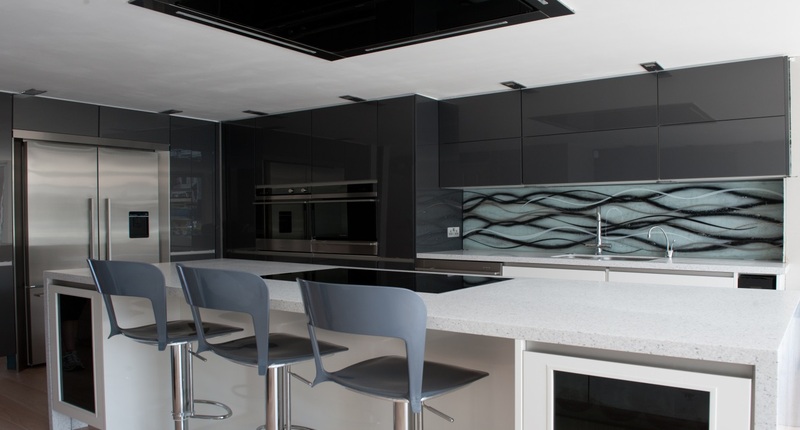 If you would indeed love to make your kitchen look as fantastic as this one, then make sure you come and see what we here at The House of Ugly Fish could do for you. 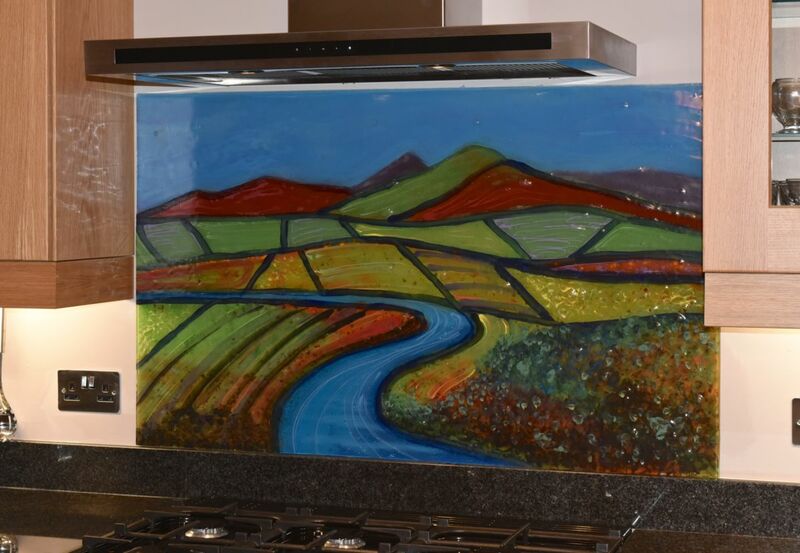 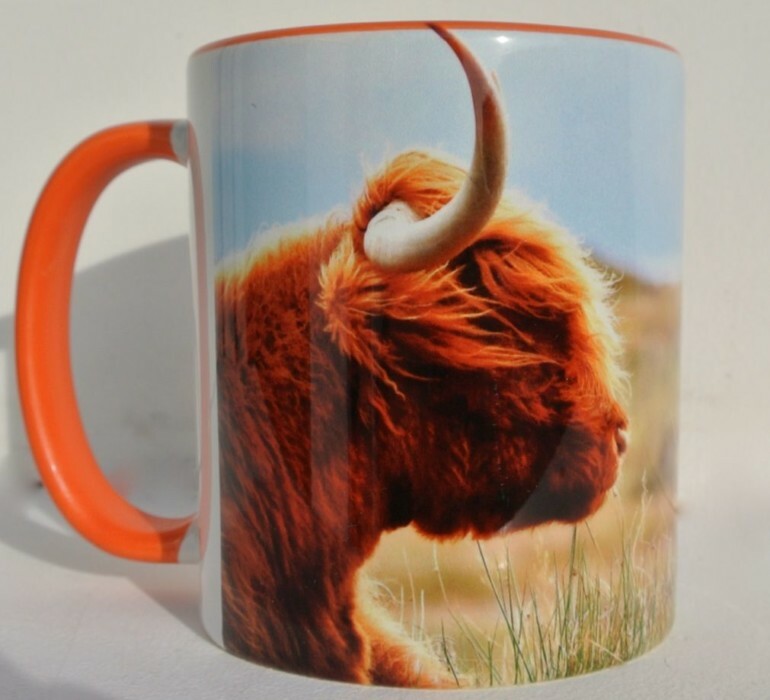 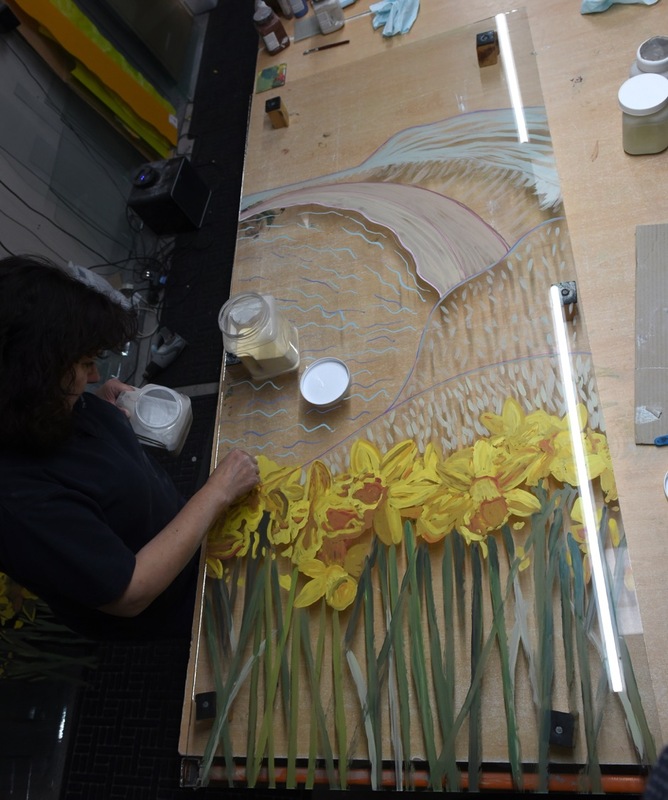 Every piece we create is different, being completely bespoke and personalised, so seeing brand new fused glass art come out of the kiln is every bit as exciting for us as well! 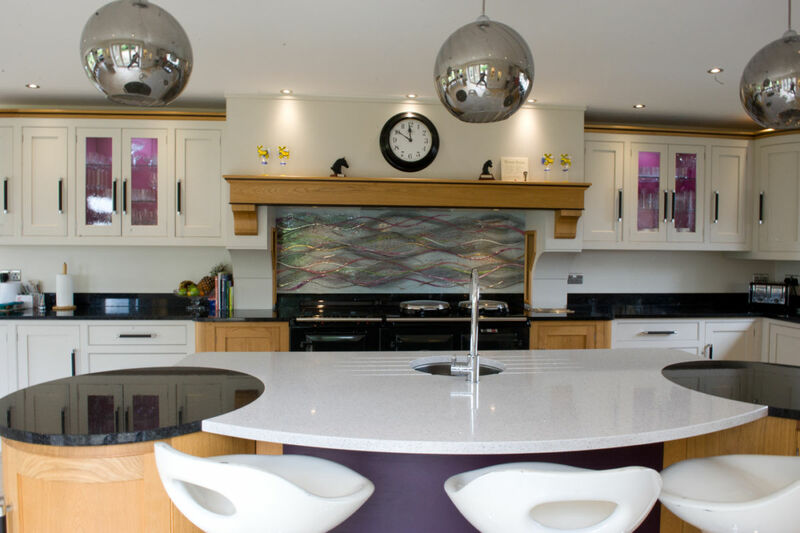 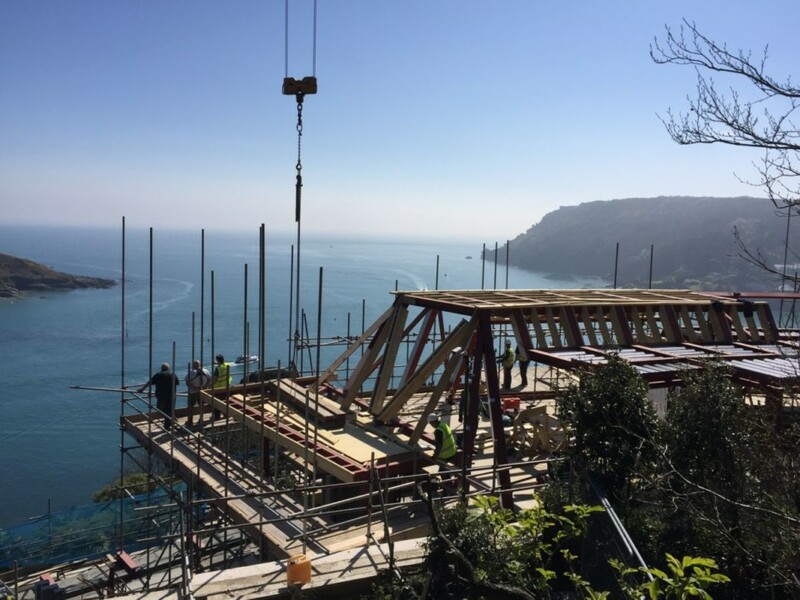 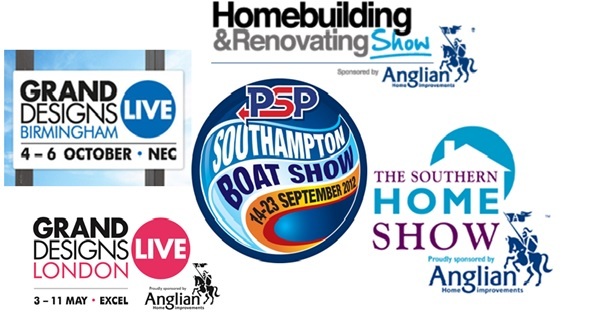 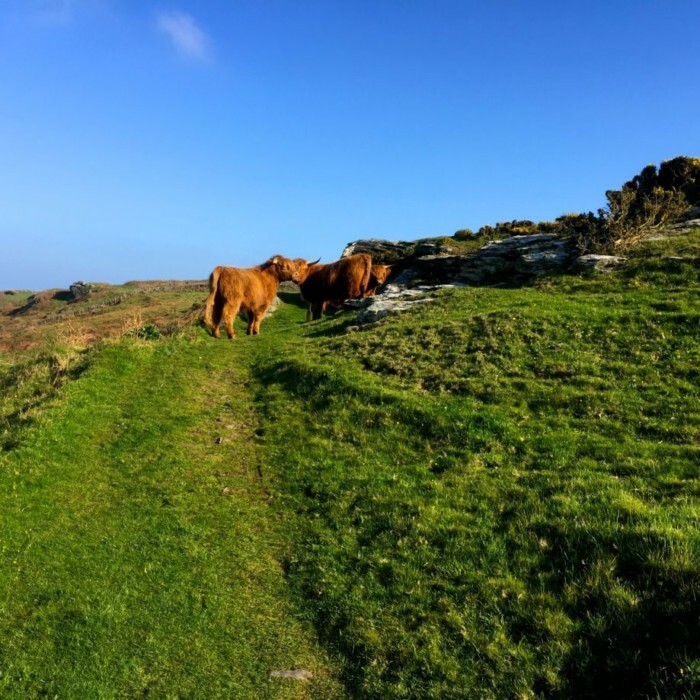 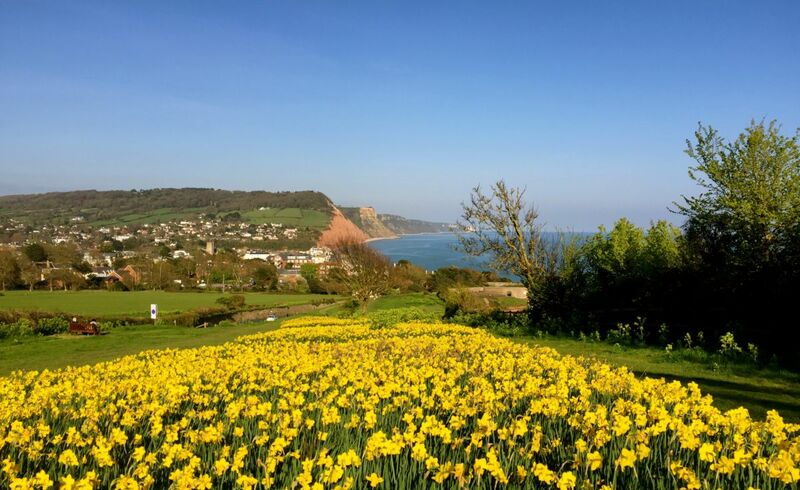 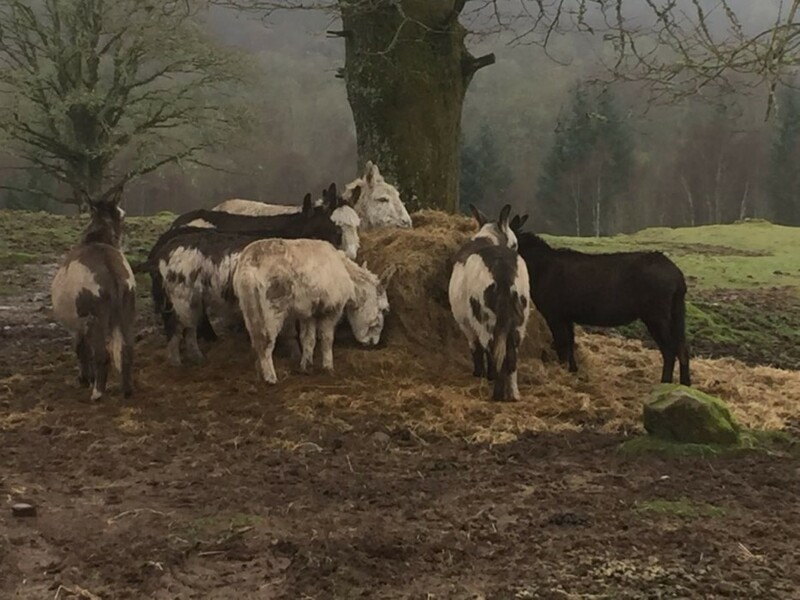 What’s more, getting in touch really is as simple as picking up the phone or dropping us an email with your best ideas, so don’t hesitate to do just that. 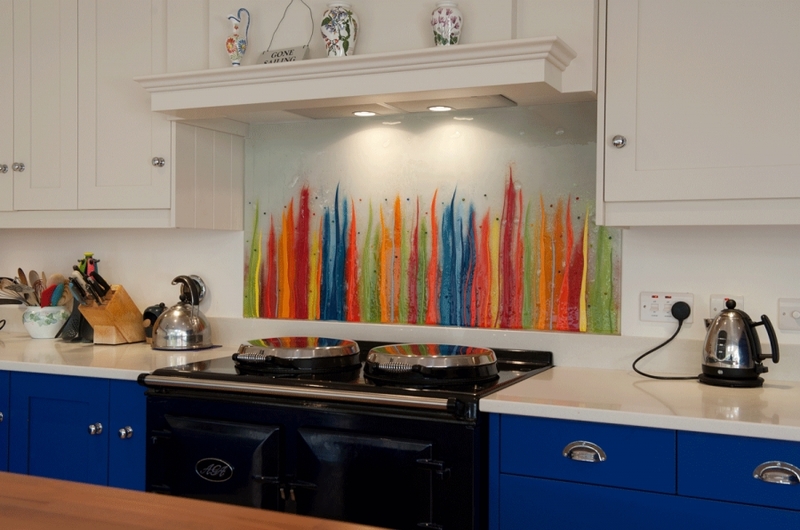 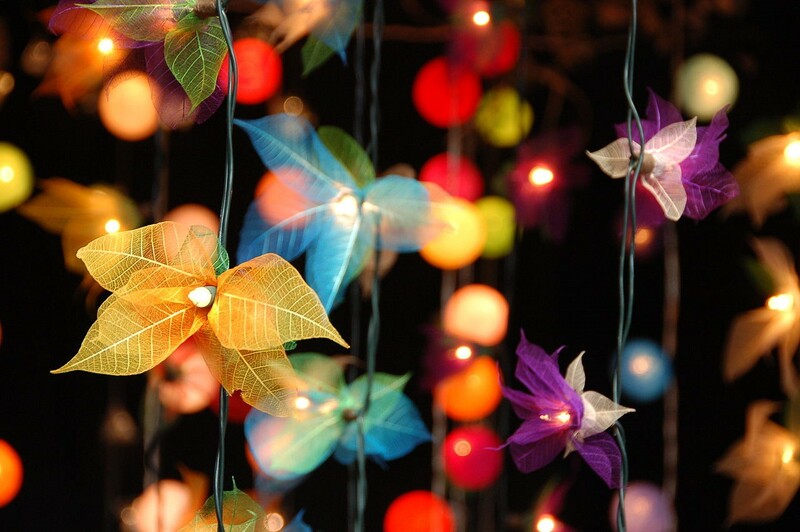 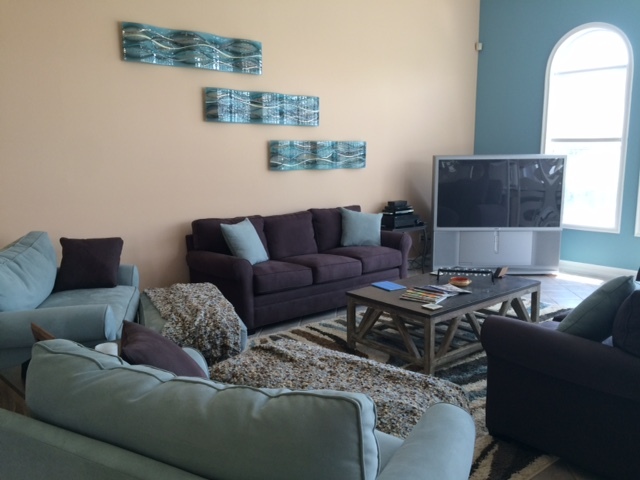 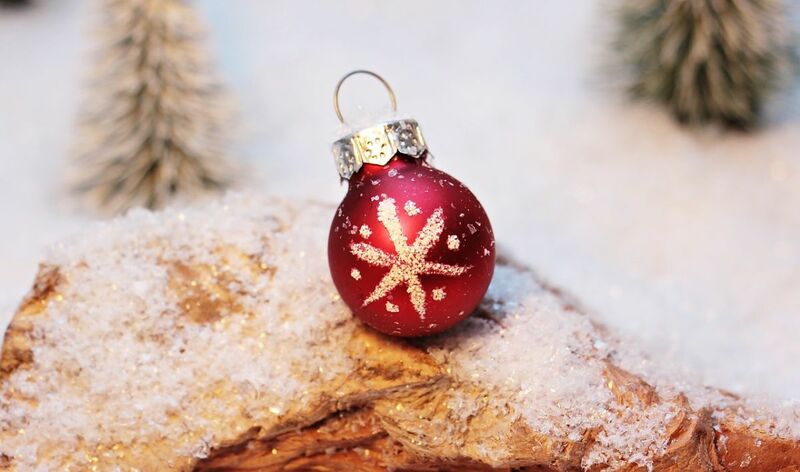 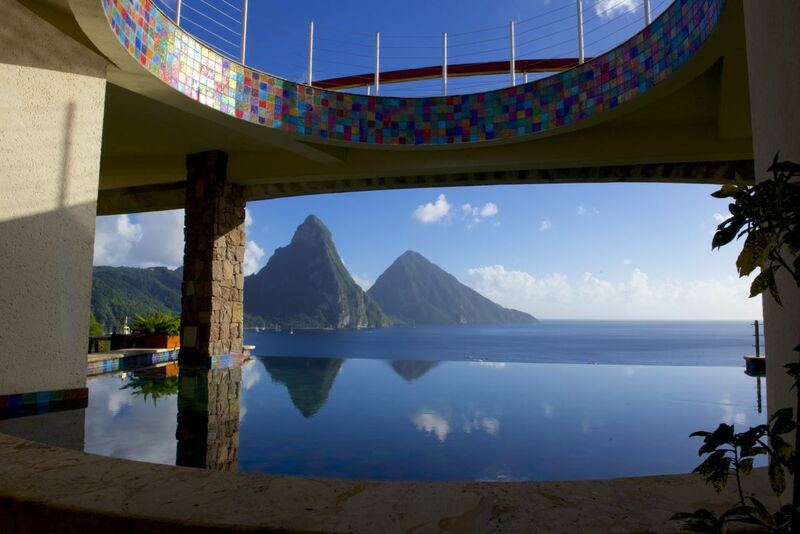 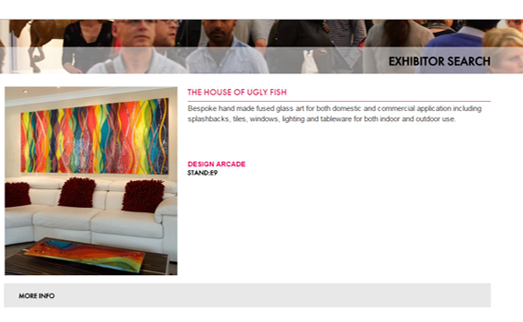 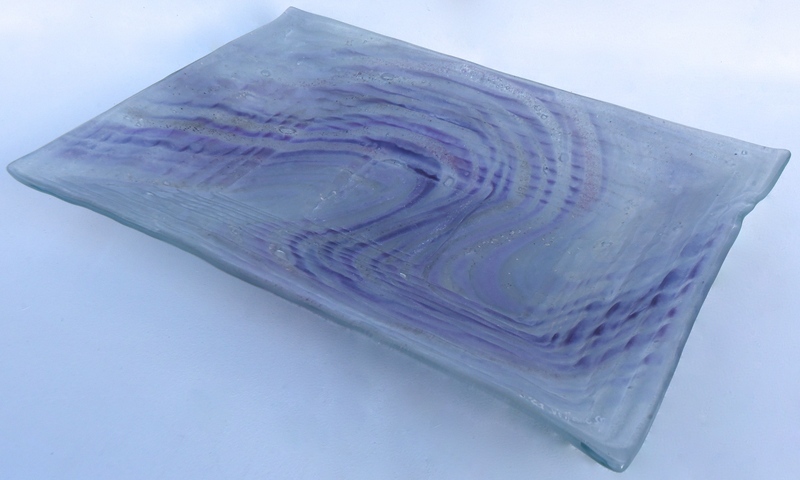 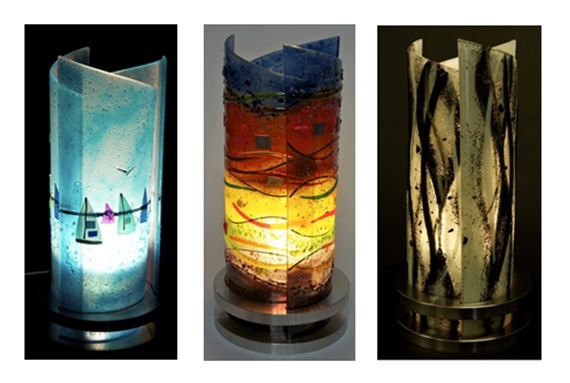 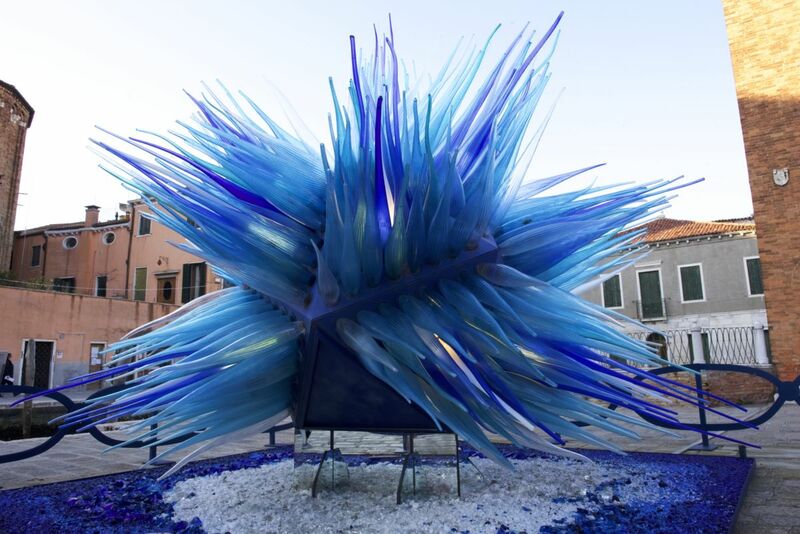 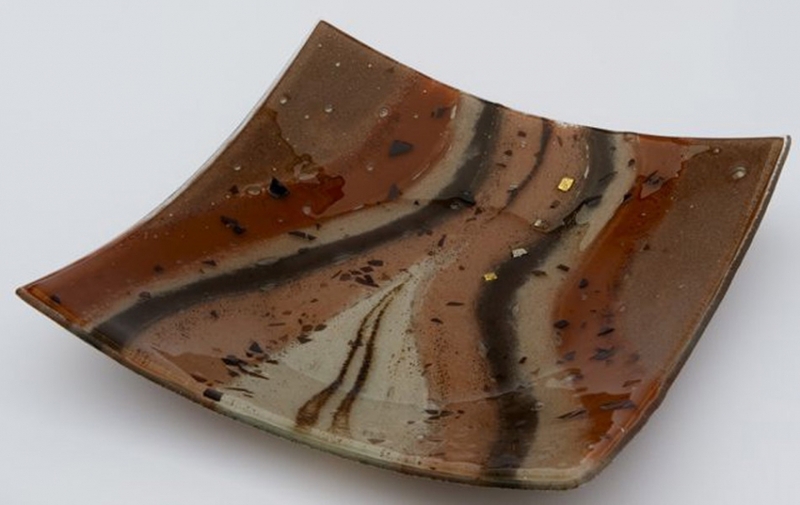 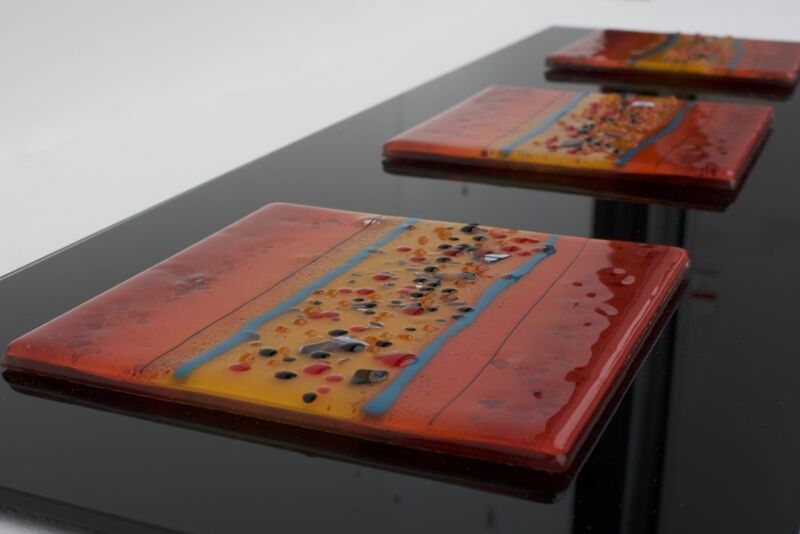 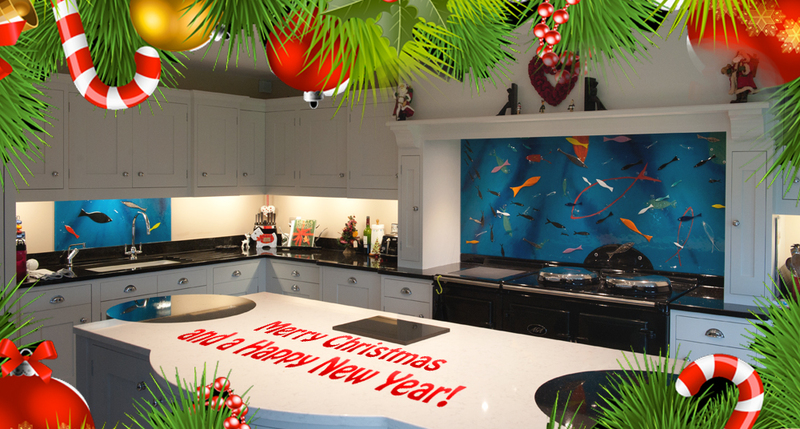 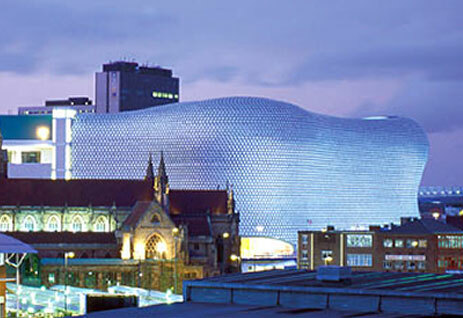 There’s never been a better time to invest in getting your very own fused glass for the home!